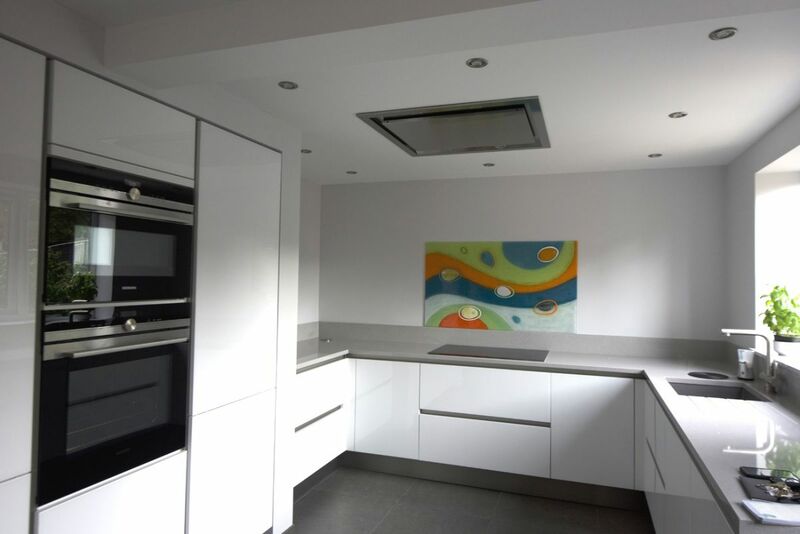 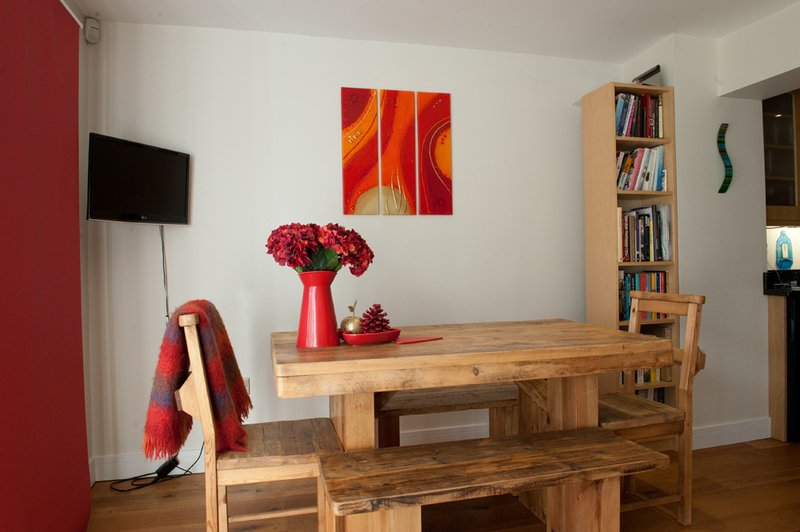 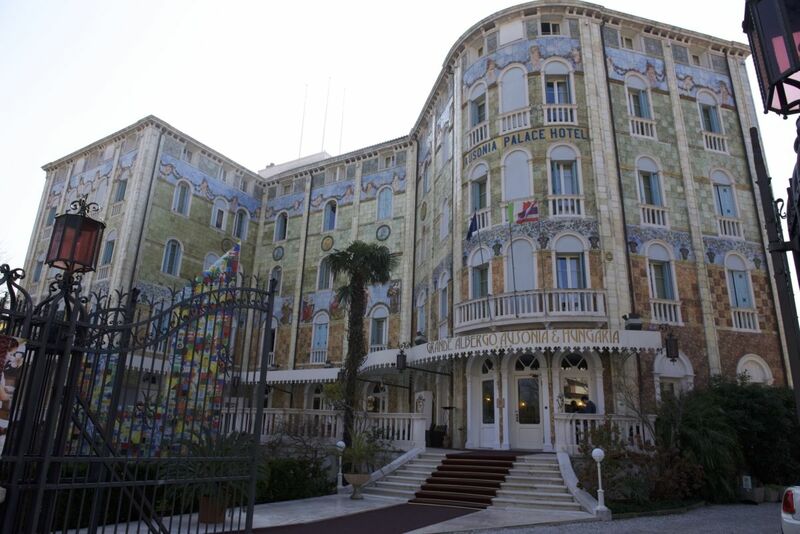 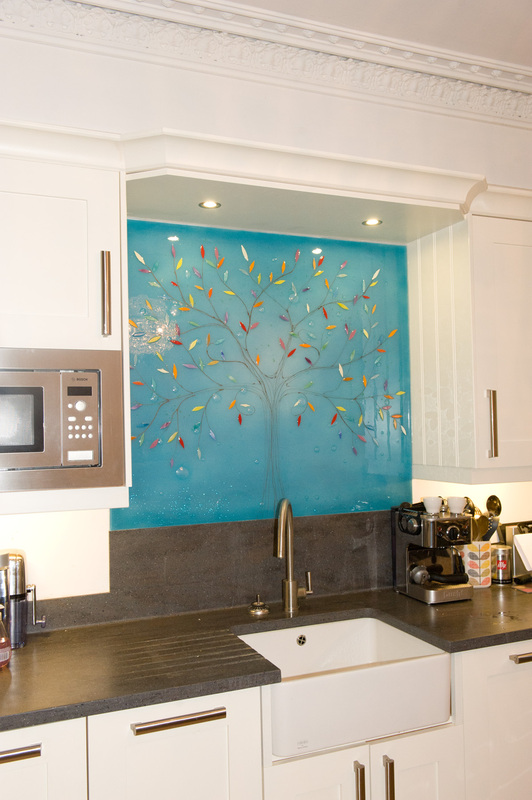 Looking to decorate your home in a creative way? 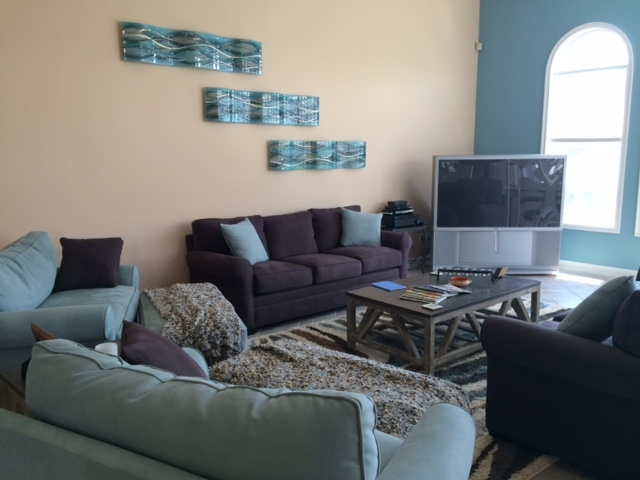 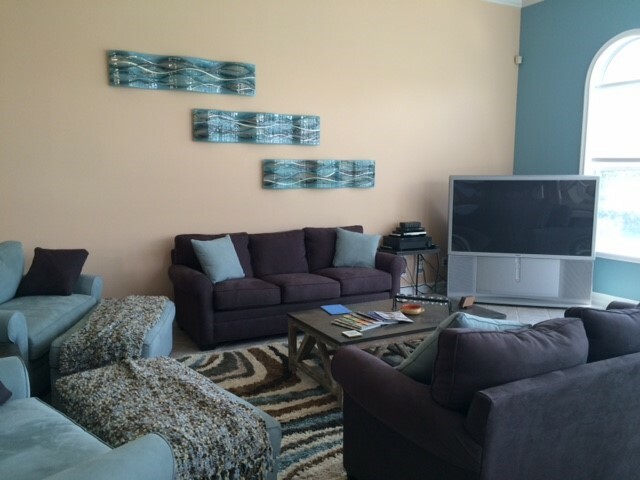 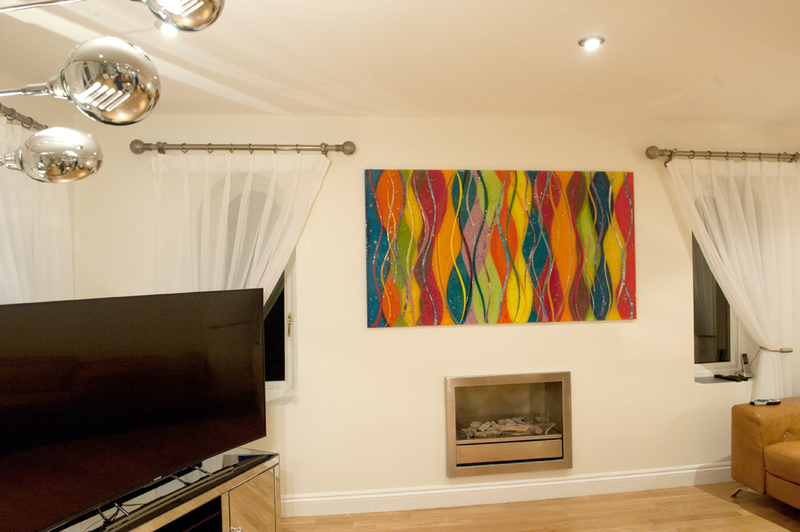 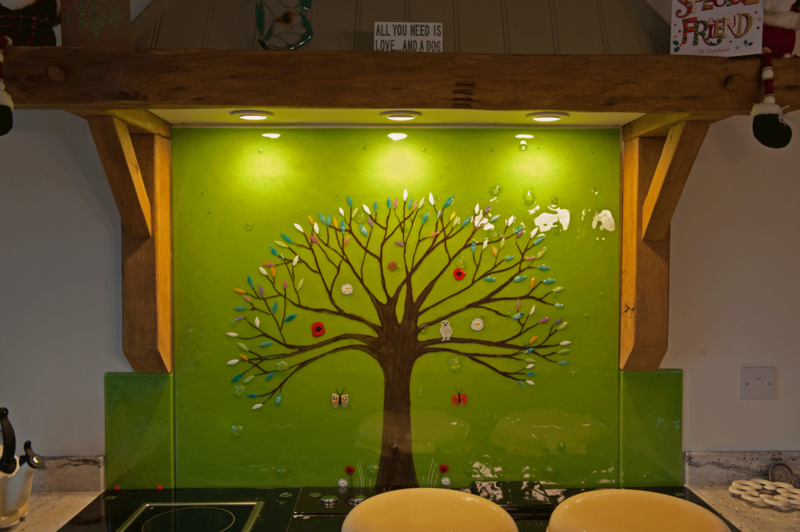 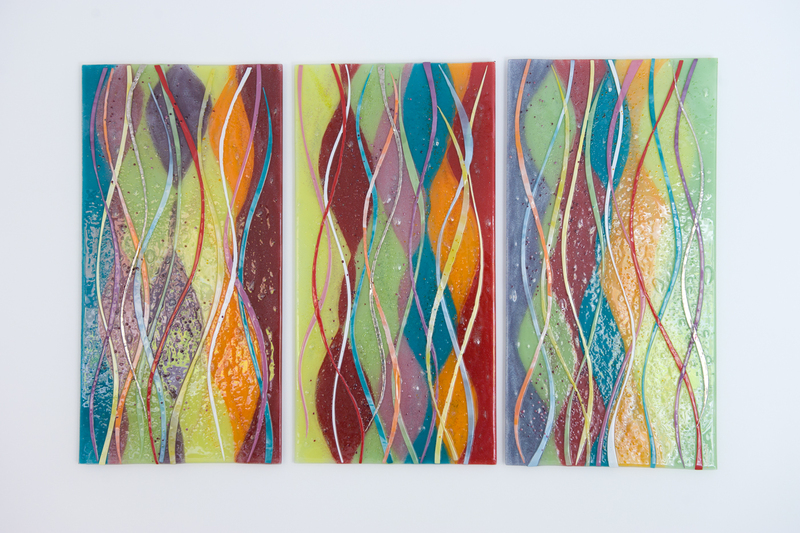 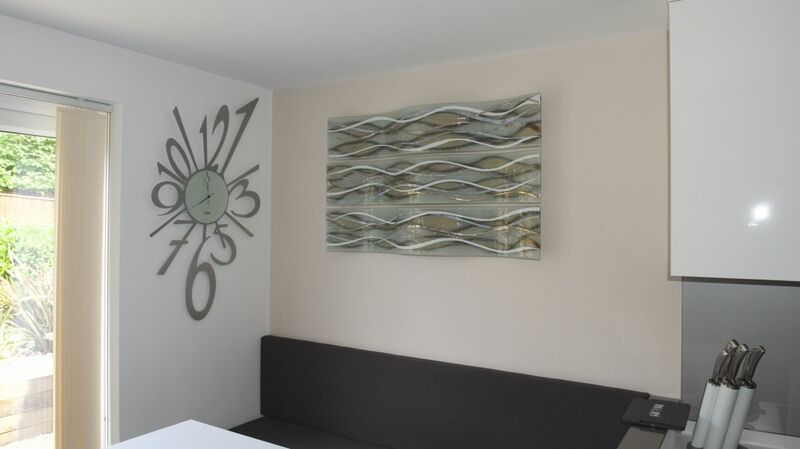 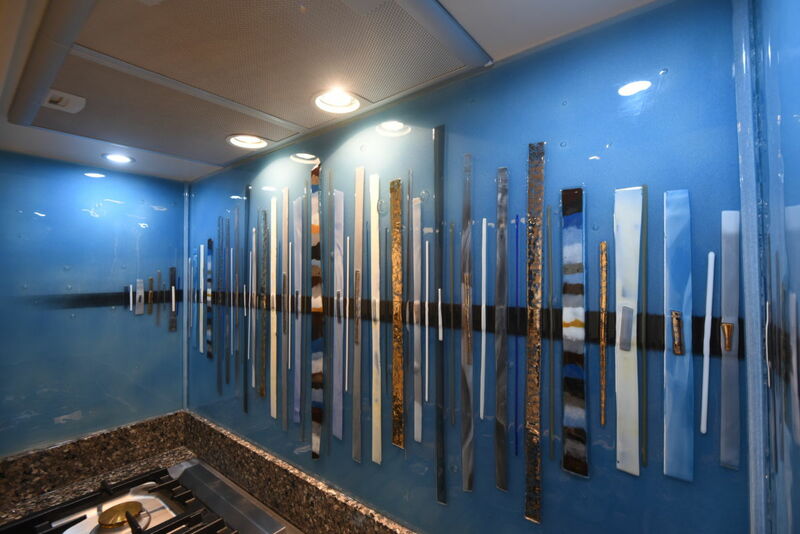 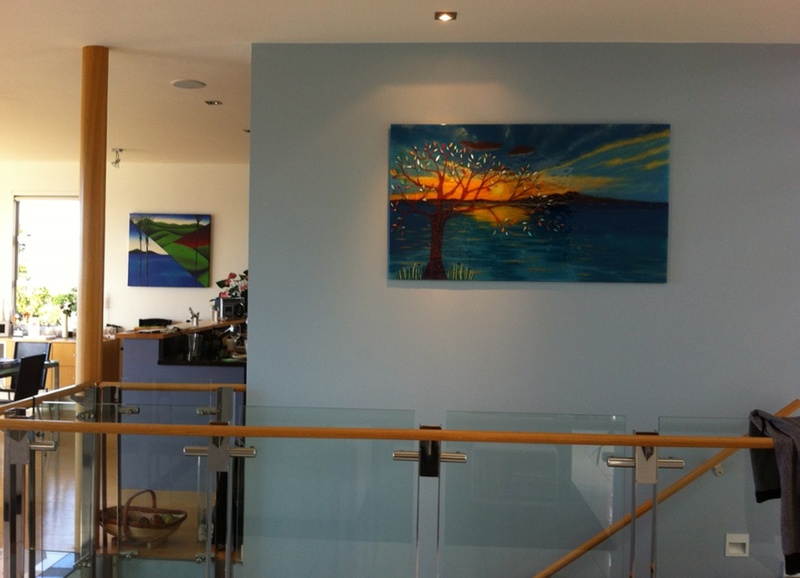 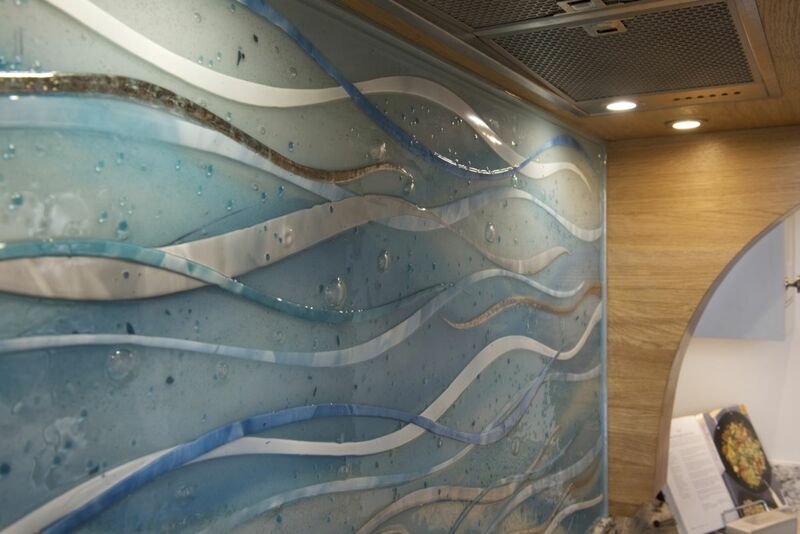 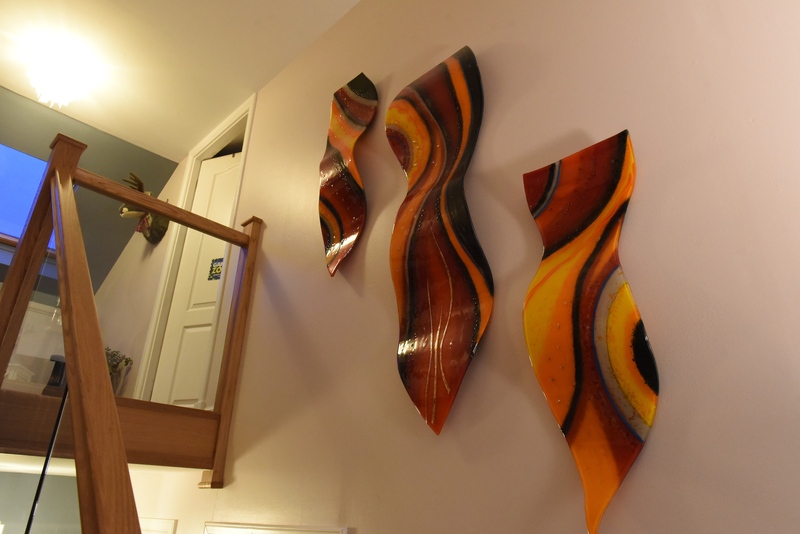 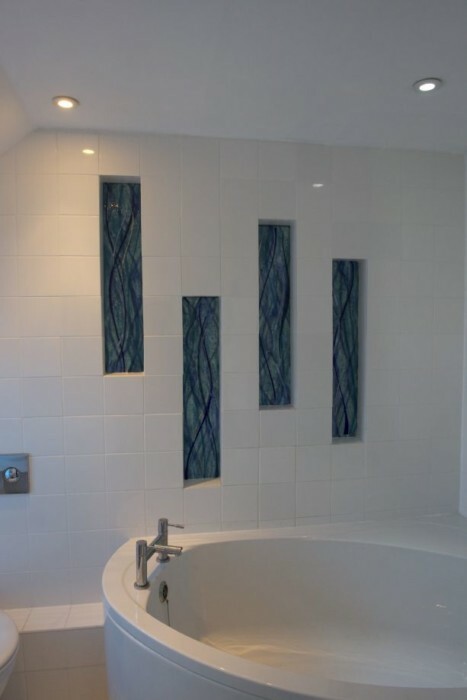 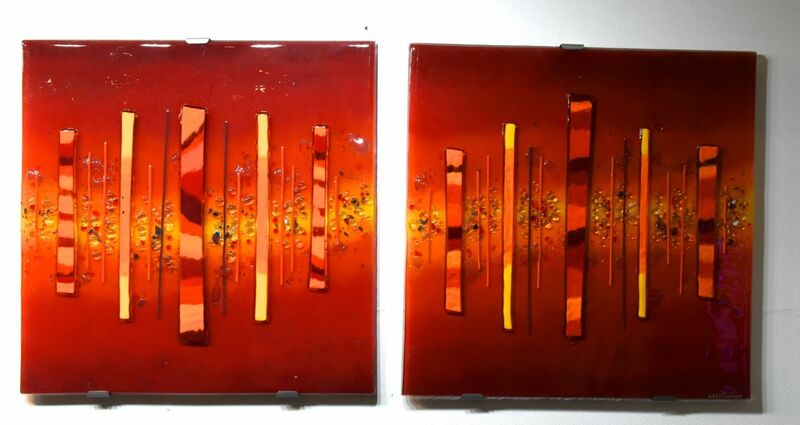 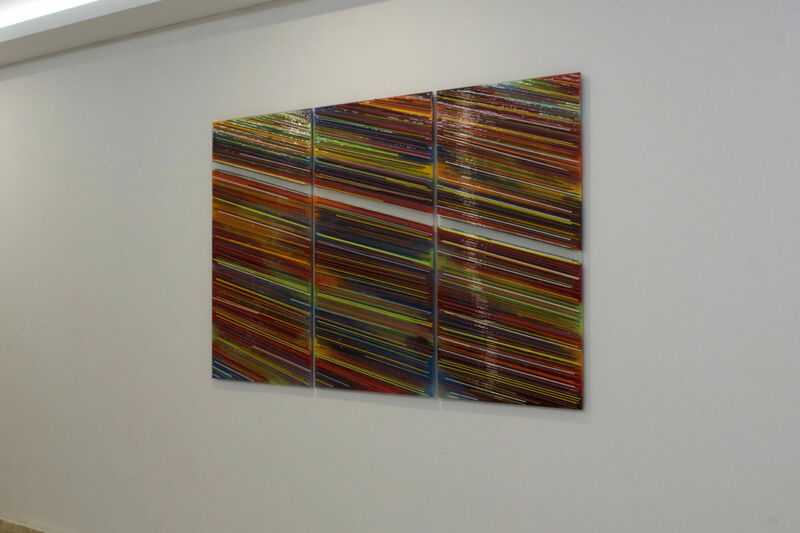 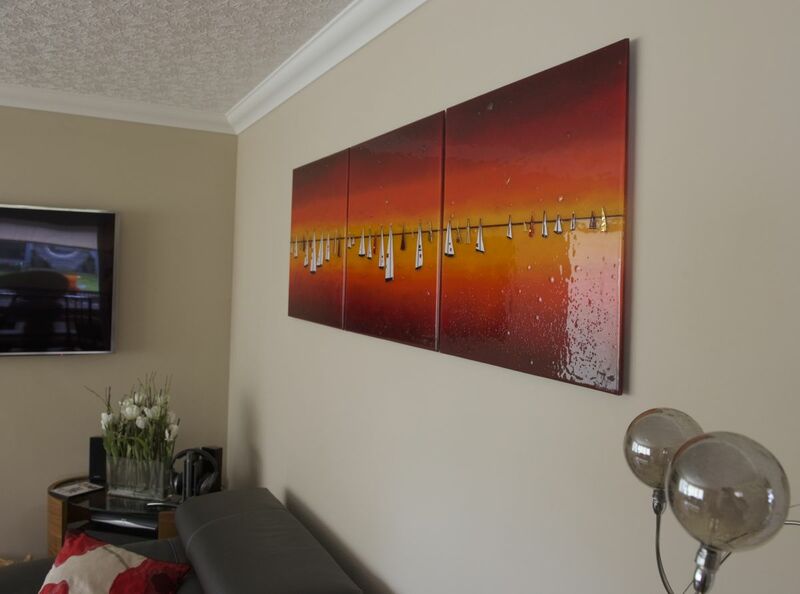 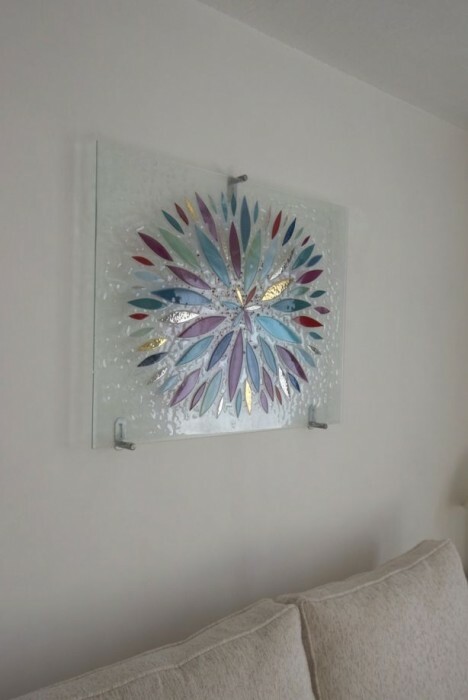 Try our glass wall art! 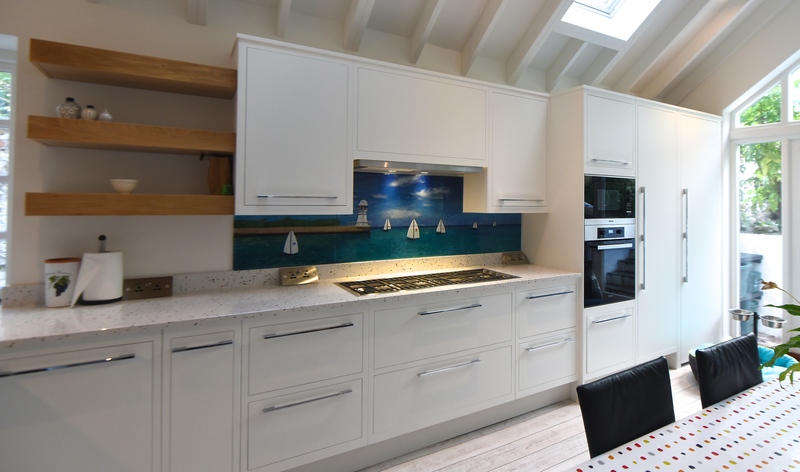 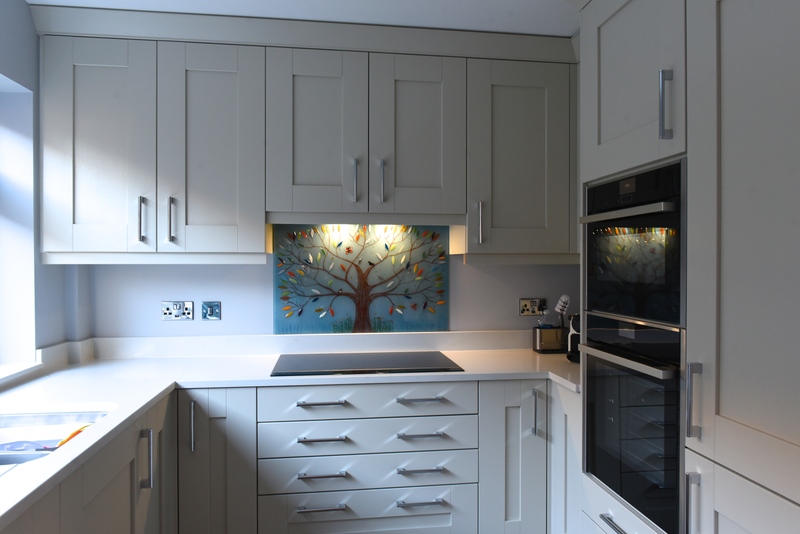 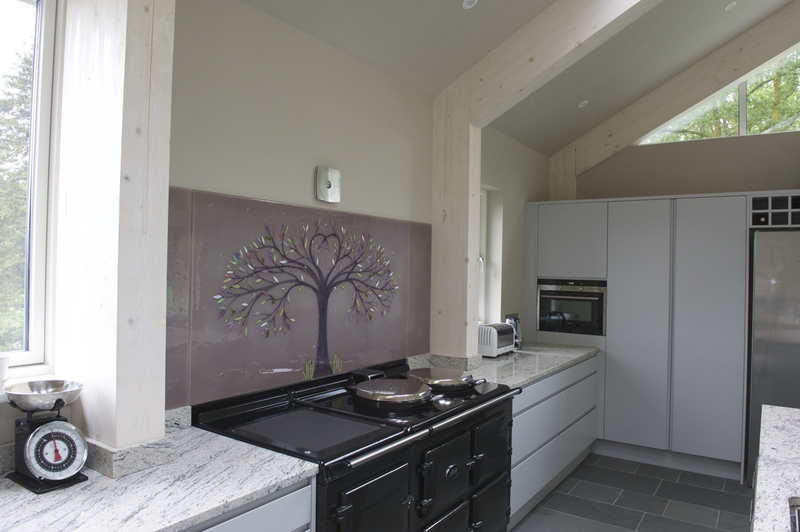 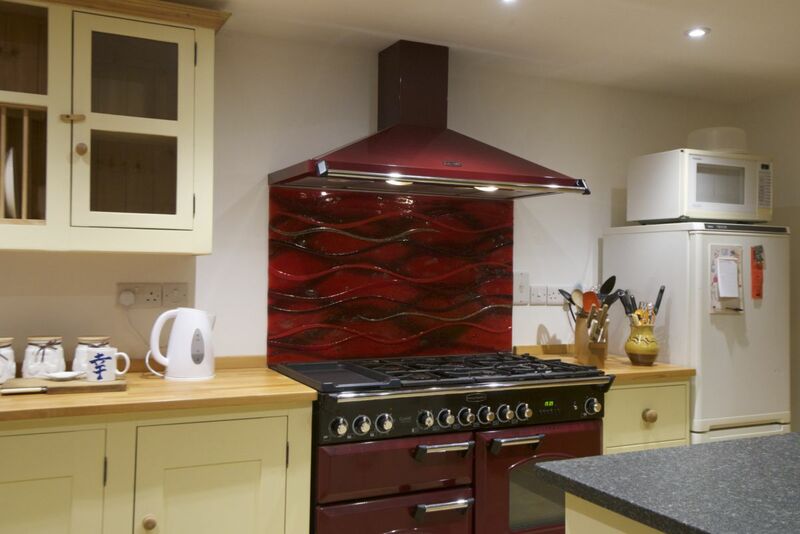 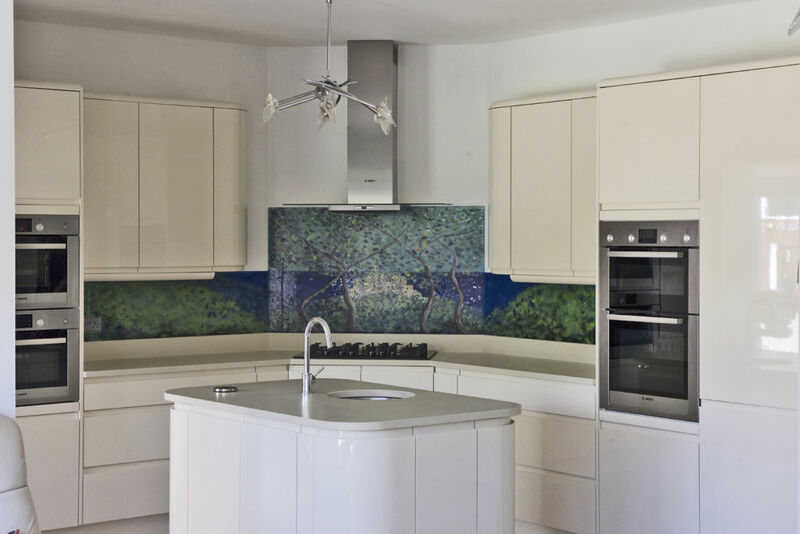 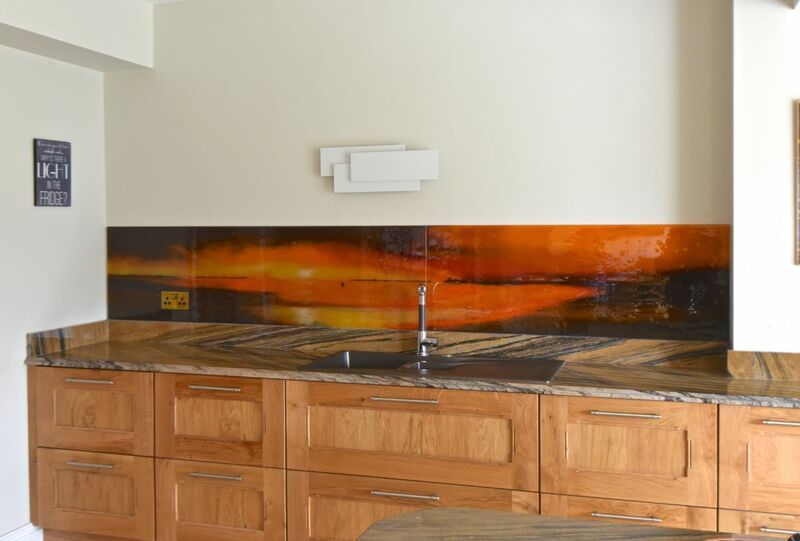 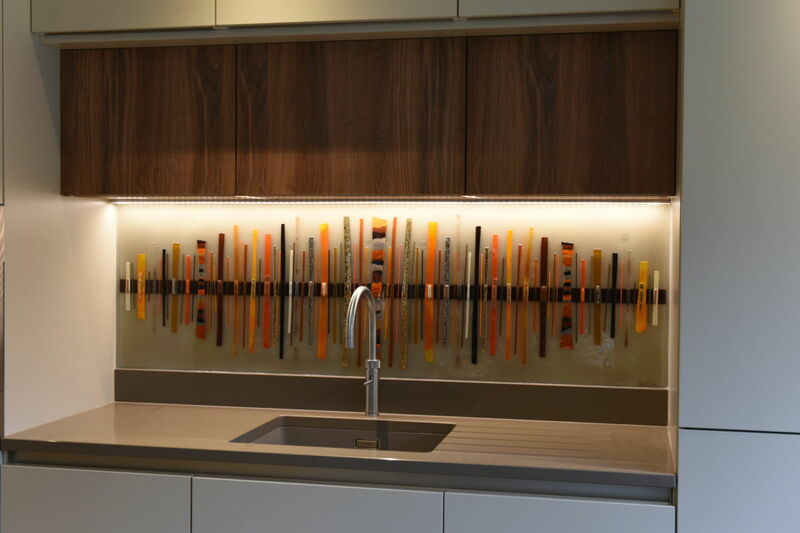 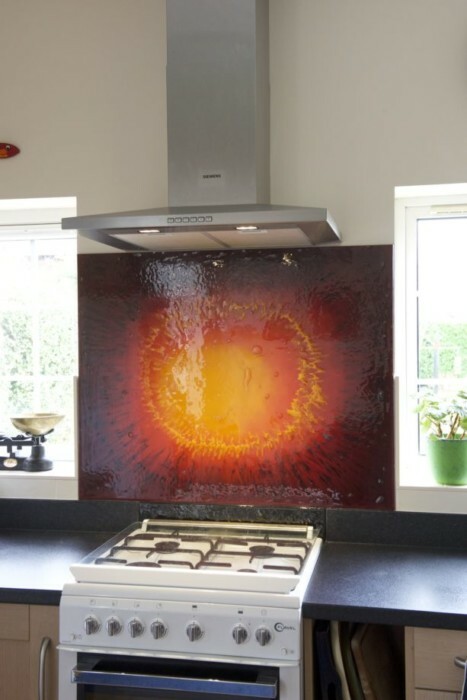 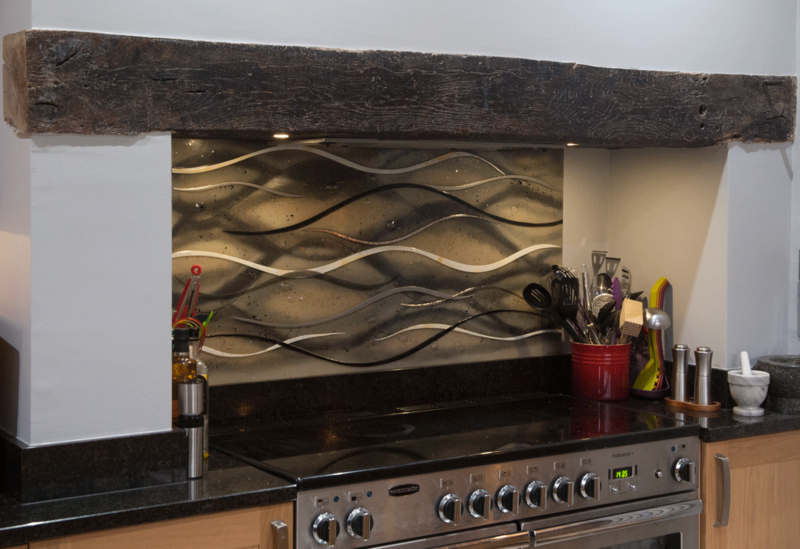 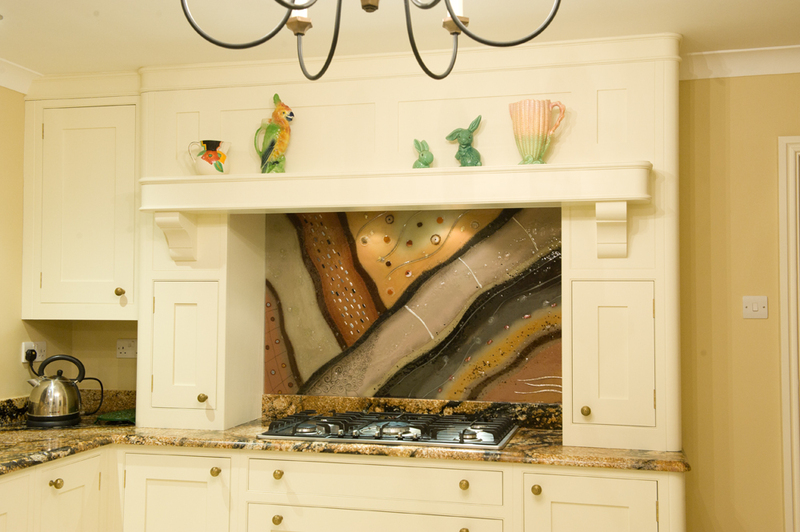 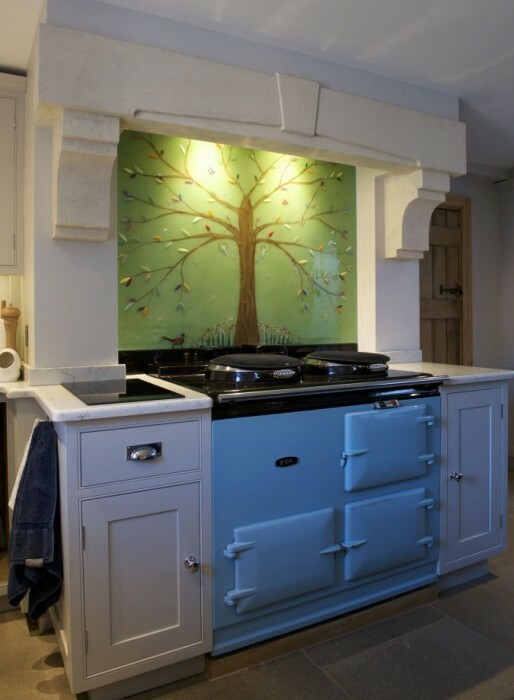 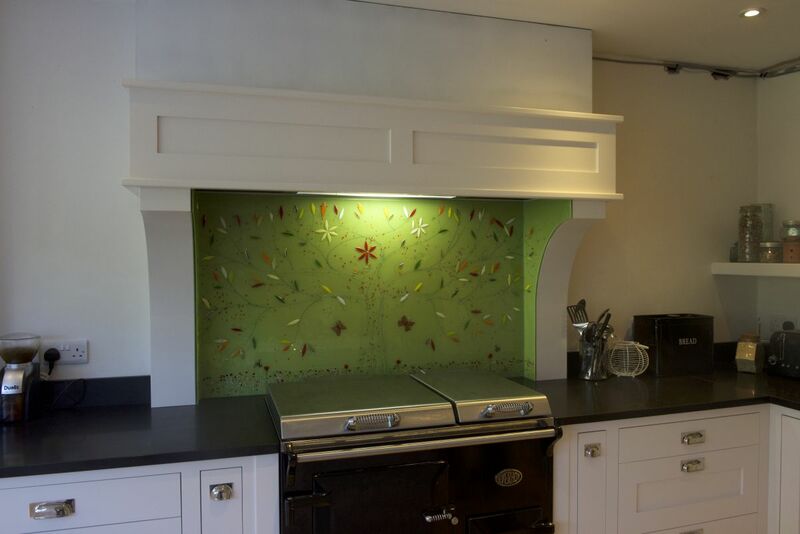 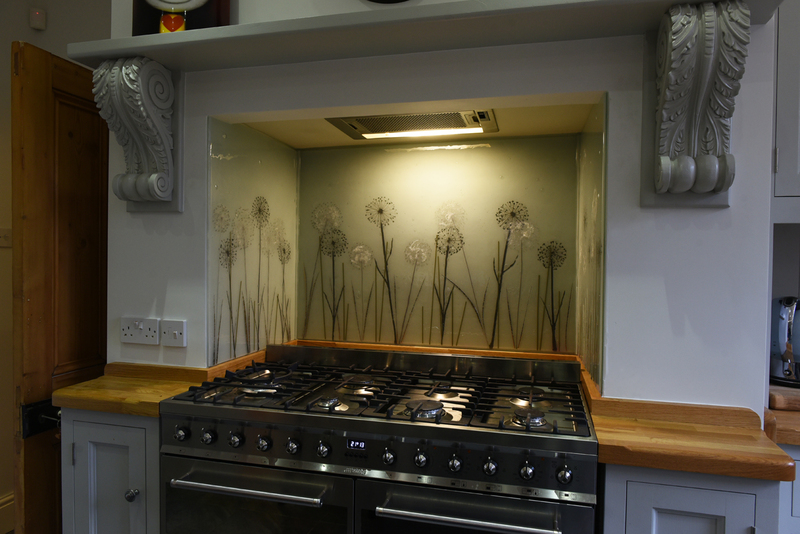 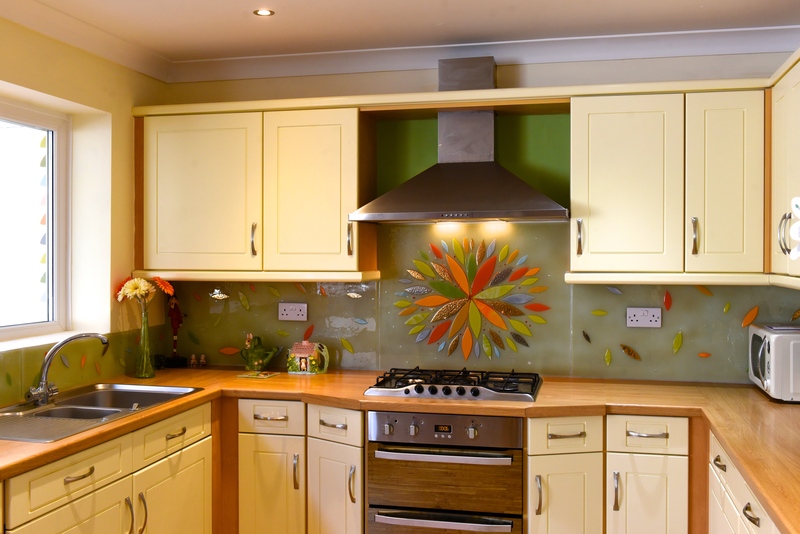 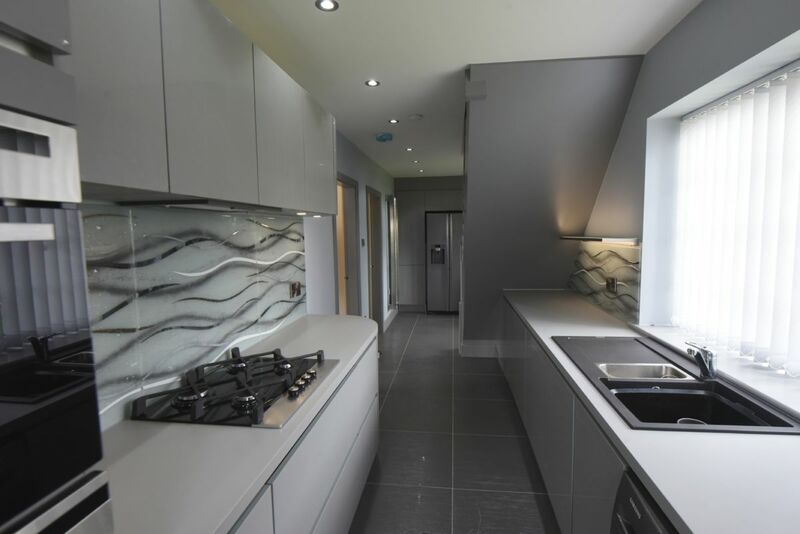 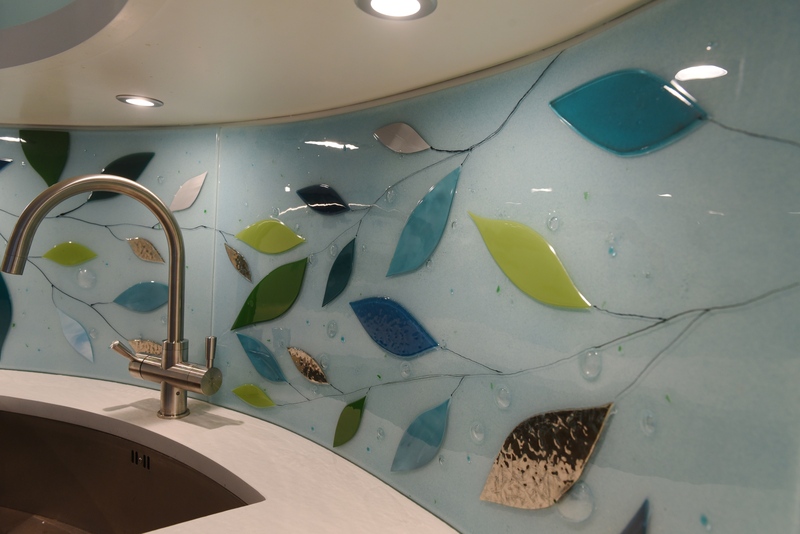 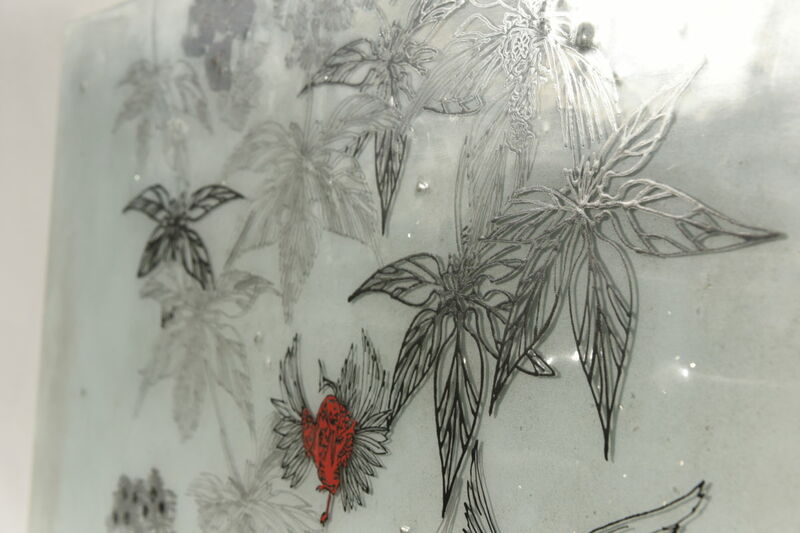 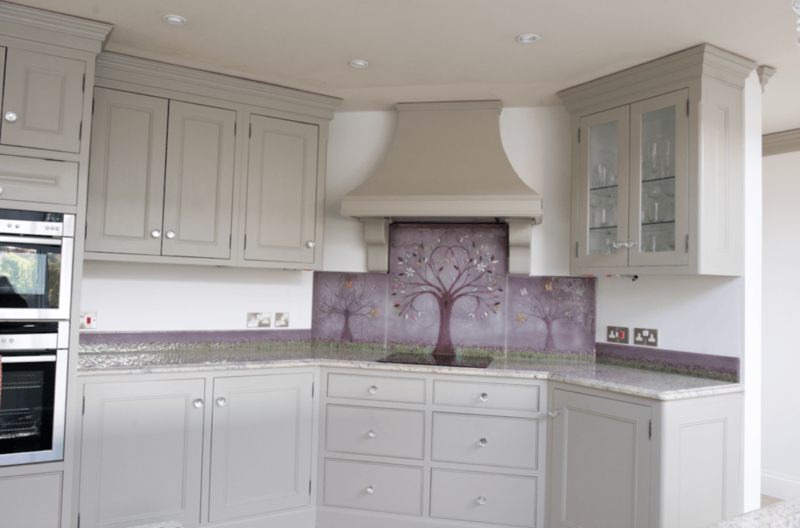 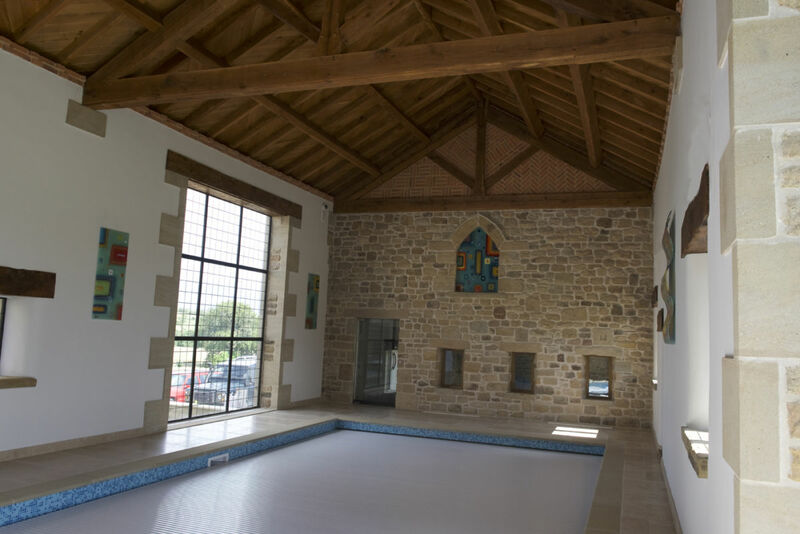 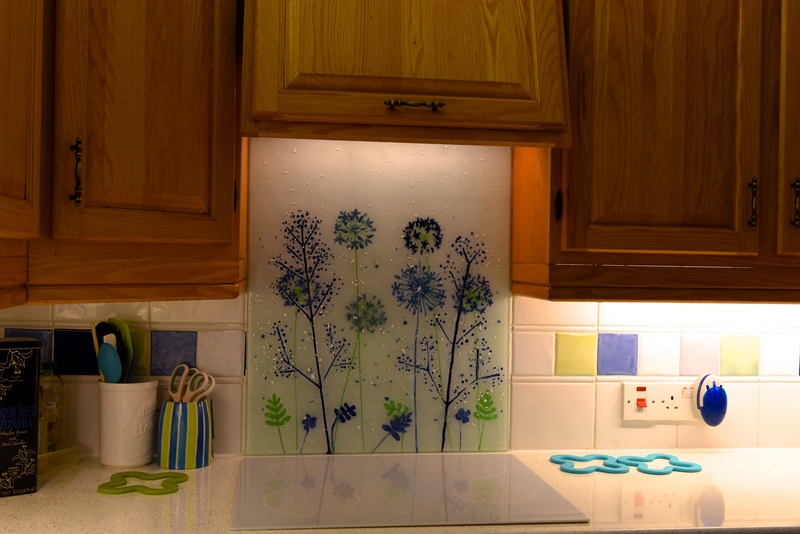 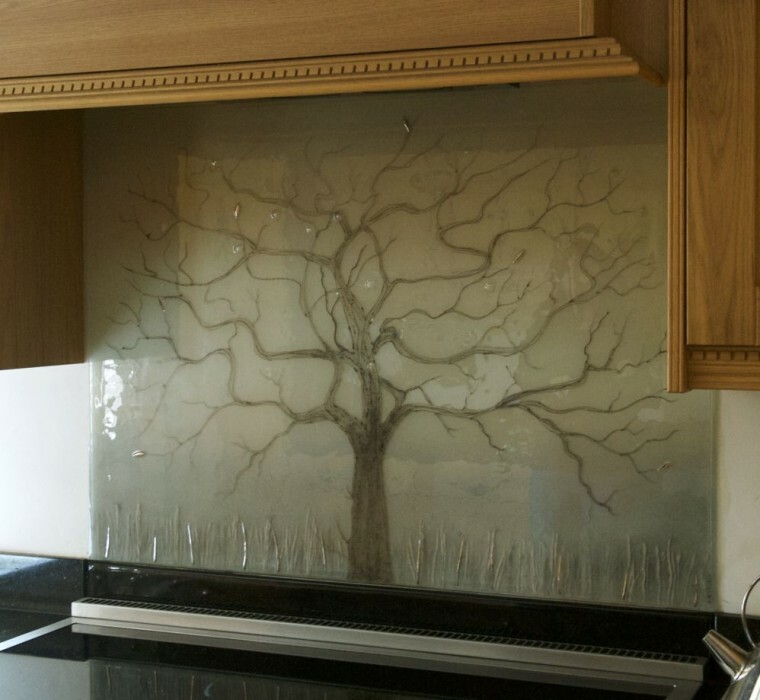 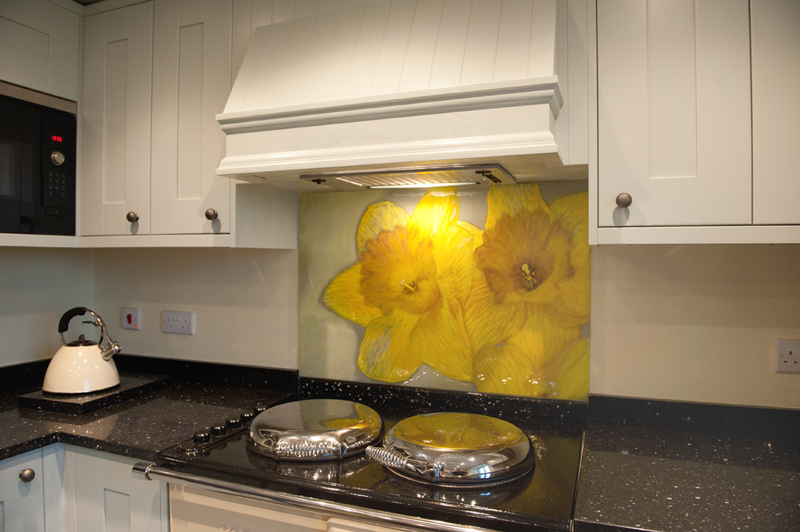 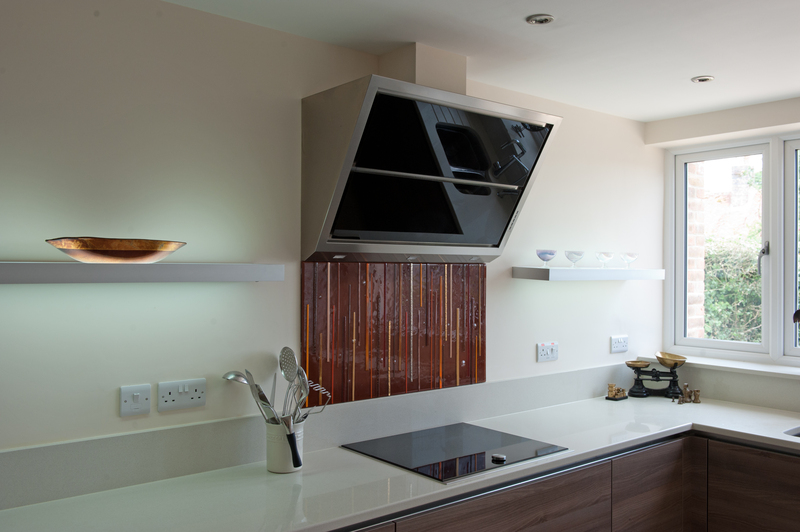 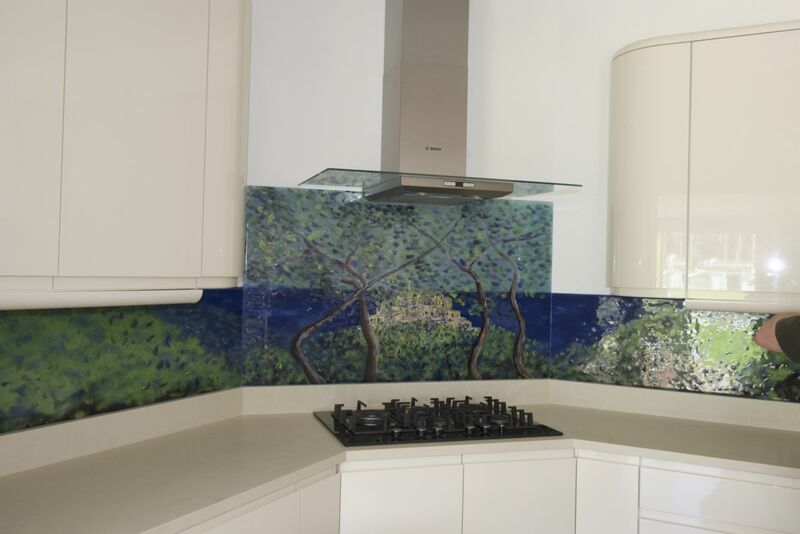 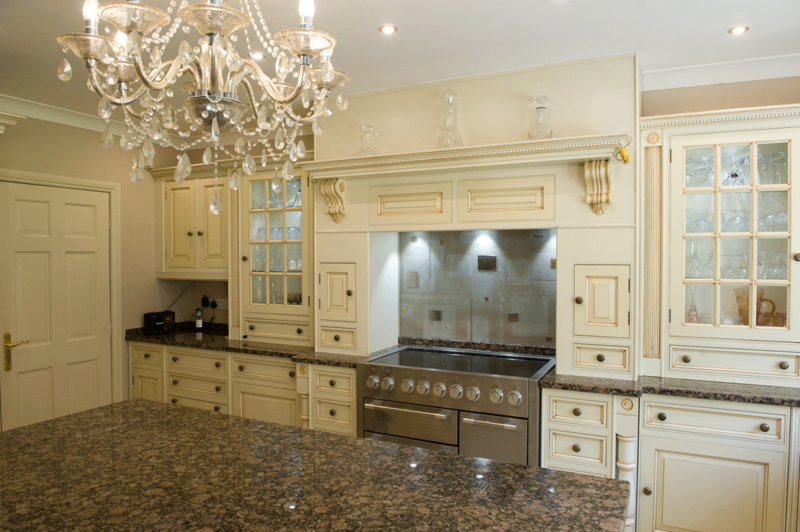 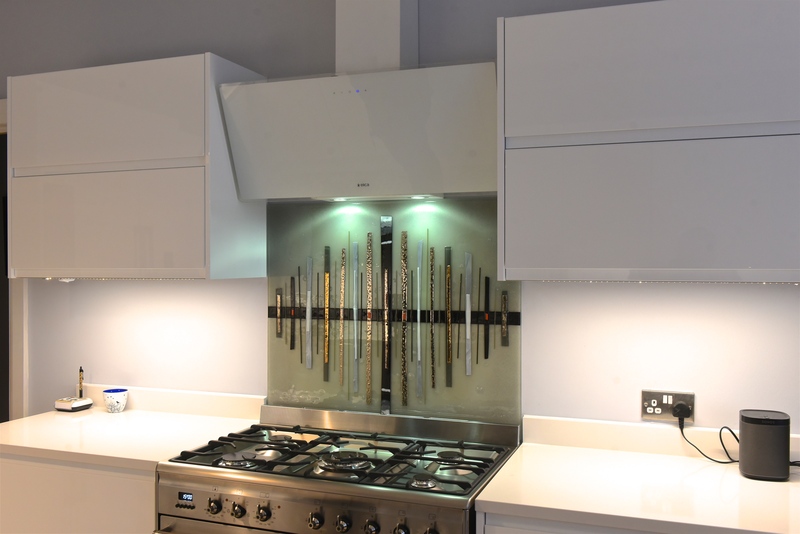 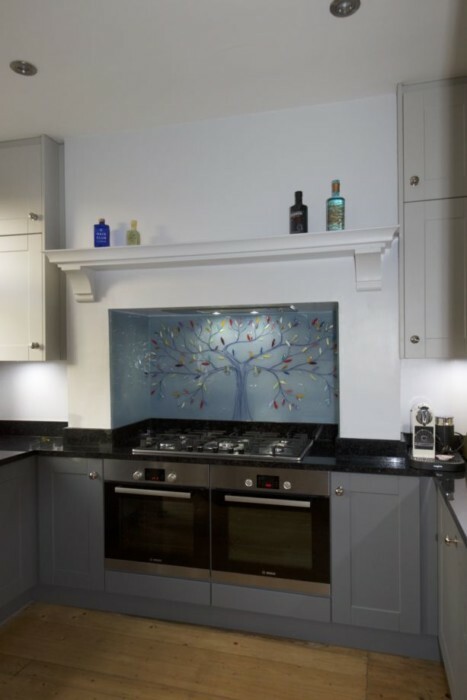 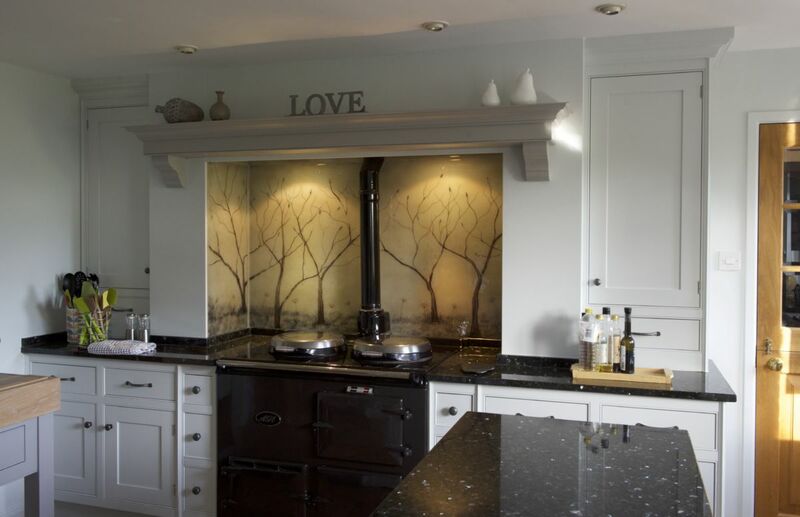 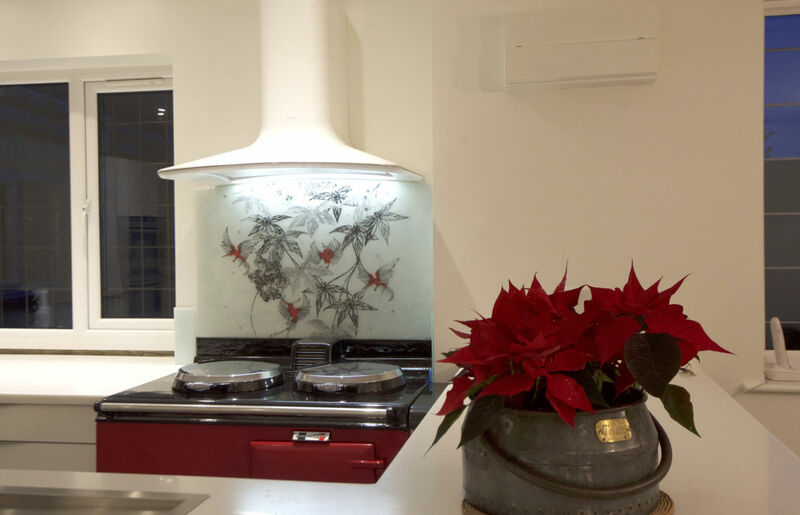 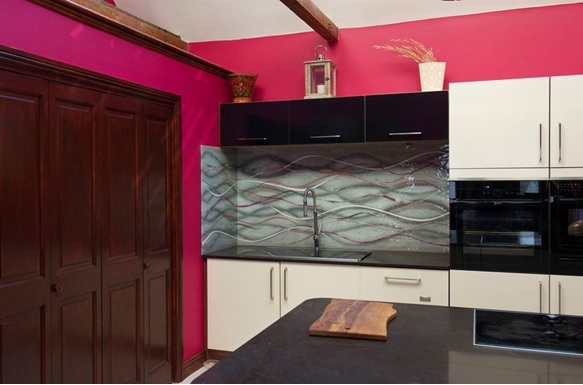 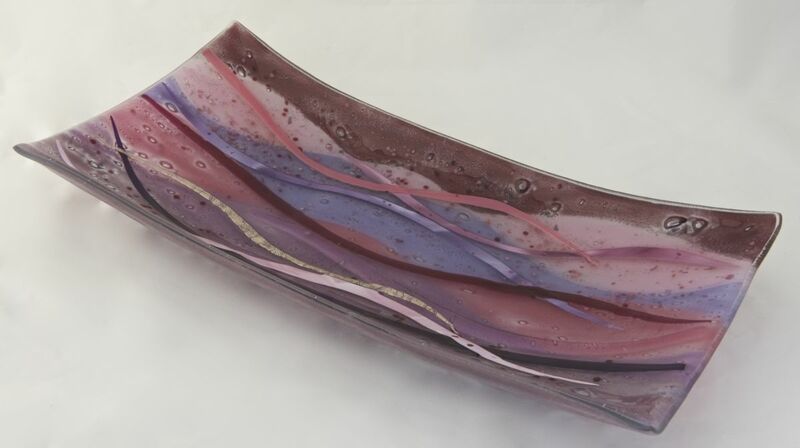 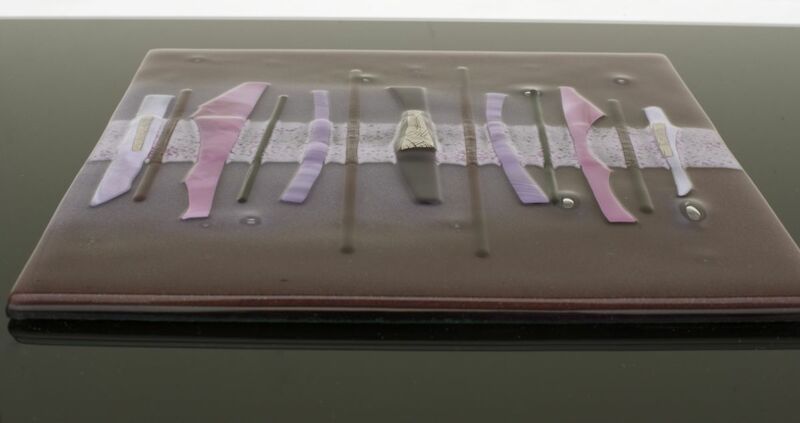 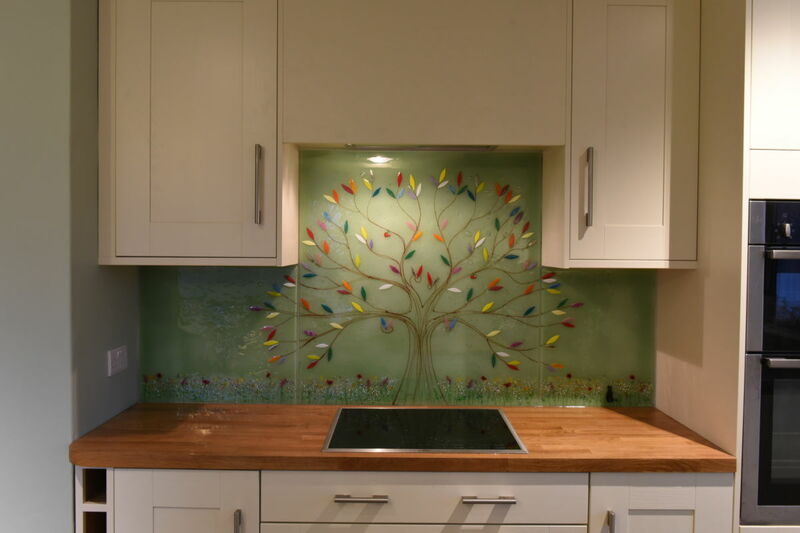 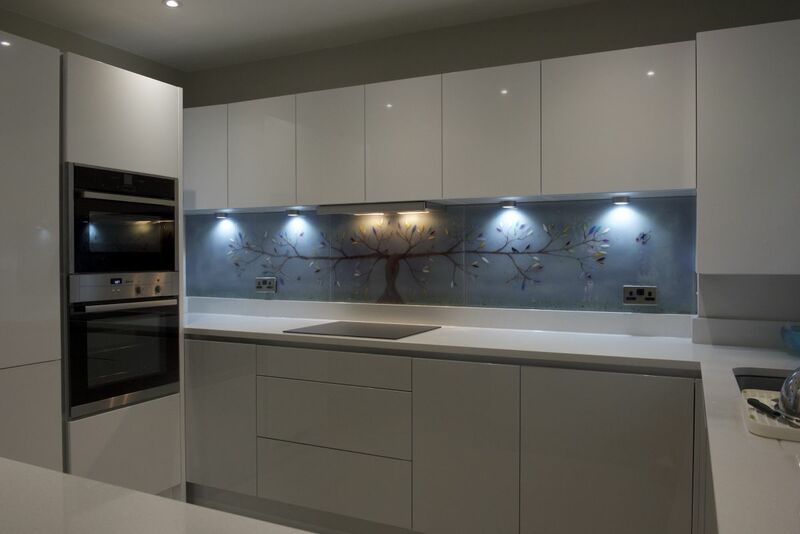 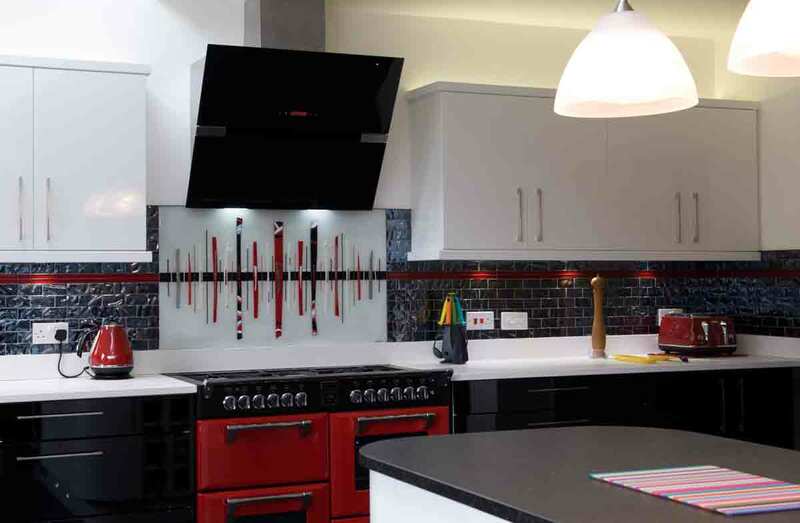 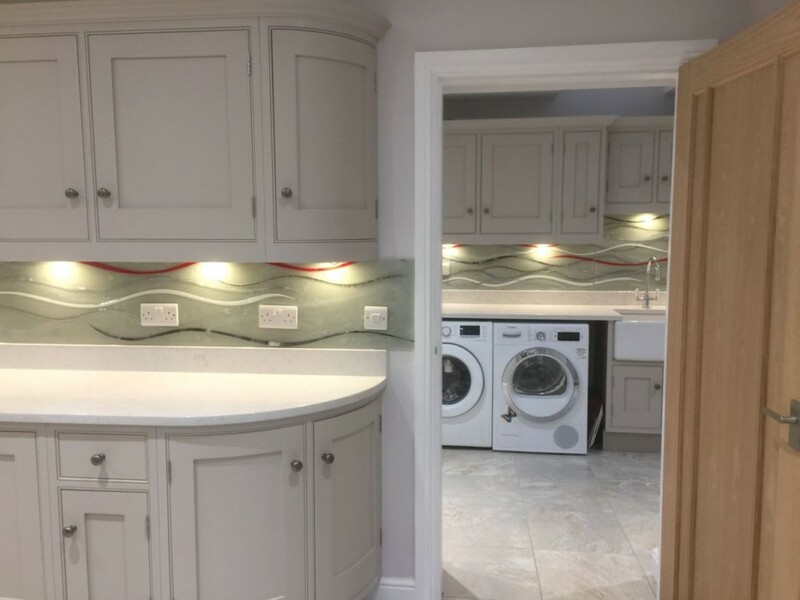 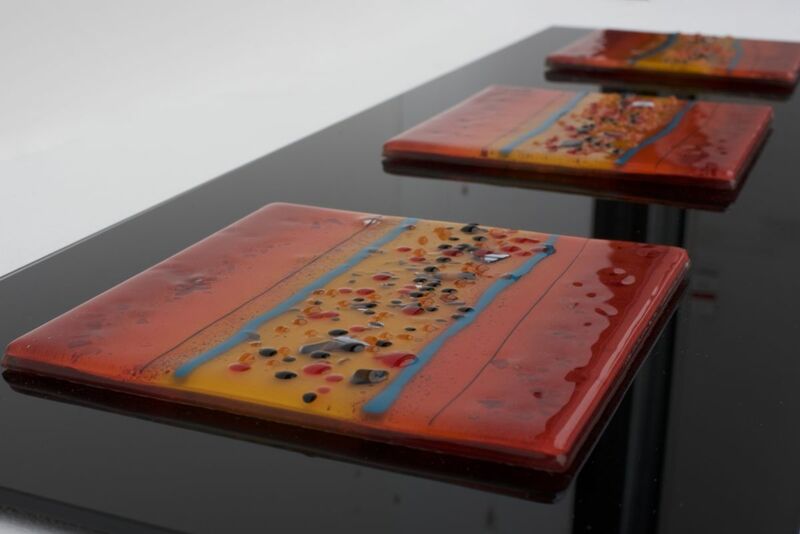 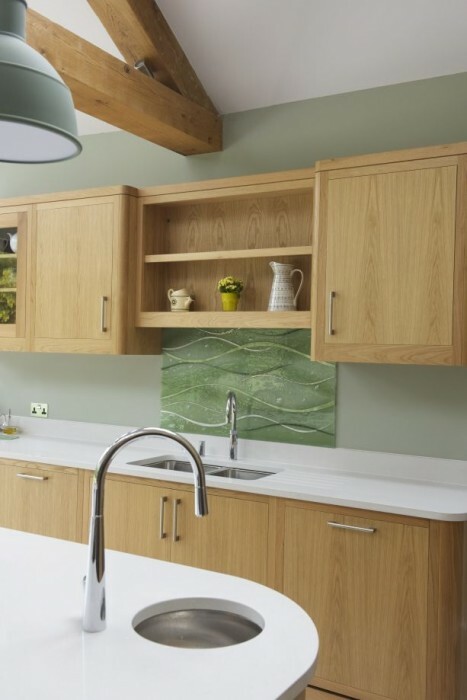 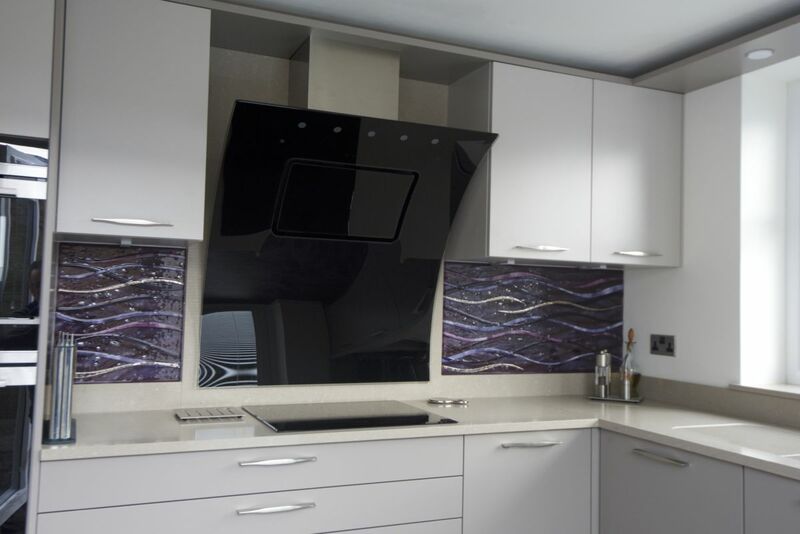 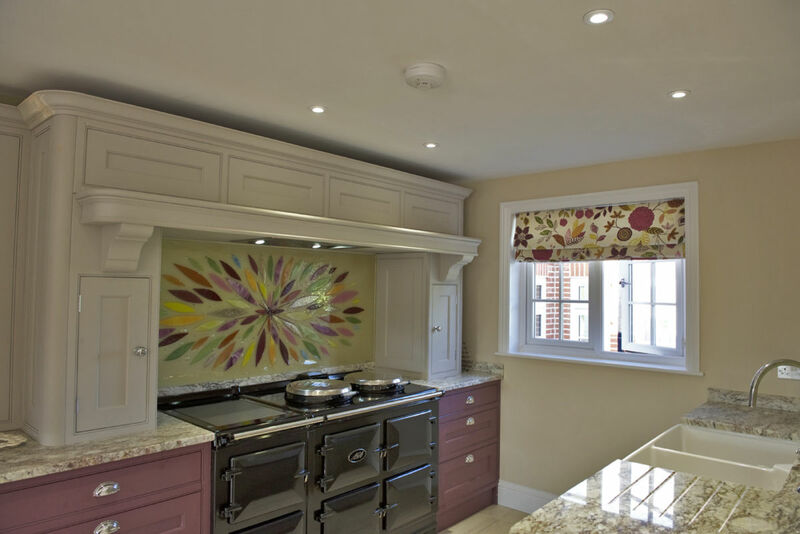 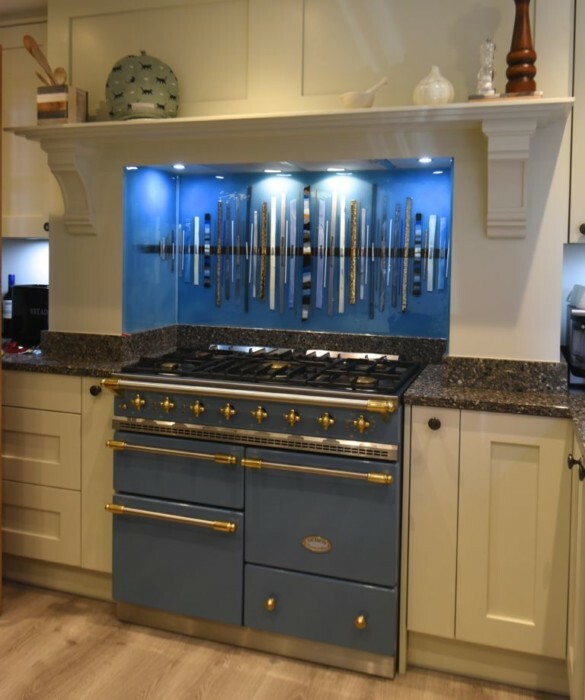 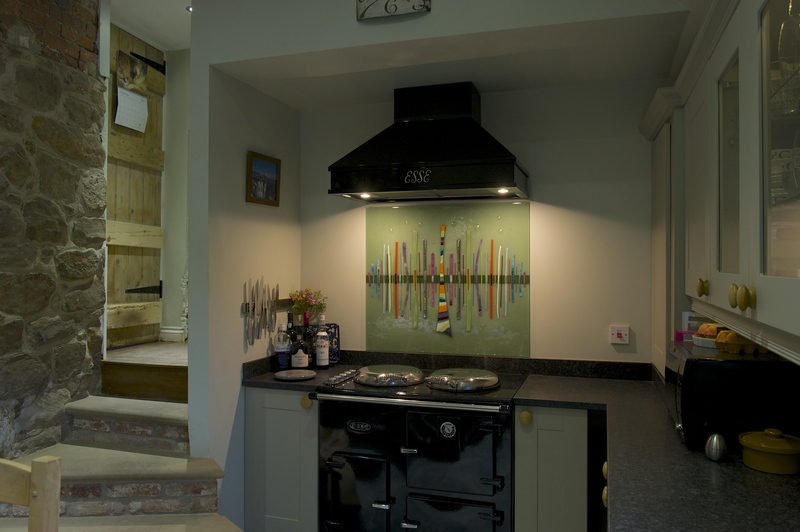 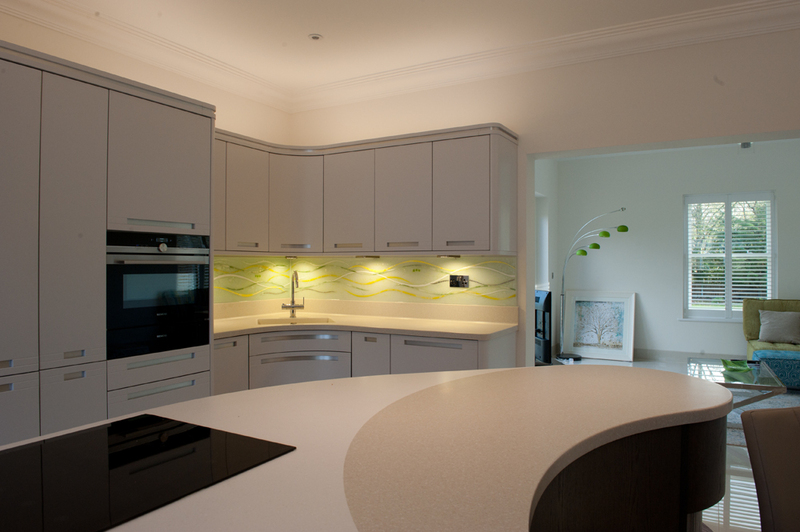 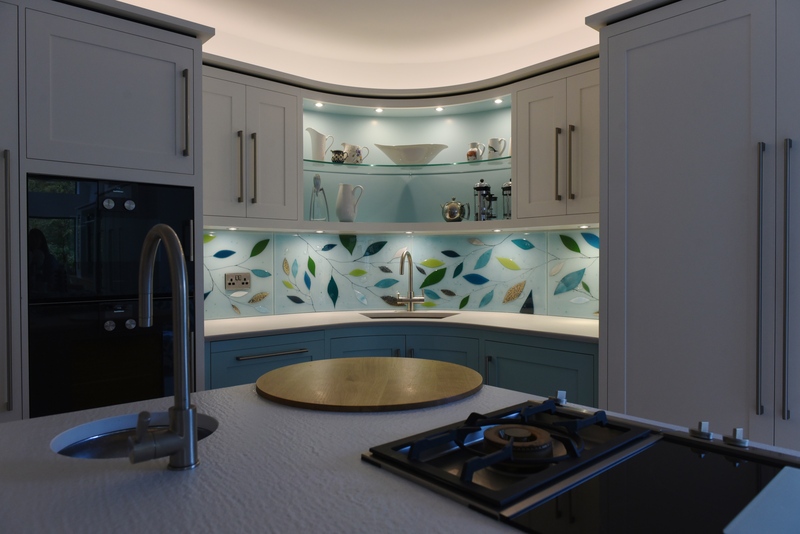 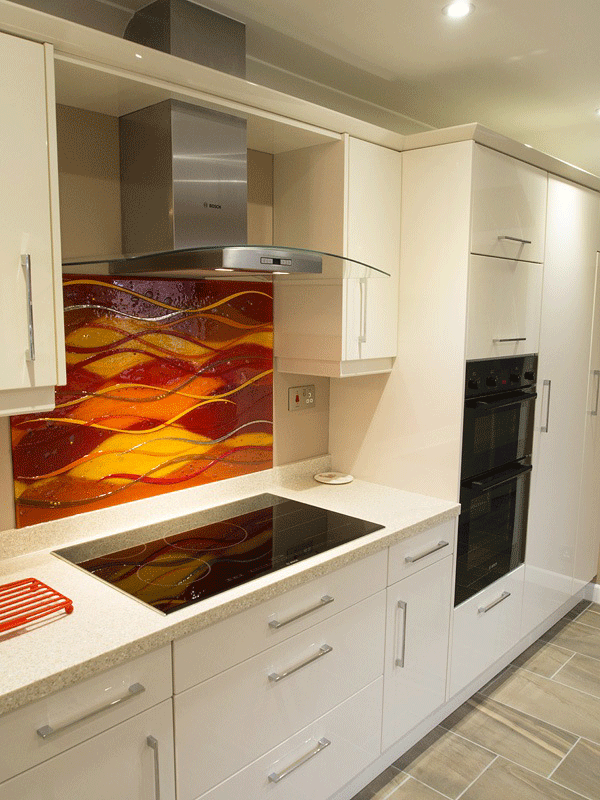 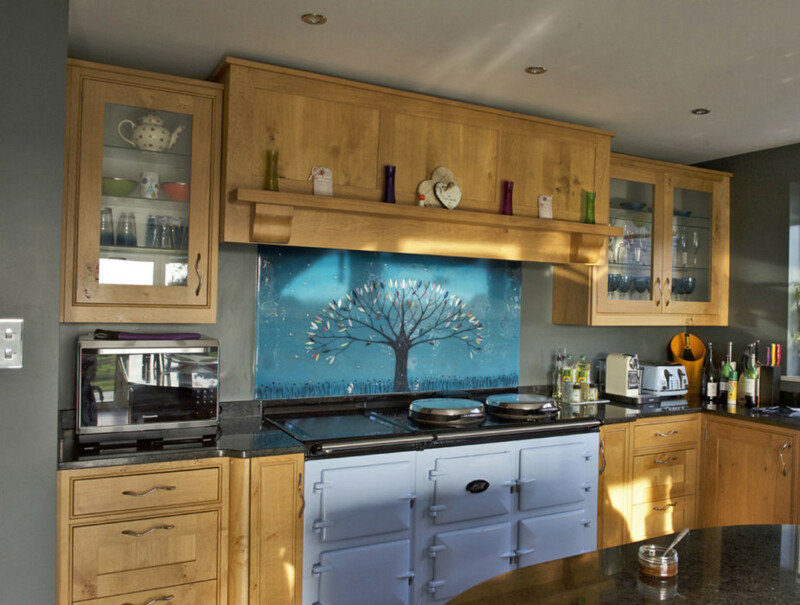 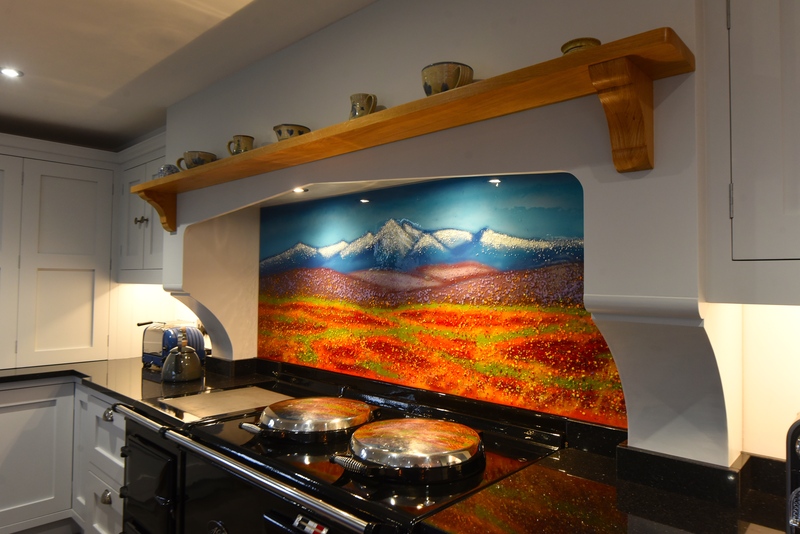 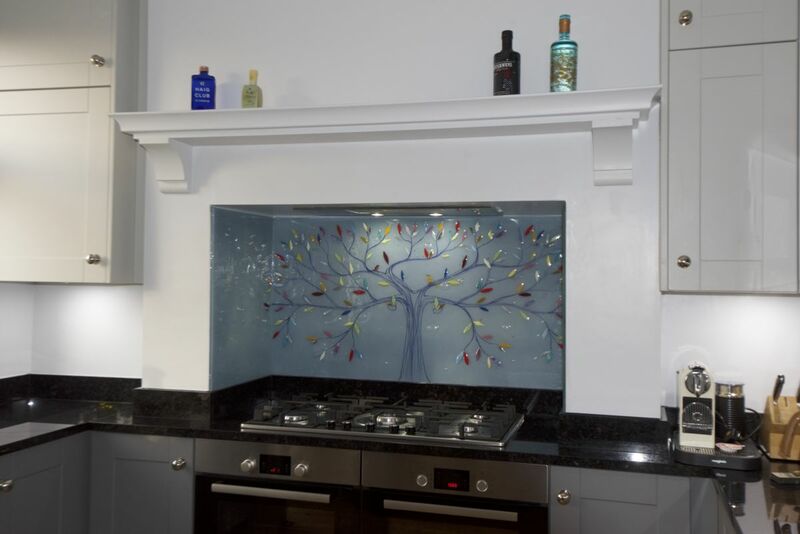 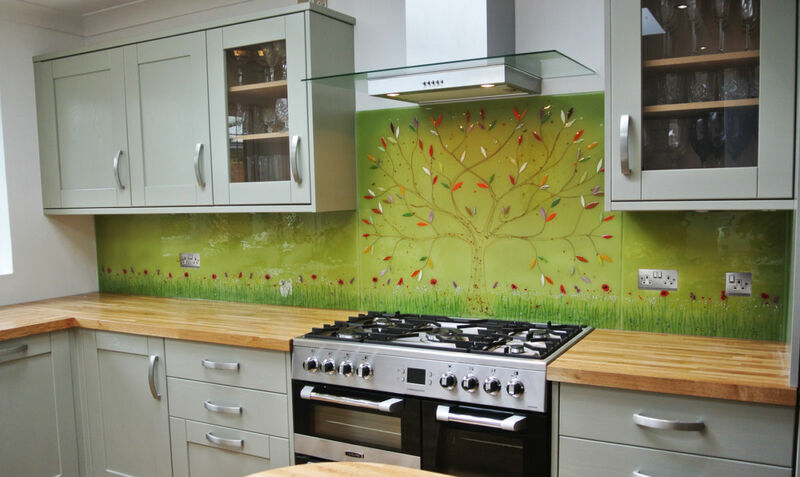 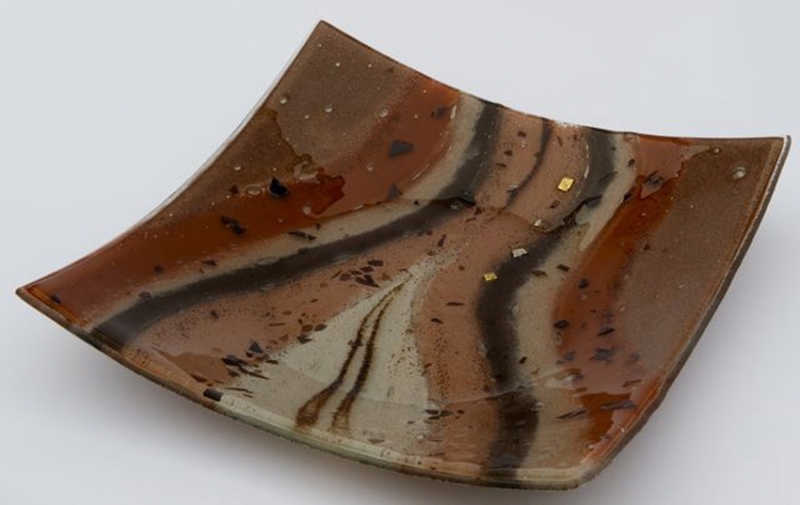 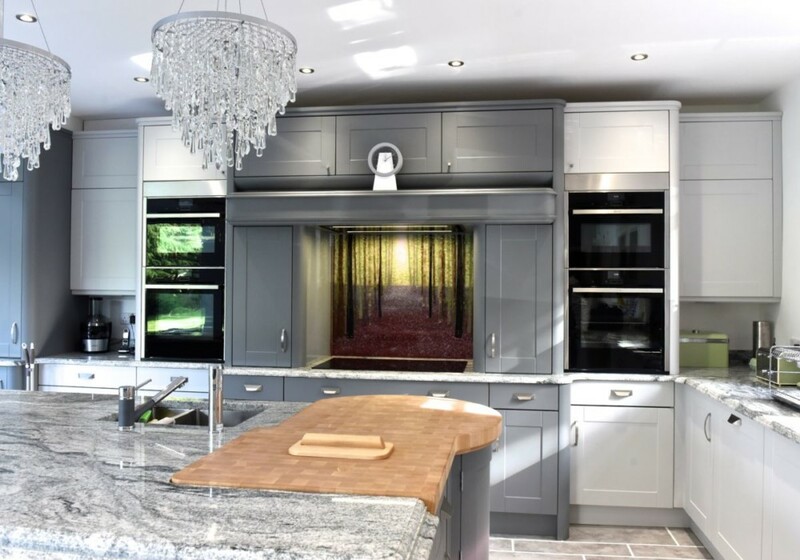 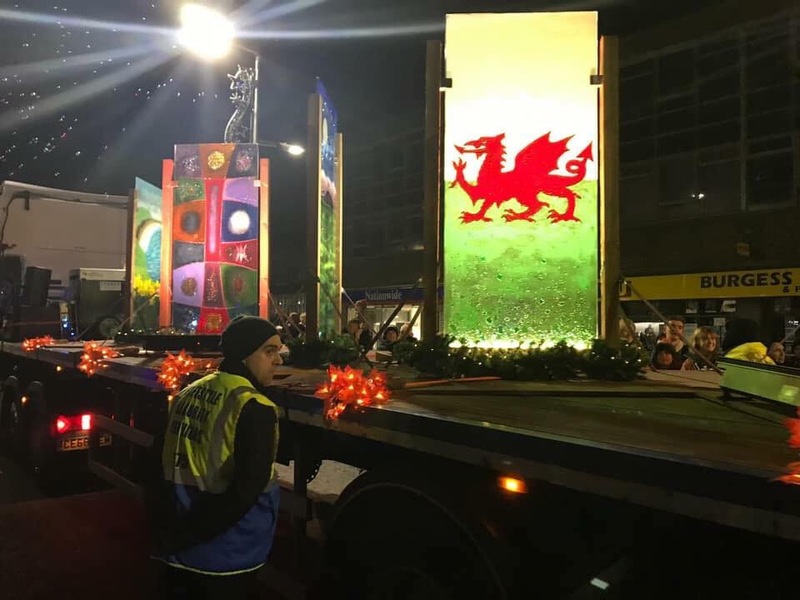 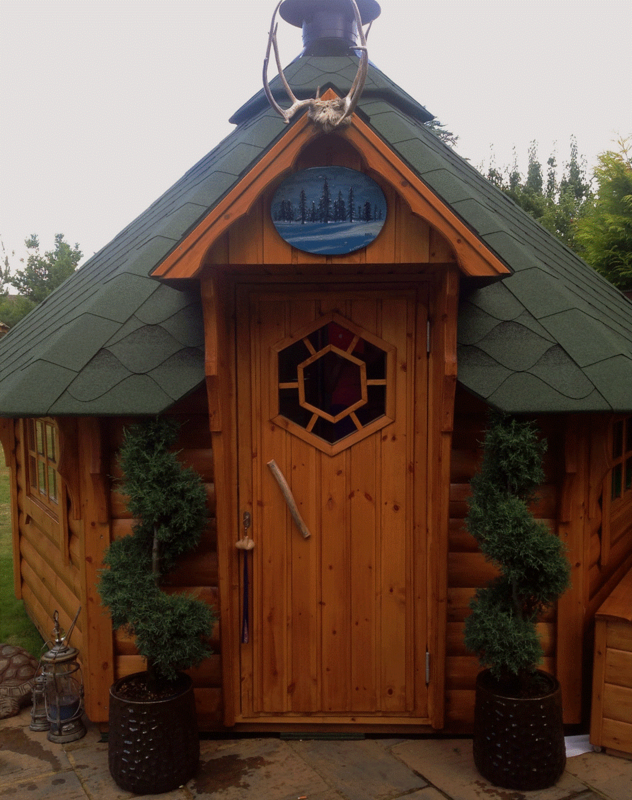 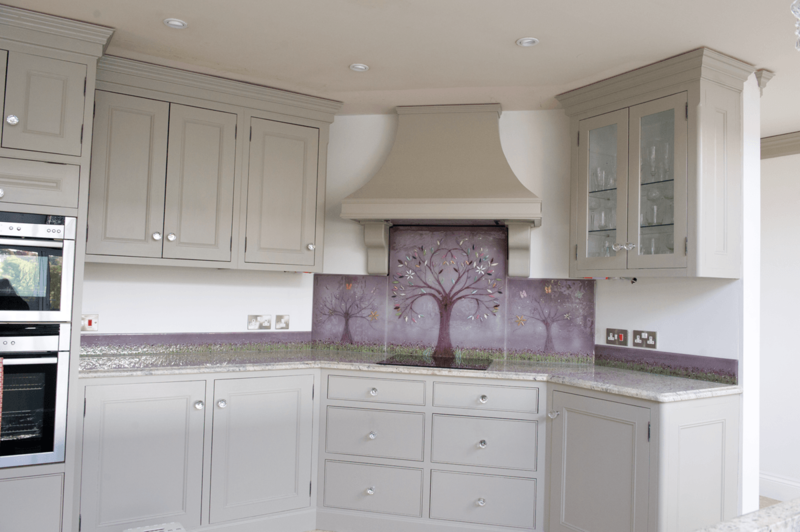 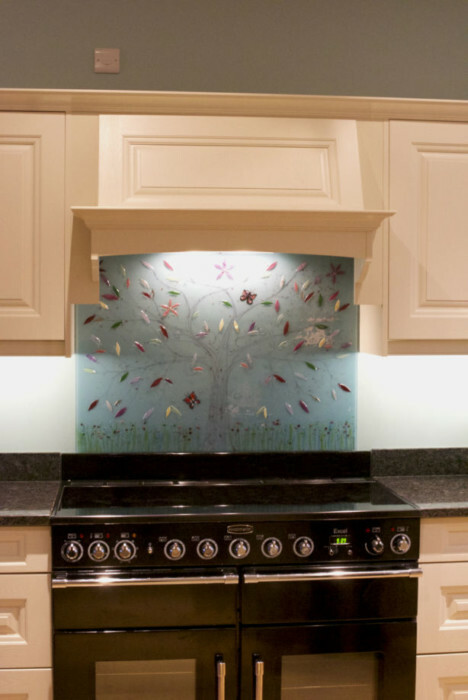 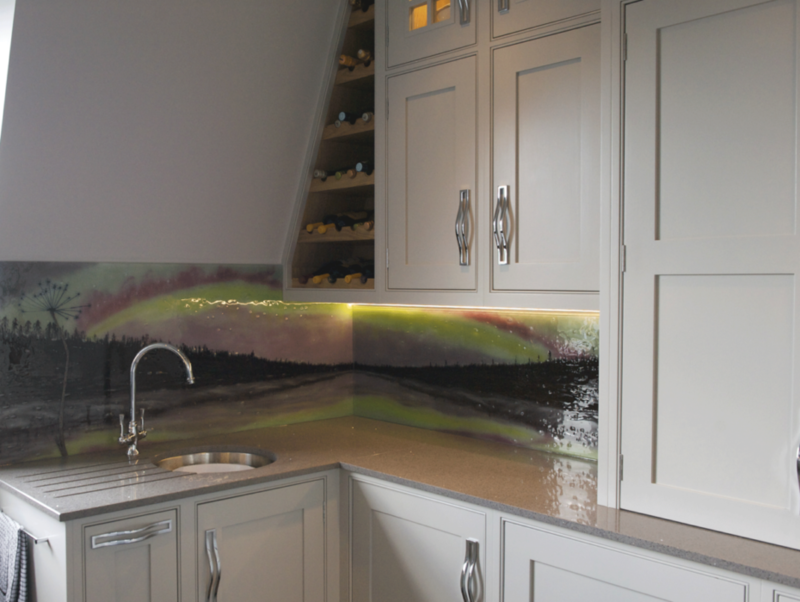 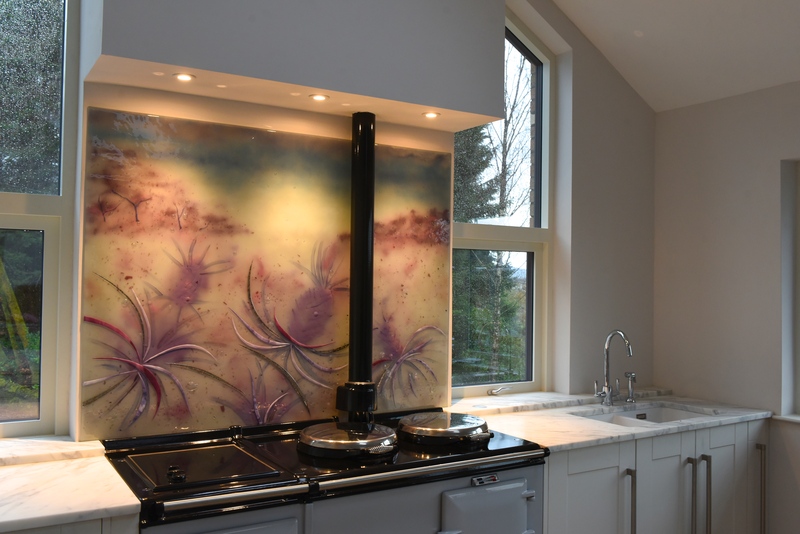 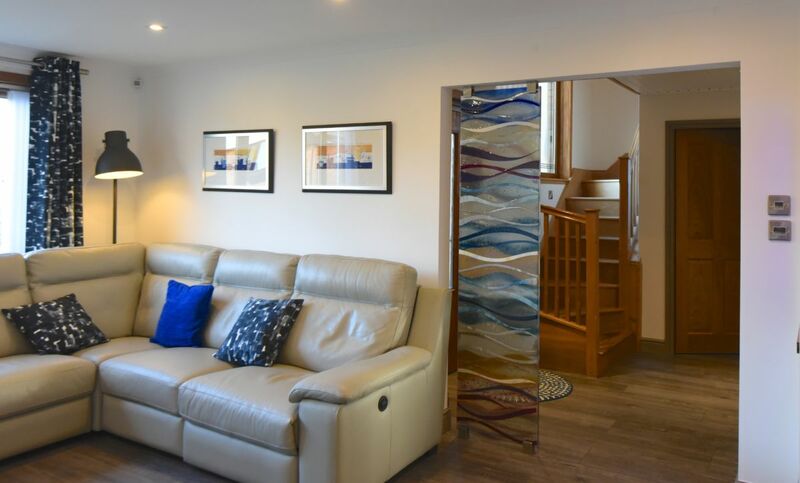 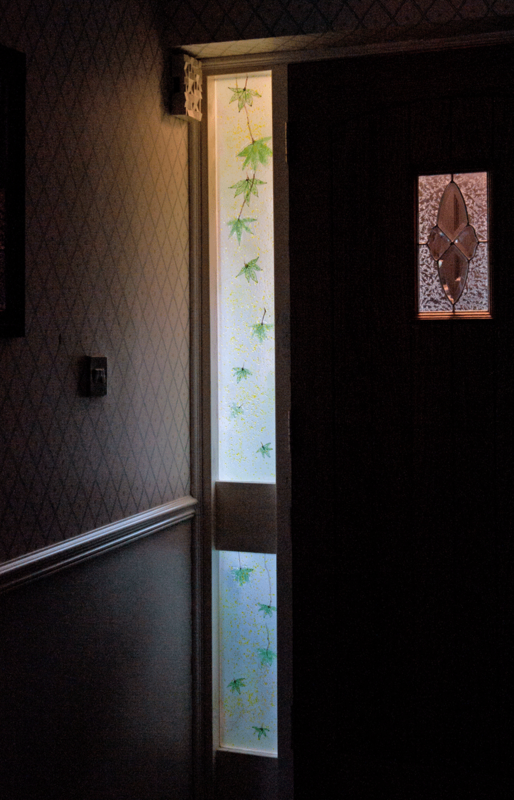 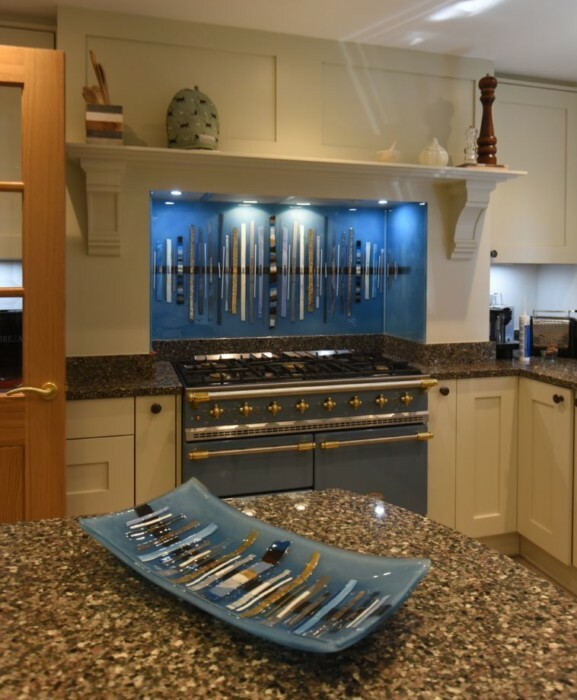 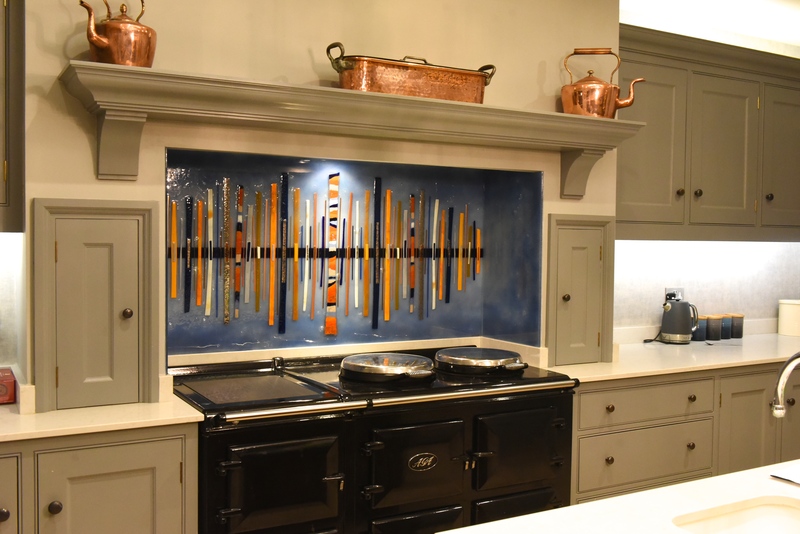 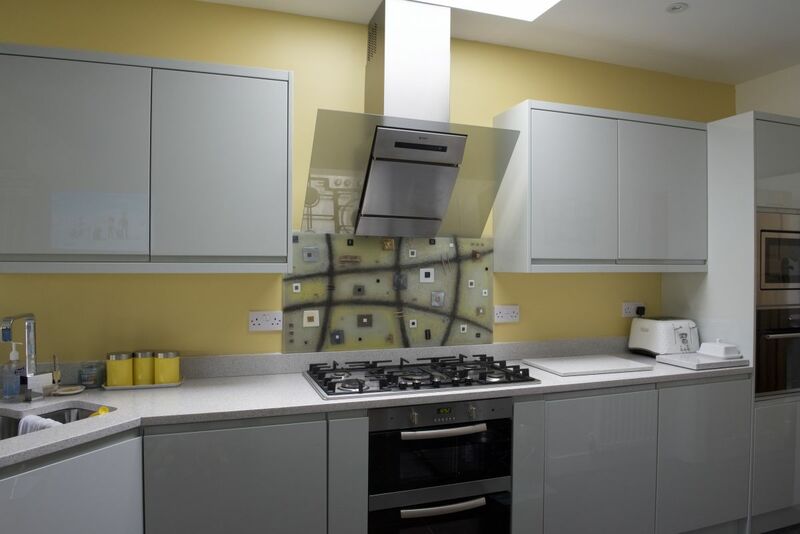 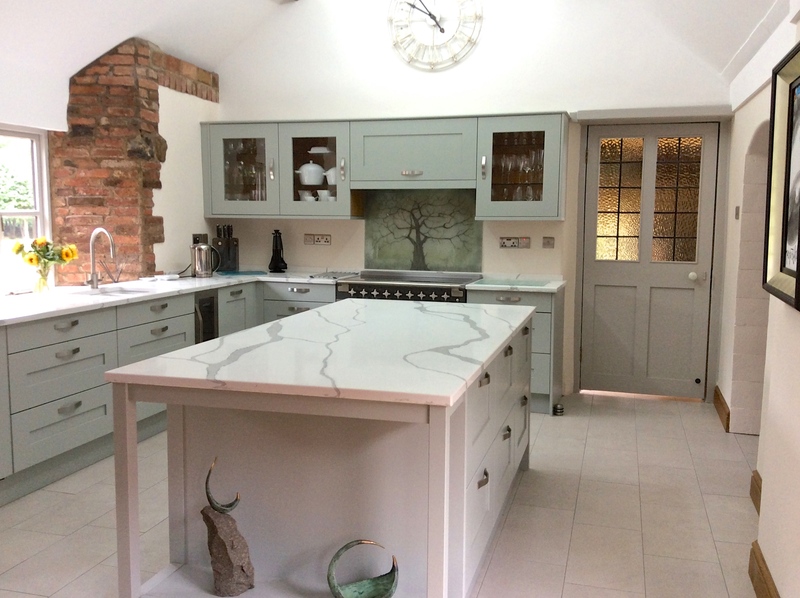 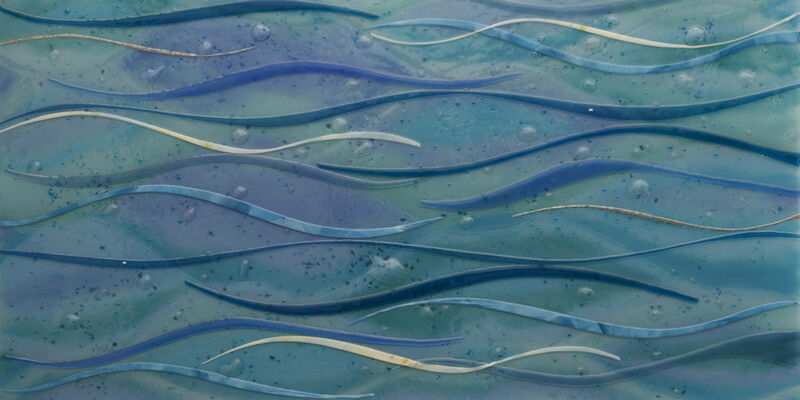 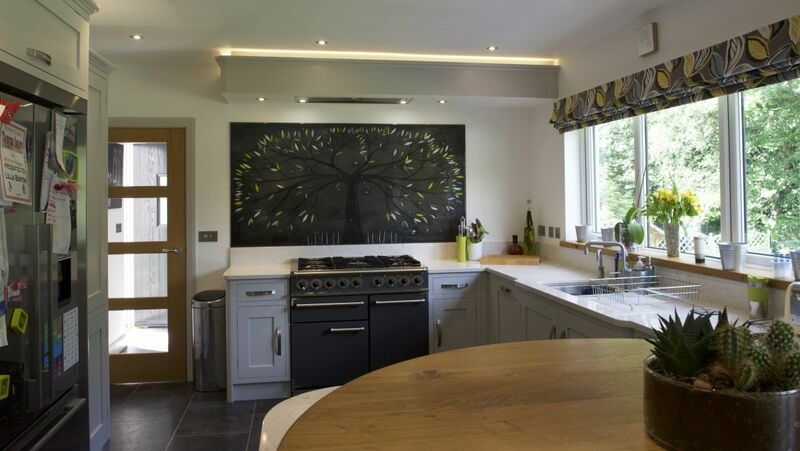 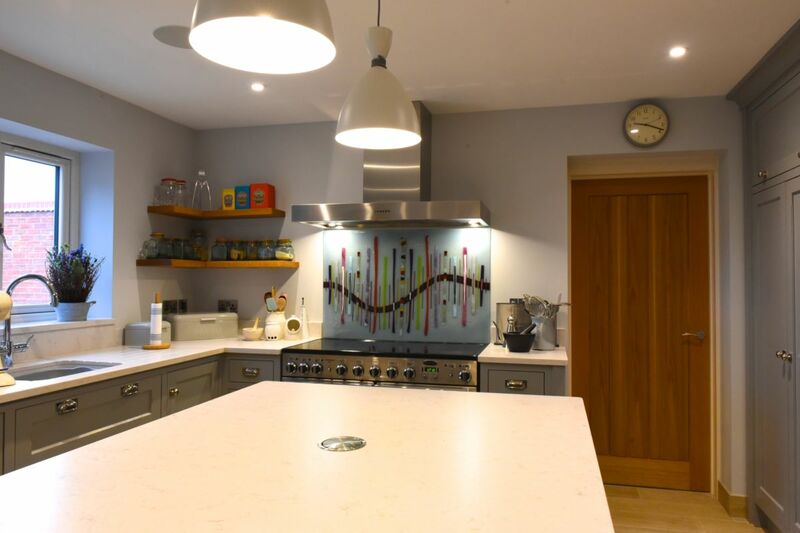 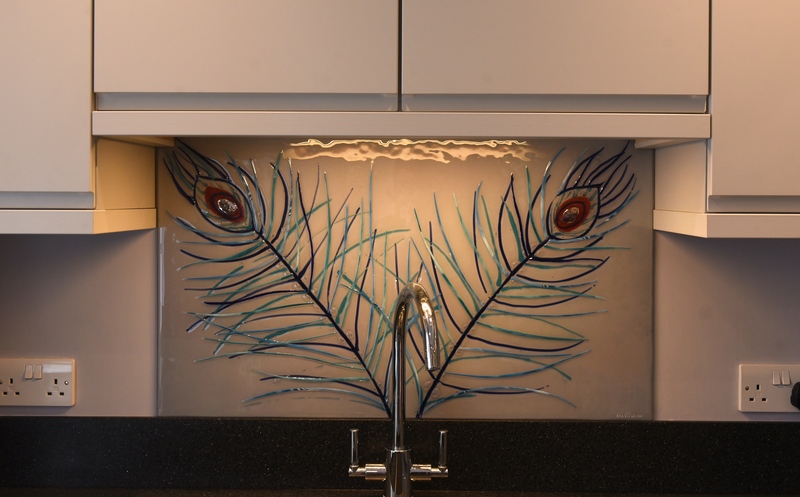 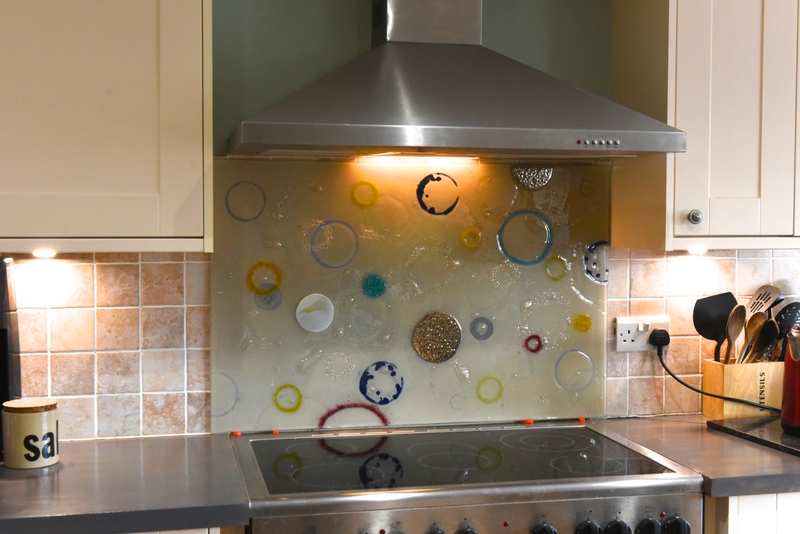 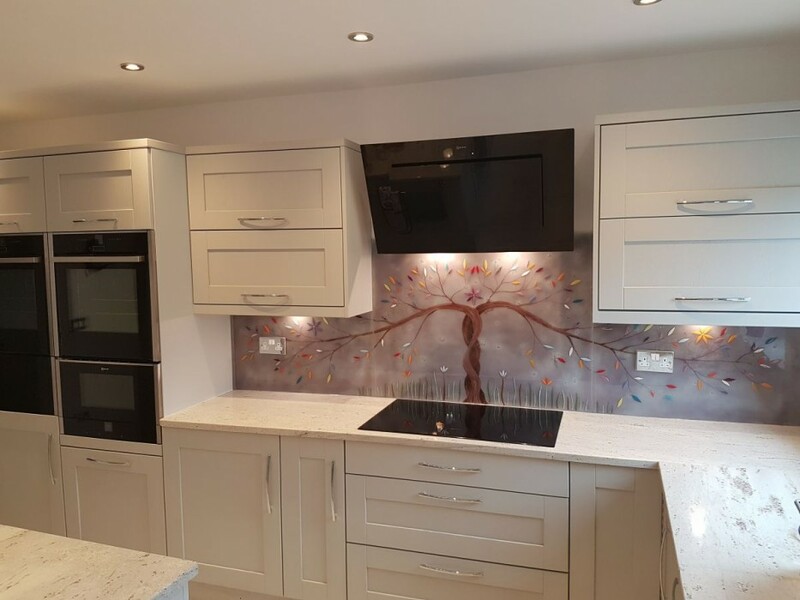 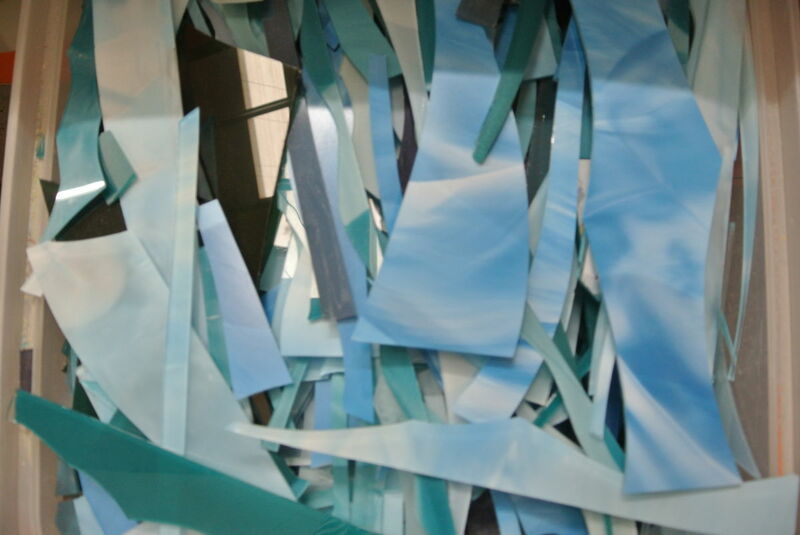 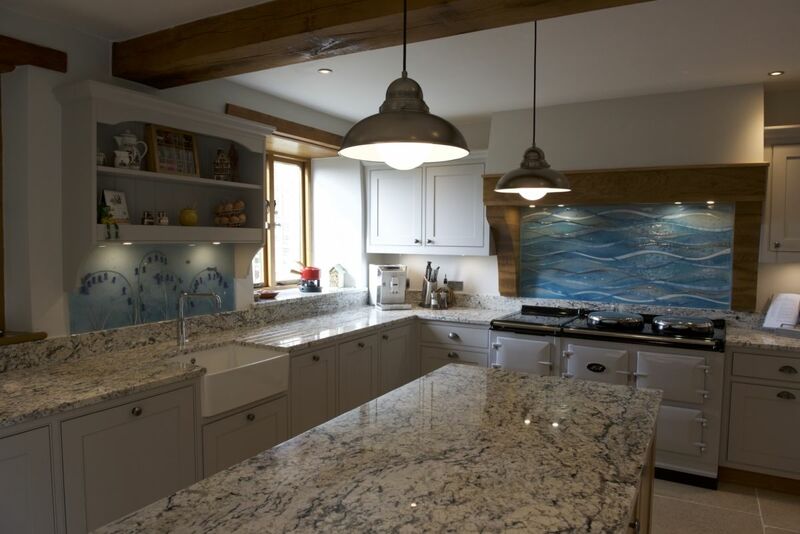 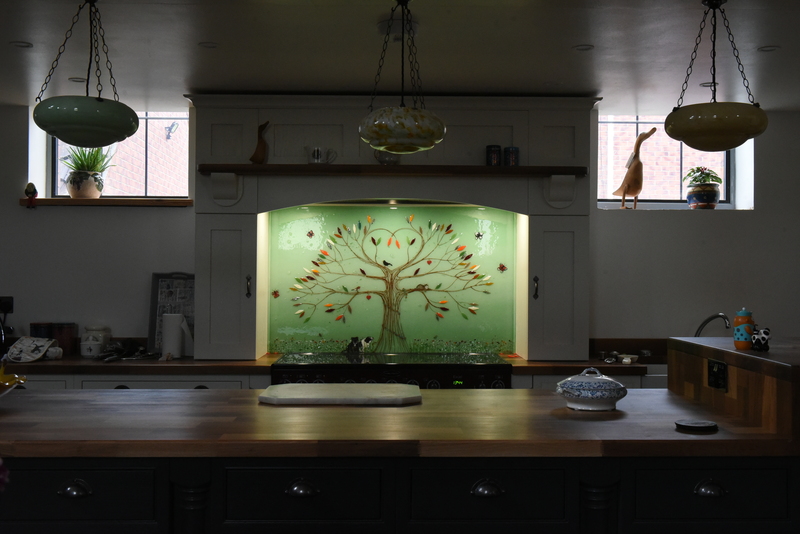 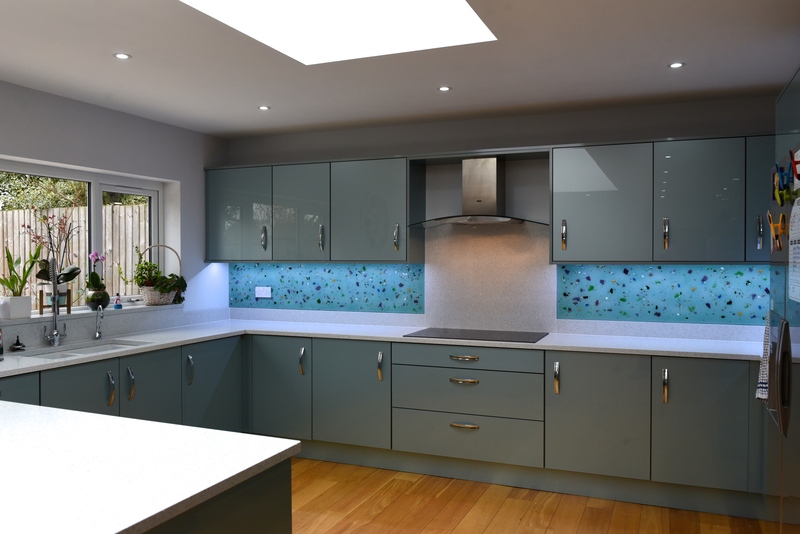 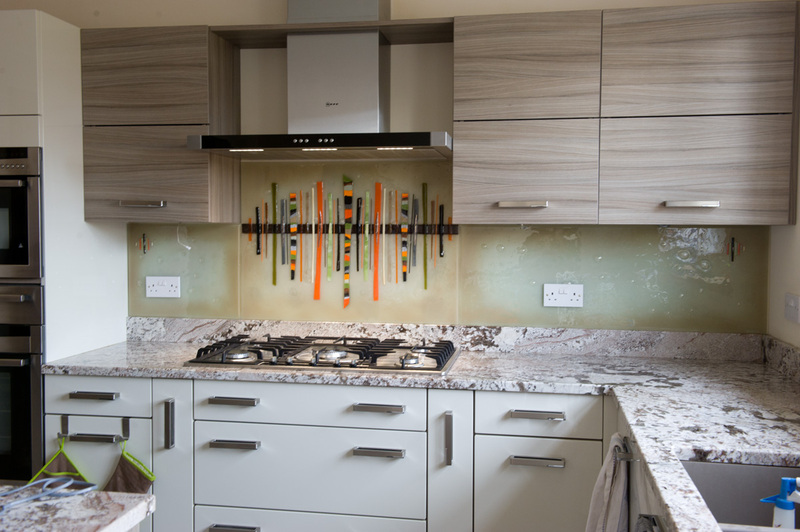 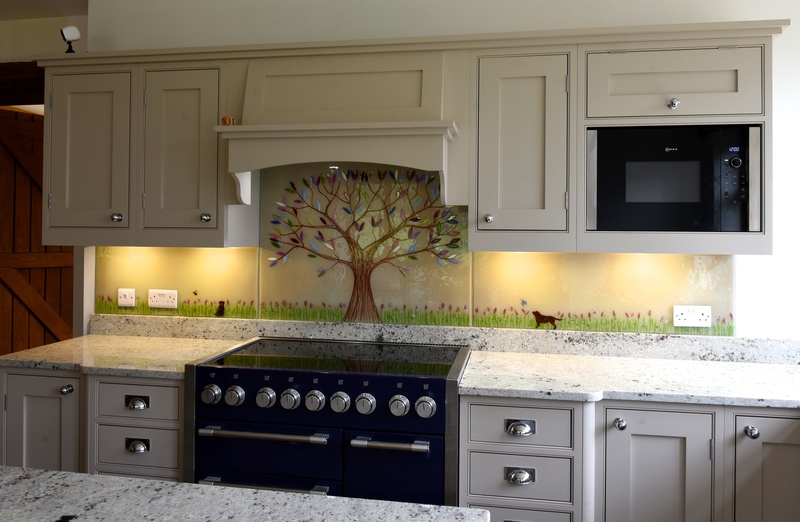 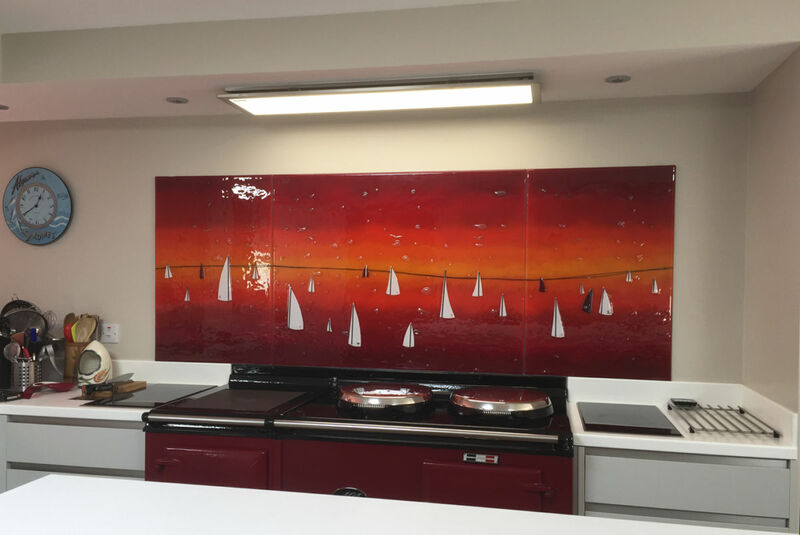 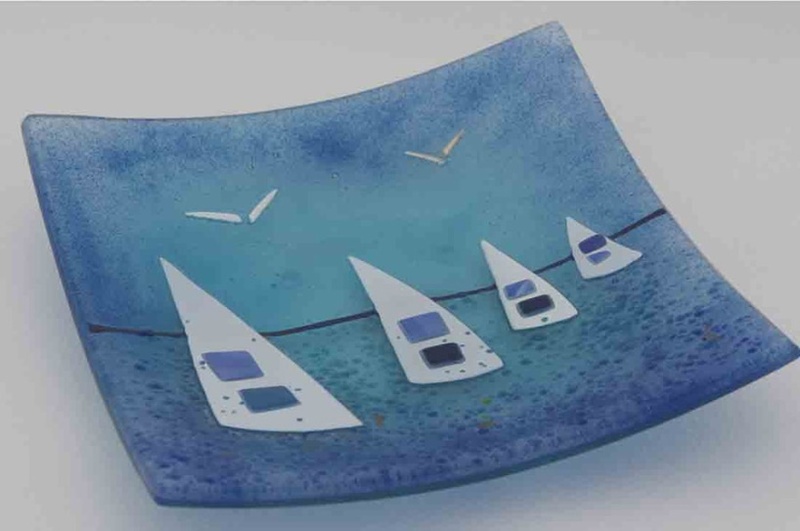 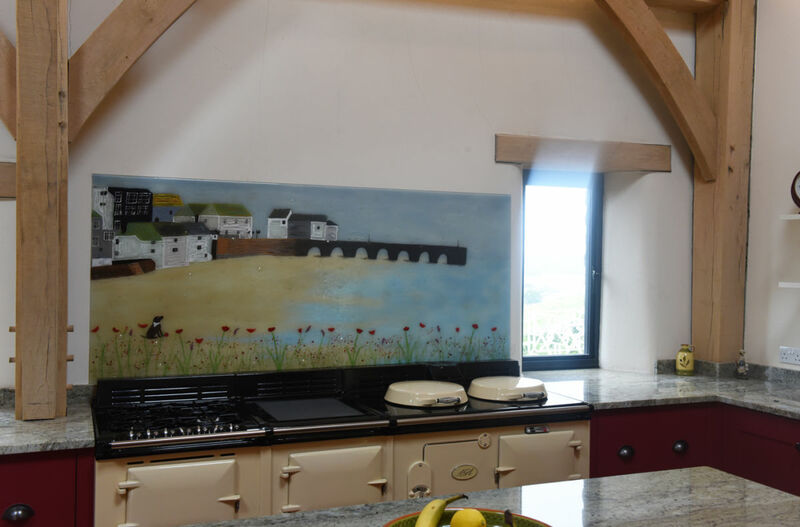 Every single piece that rolls off our kiln is bespoke and made to order by hand, as is the case with all of the many varied kinds of glass products that we create. 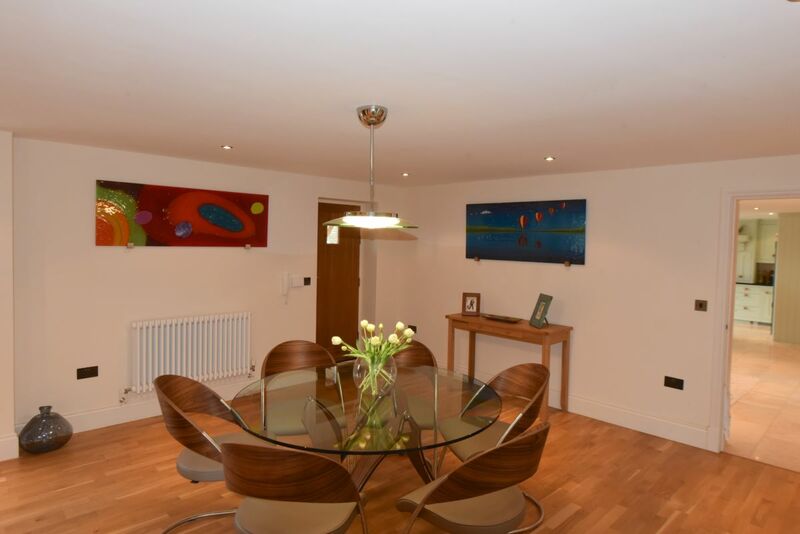 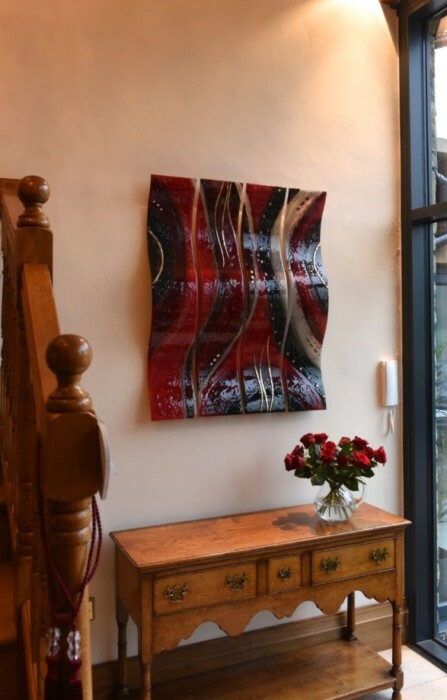 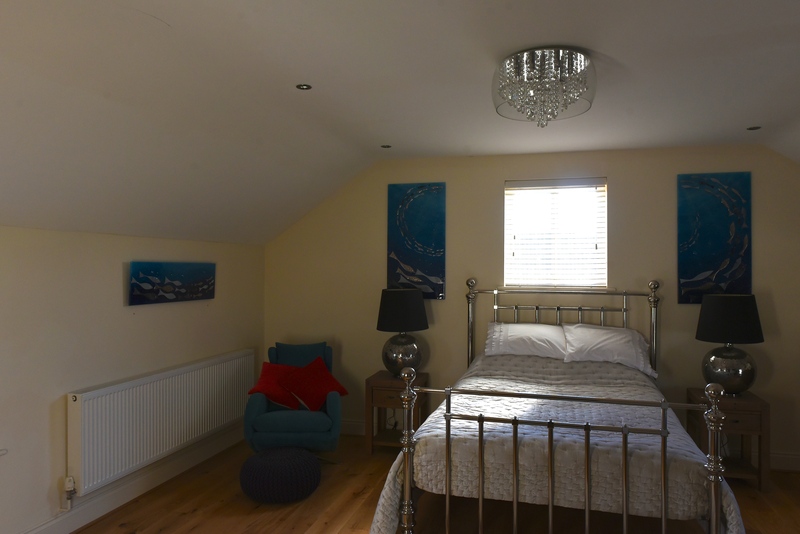 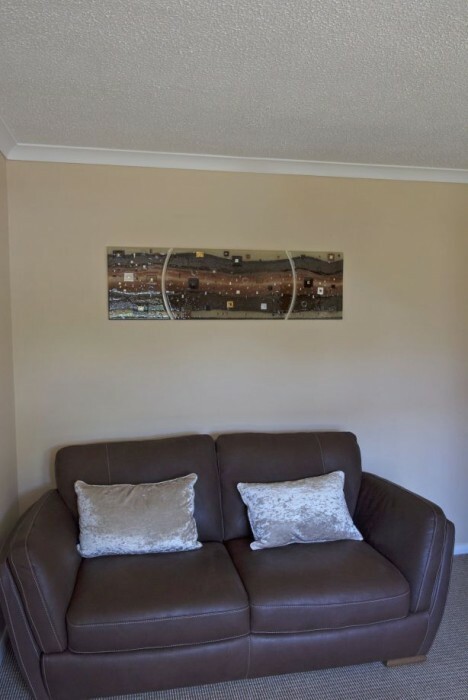 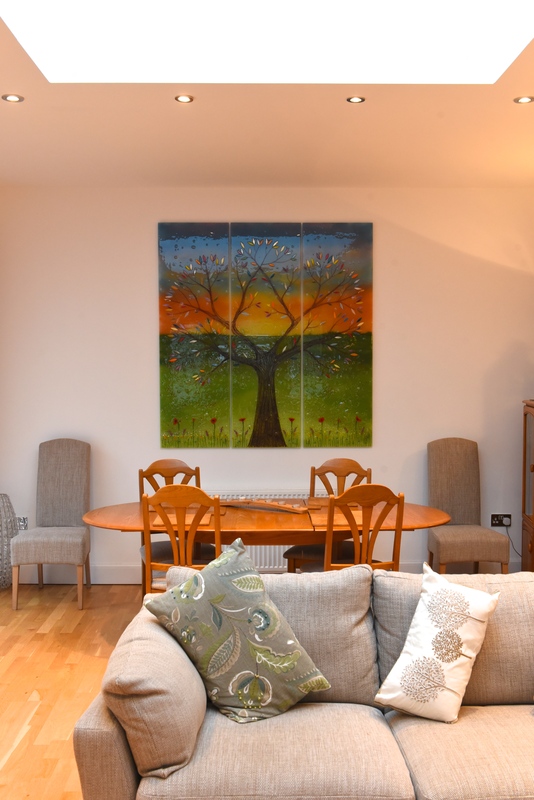 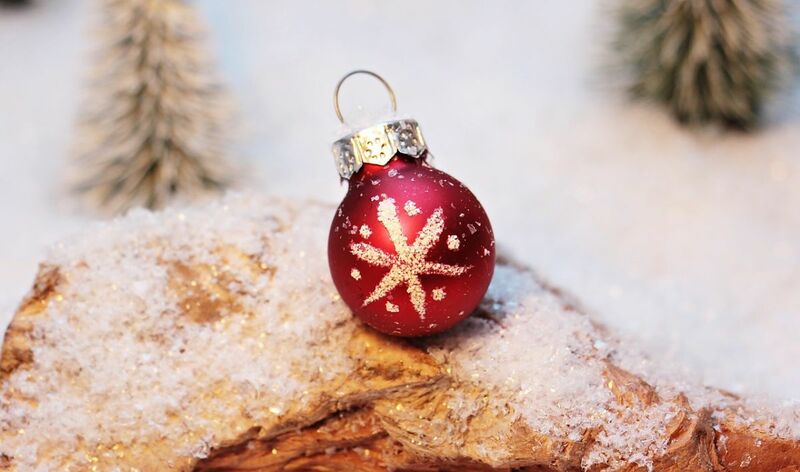 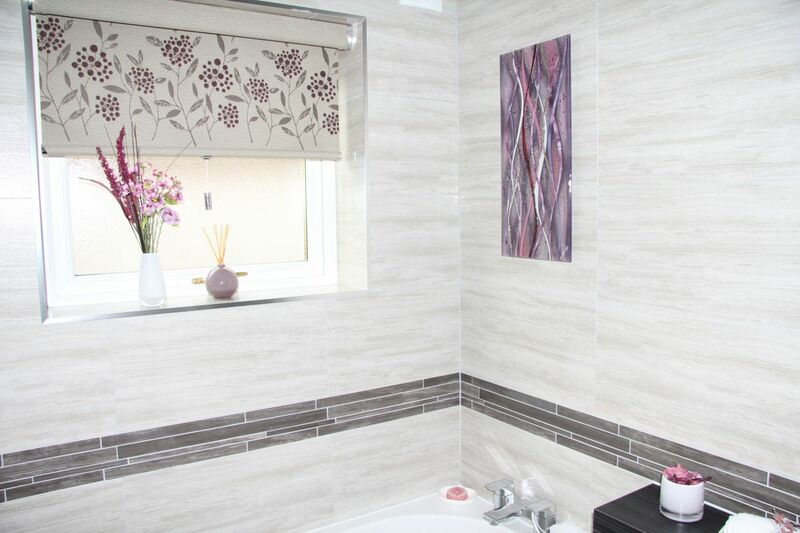 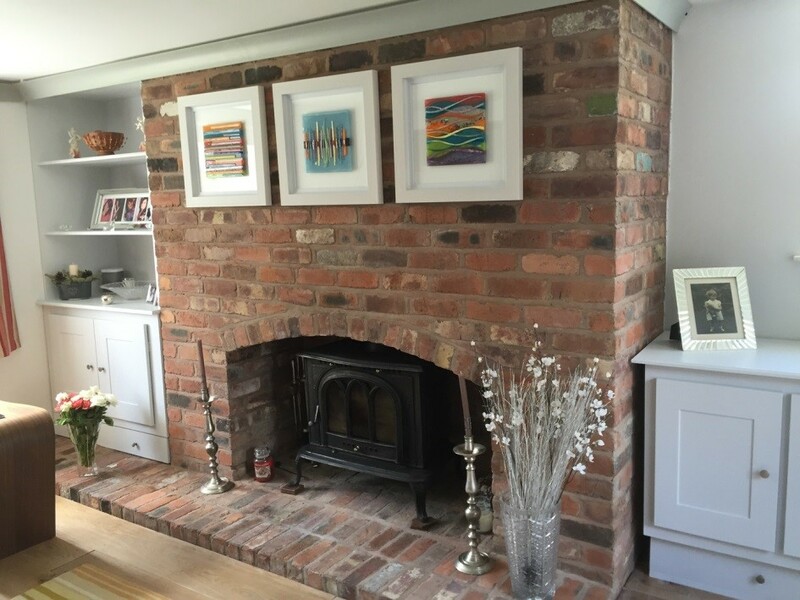 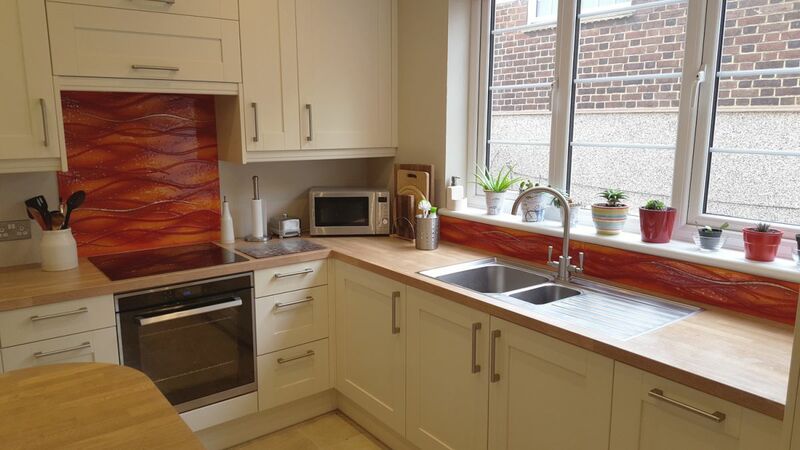 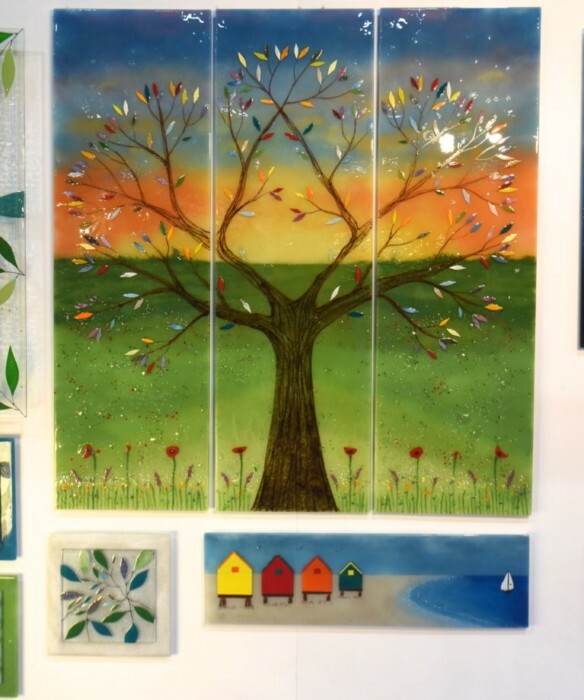 Whether you’re looking to dress up a rather bland empty wall with something stunning and unique, or you’re looking to put the finishing touch on a lovely space that just needs a little something extra, you’re sure to find something perfect for you here with us. 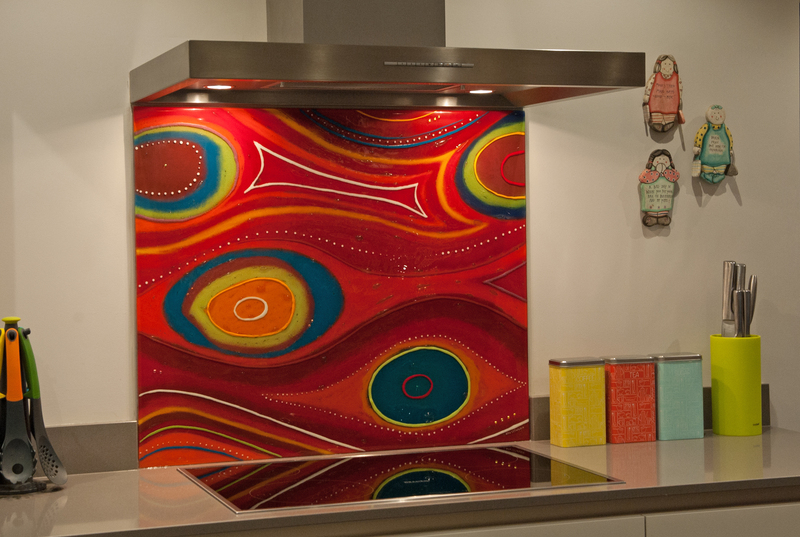 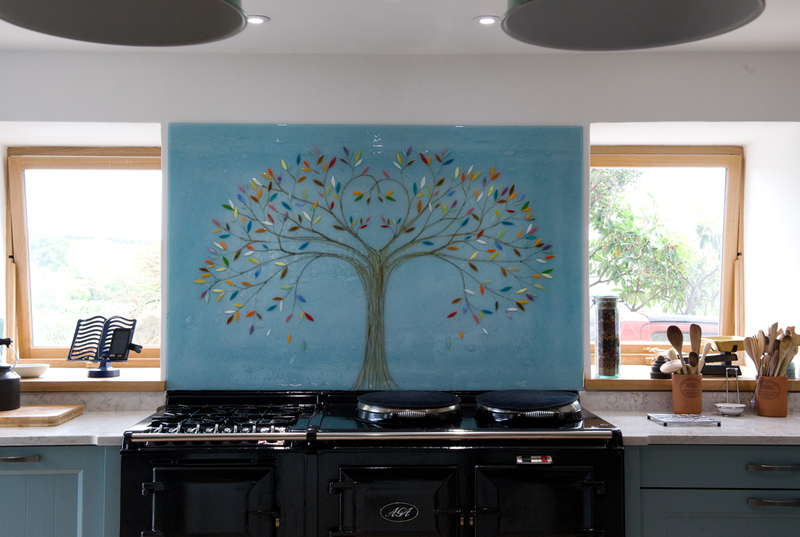 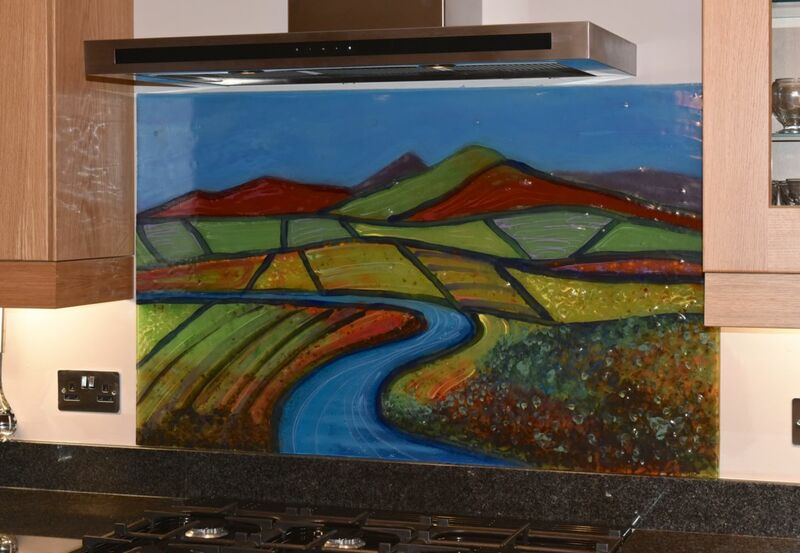 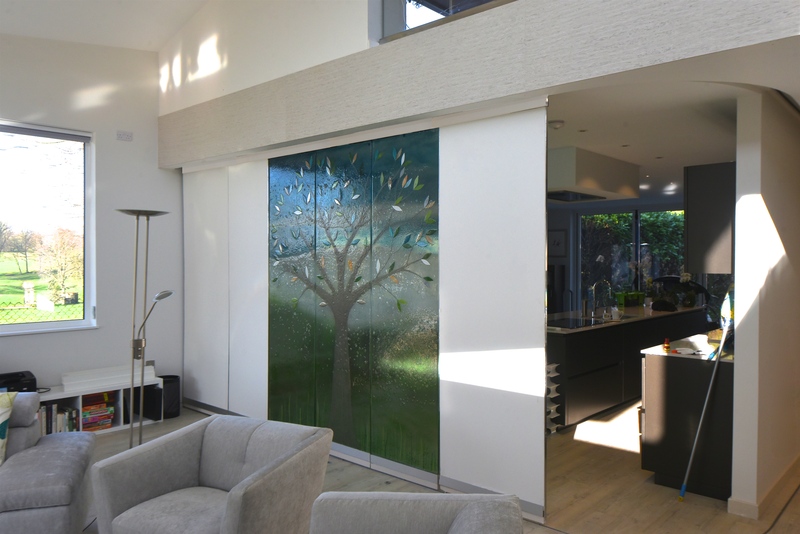 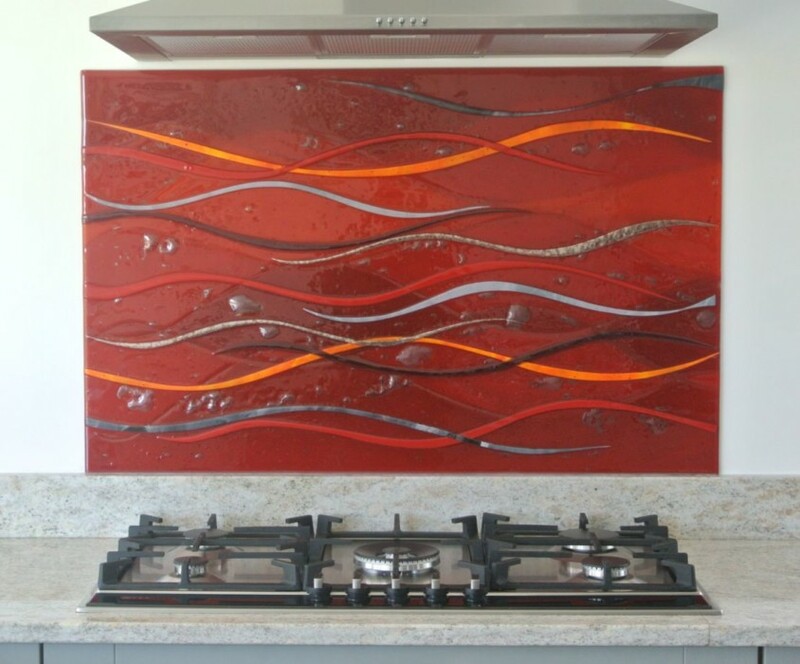 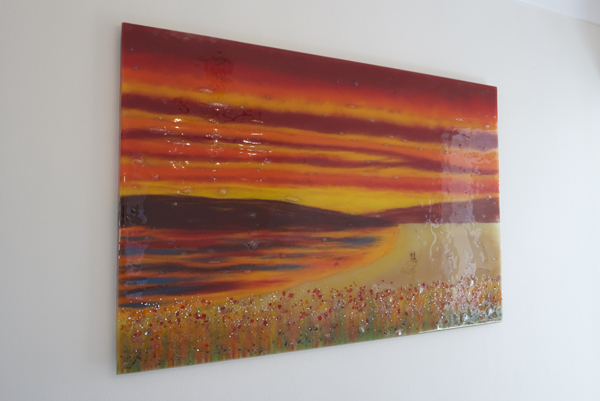 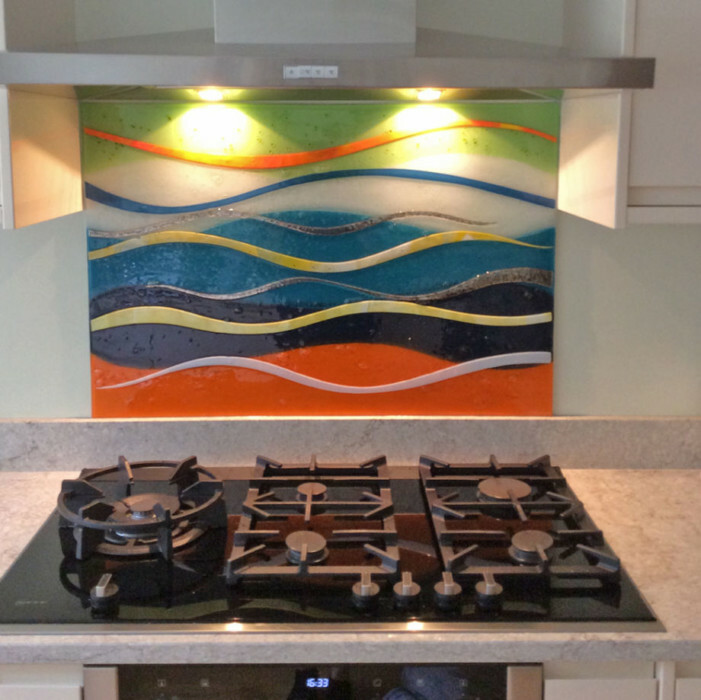 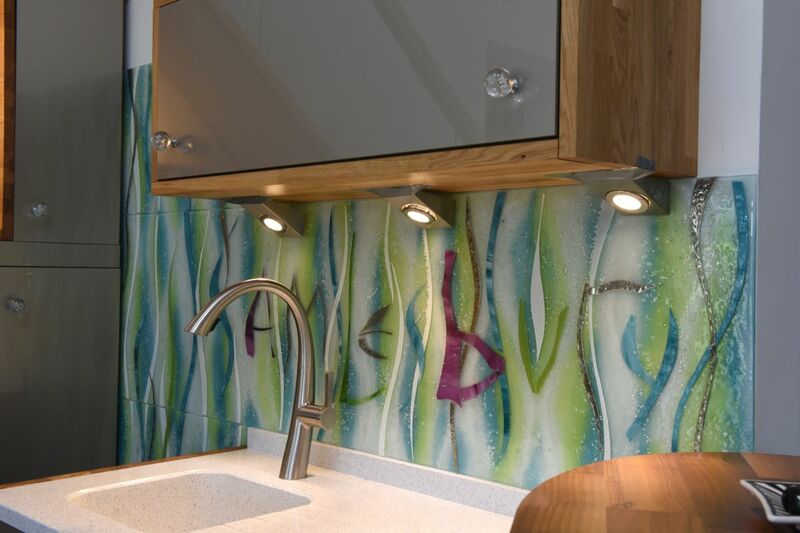 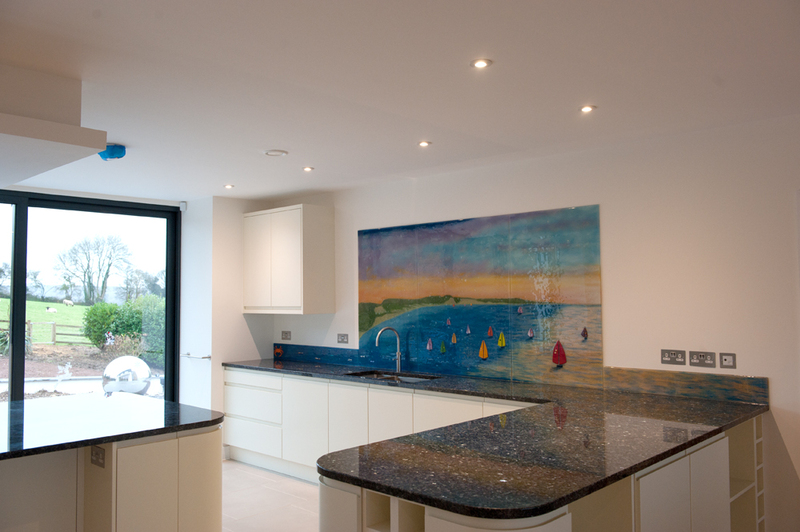 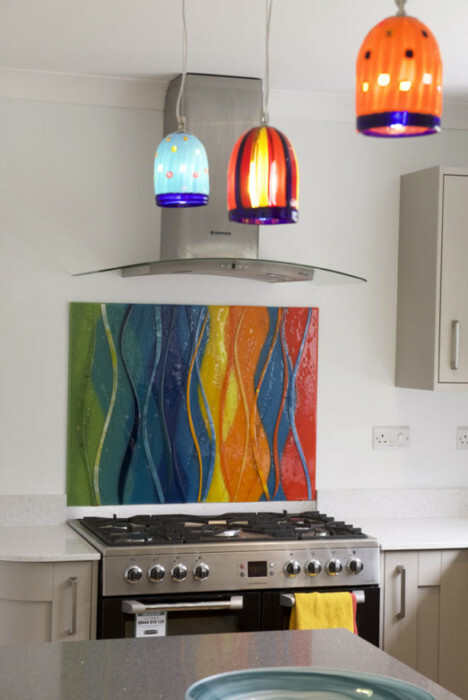 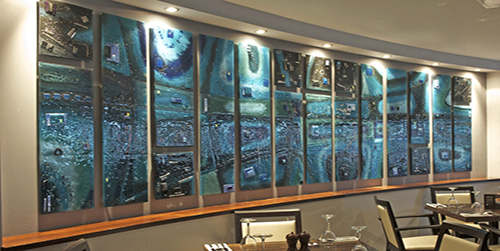 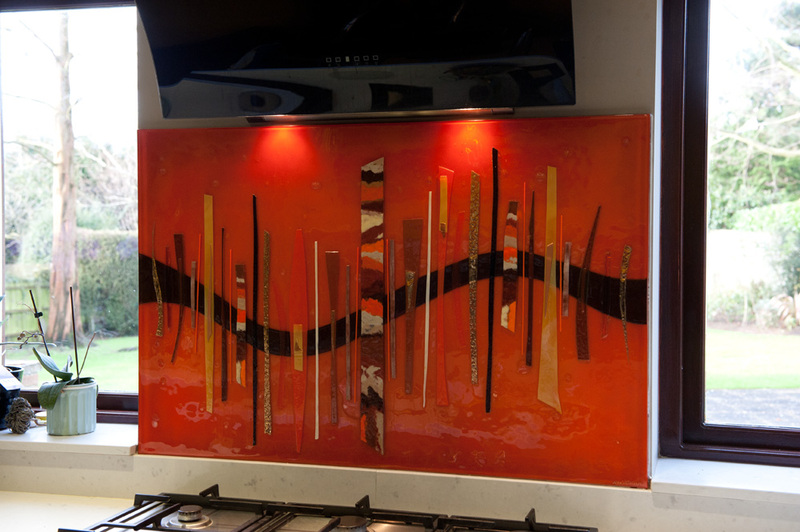 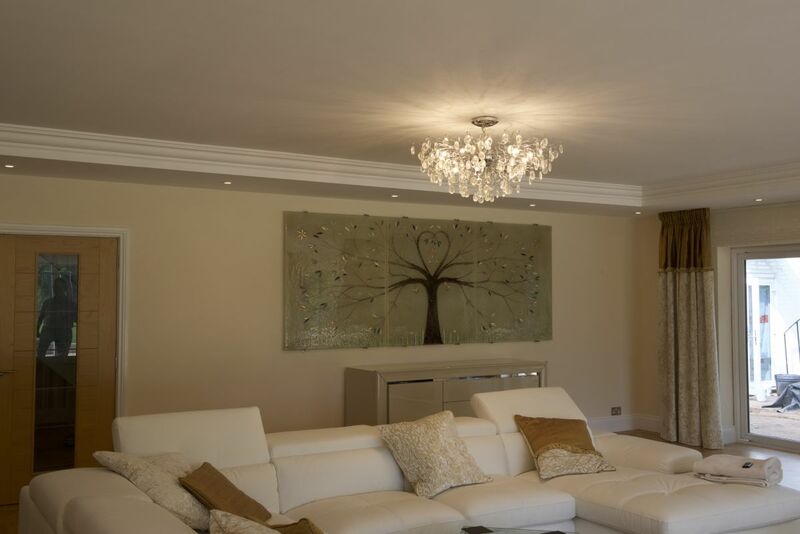 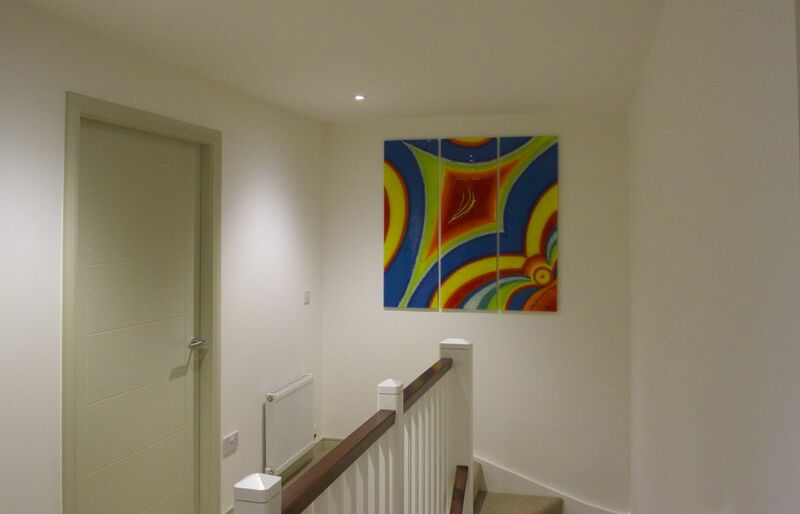 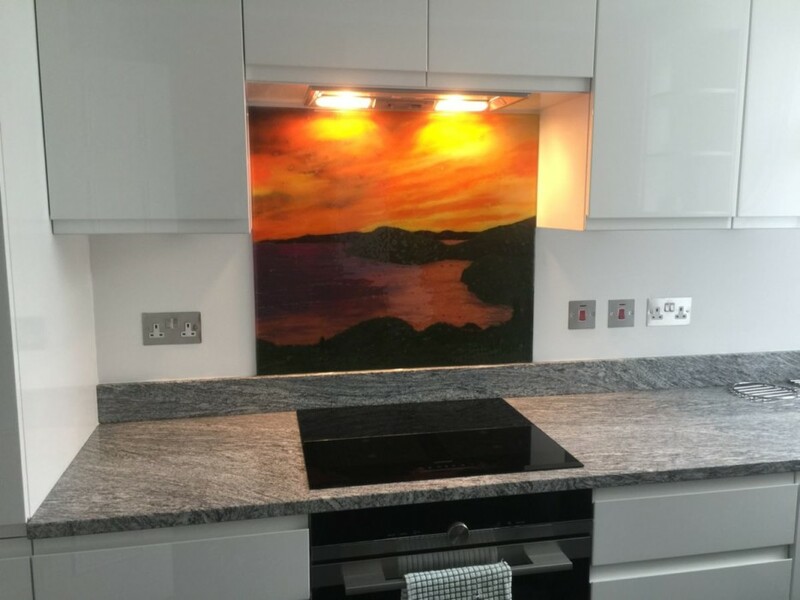 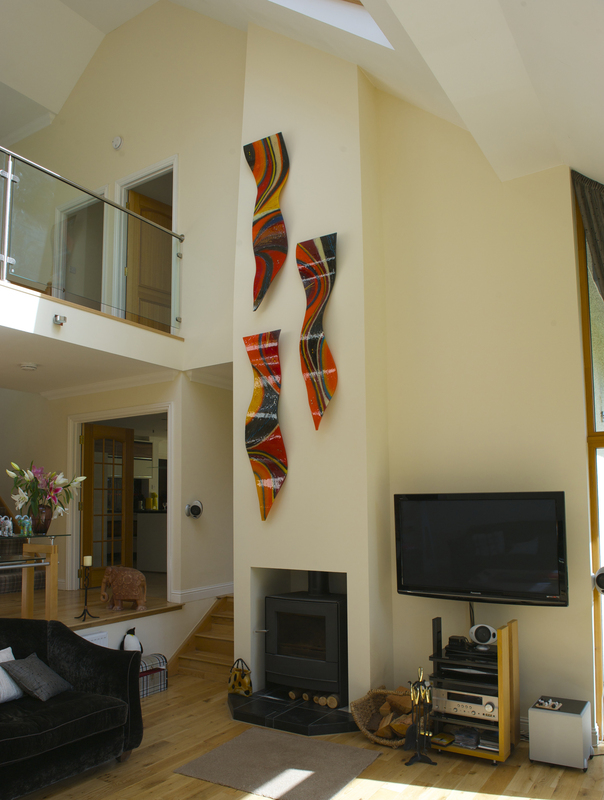 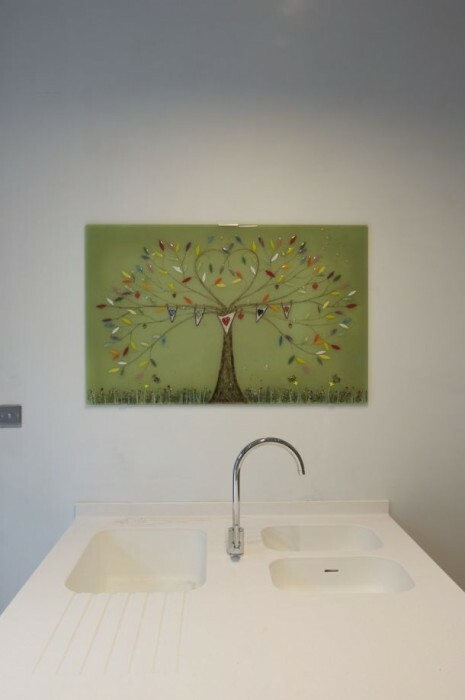 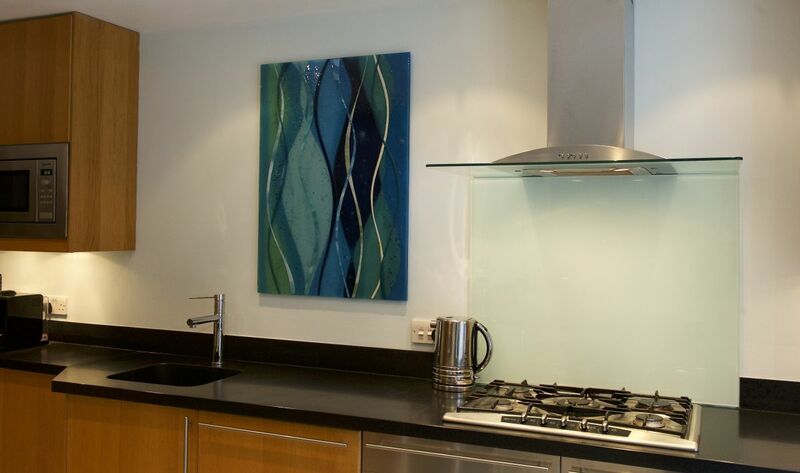 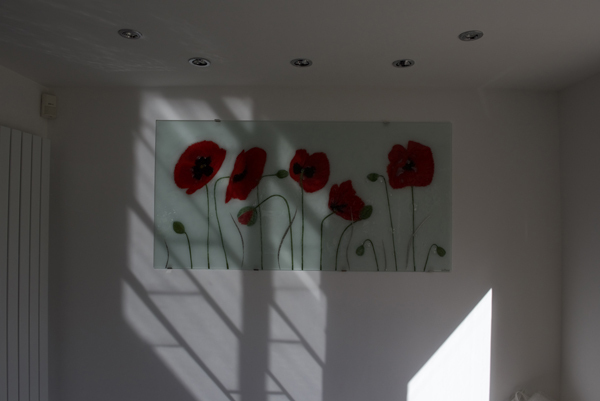 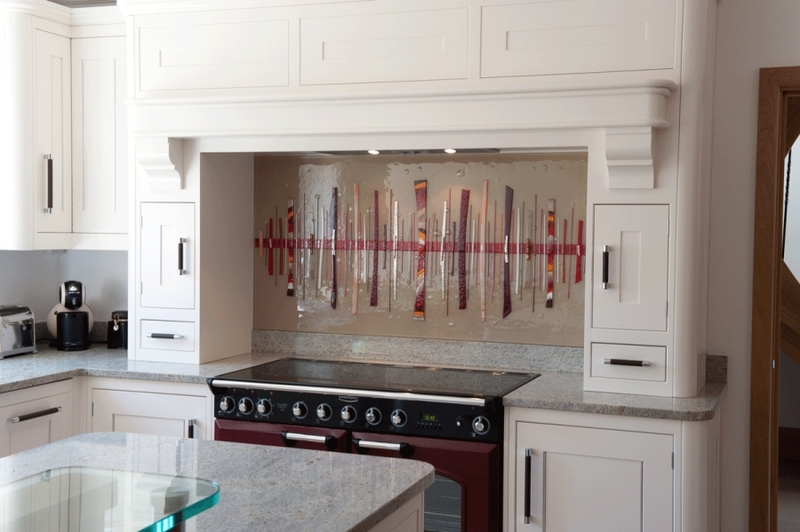 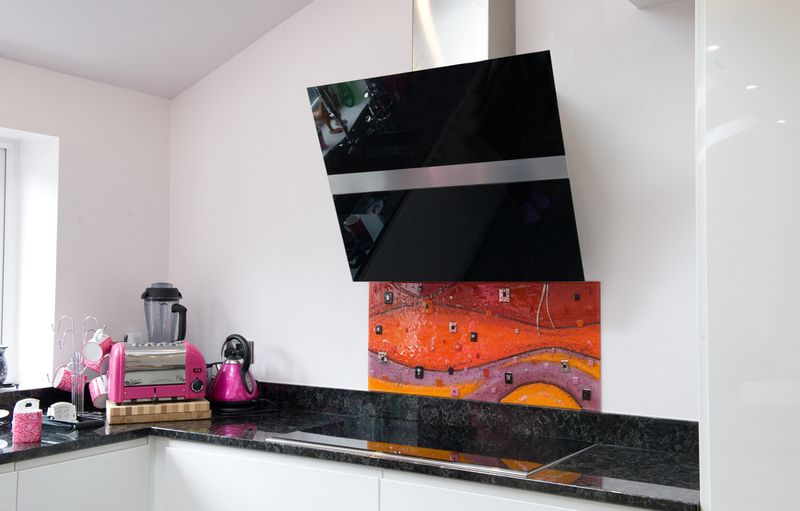 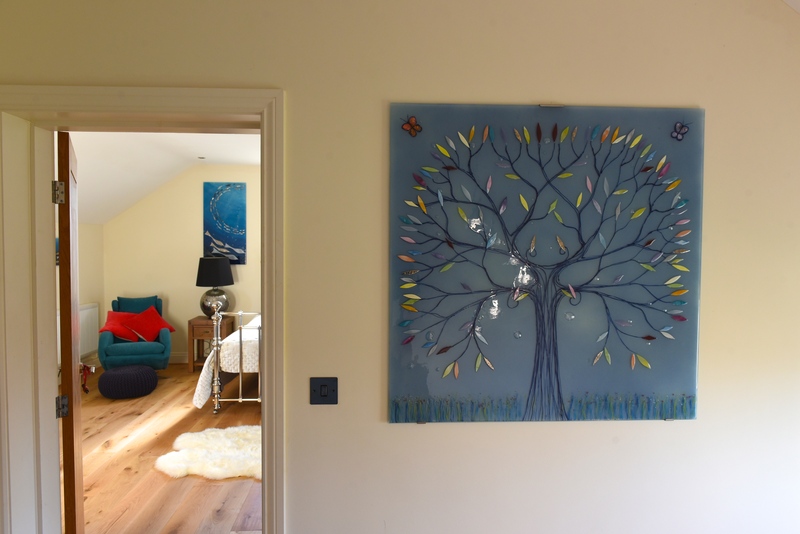 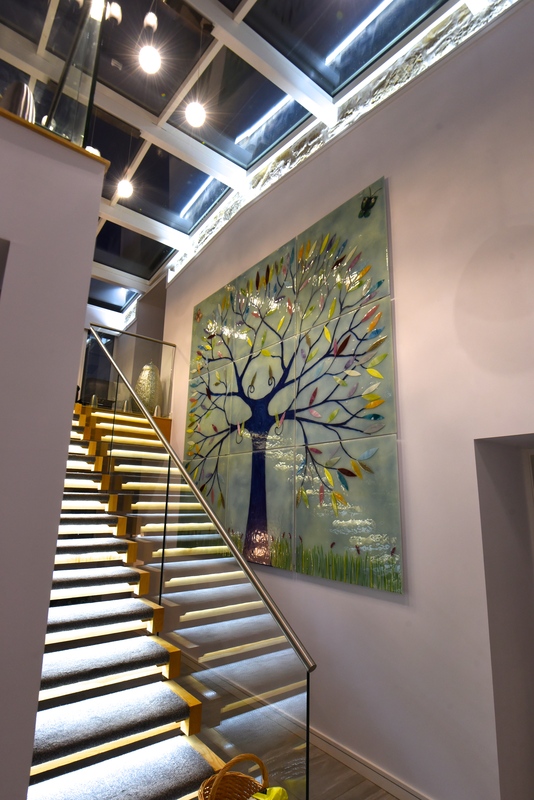 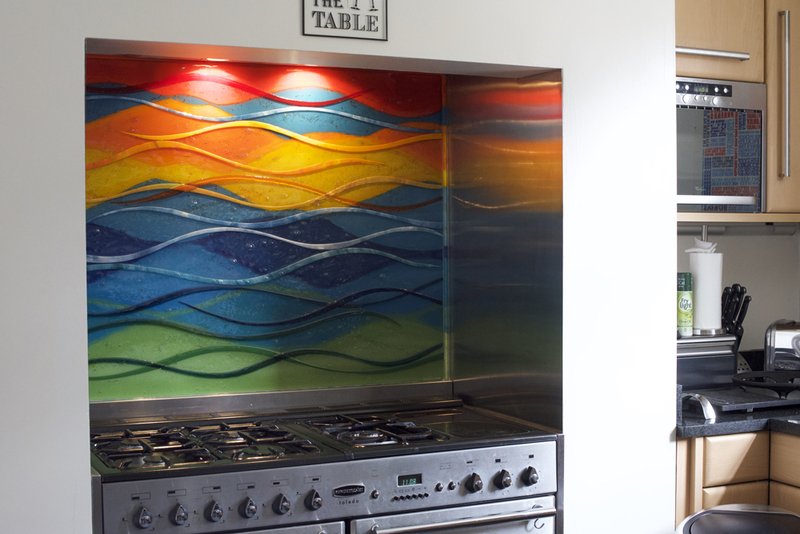 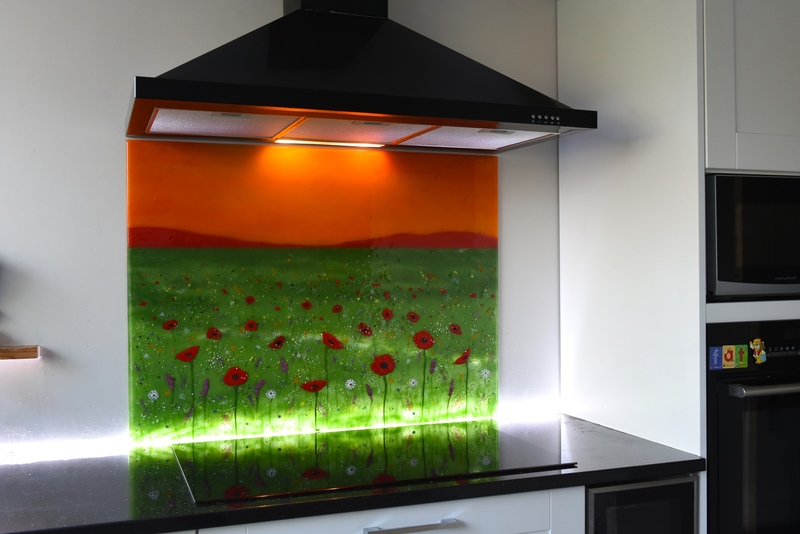 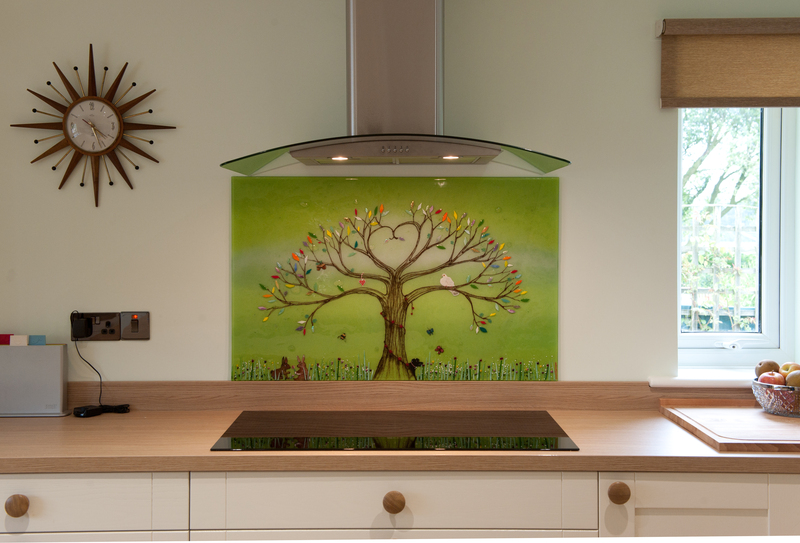 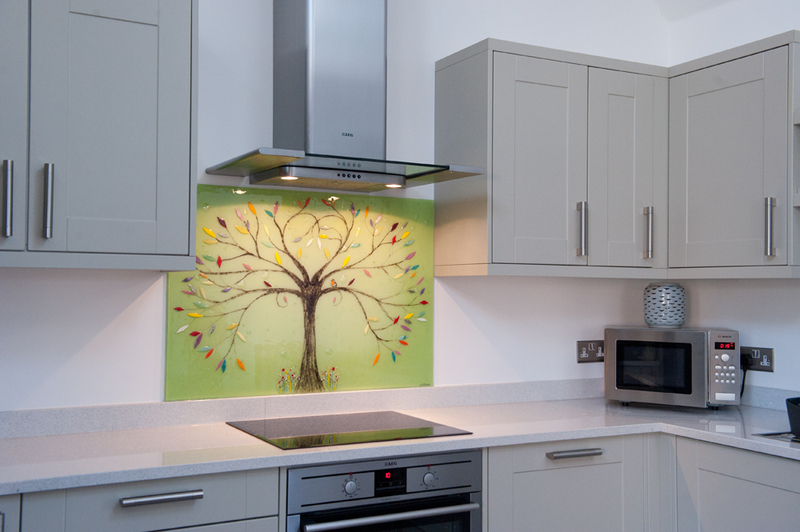 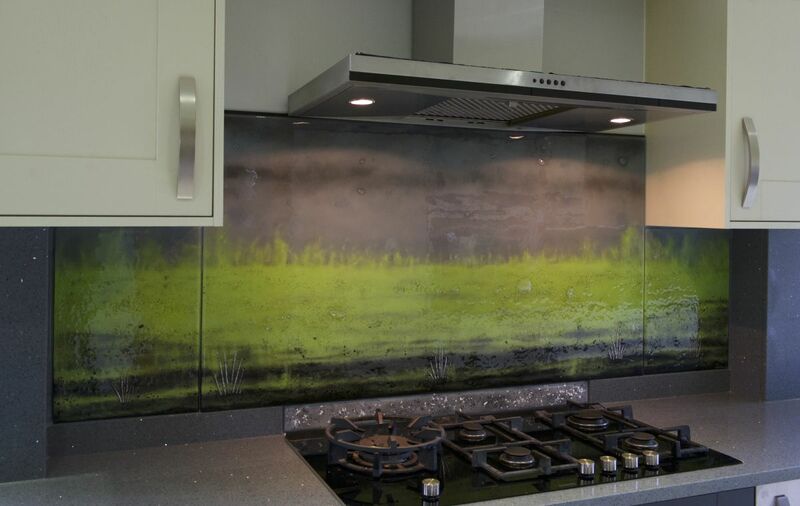 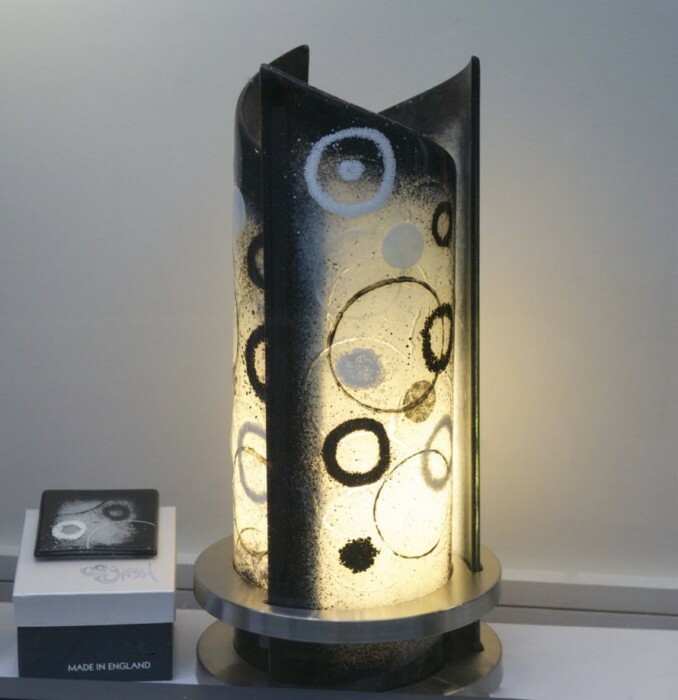 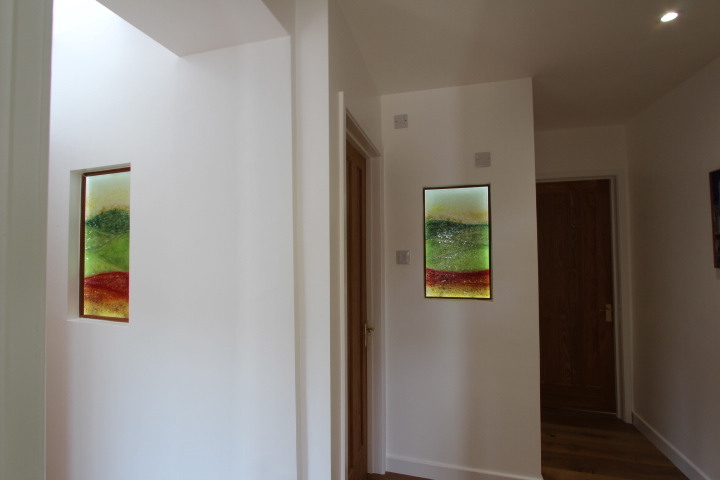 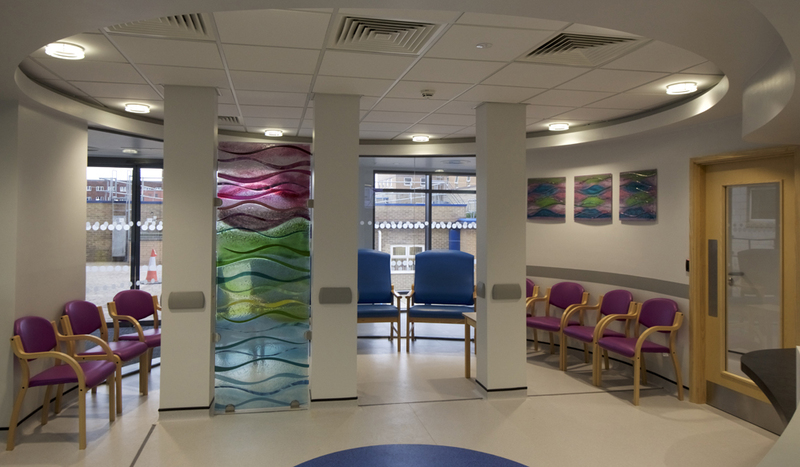 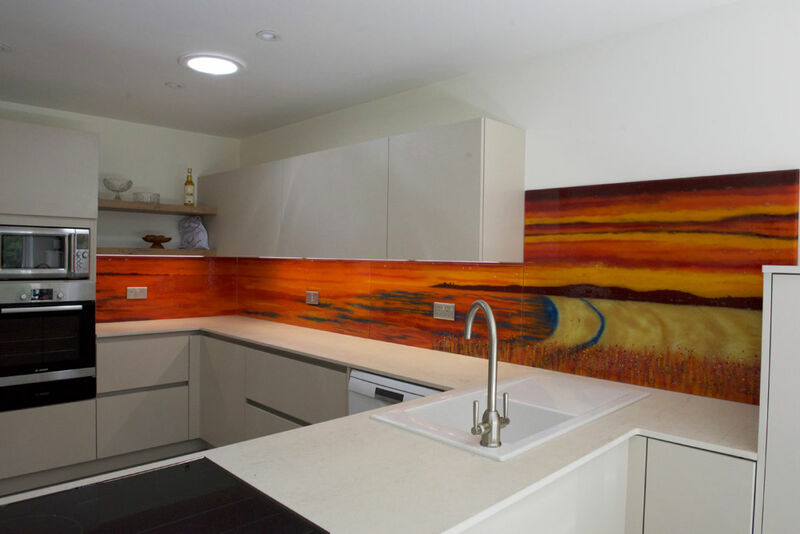 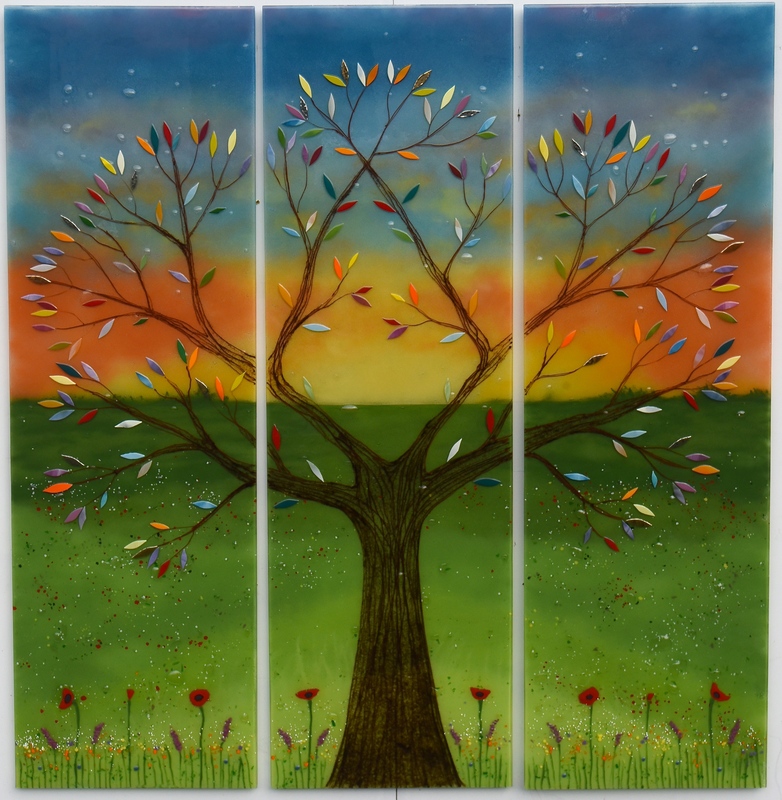 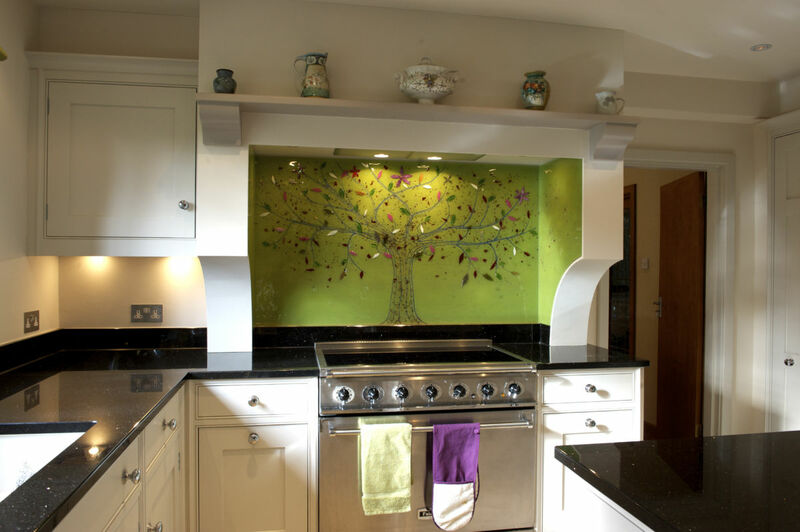 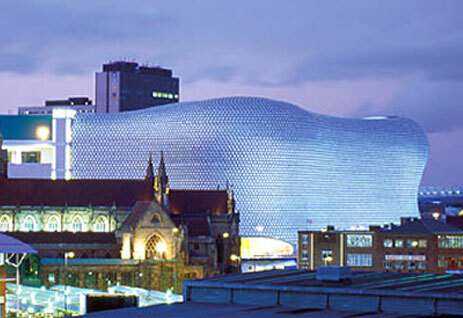 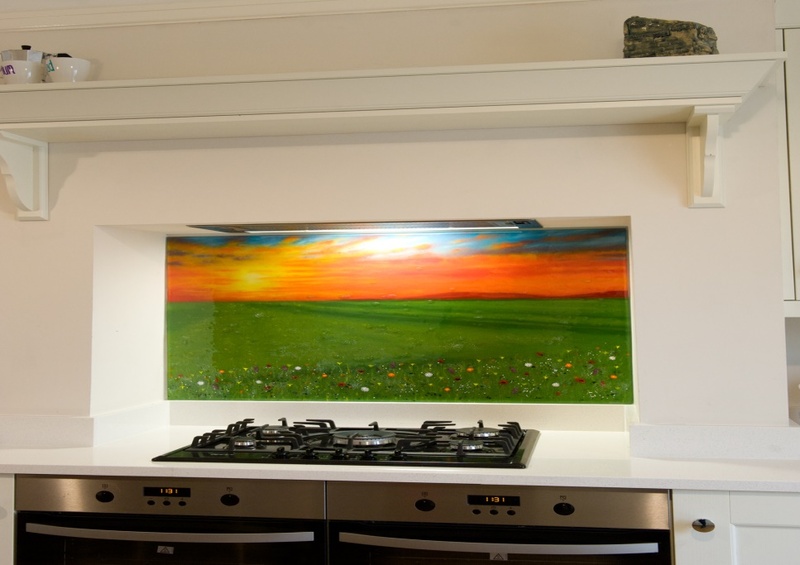 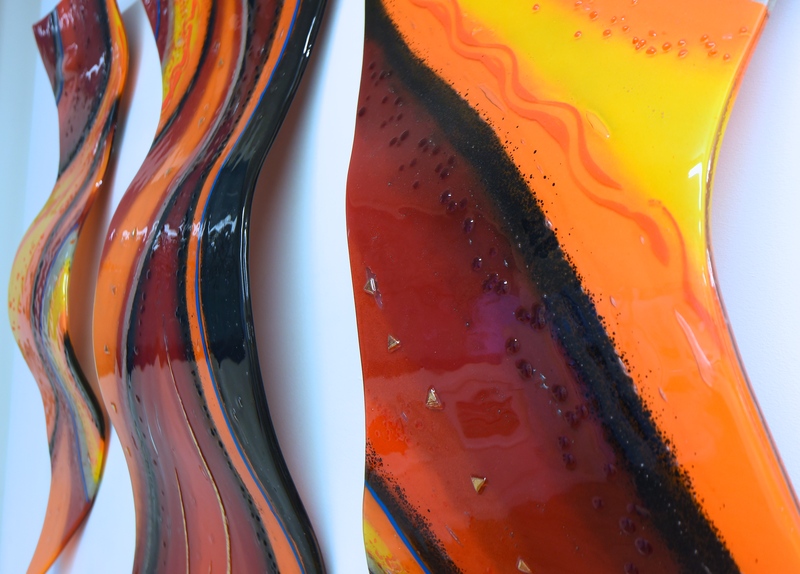 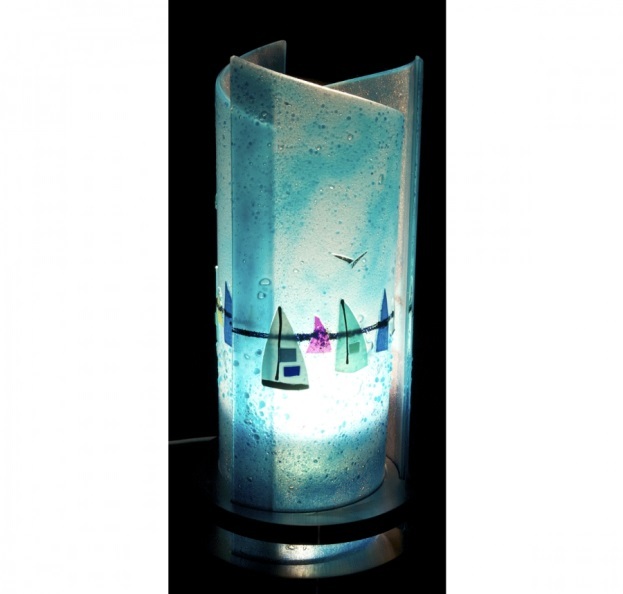 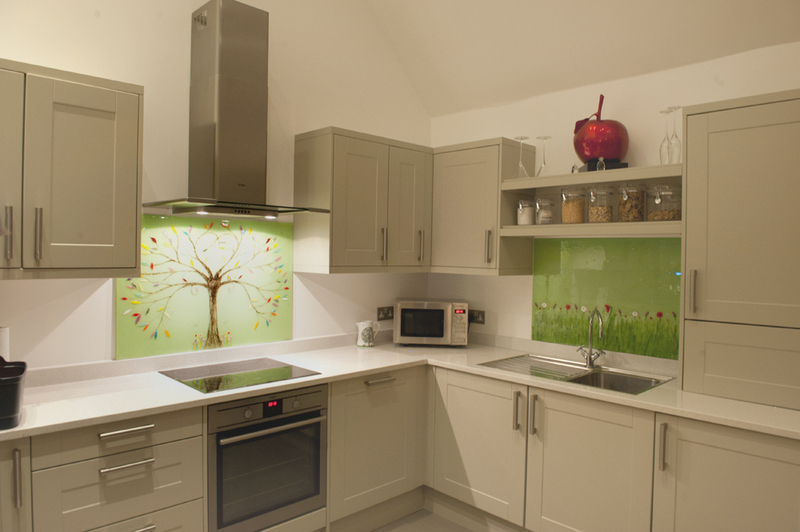 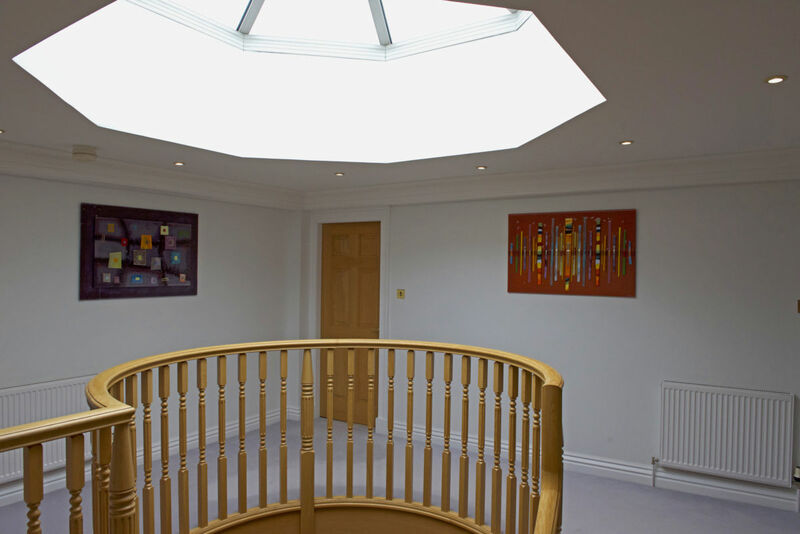 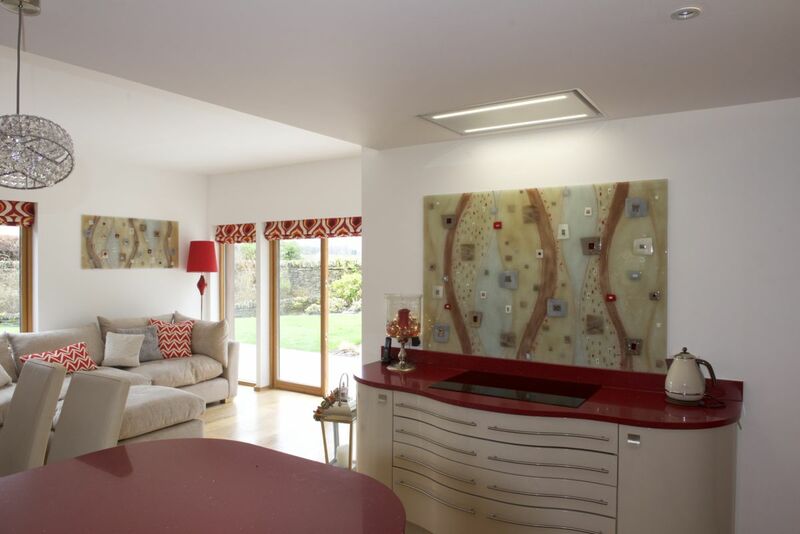 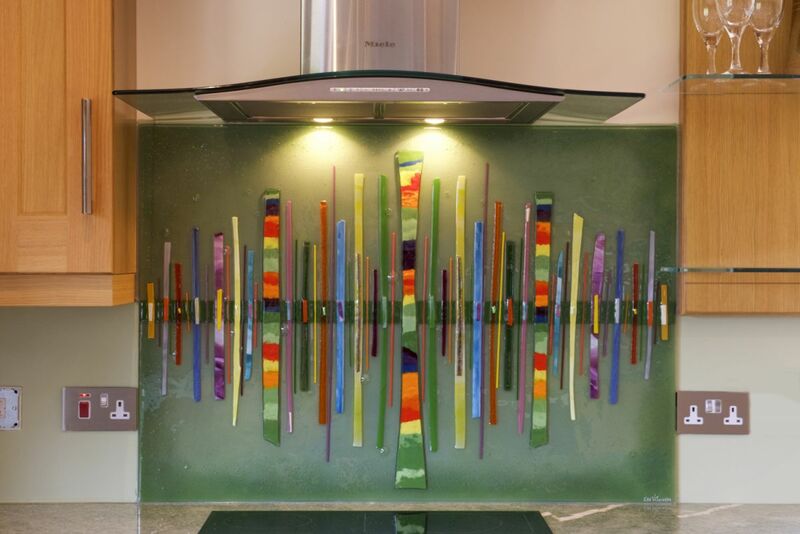 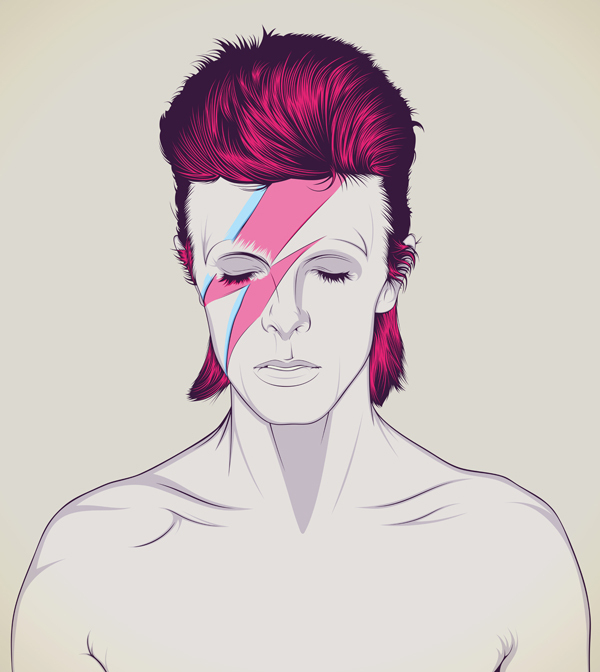 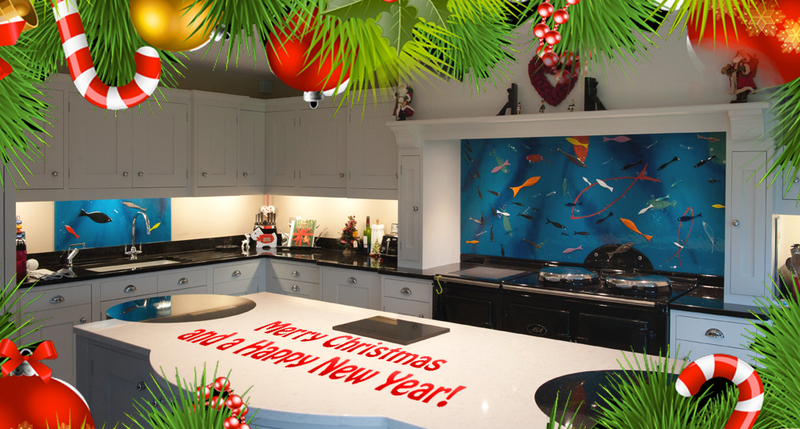 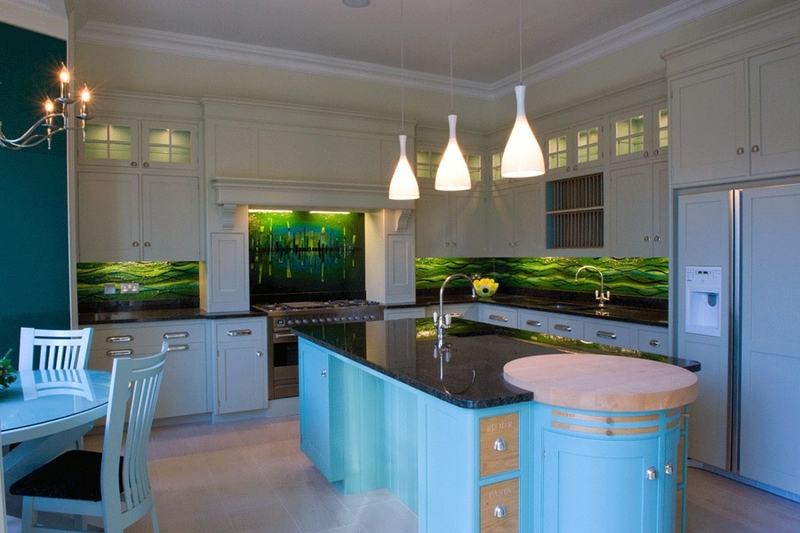 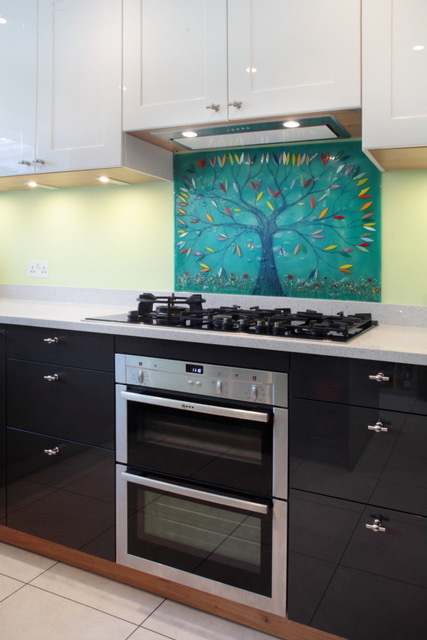 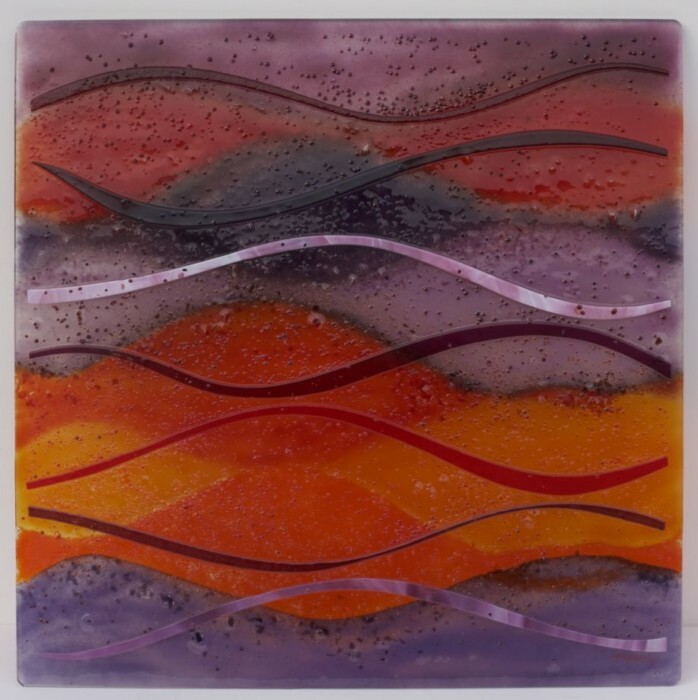 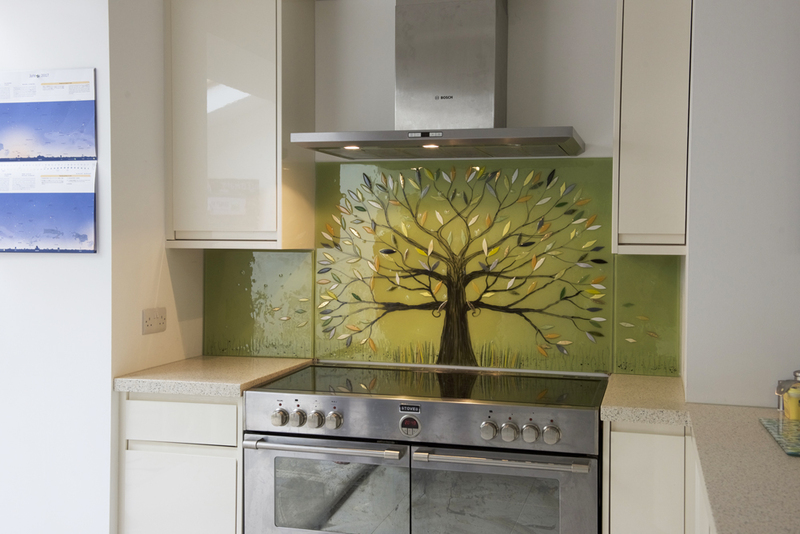 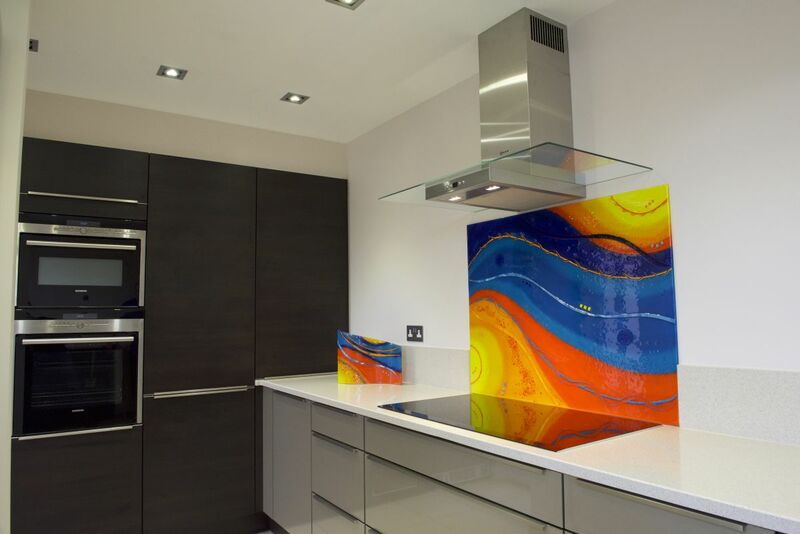 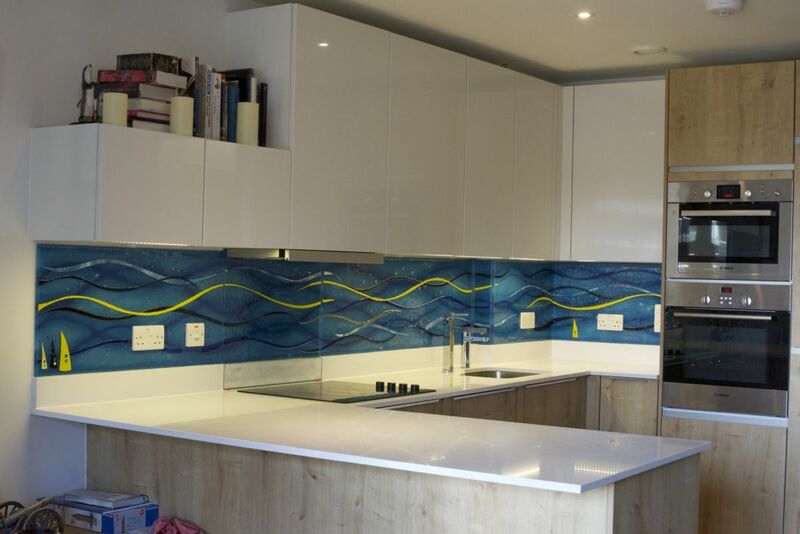 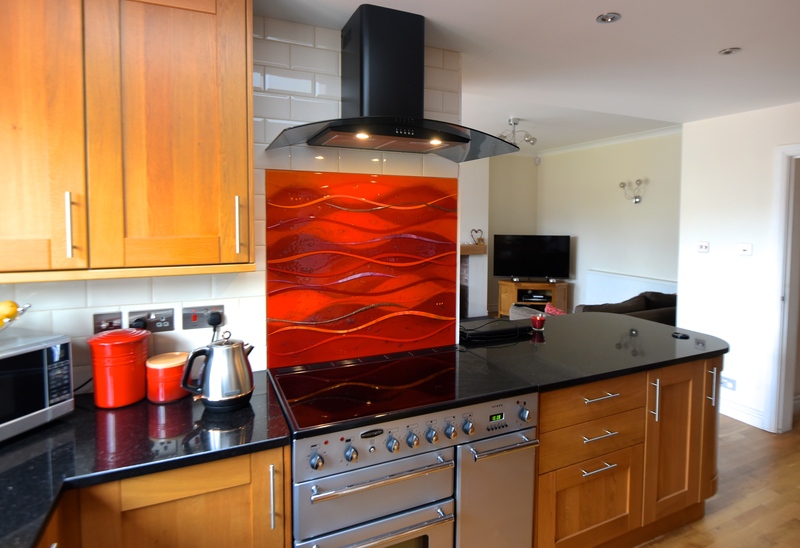 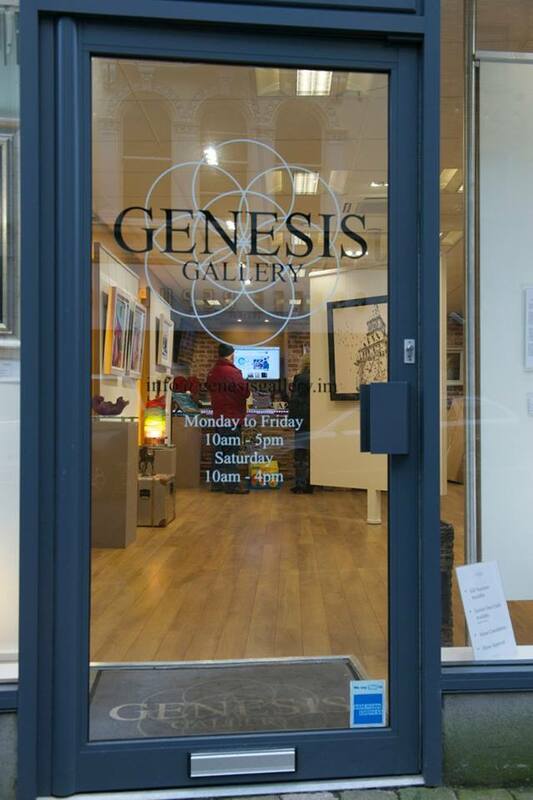 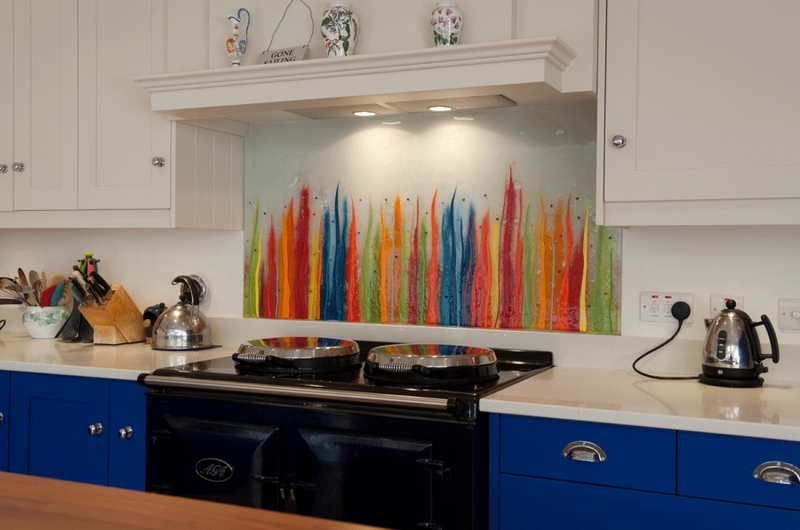 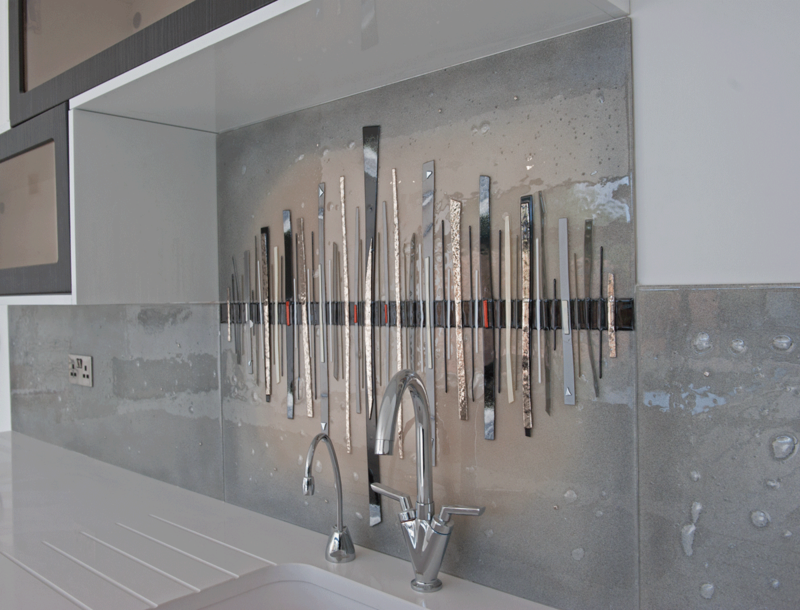 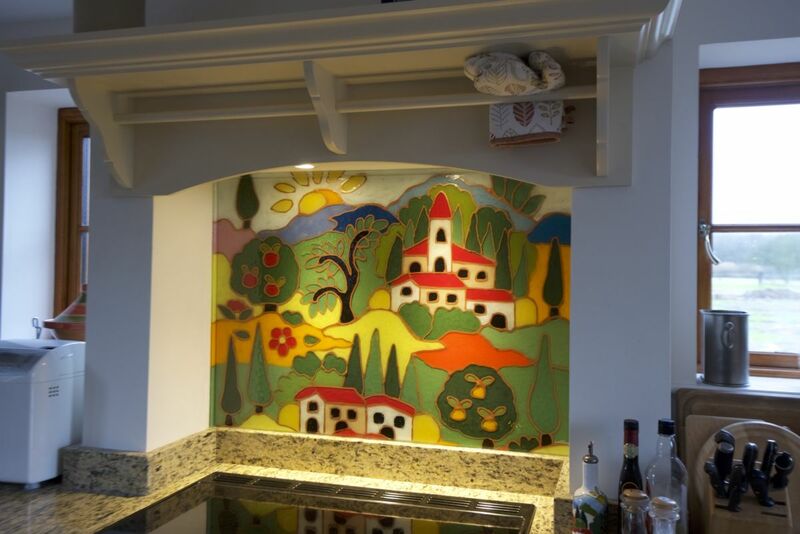 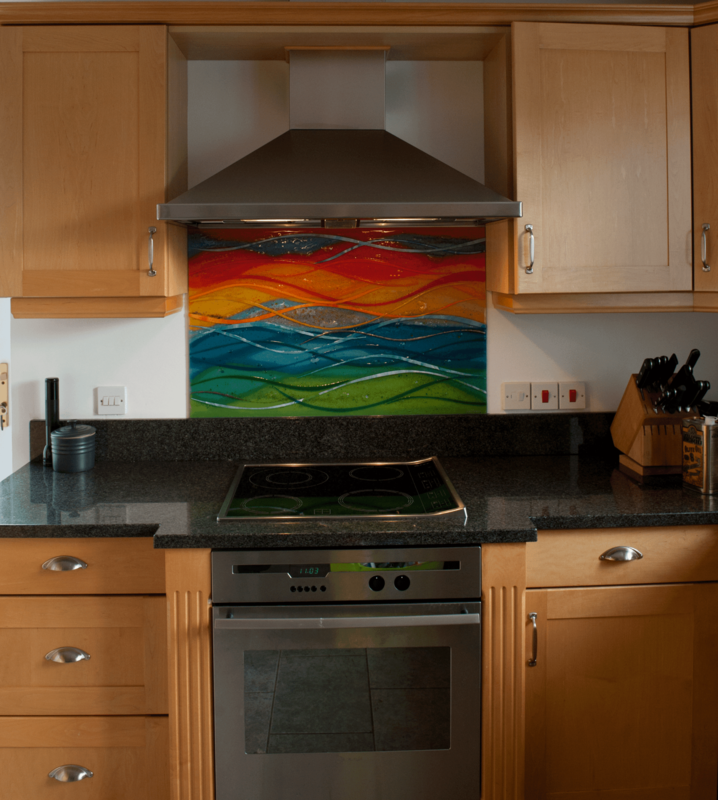 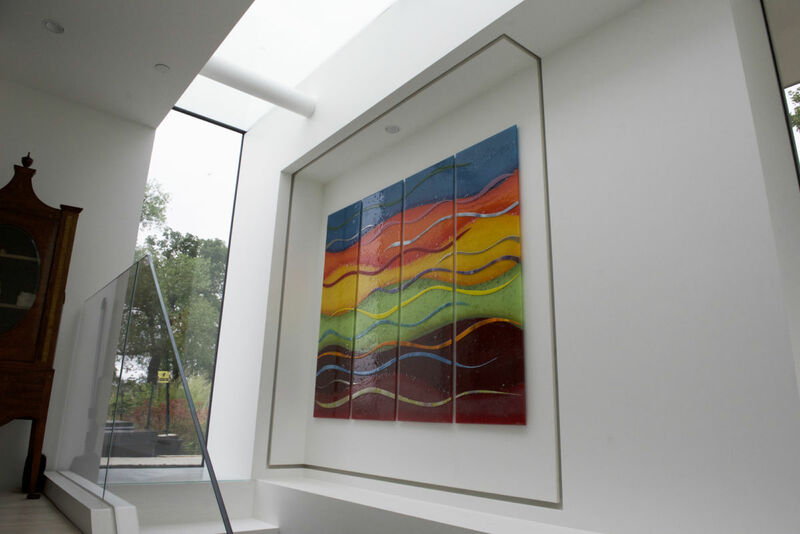 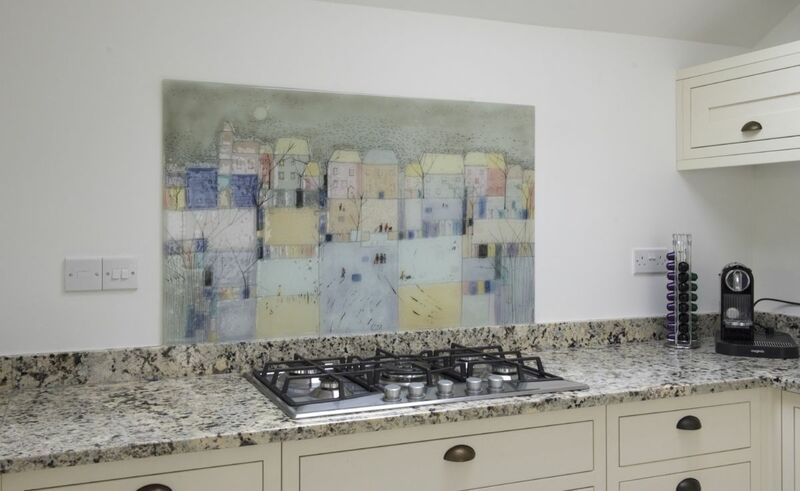 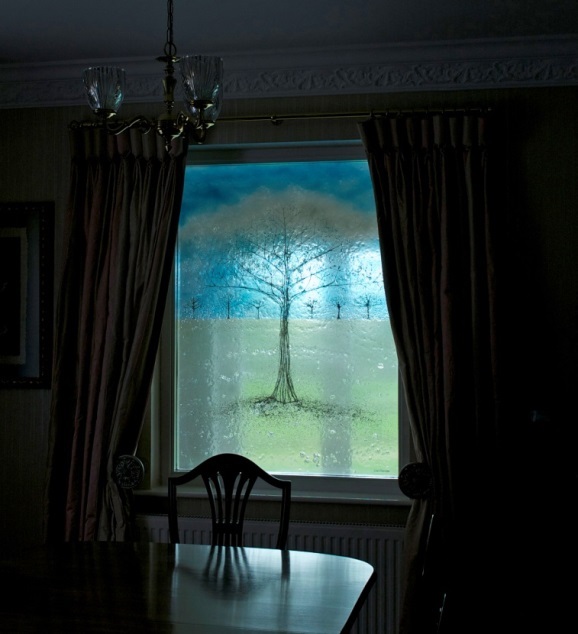 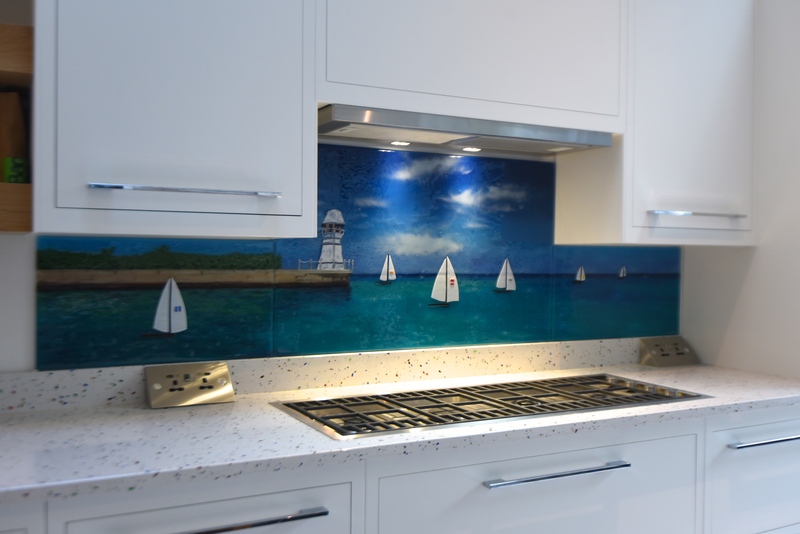 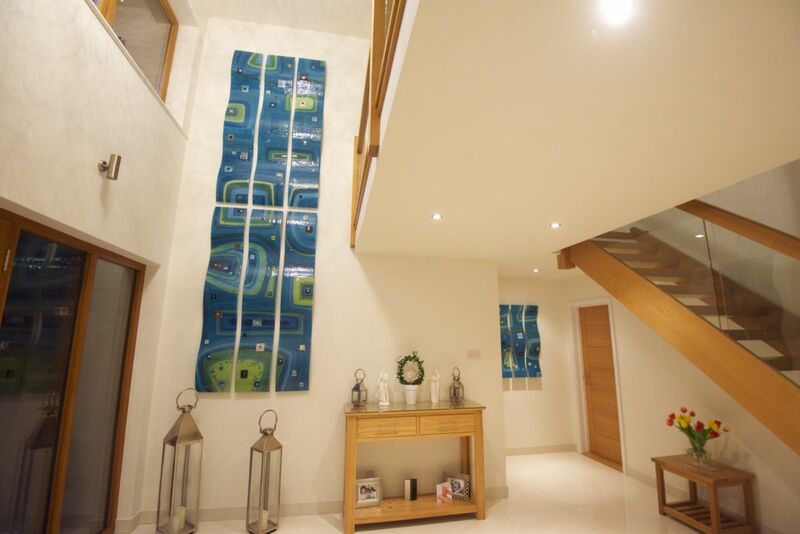 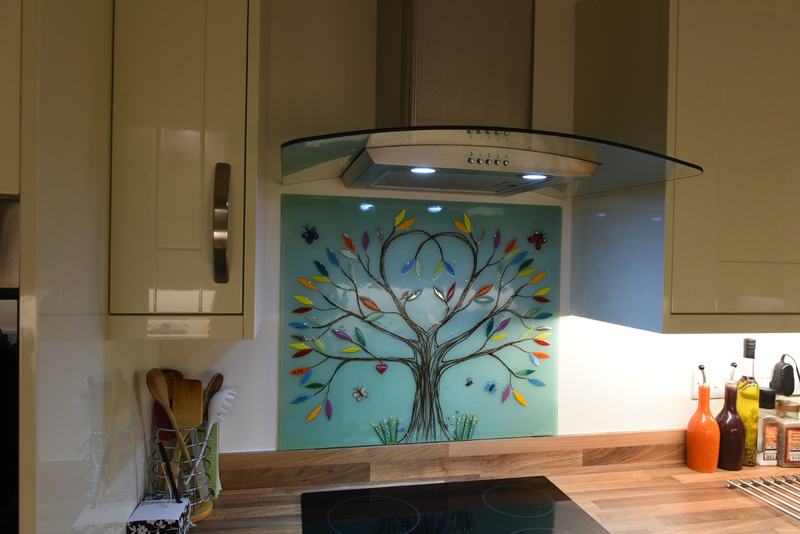 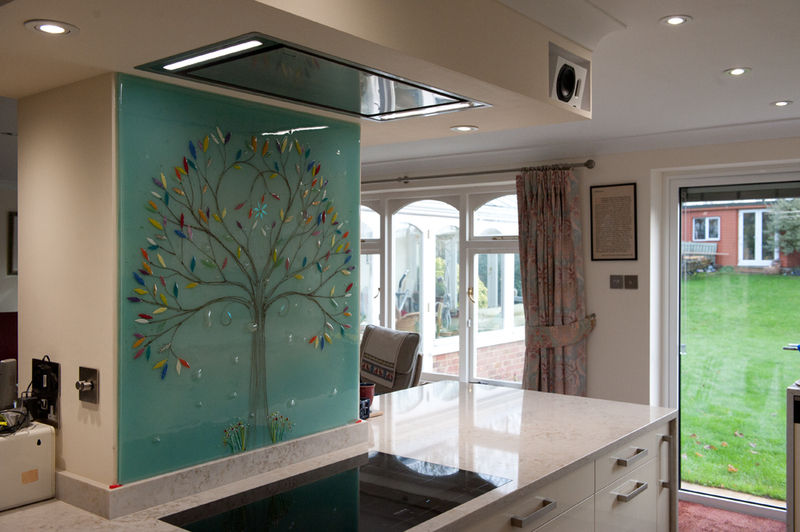 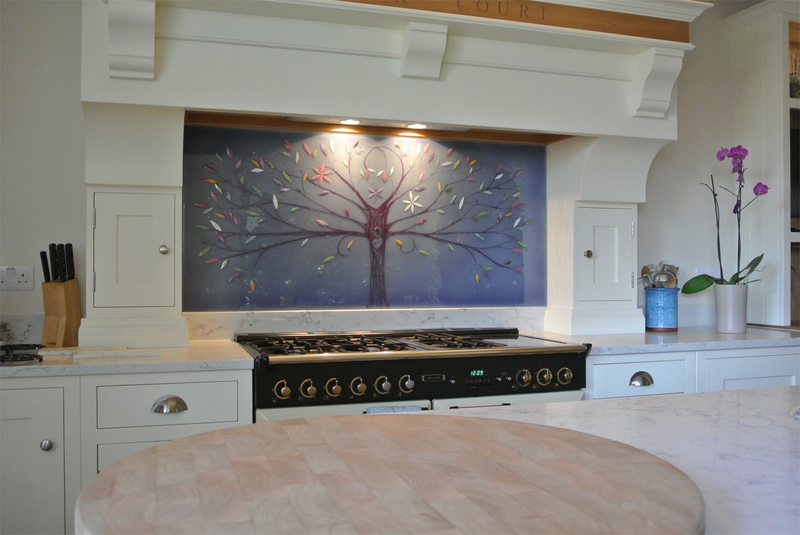 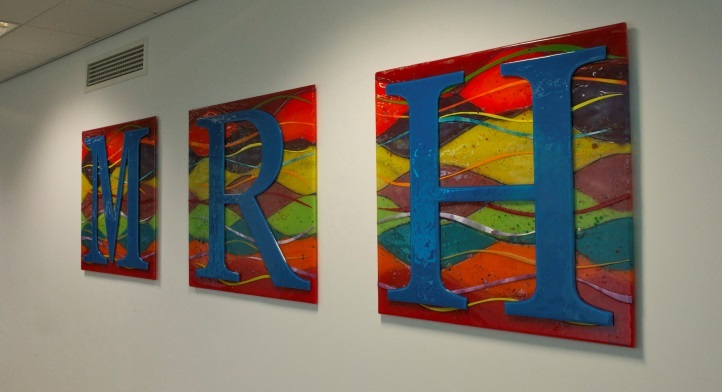 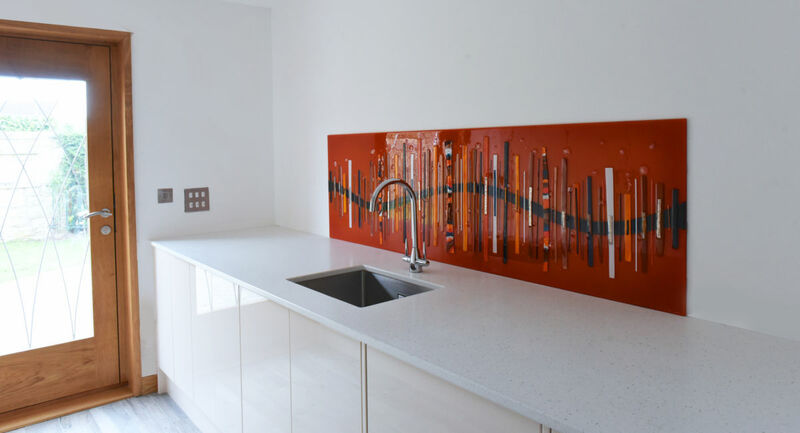 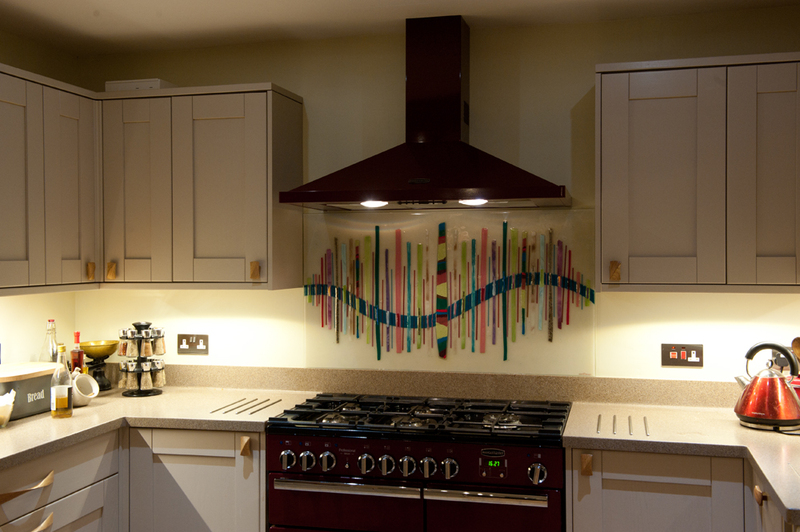 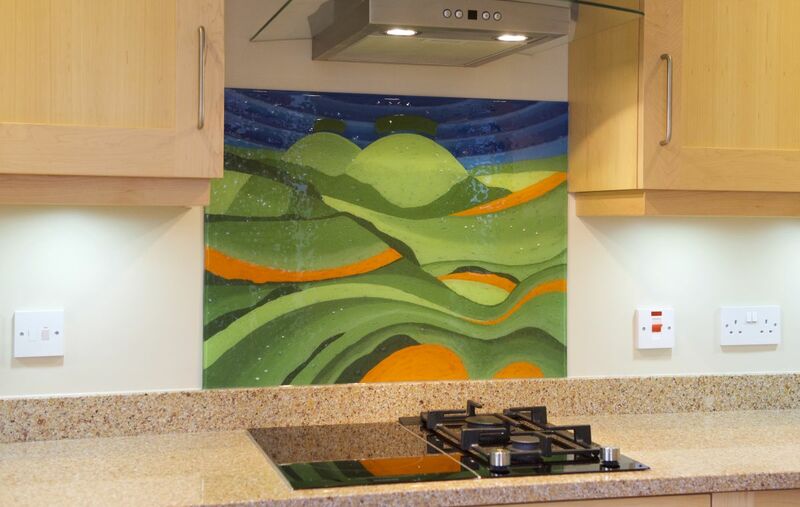 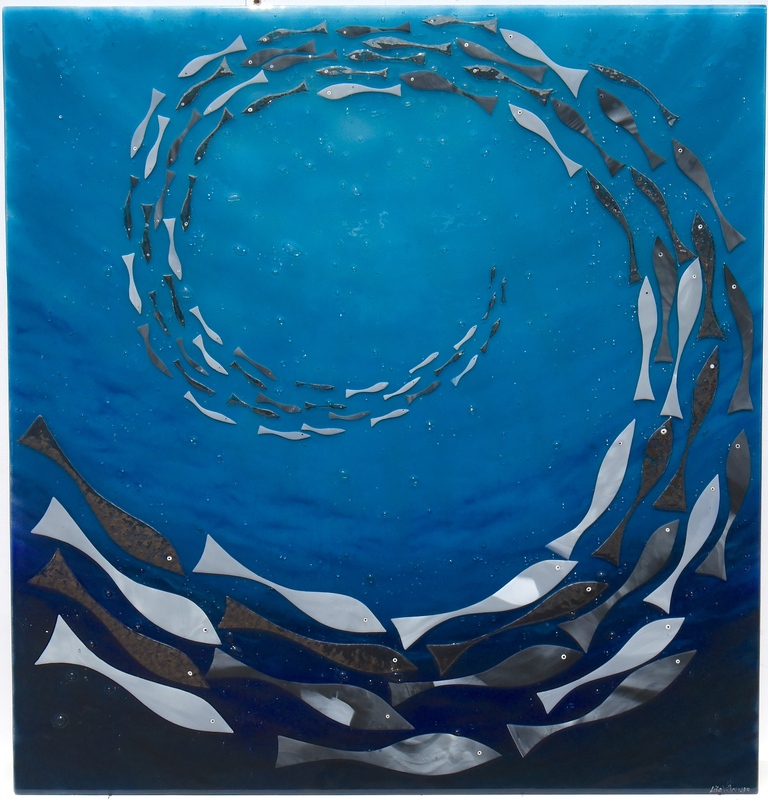 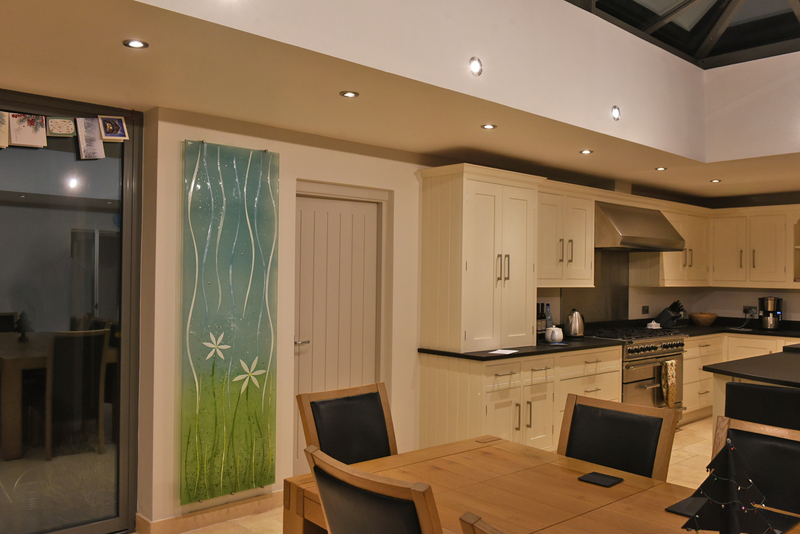 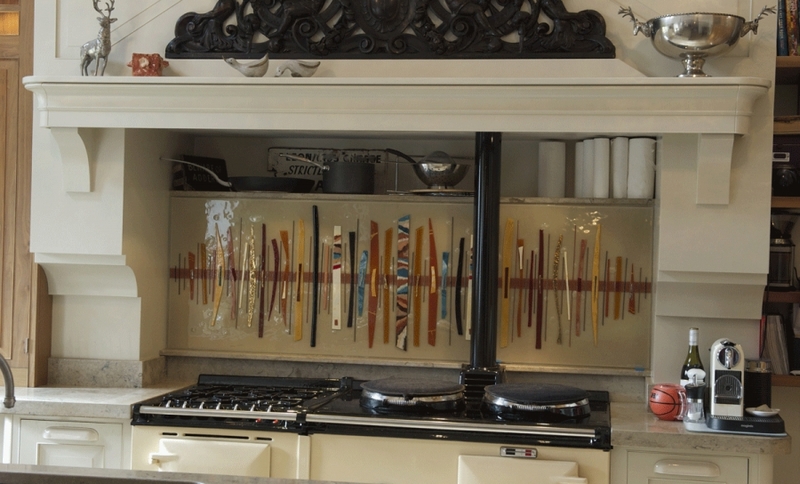 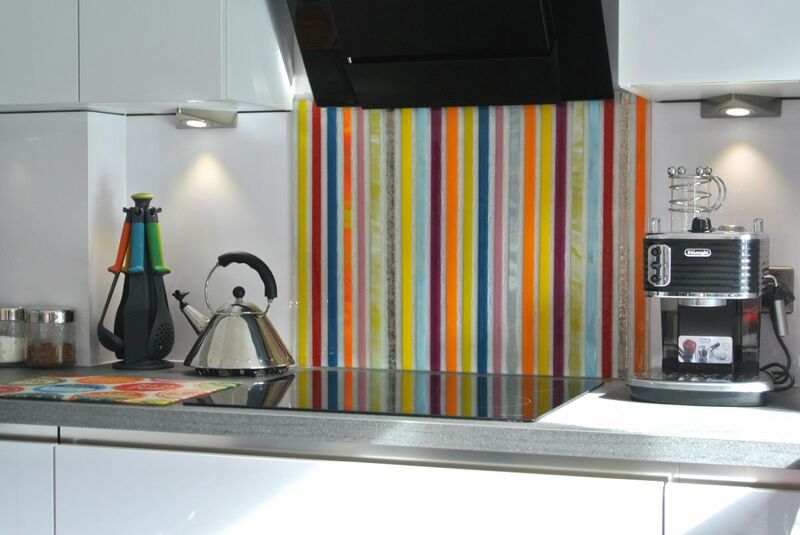 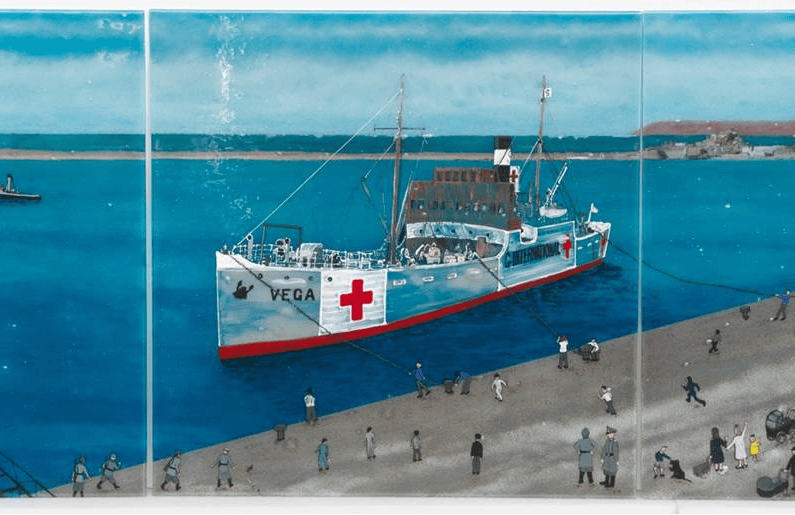 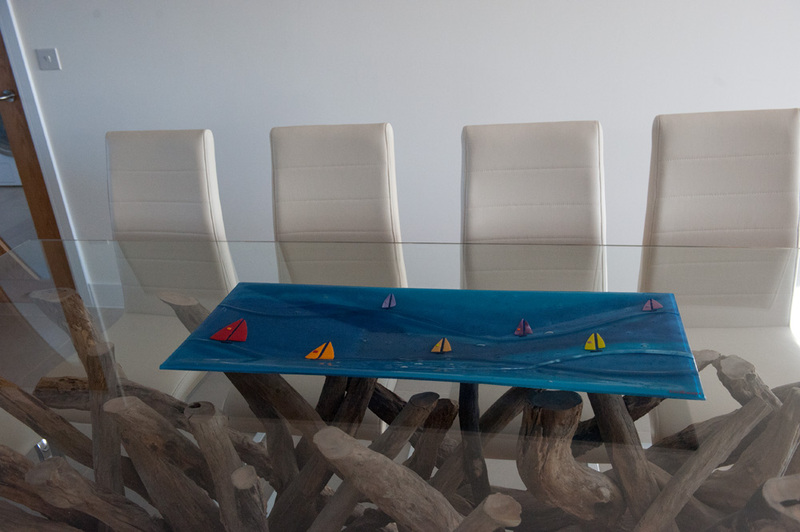 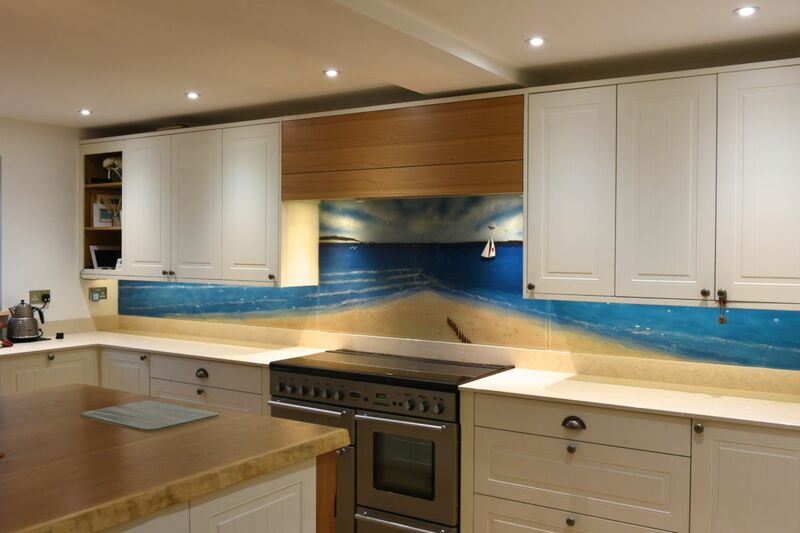 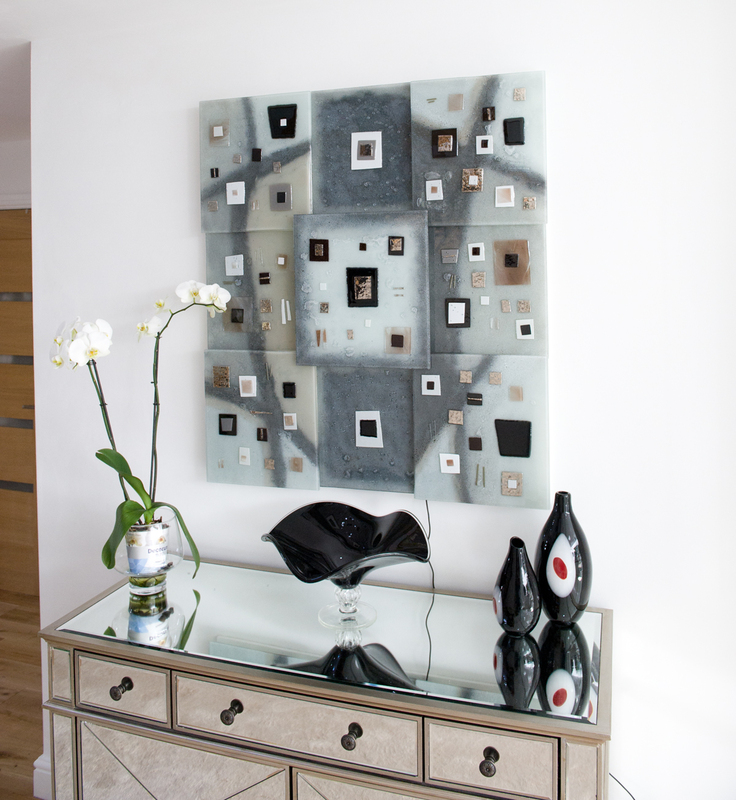 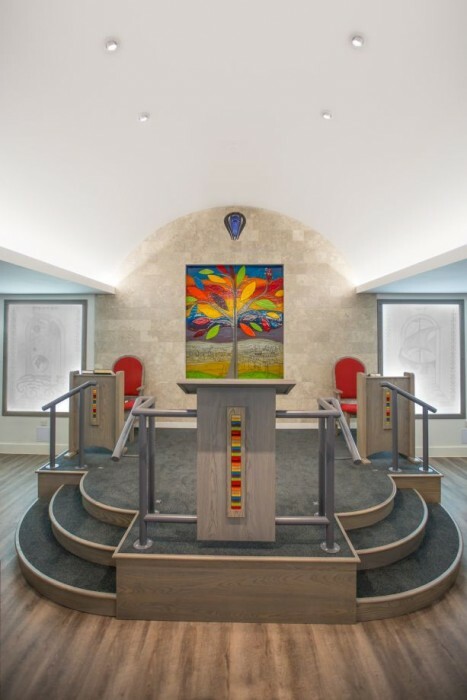 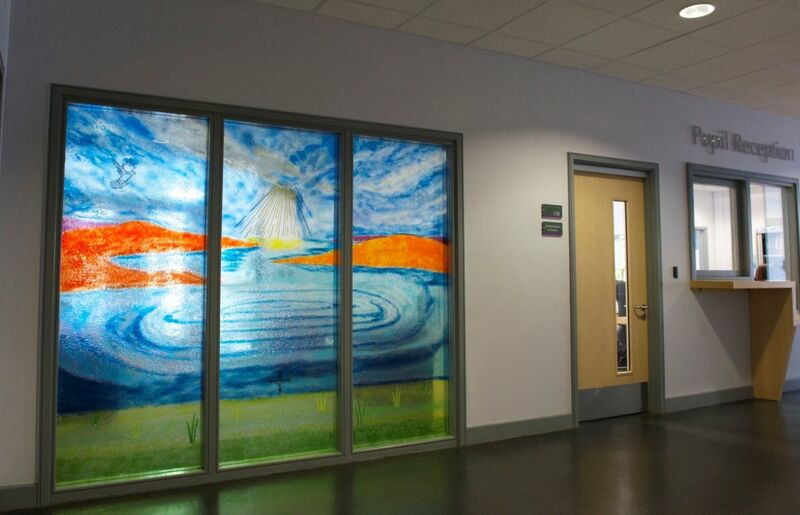 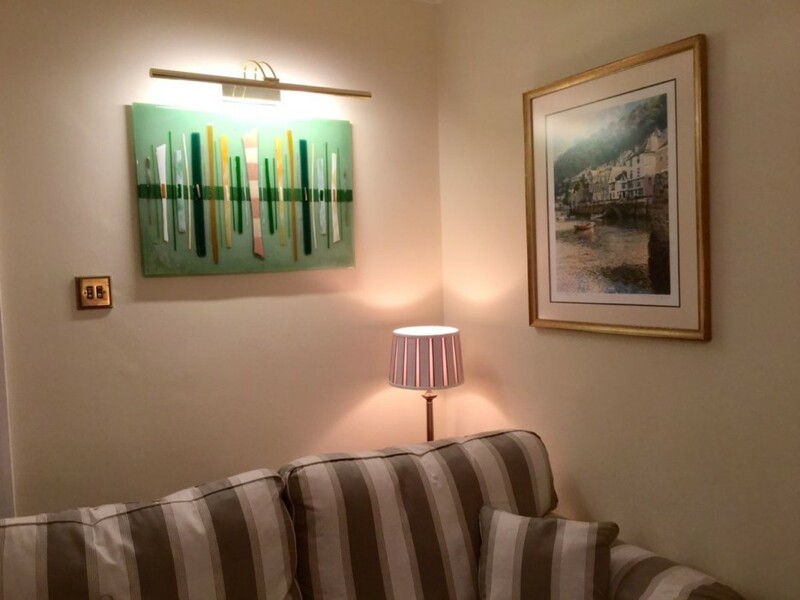 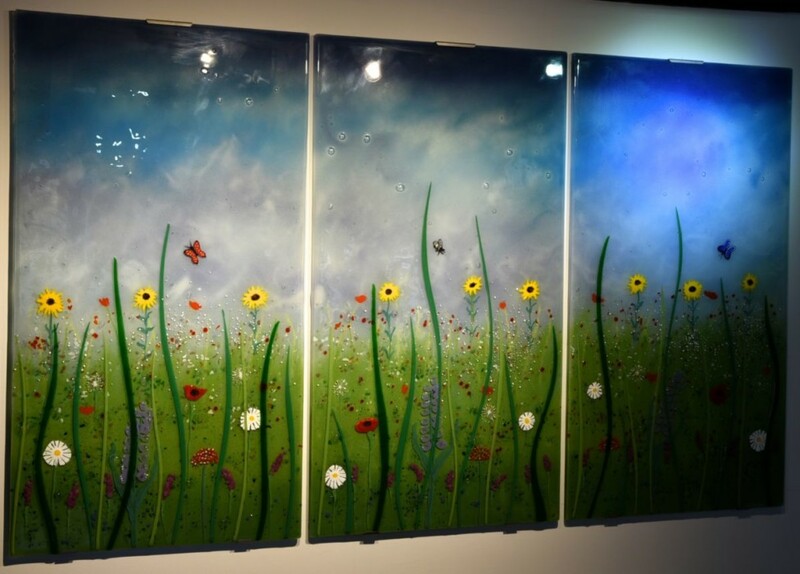 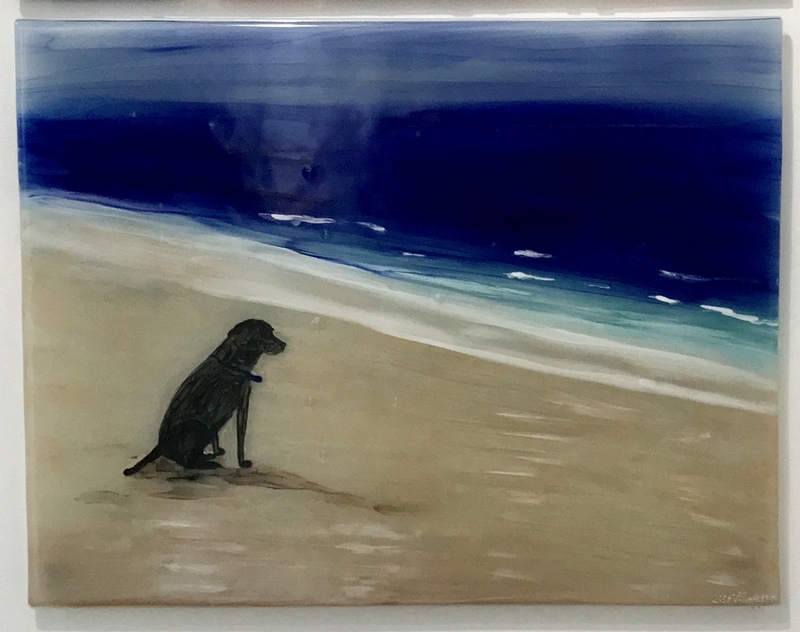 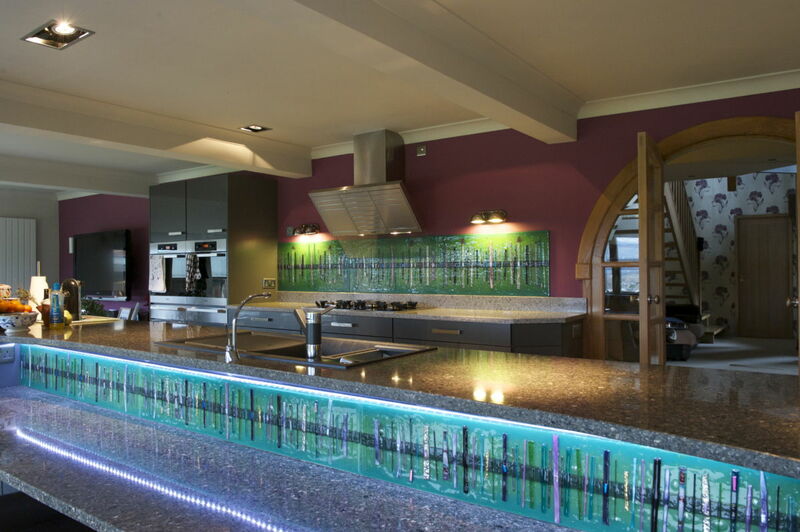 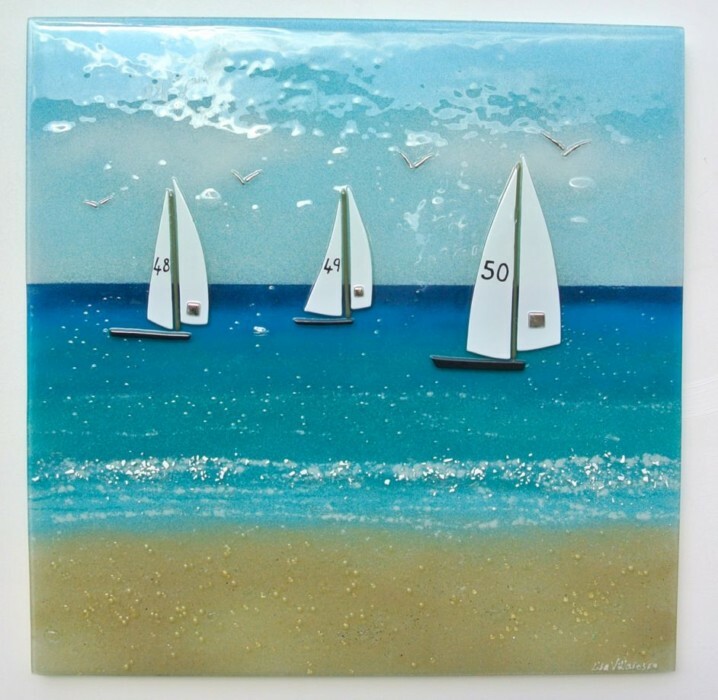 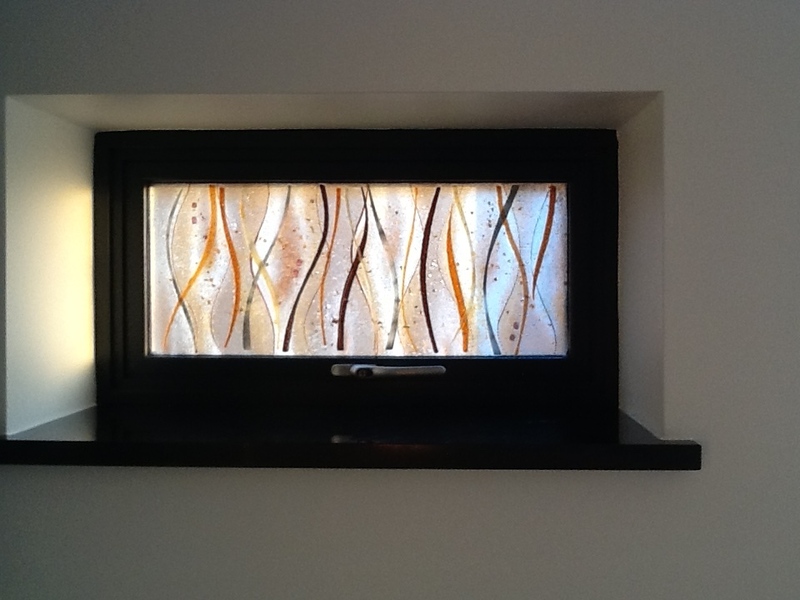 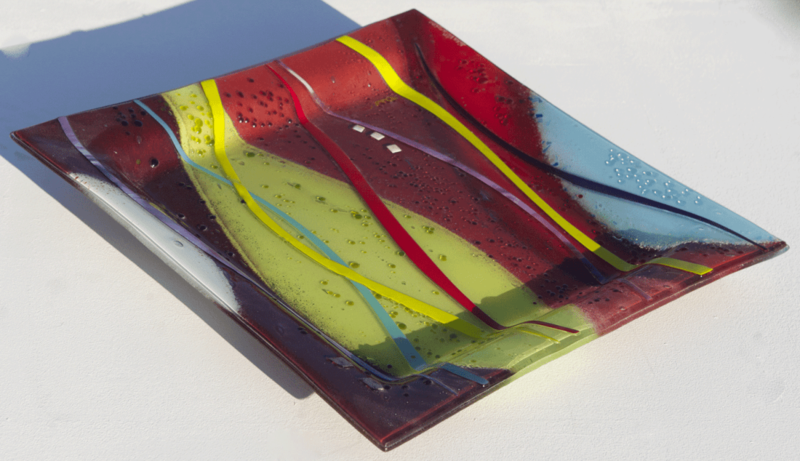 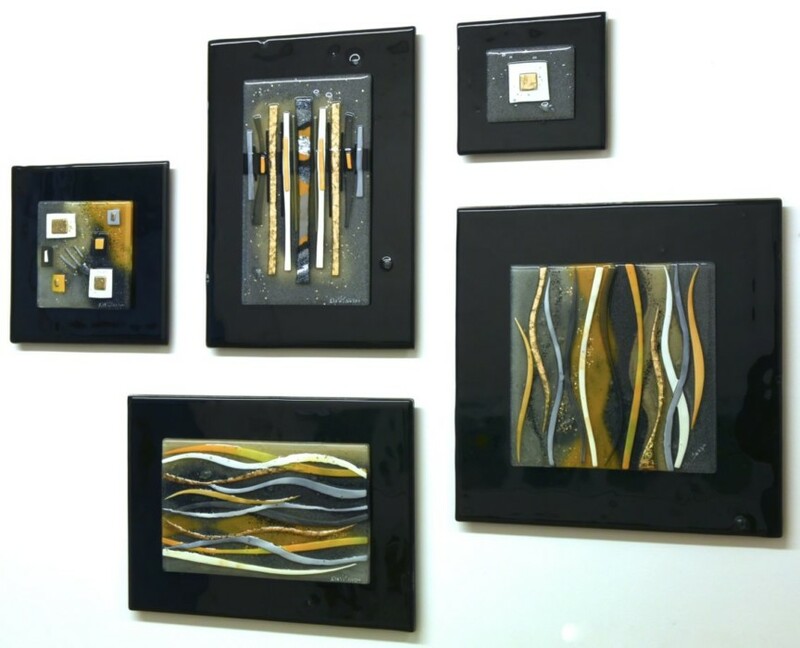 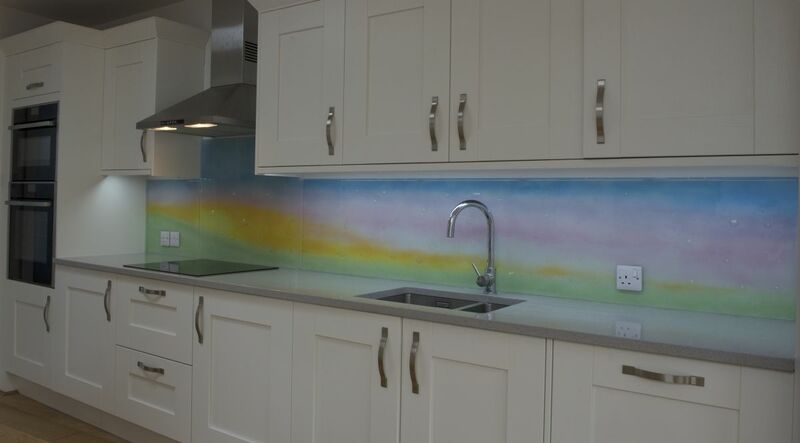 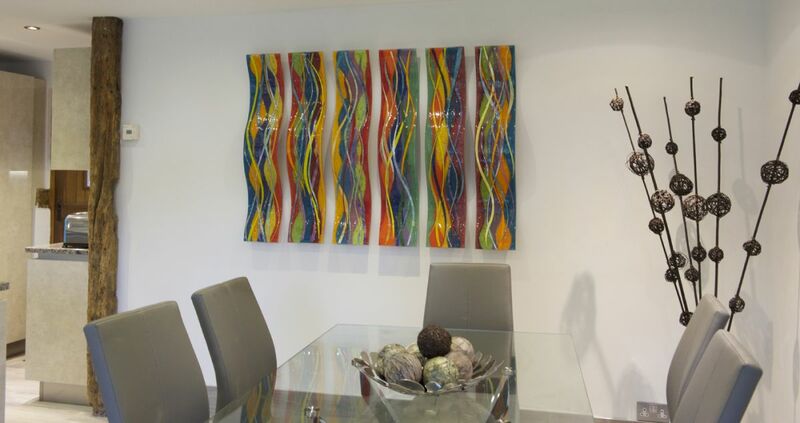 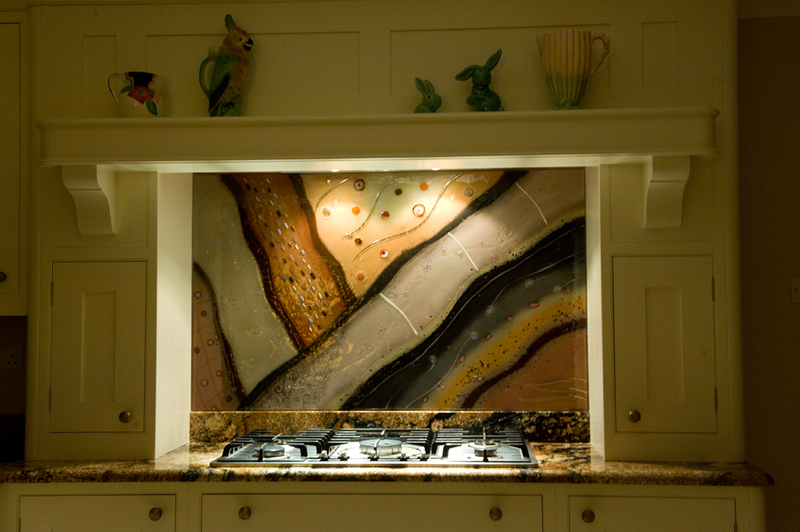 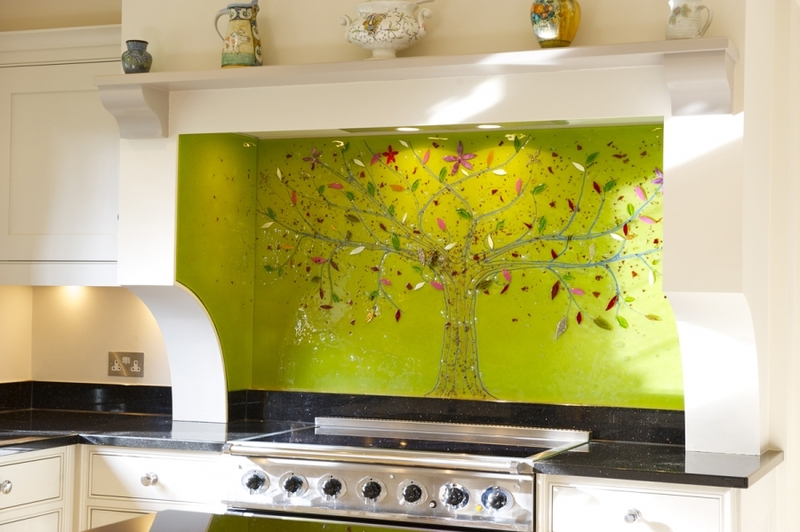 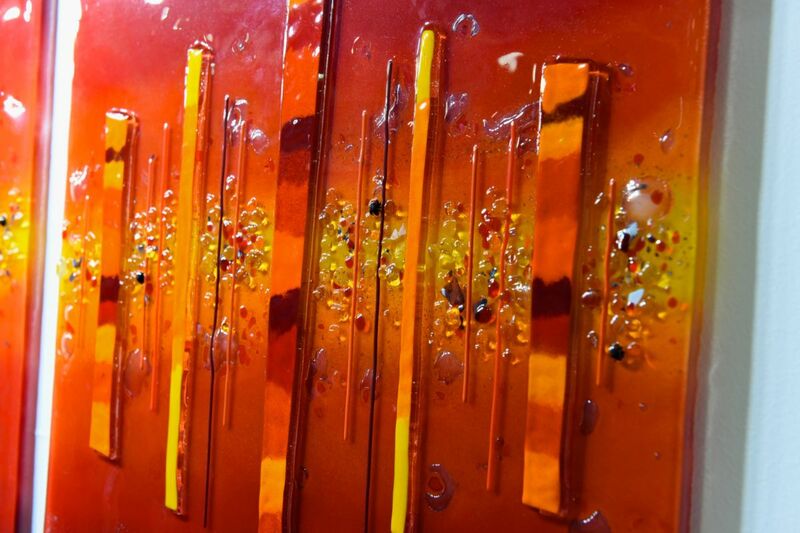 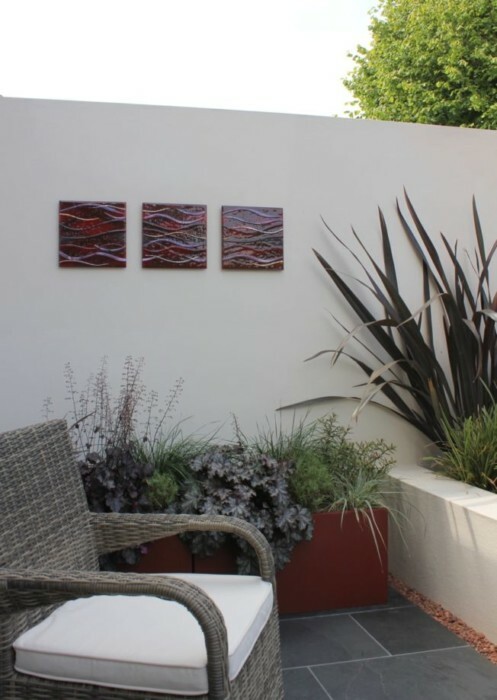 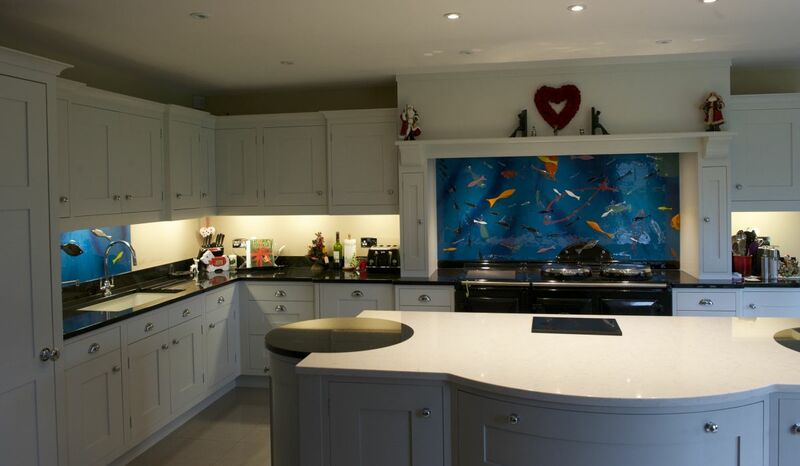 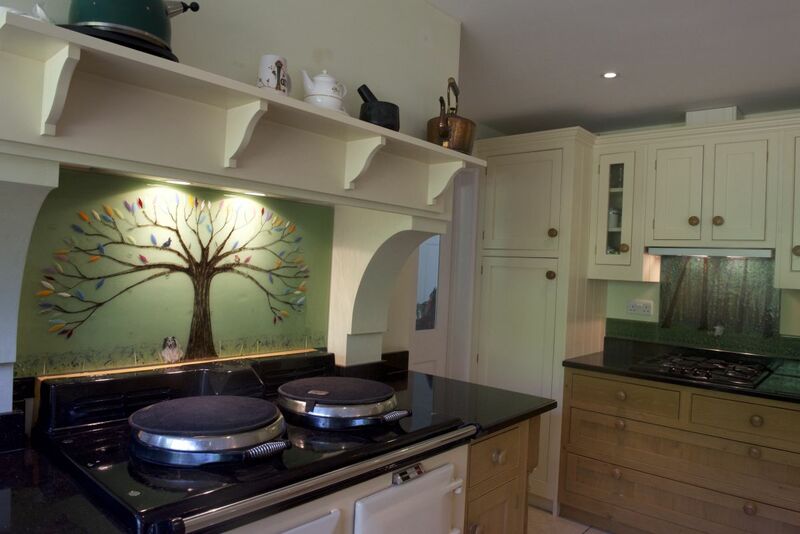 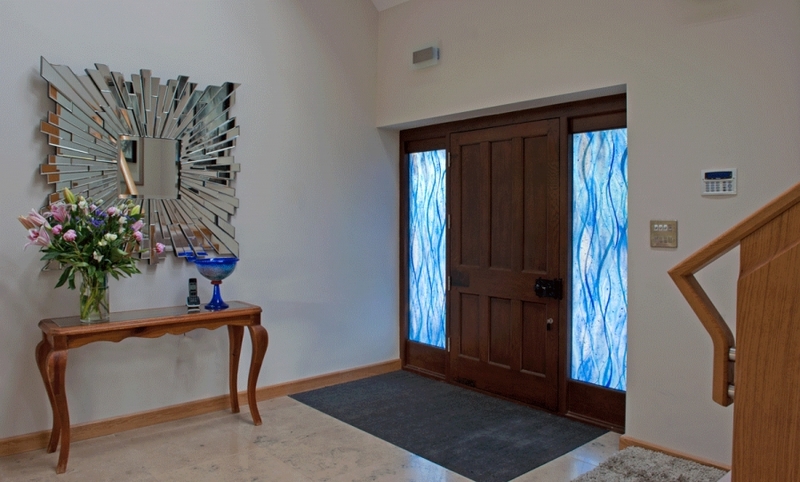 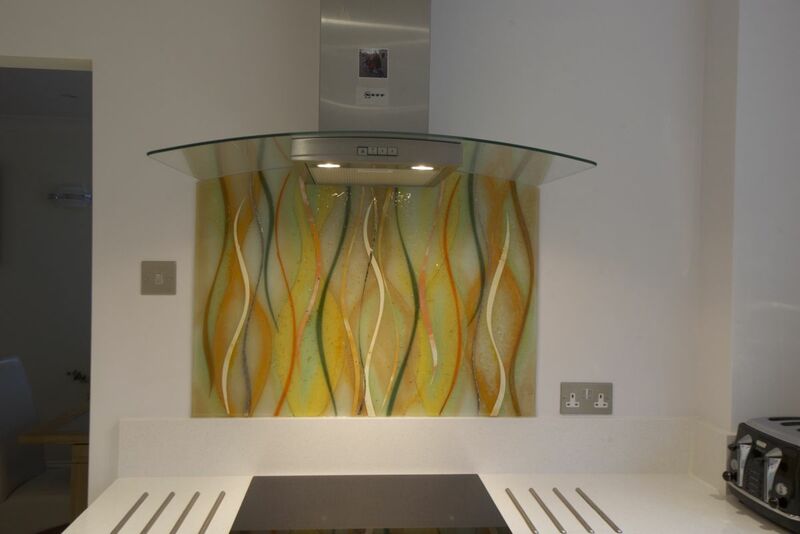 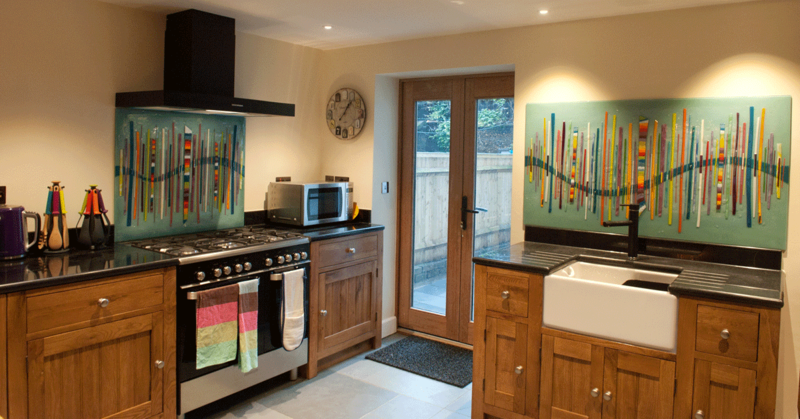 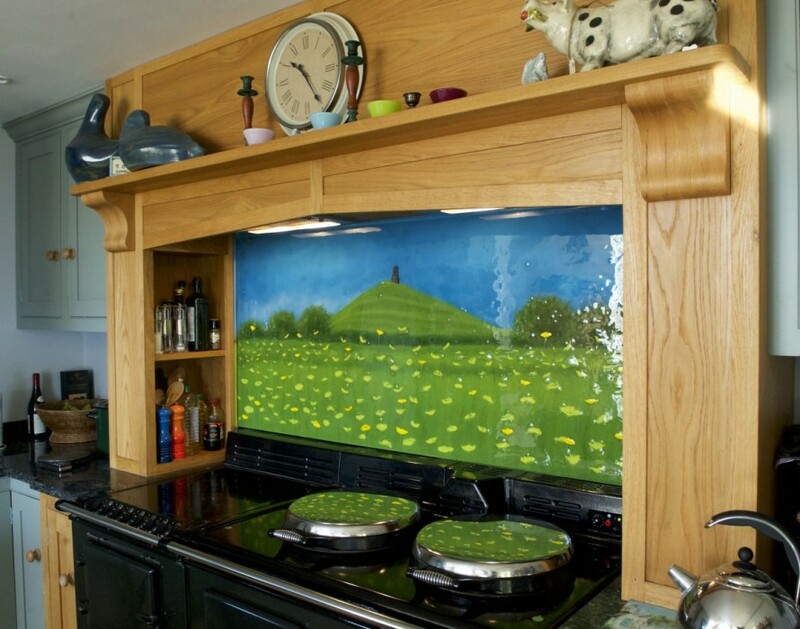 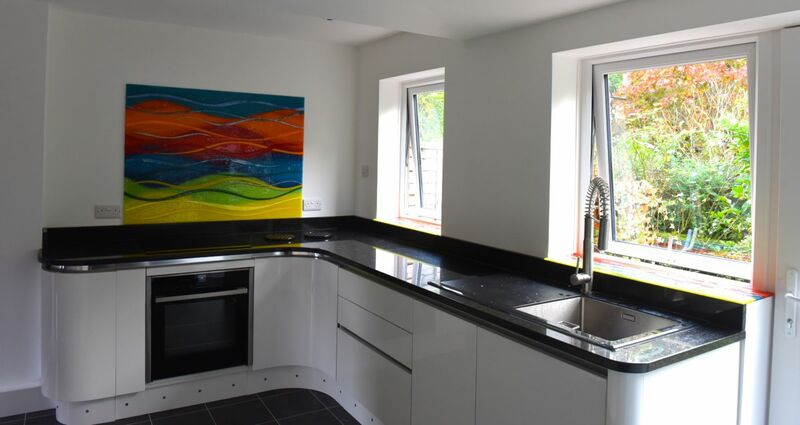 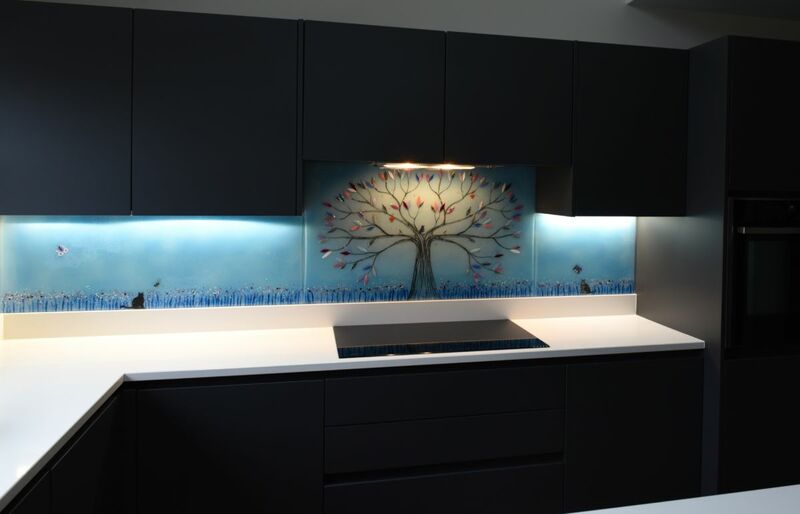 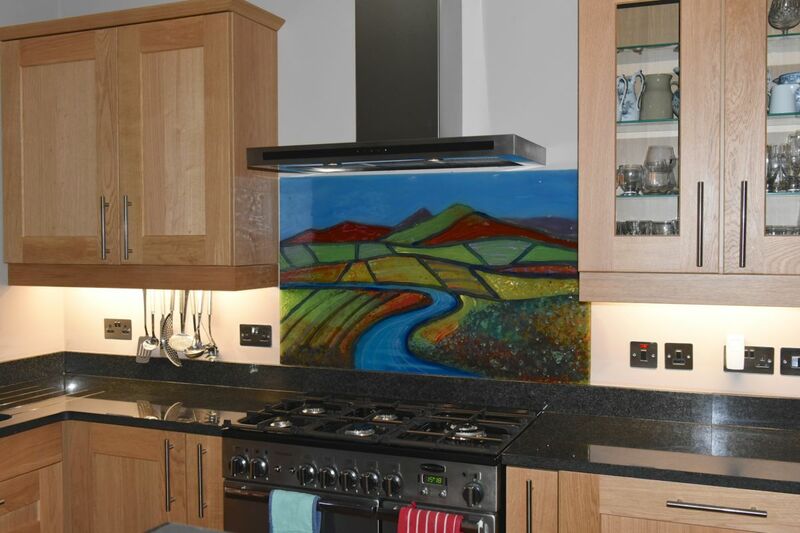 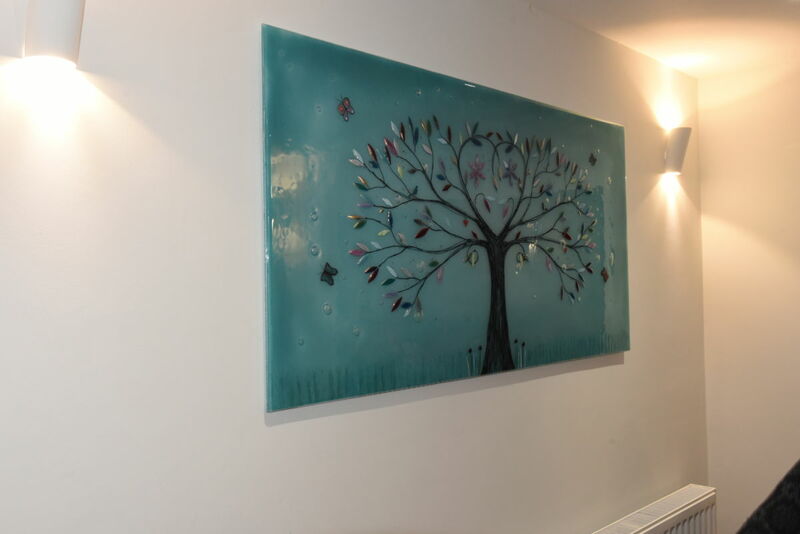 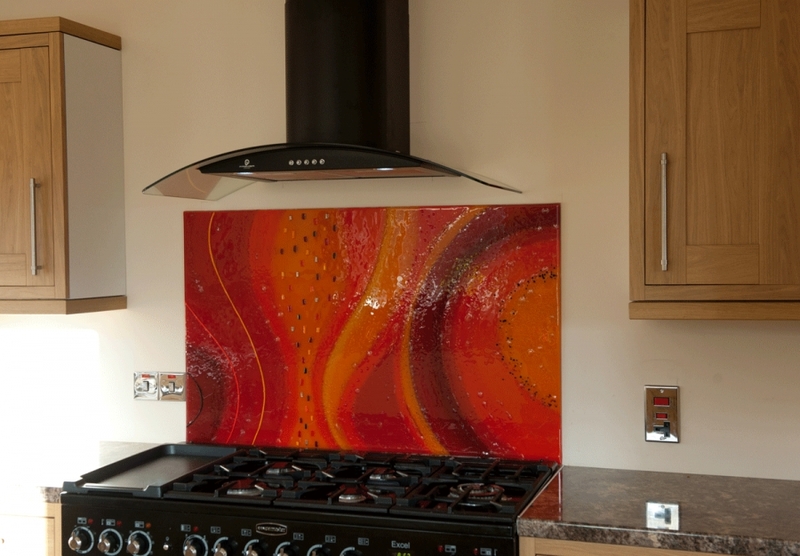 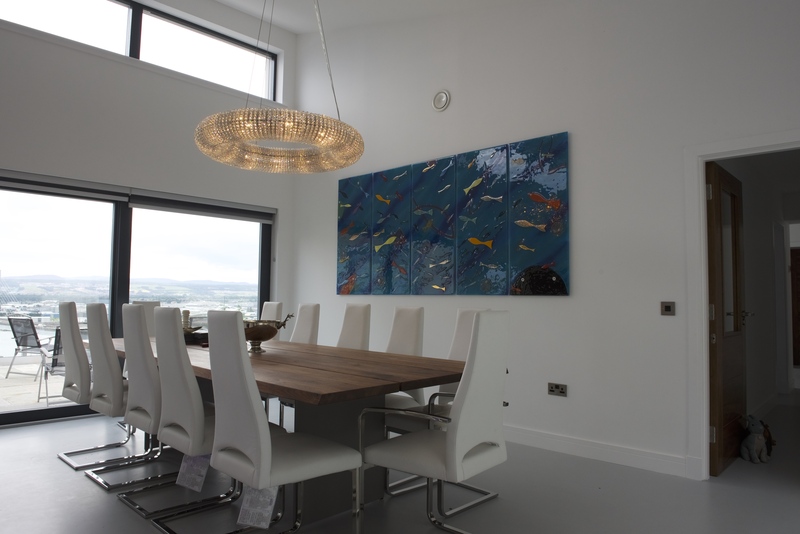 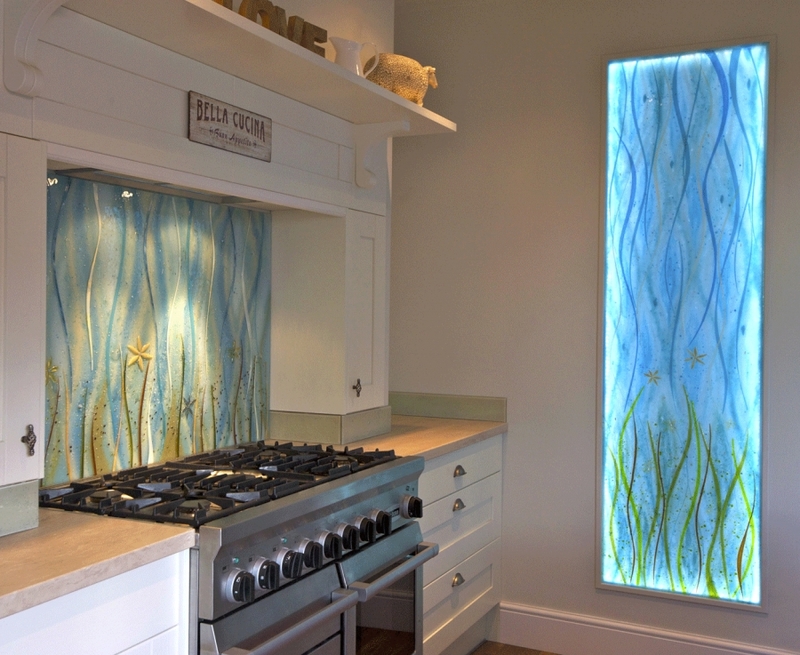 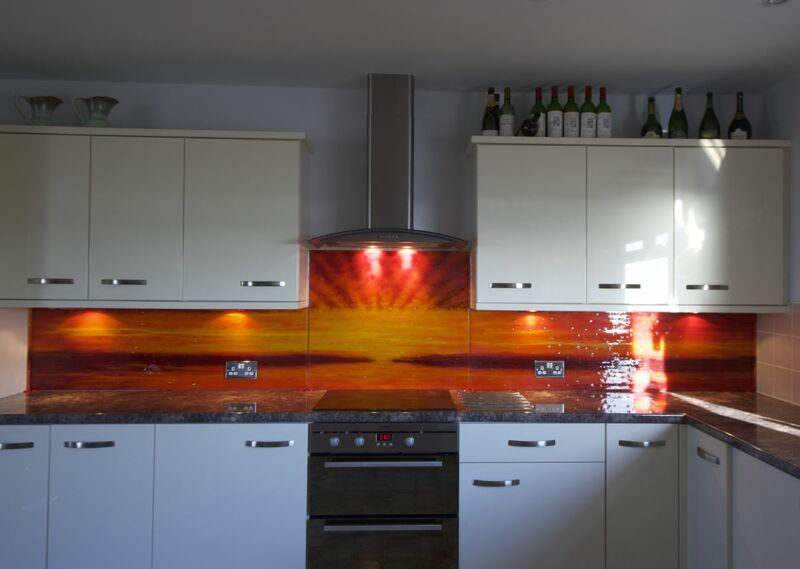 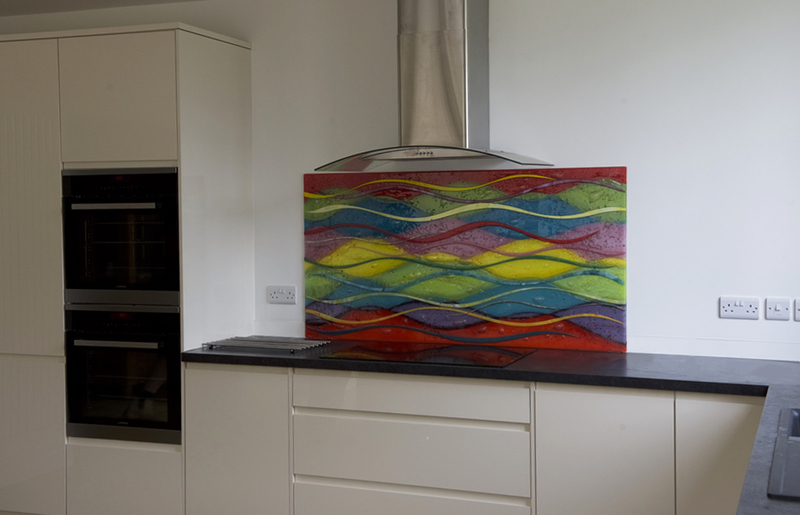 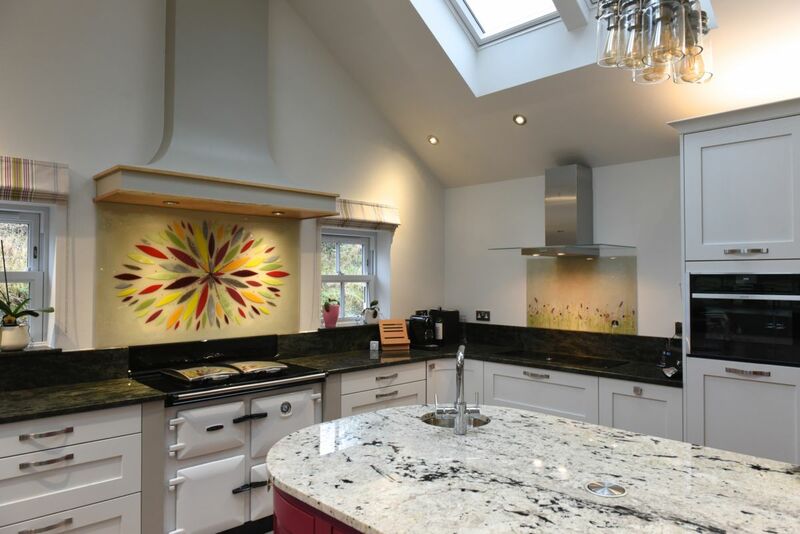 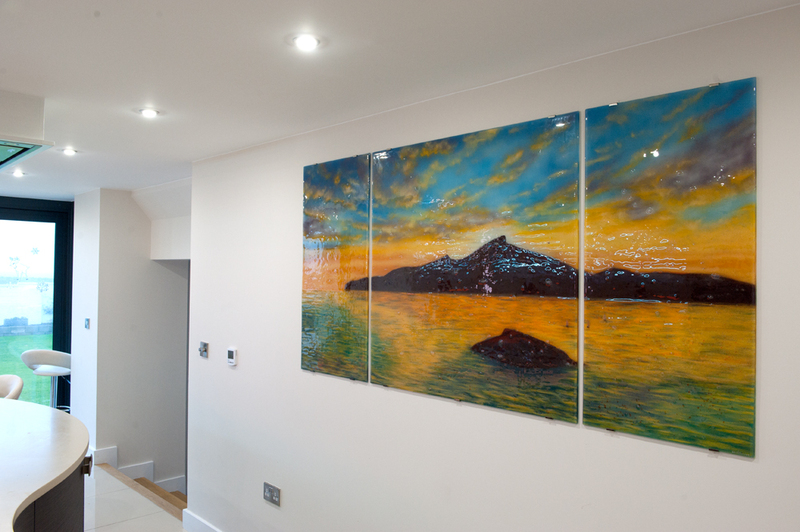 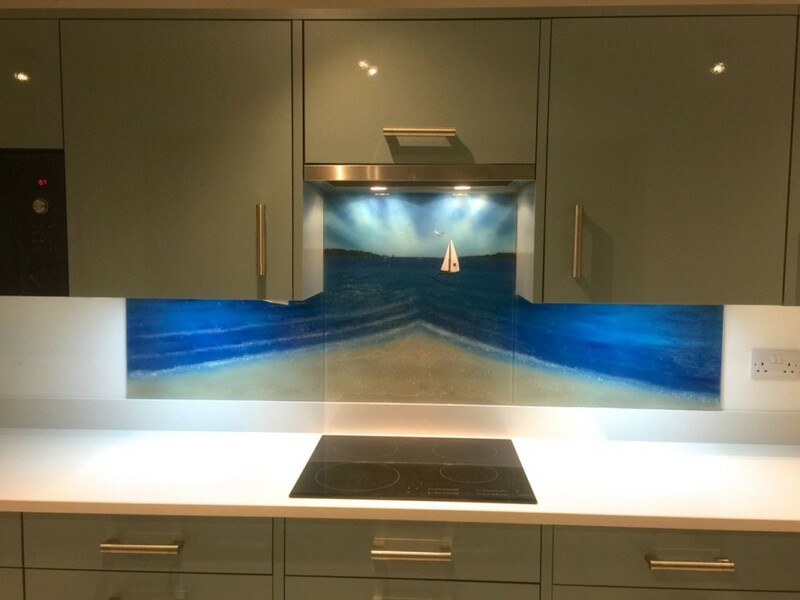 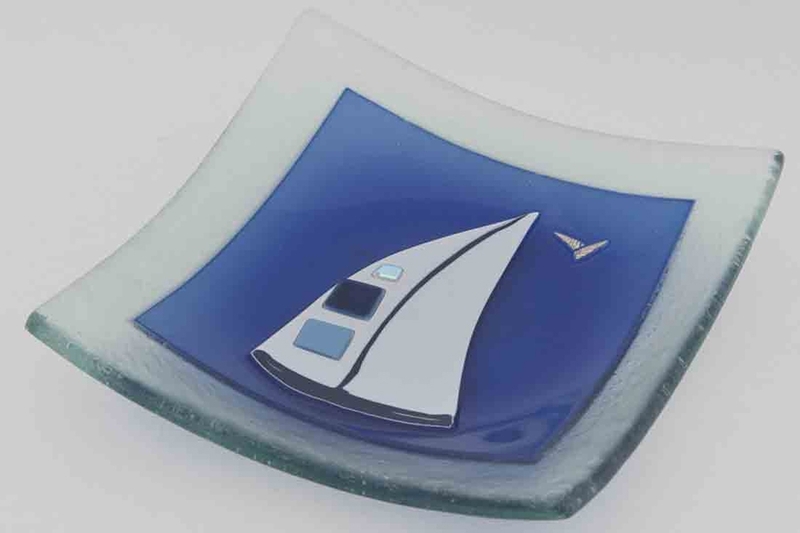 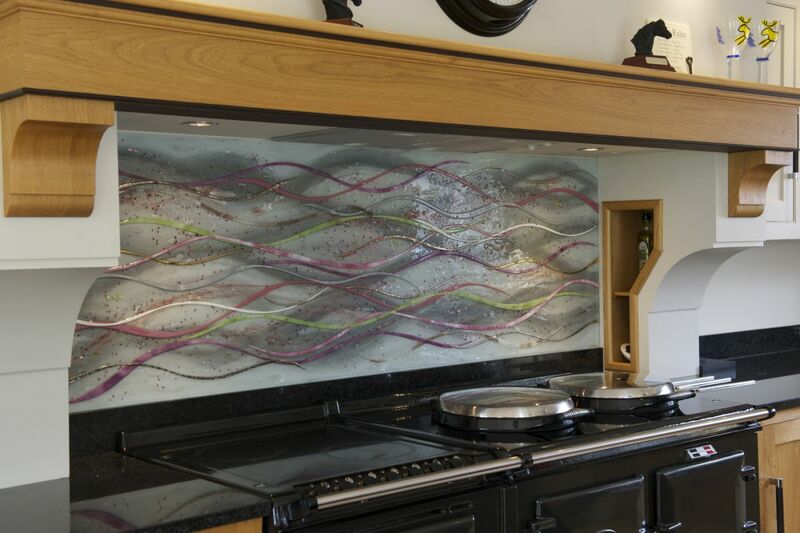 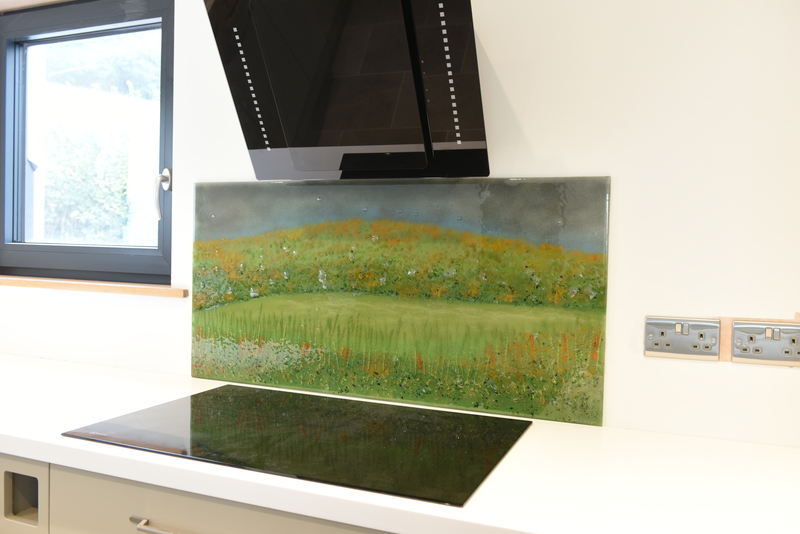 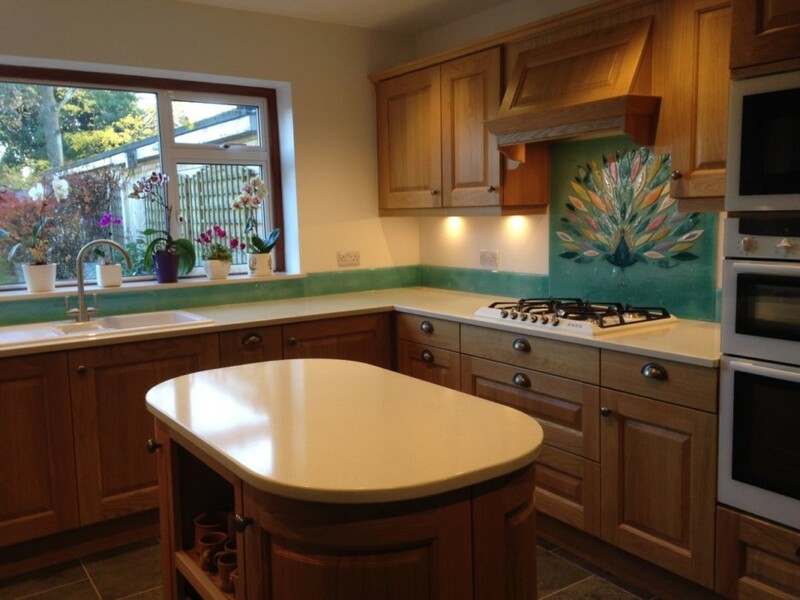 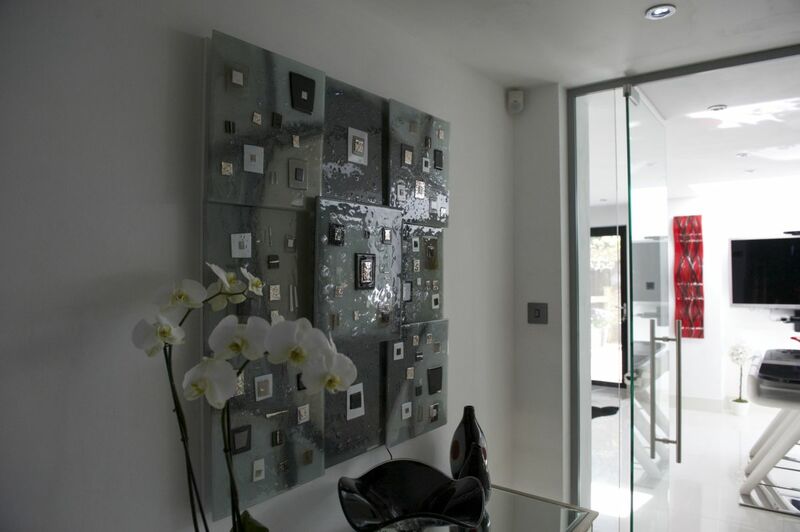 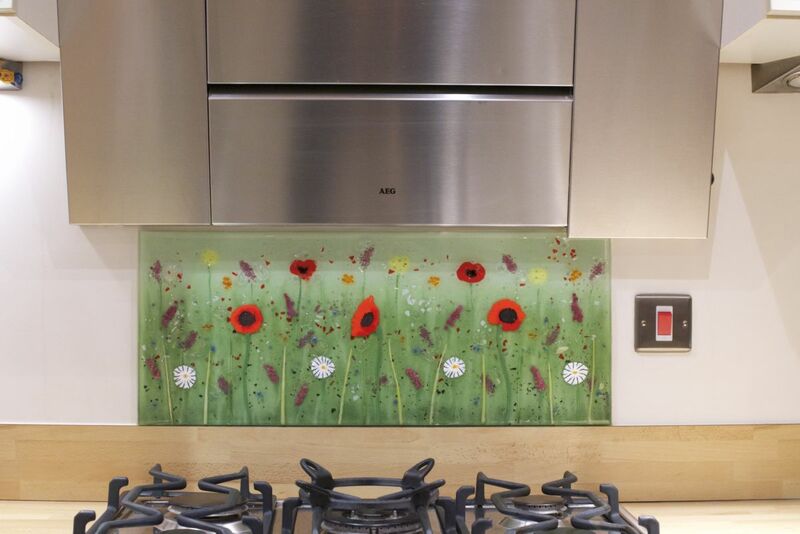 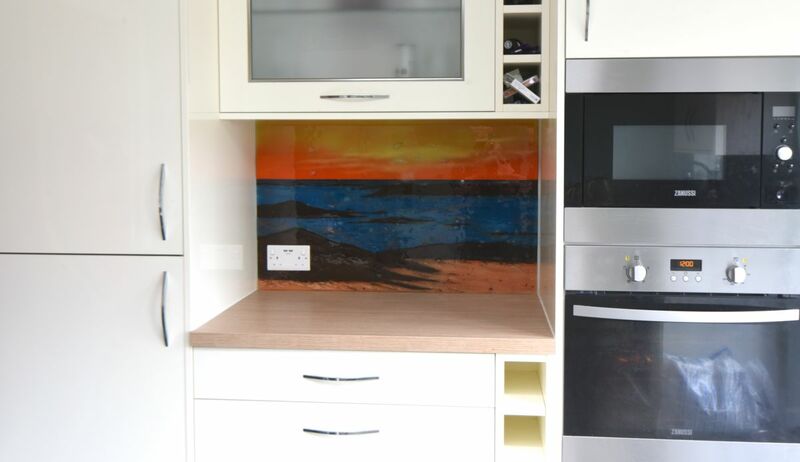 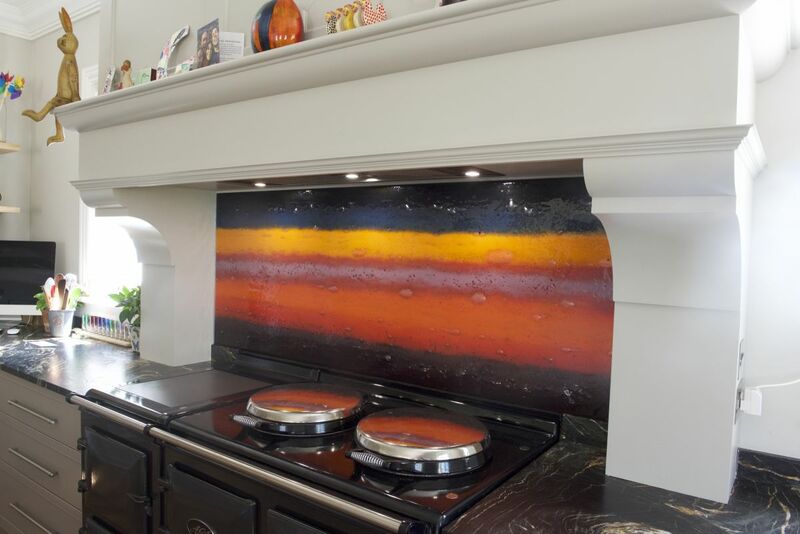 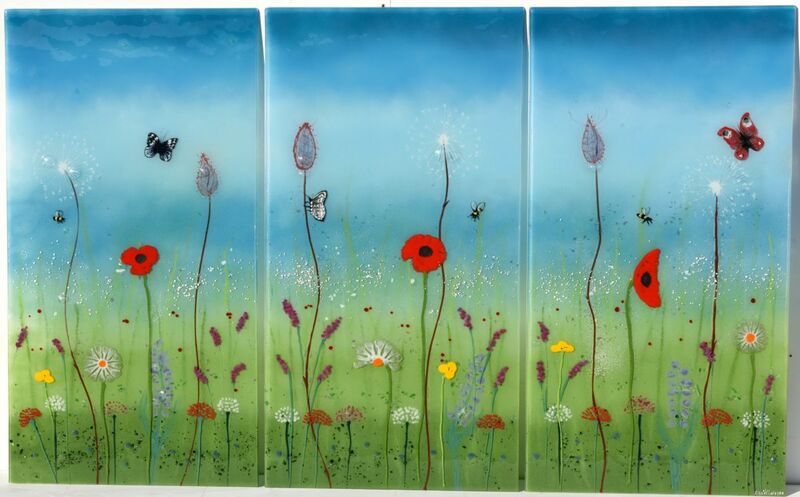 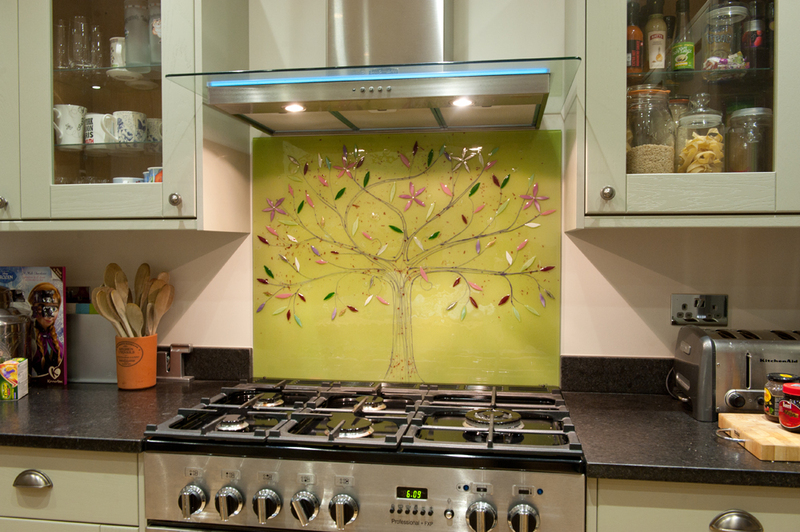 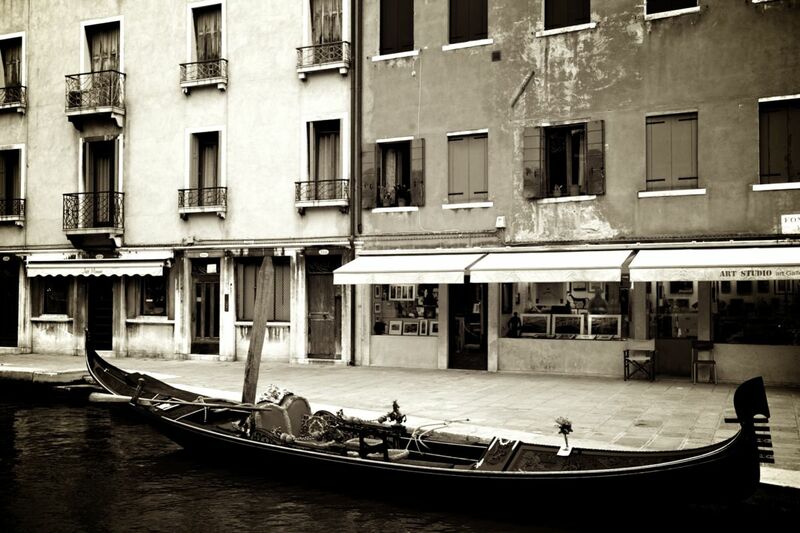 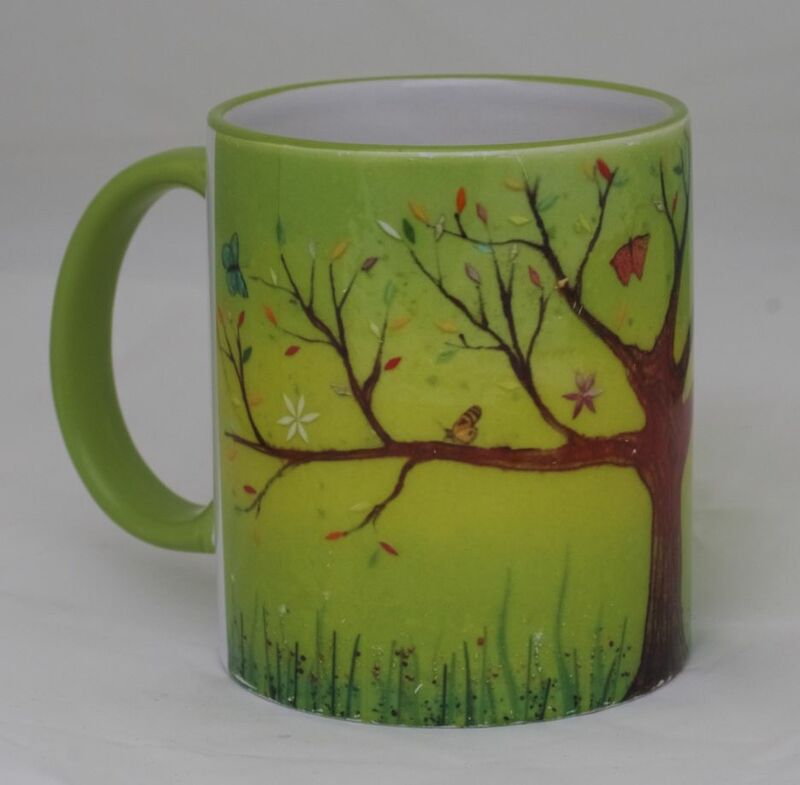 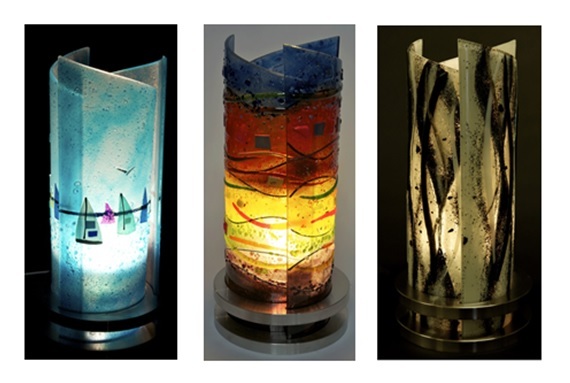 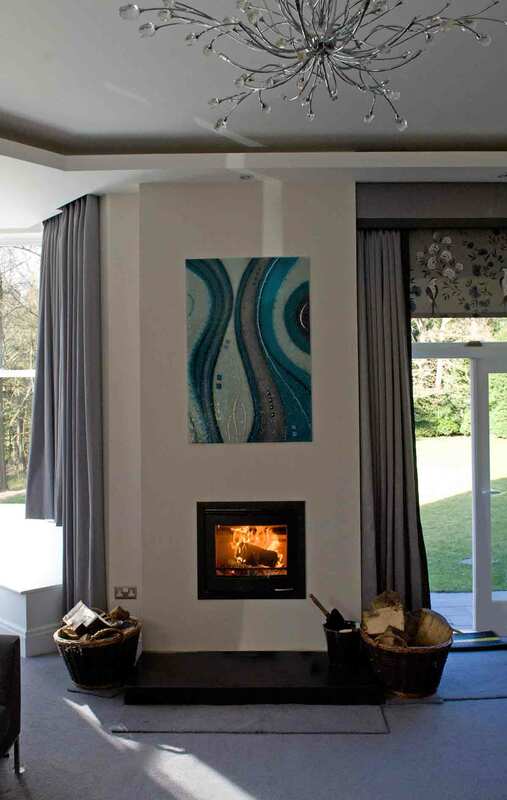 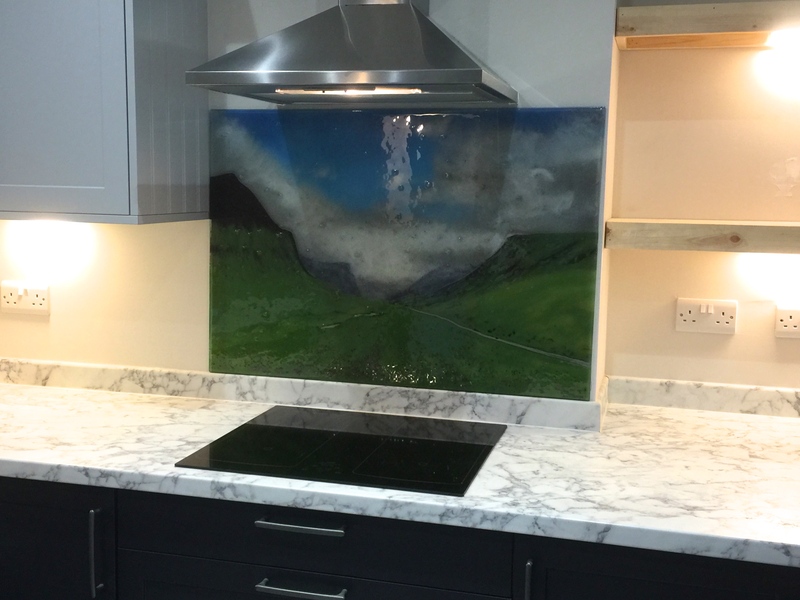 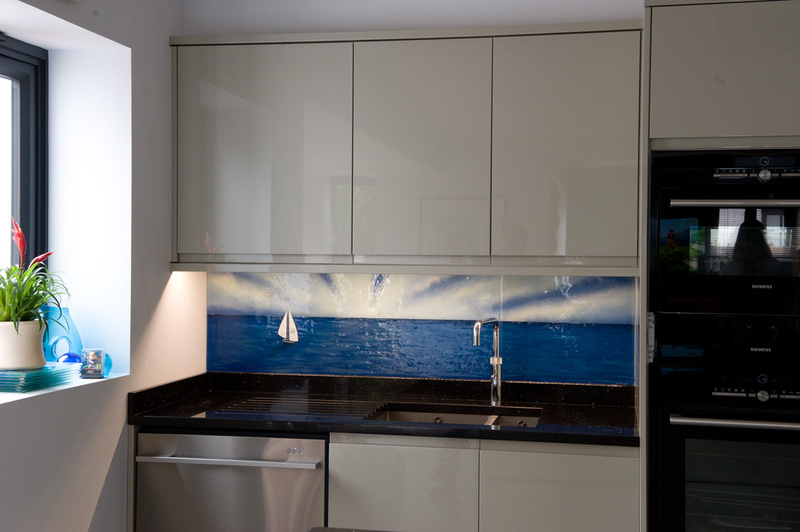 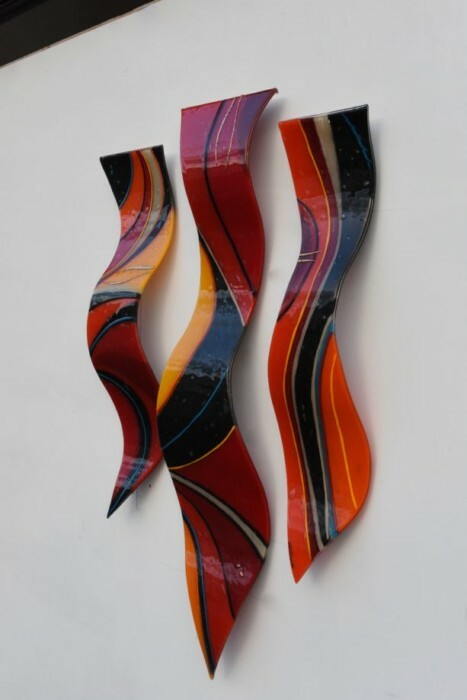 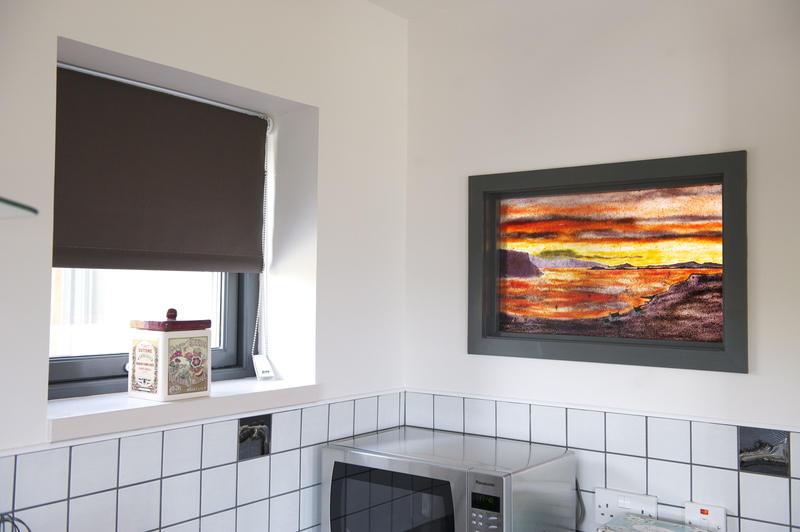 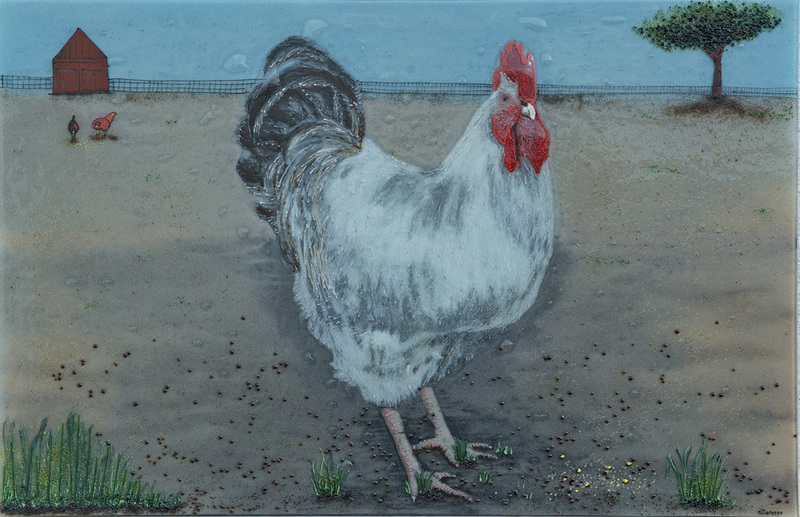 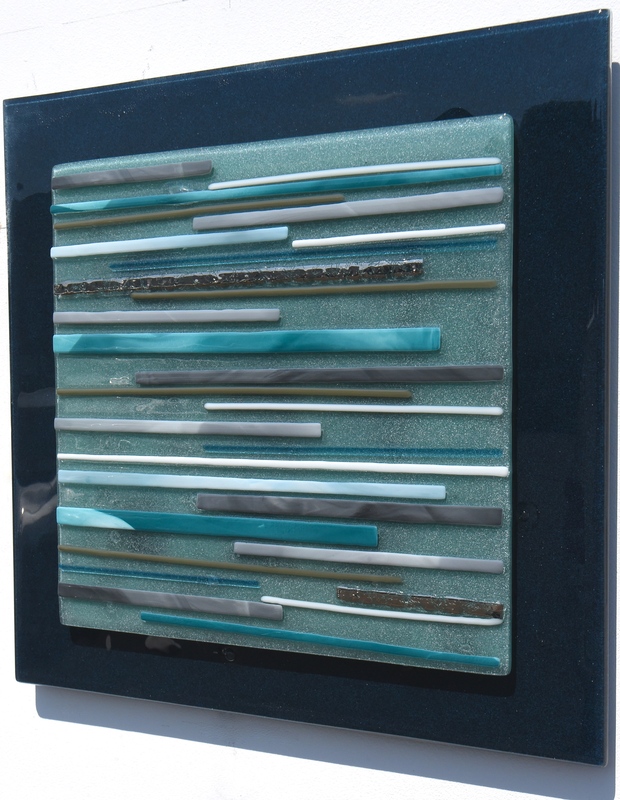 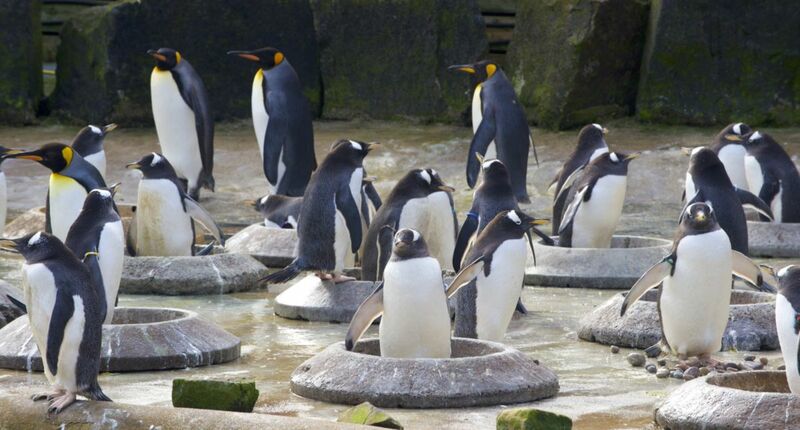 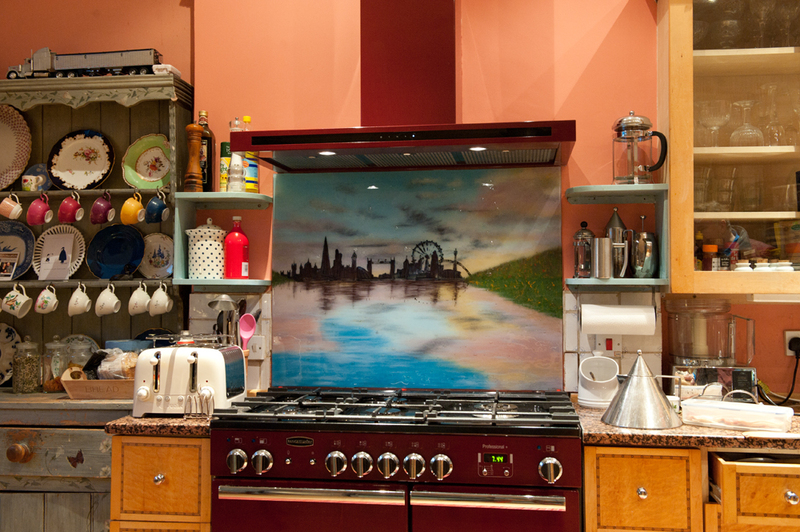 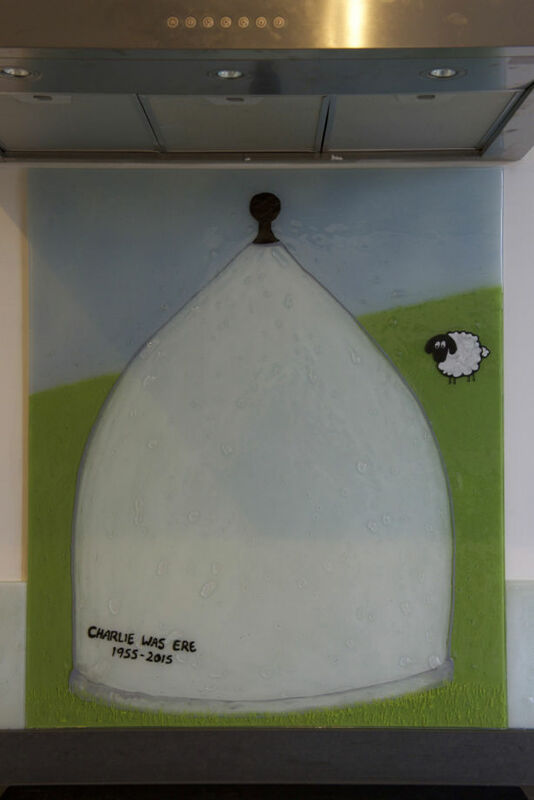 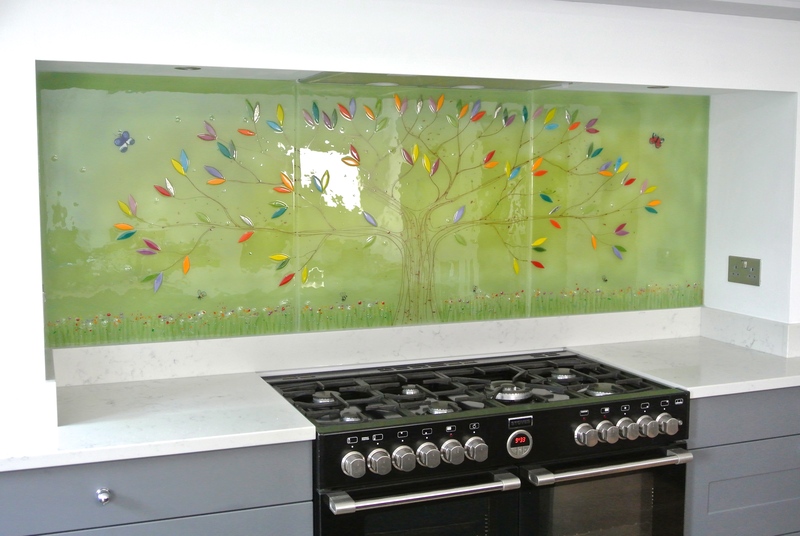 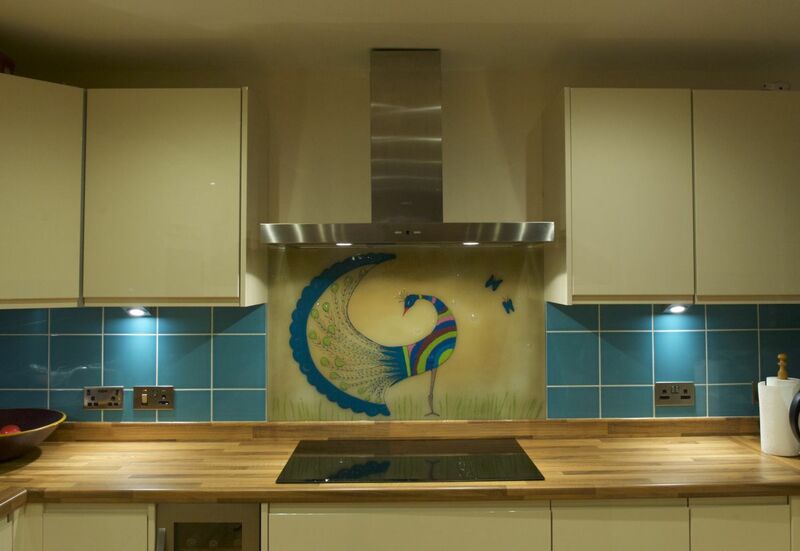 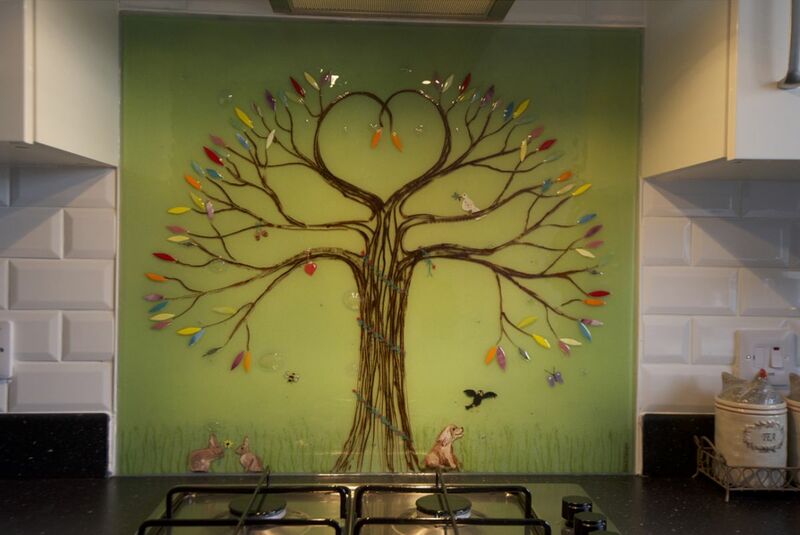 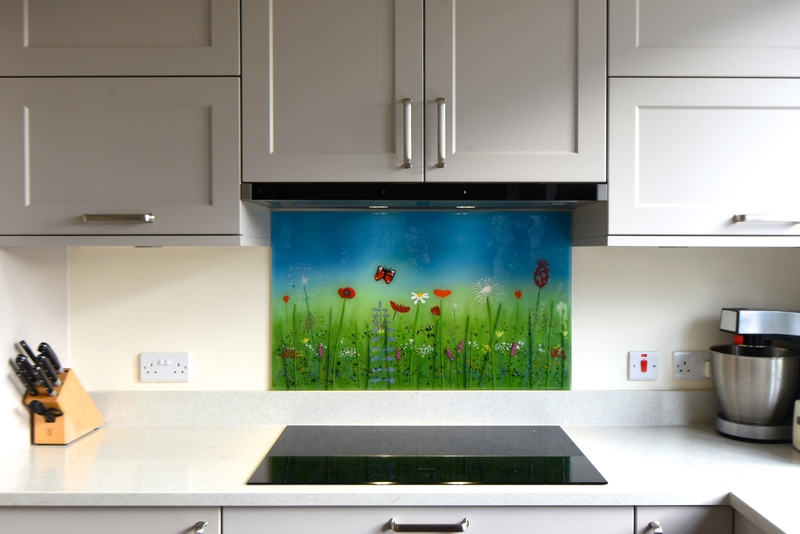 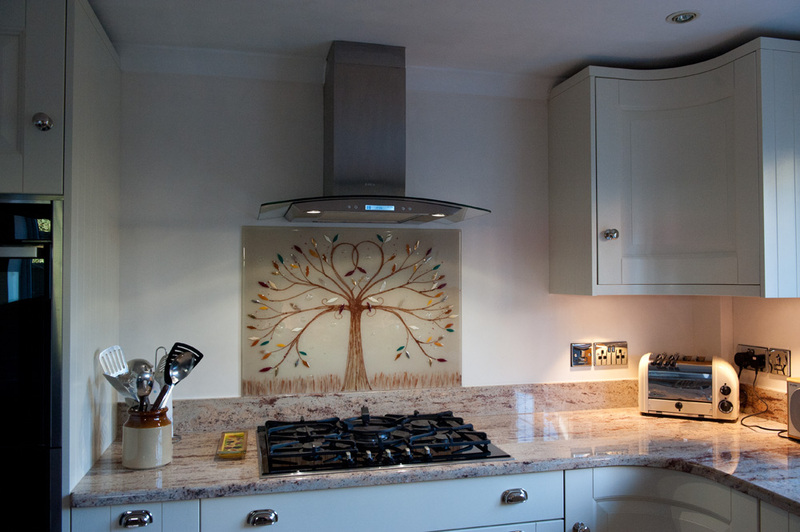 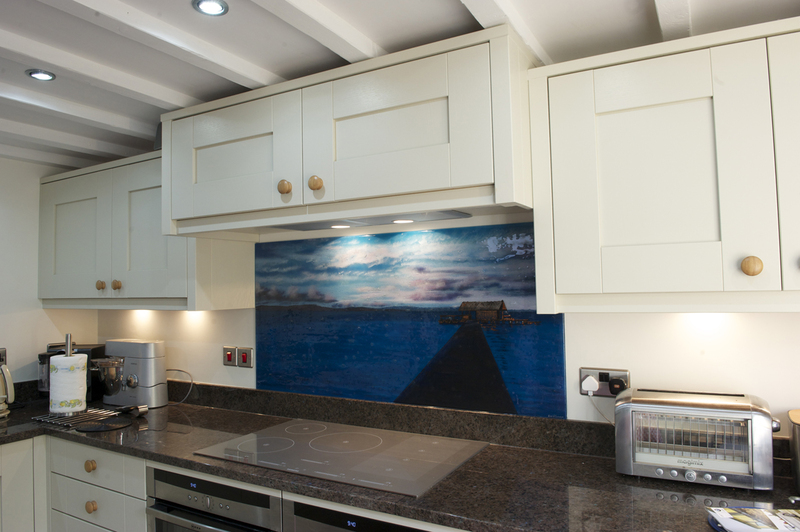 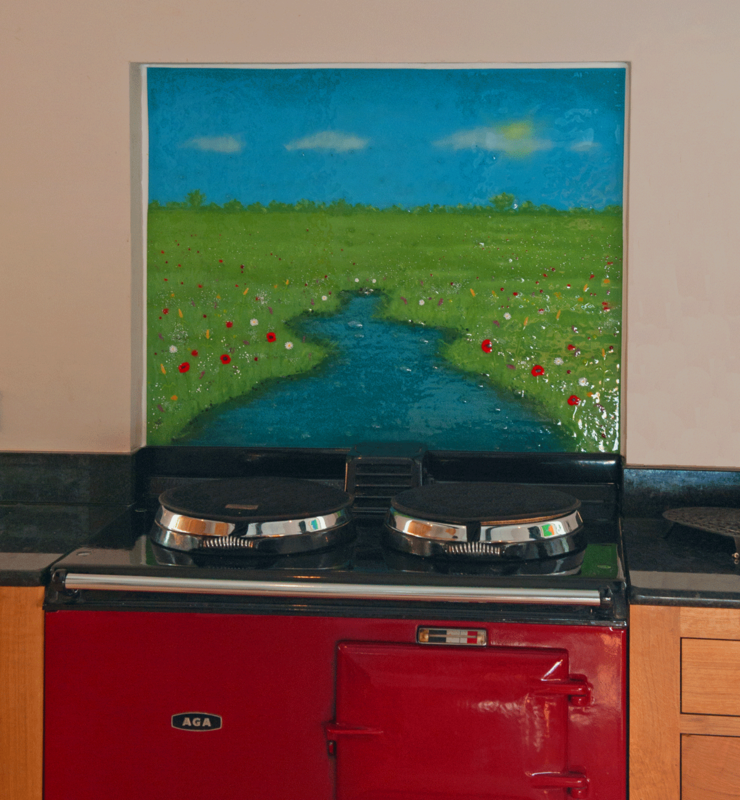 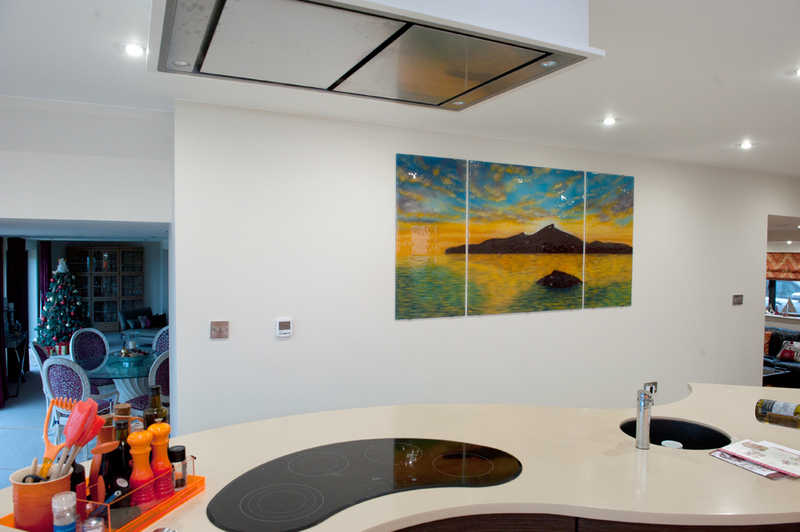 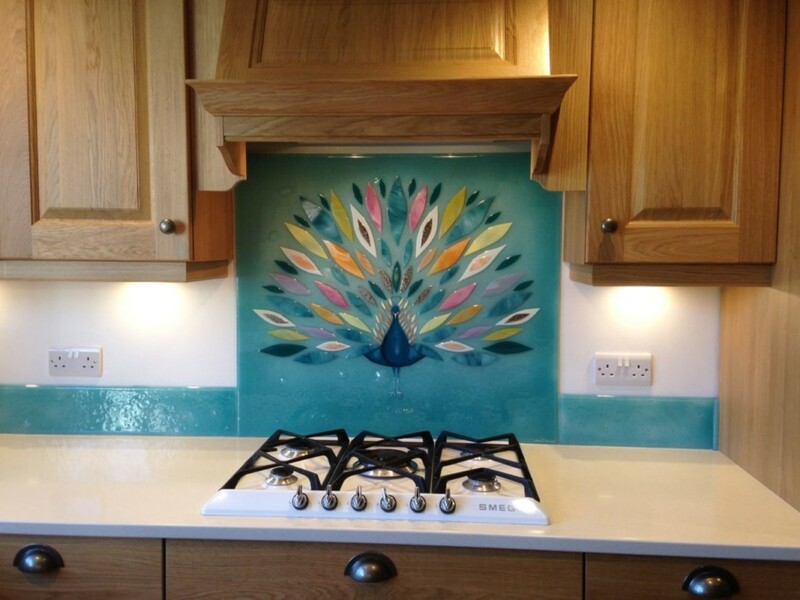 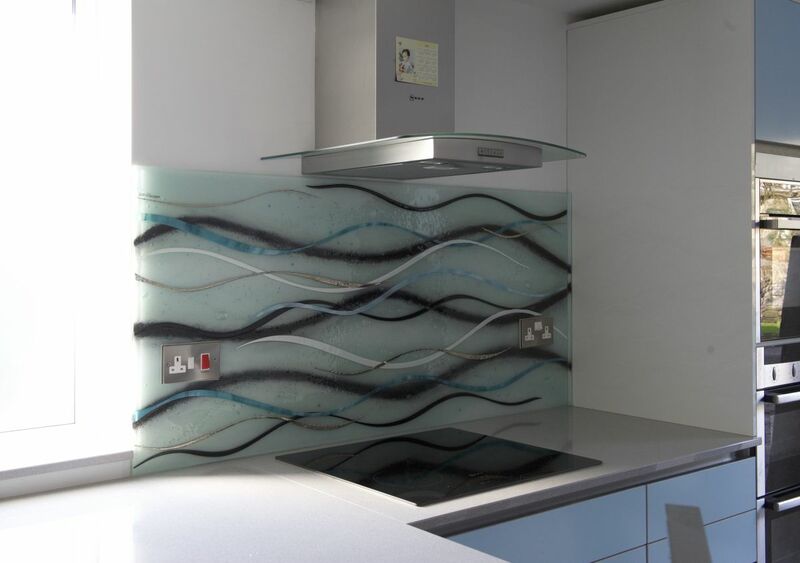 After all, with bespoke fused glass art your imagination really is the only limit. 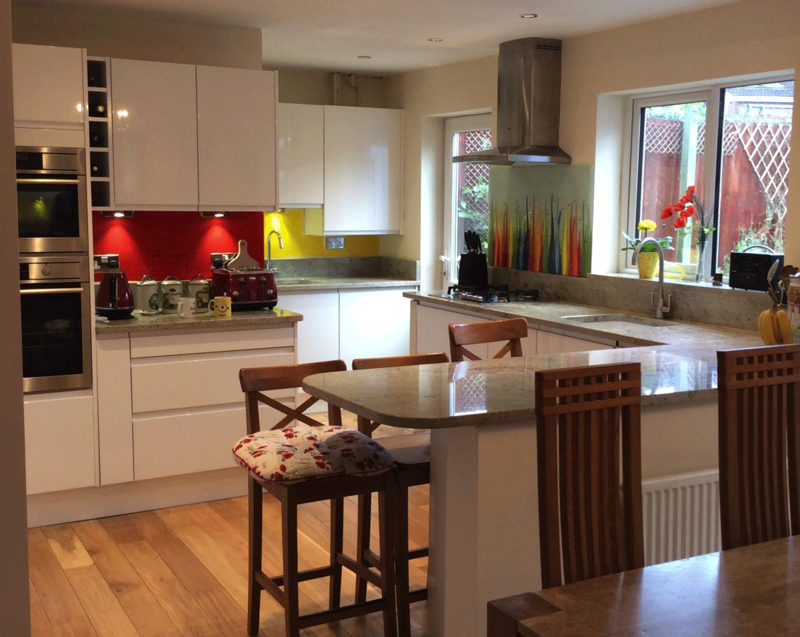 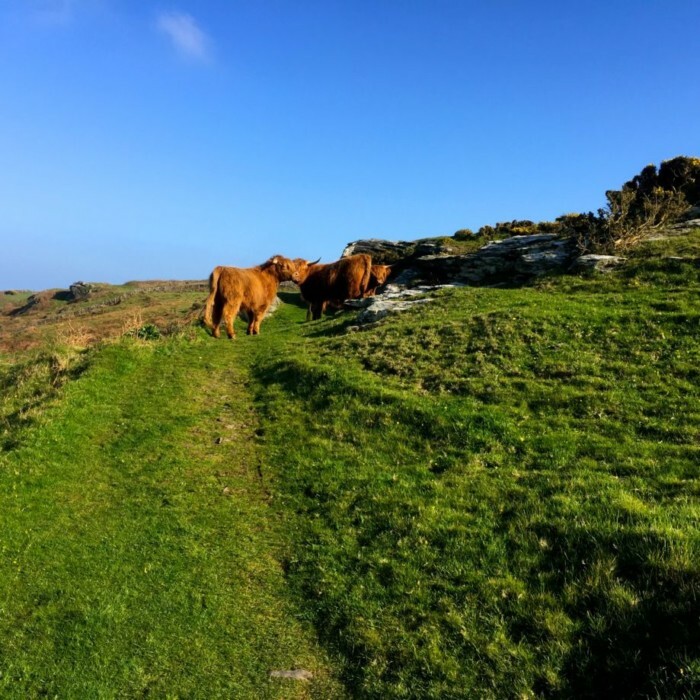 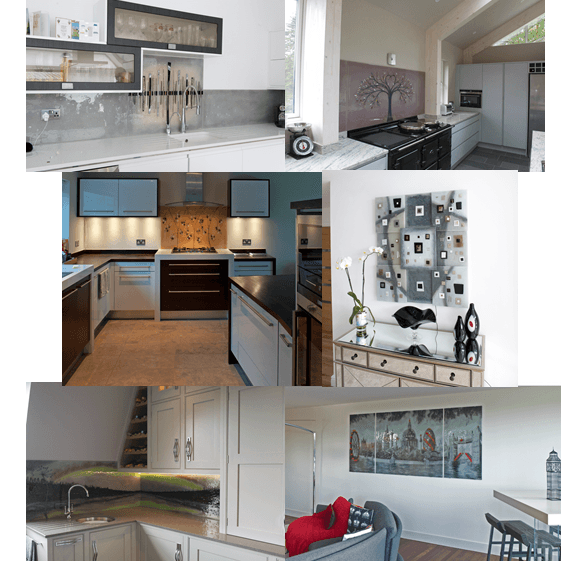 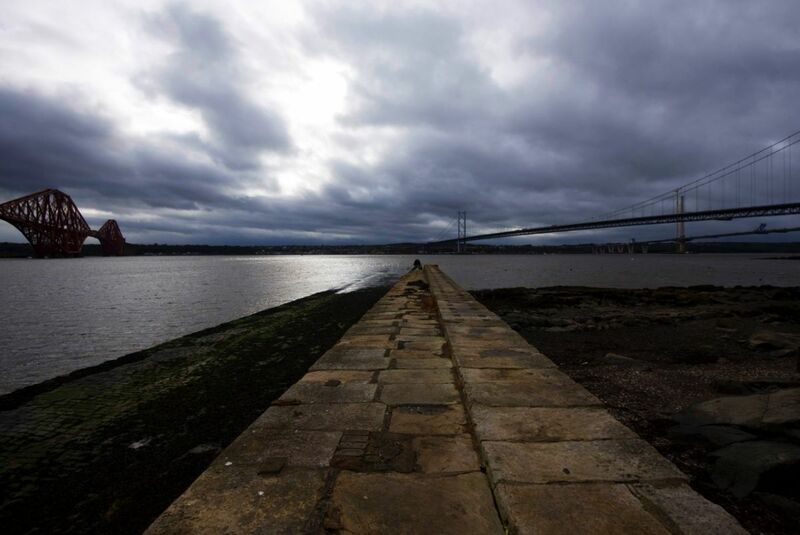 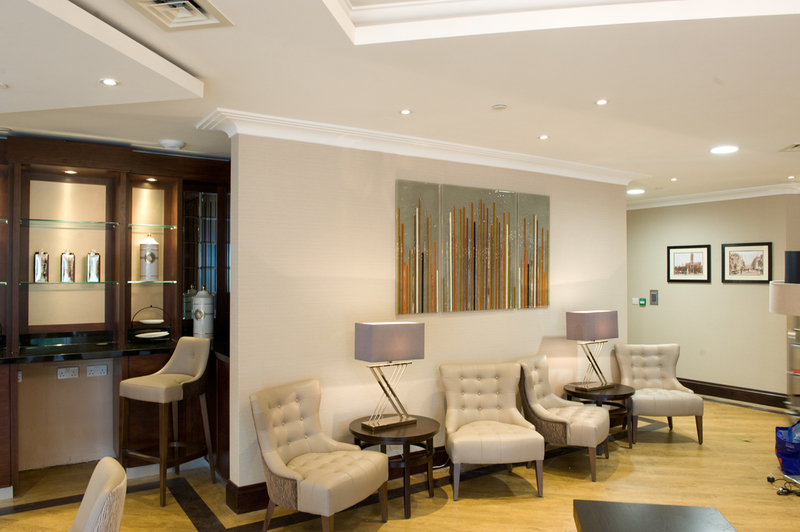 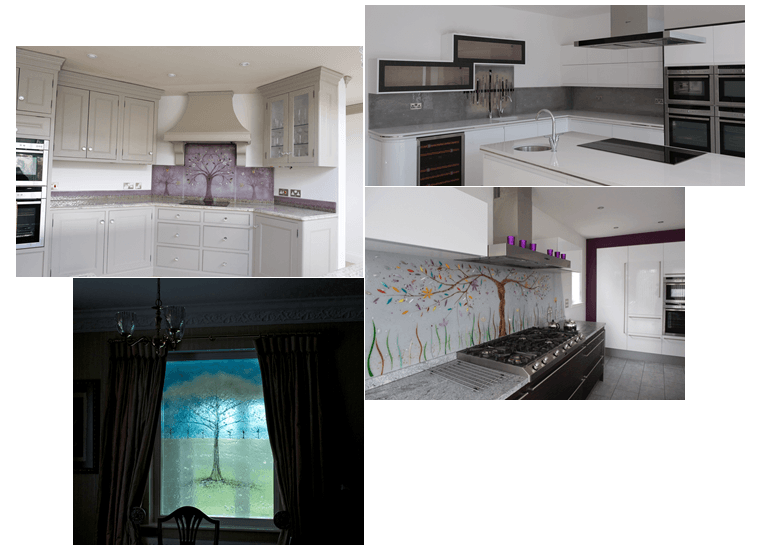 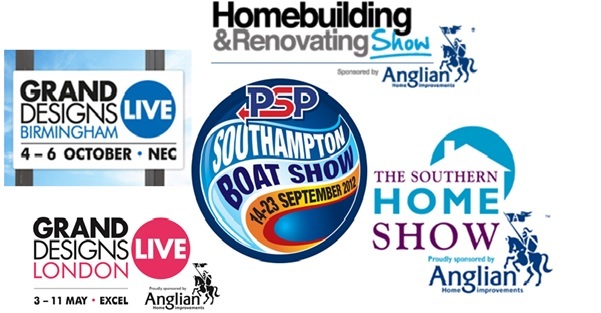 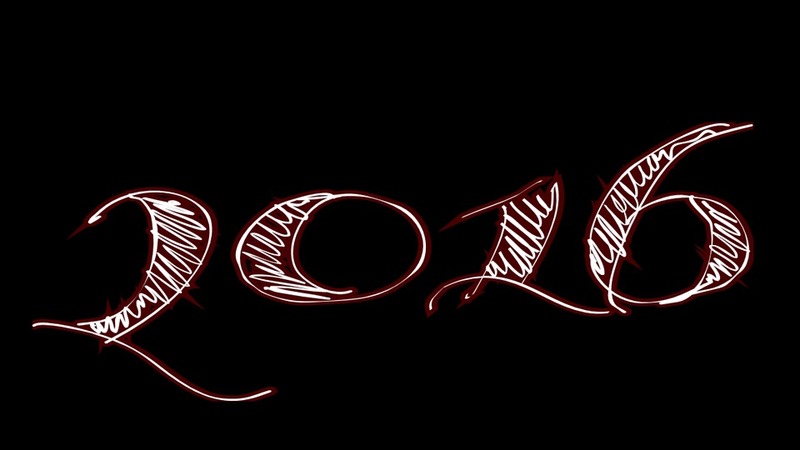 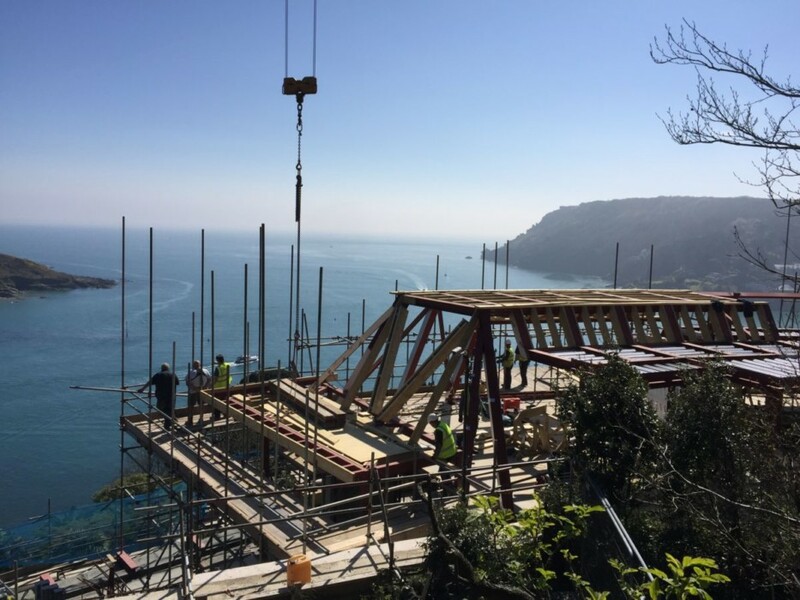 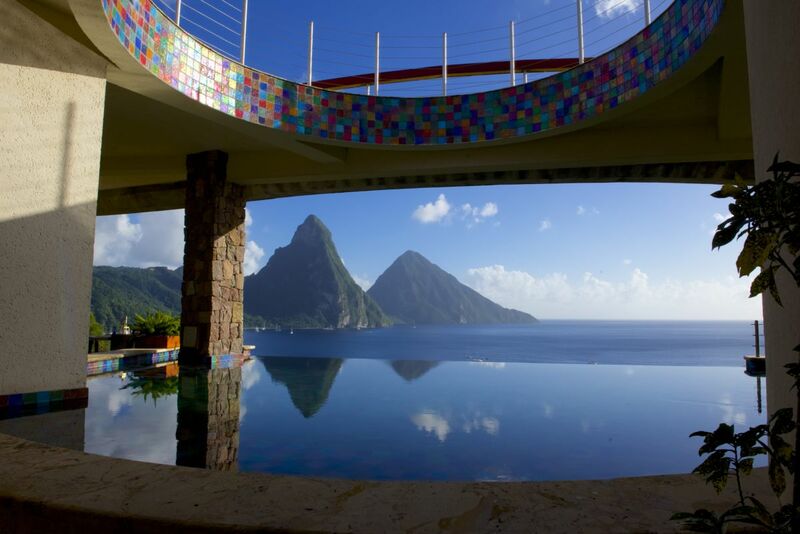 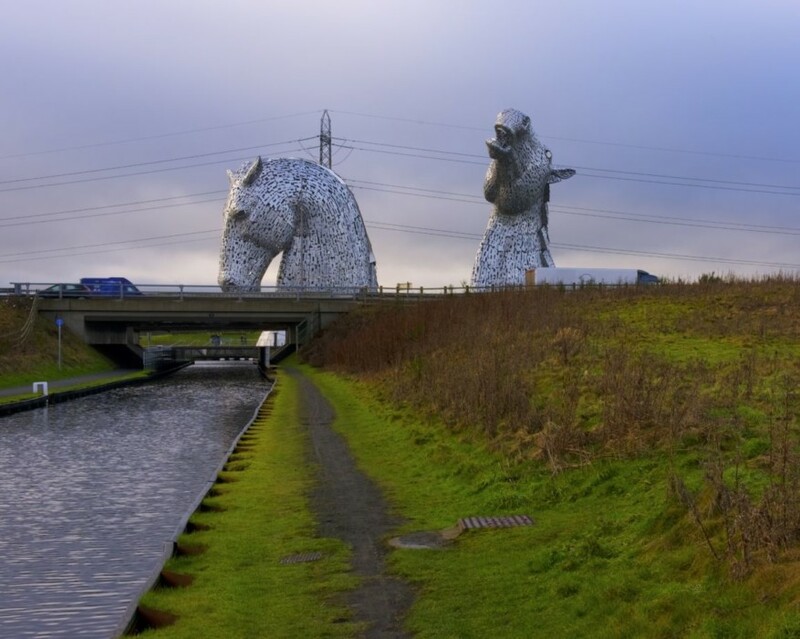 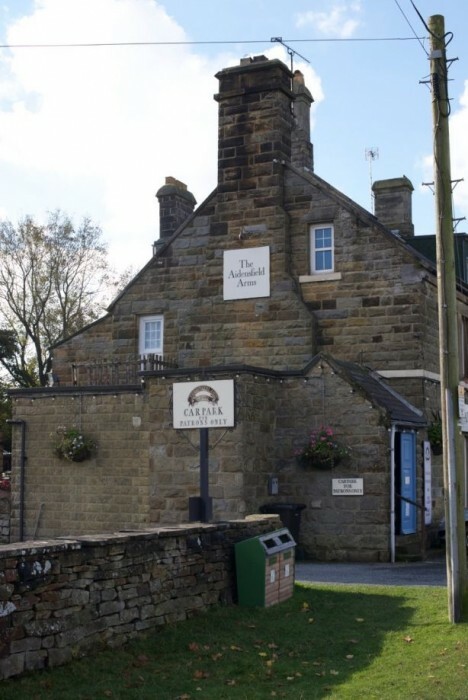 Take a look through our full portfolio of work, and you’ll see what we mean. 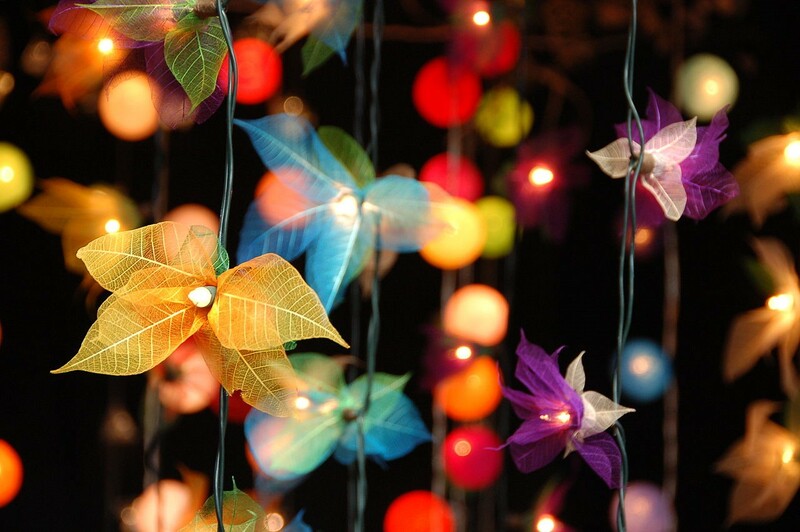 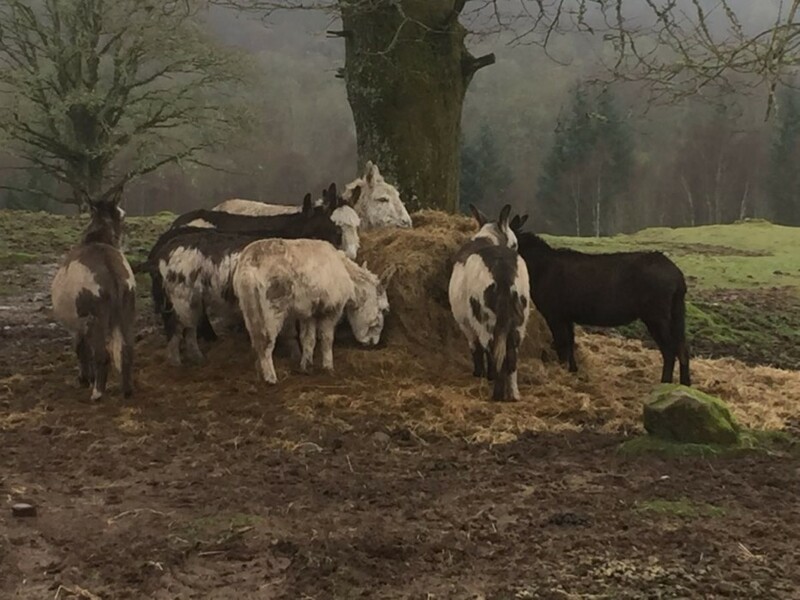 There’s so much variety to be found there, as no two ideas are ever the same. 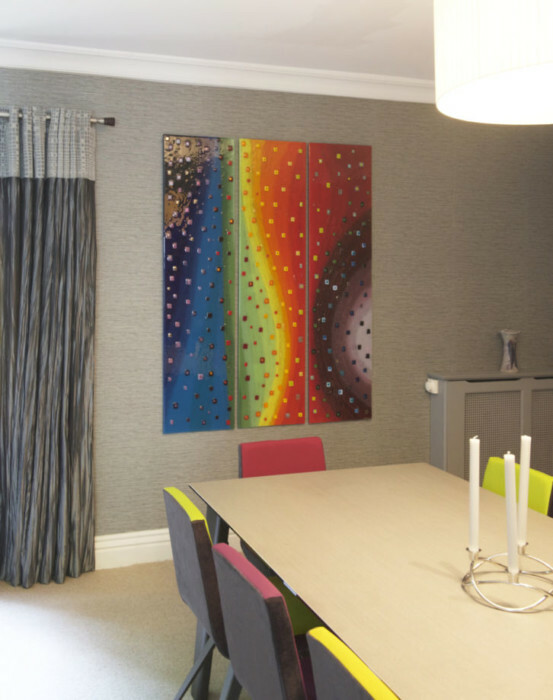 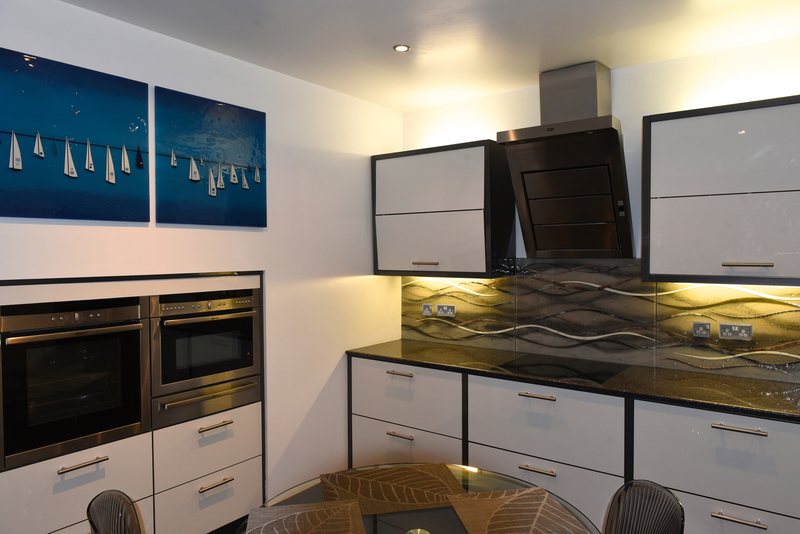 Where one piece might feature vivid colours and geometric shapes, another might utilise black and white to full effect alongside metallic accents and layers. 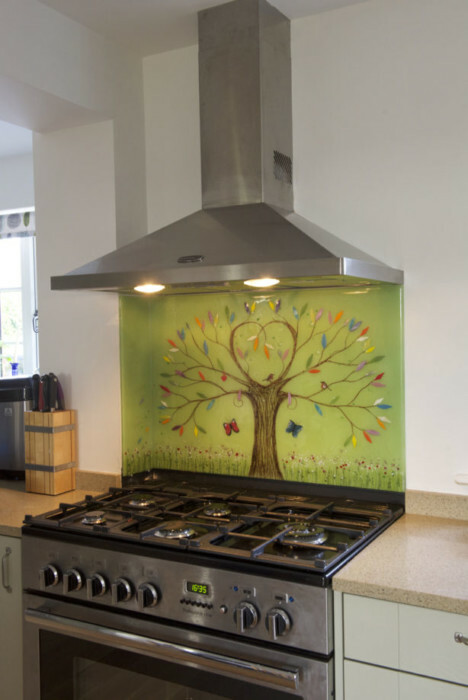 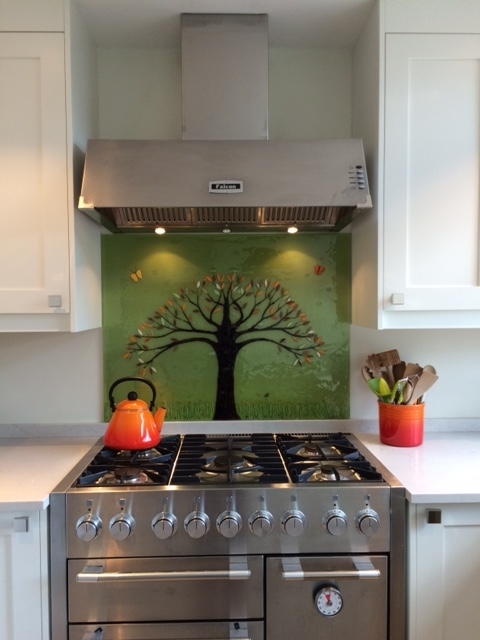 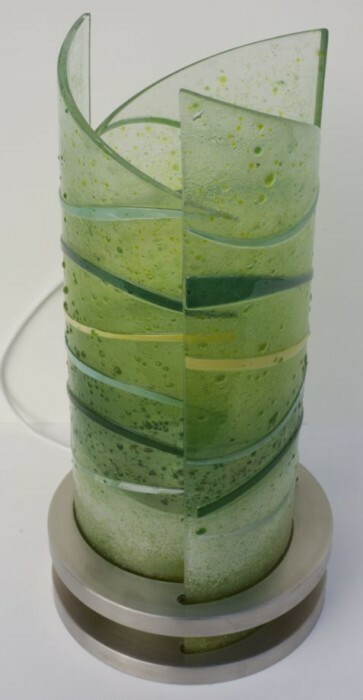 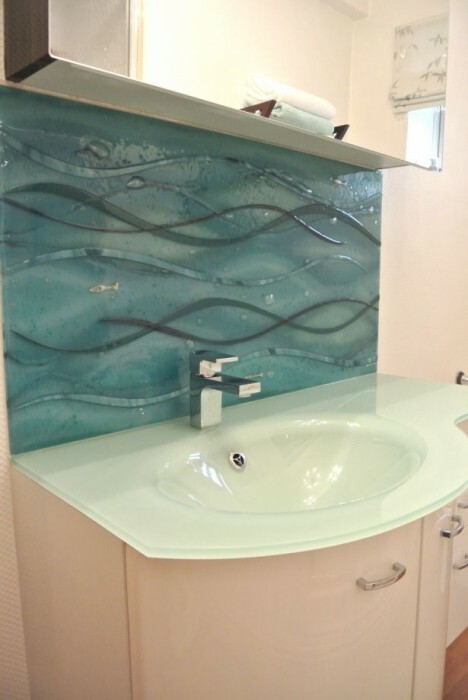 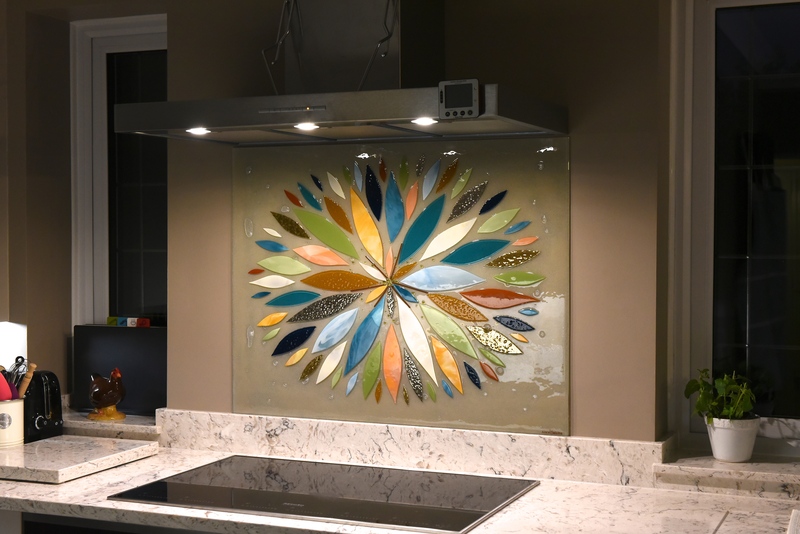 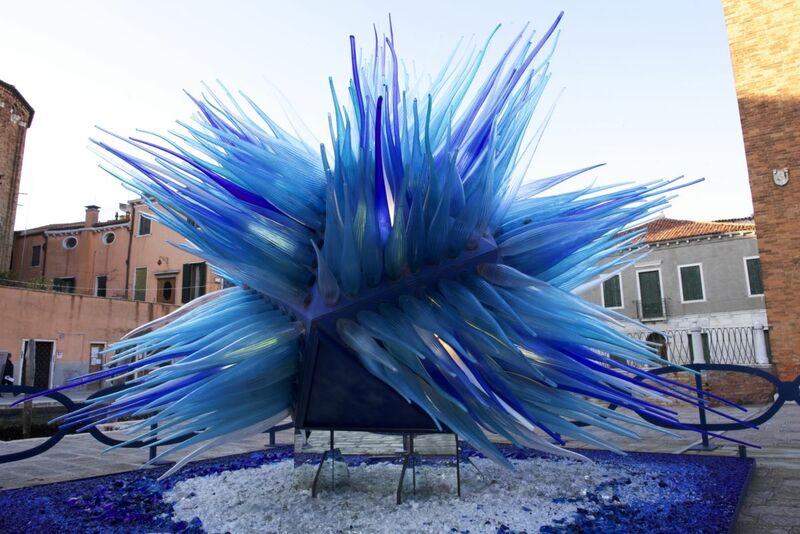 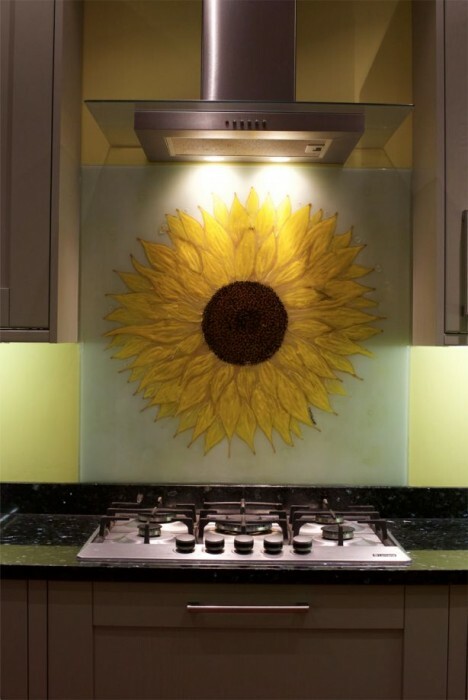 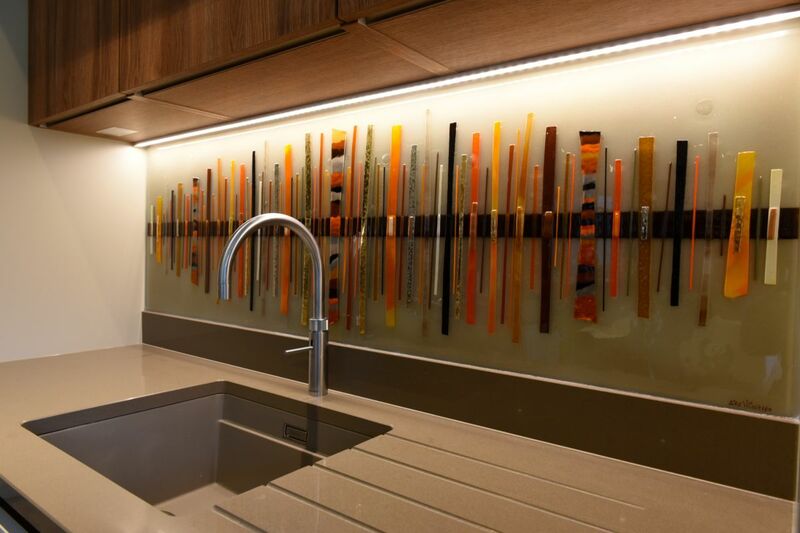 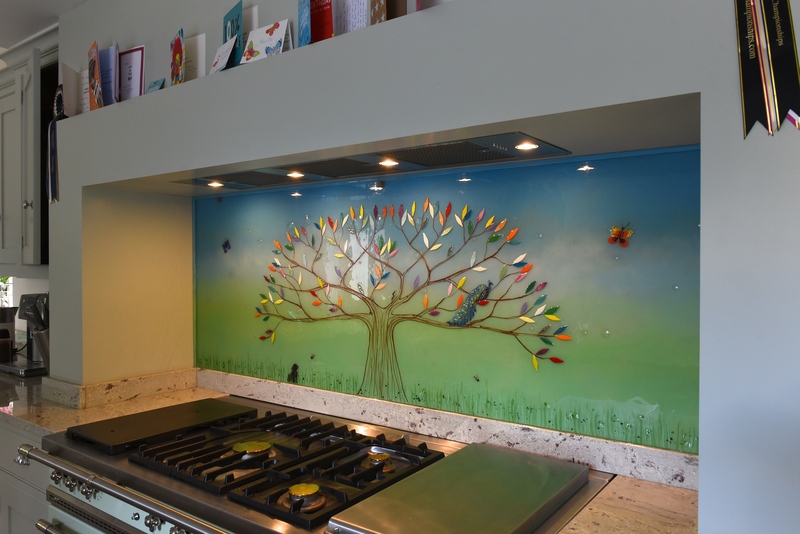 There’s so much that can make your glass wall art unique, and creating your perfect glass is perfectly possible. 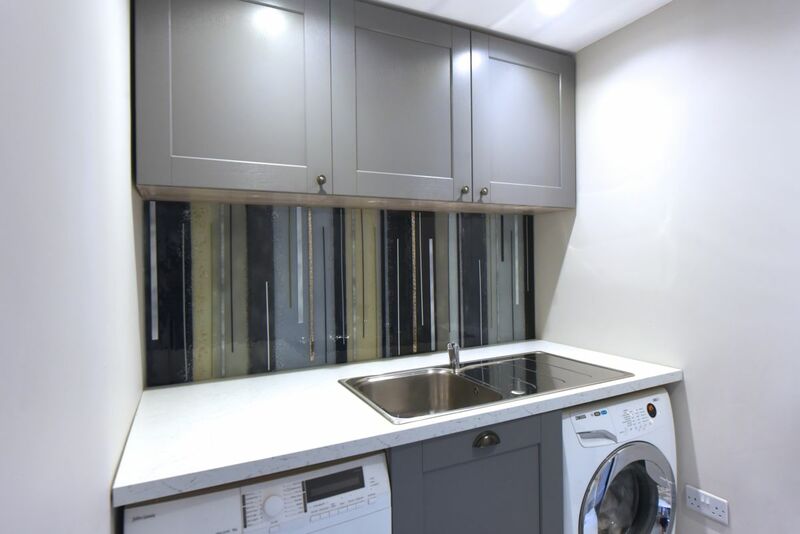 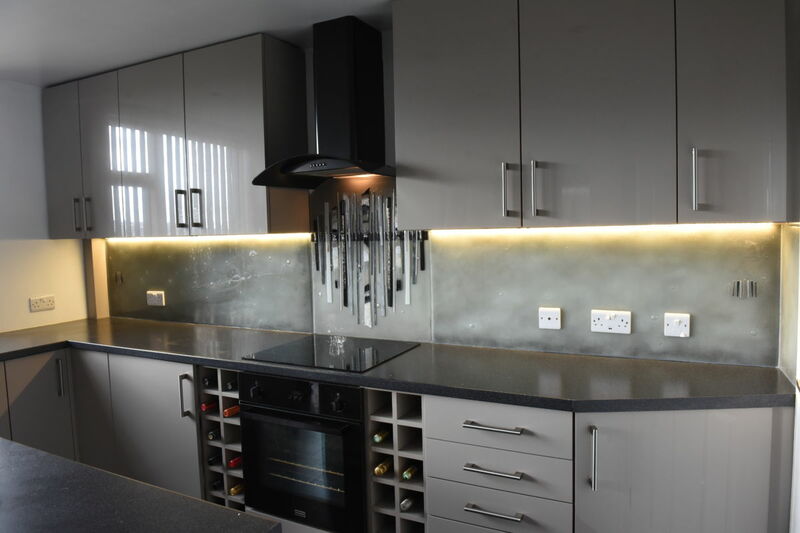 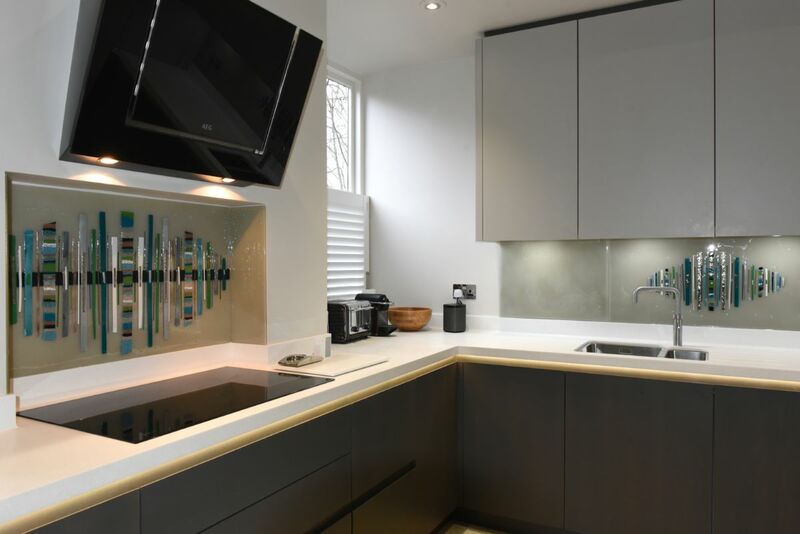 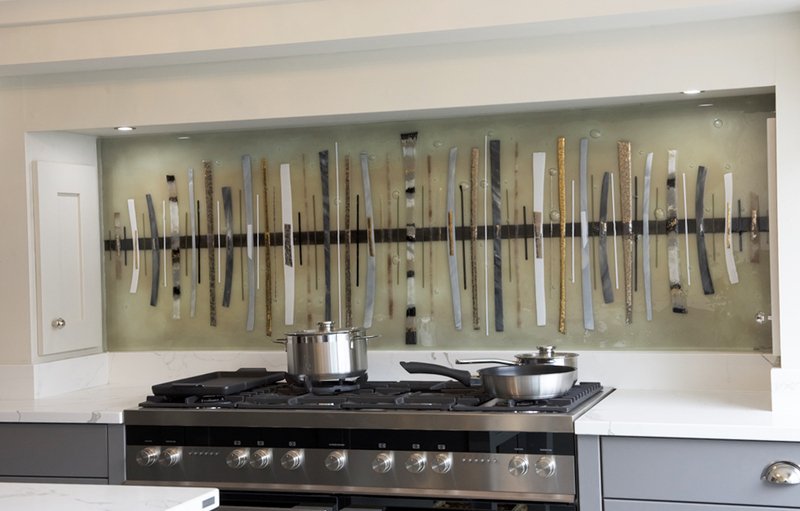 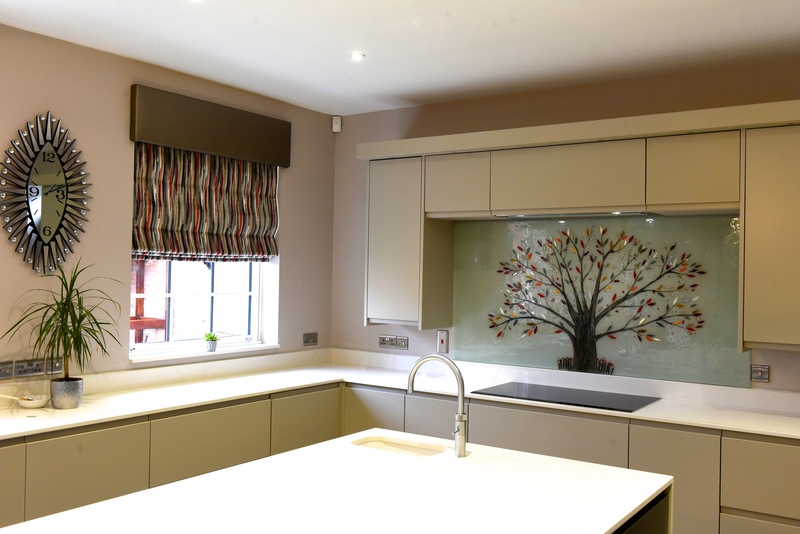 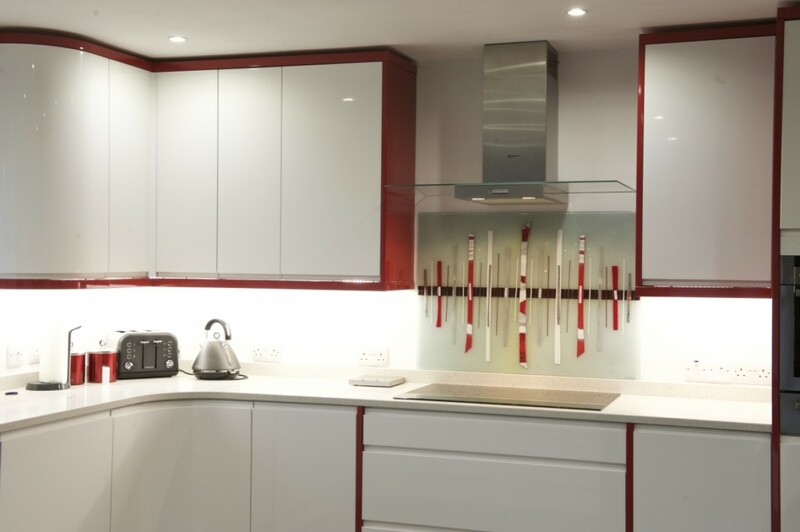 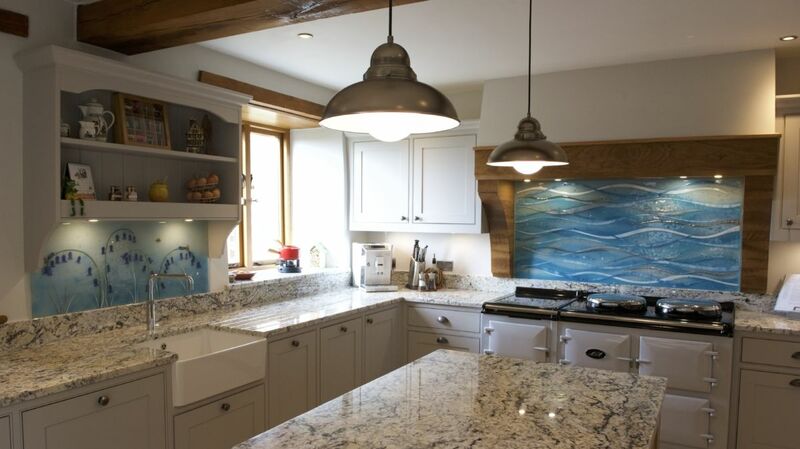 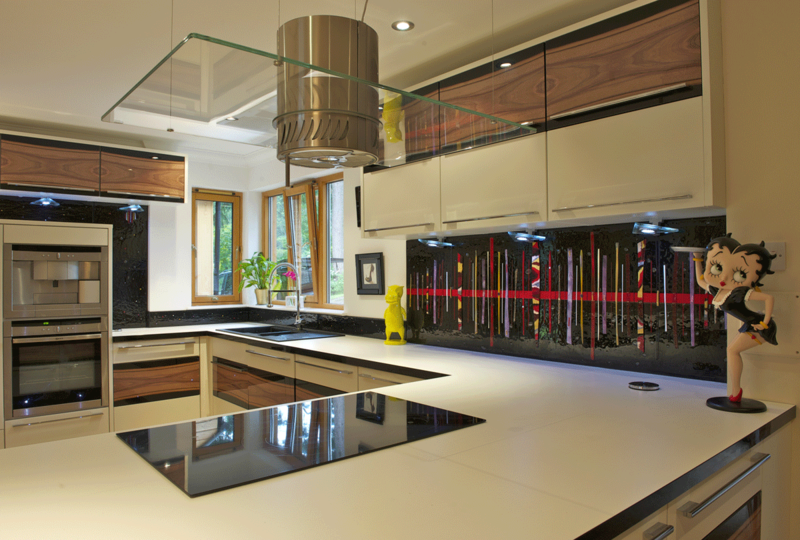 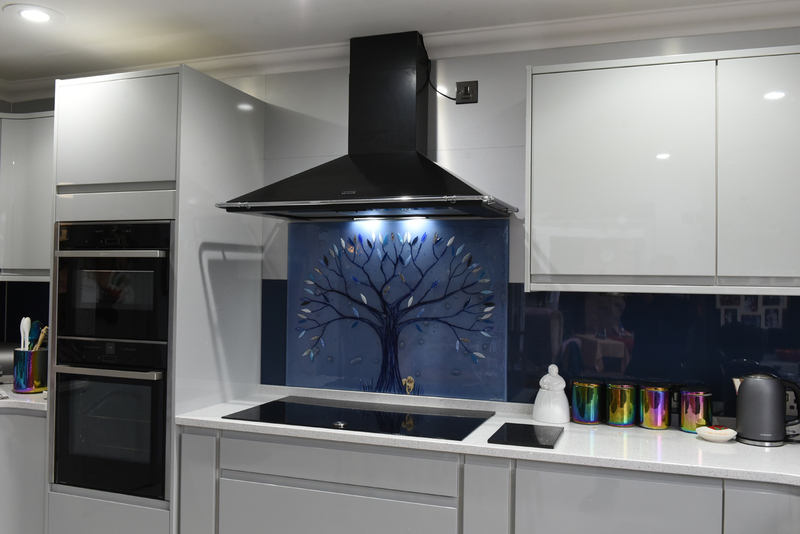 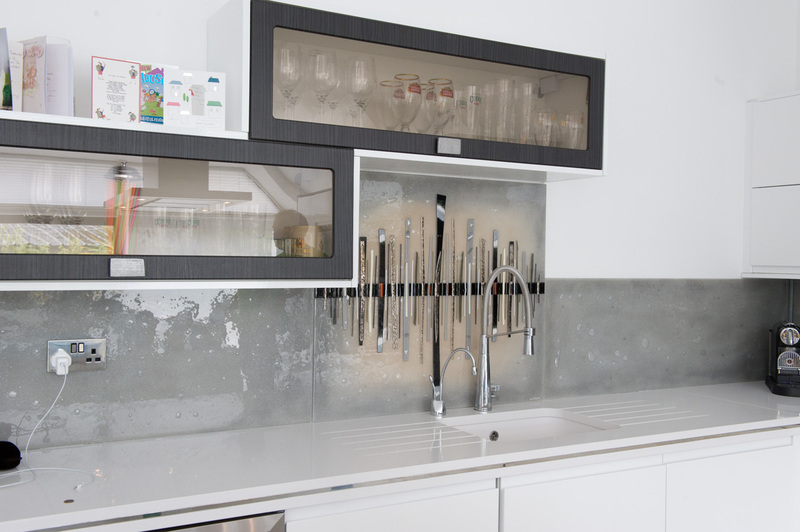 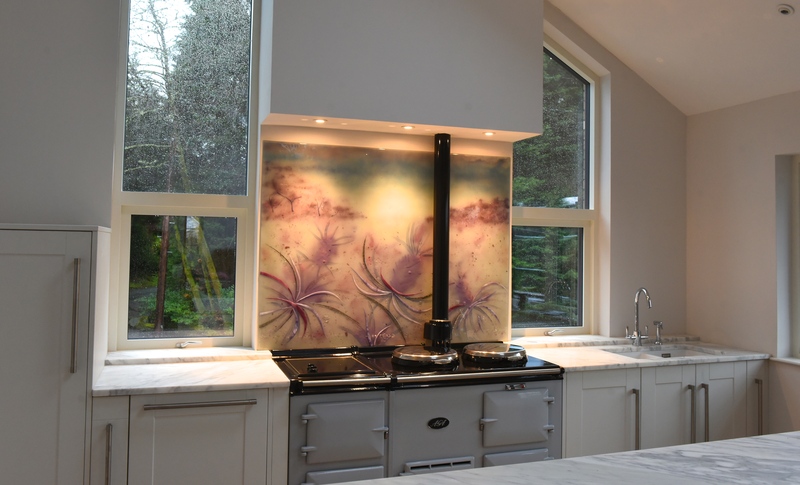 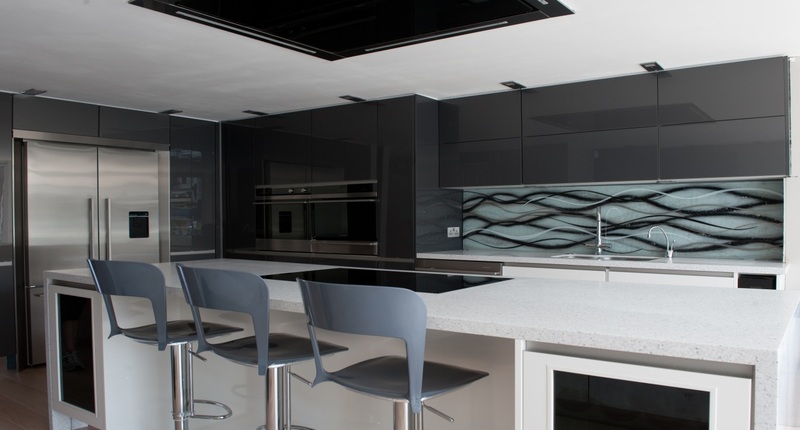 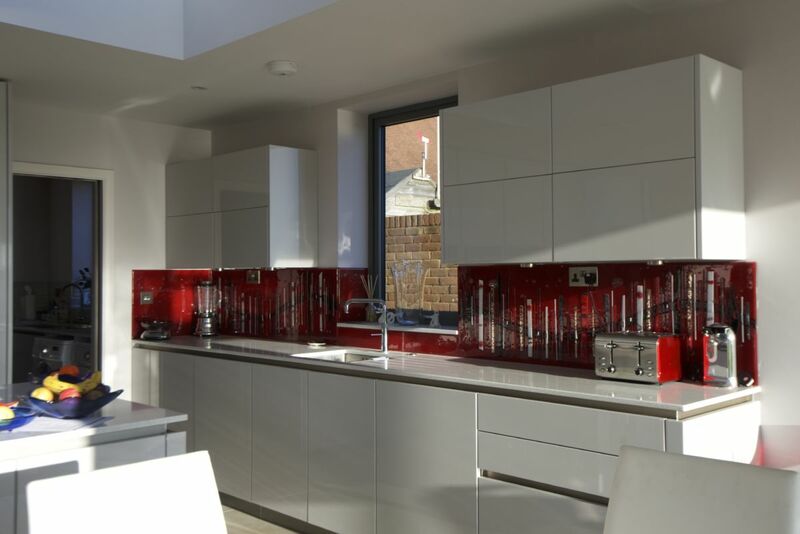 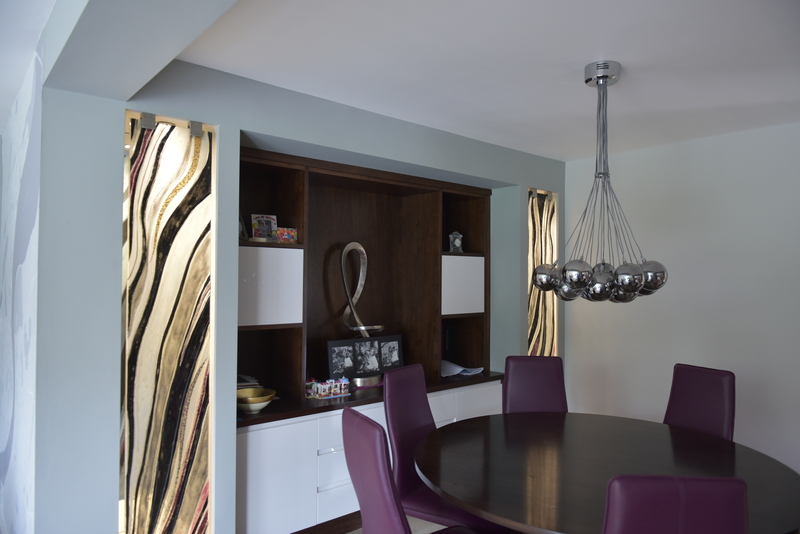 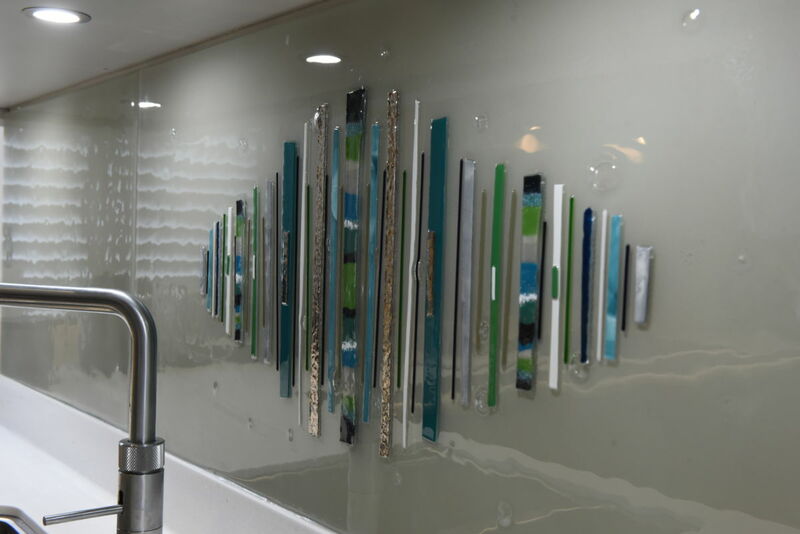 What’s more, we can create any piece to specific measurements, ensuring that the glass will make for a flawless fit no matter which space you’re looking to put it in. 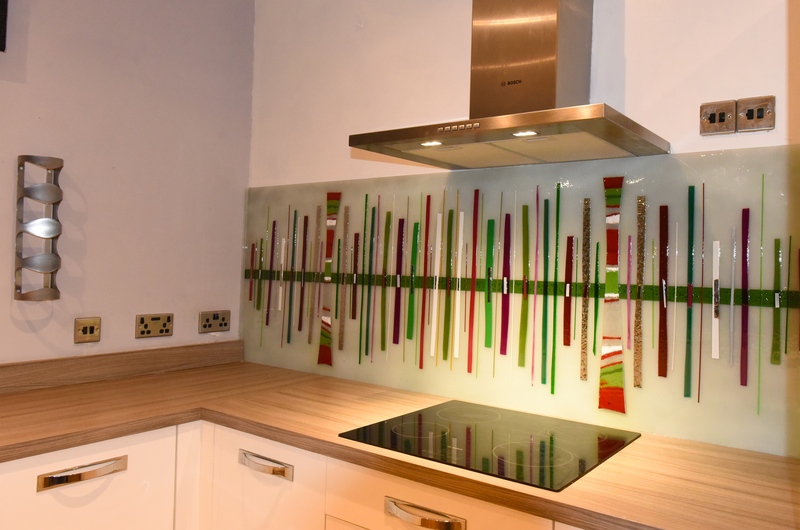 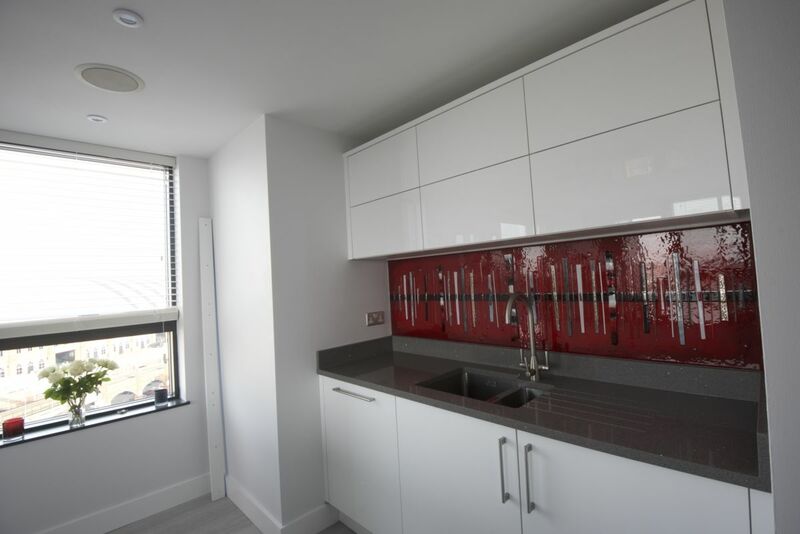 Plug sockets and other obstructions shouldn’t be a problem, as we can cut the glass around them and shape the piece to fit even the most awkward spaces. 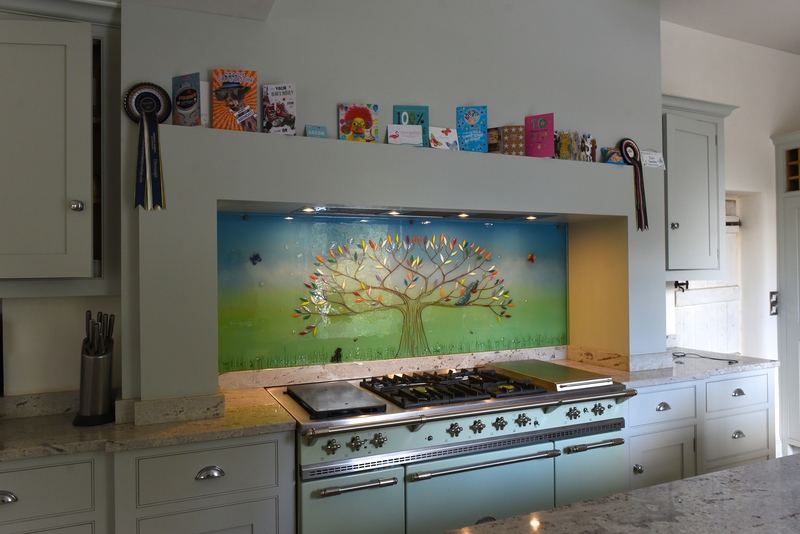 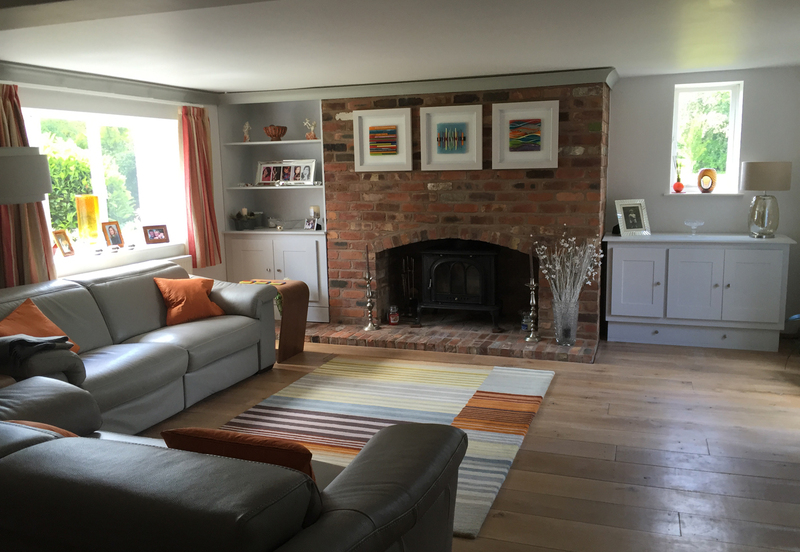 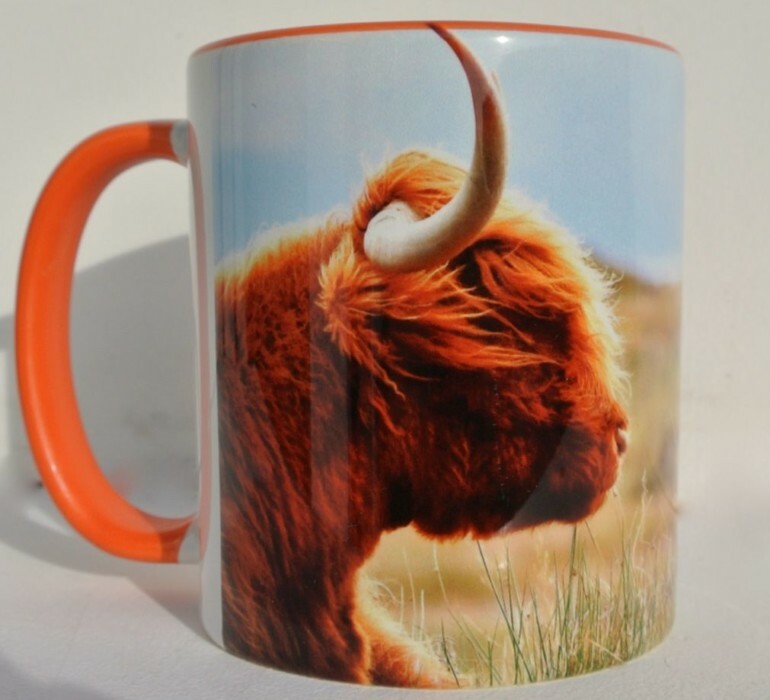 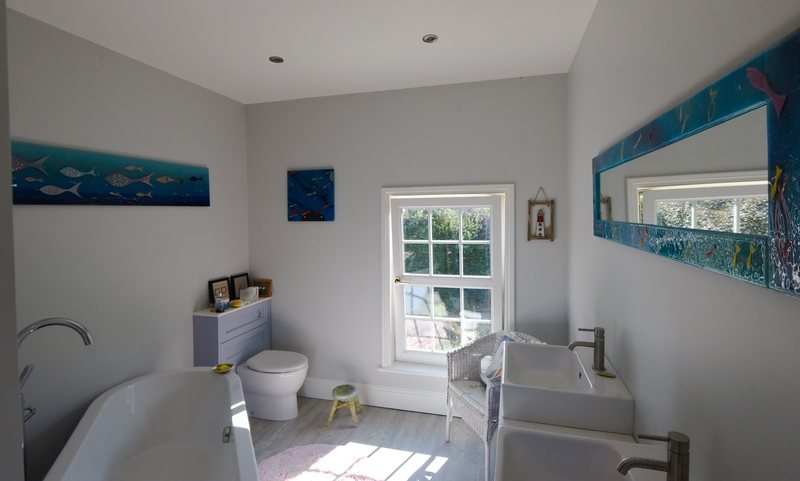 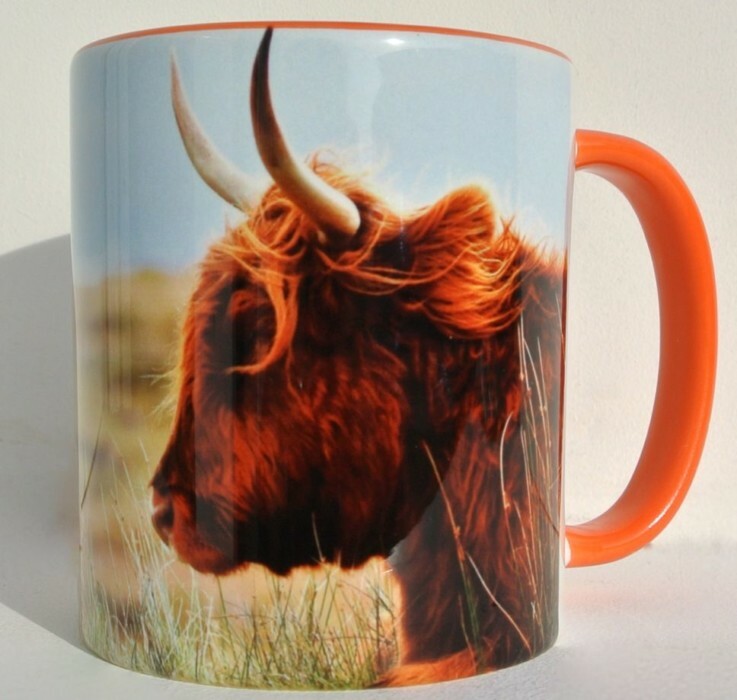 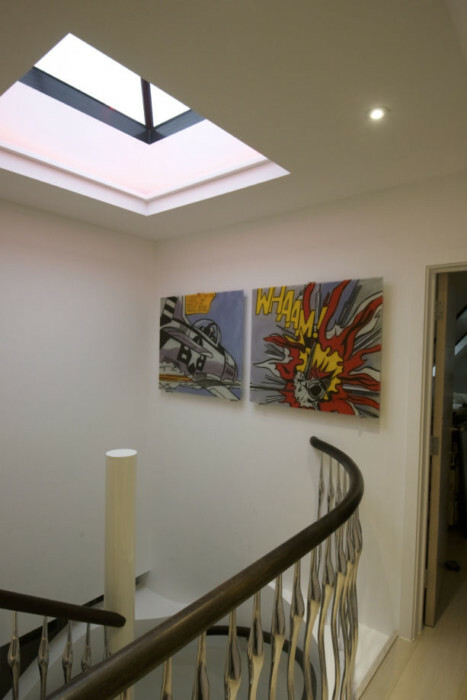 So don’t be shy, send us your best ideas and let’s create something highly personalised that no-one else will have decorating the walls of their home. 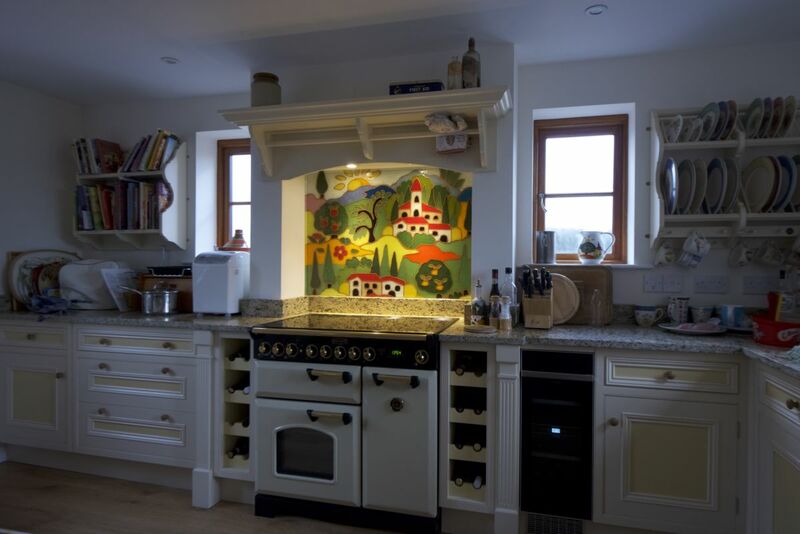 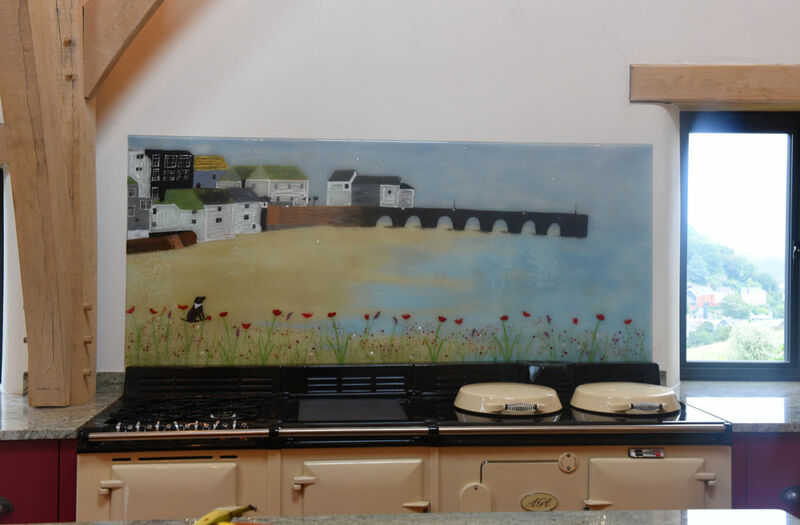 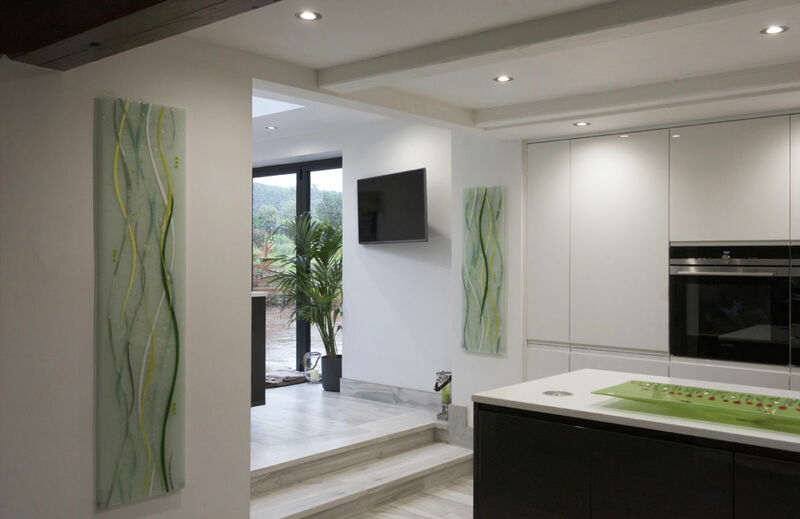 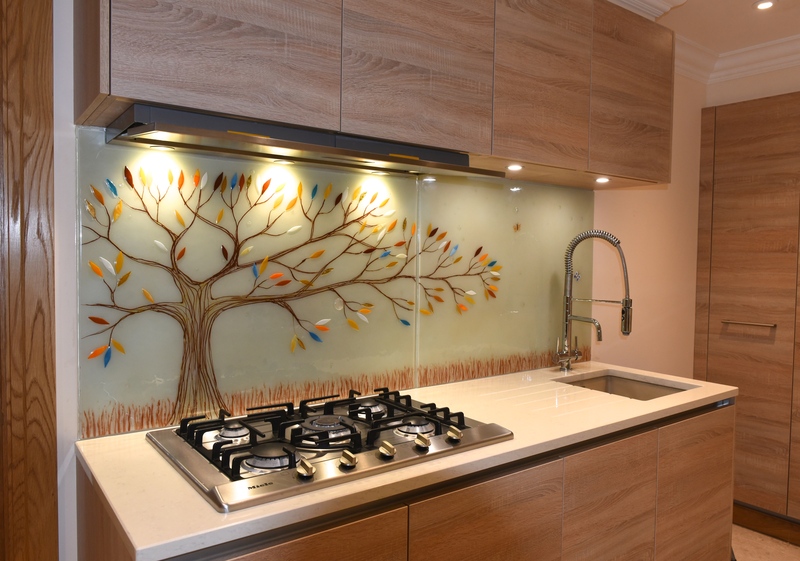 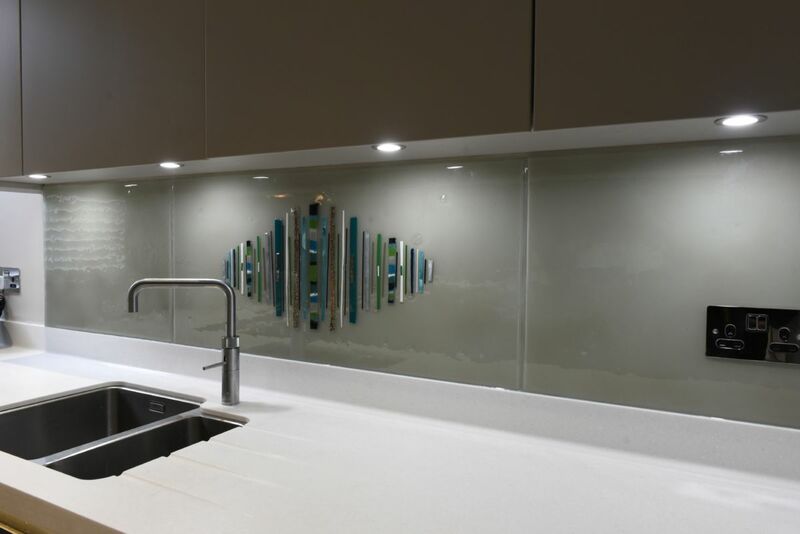 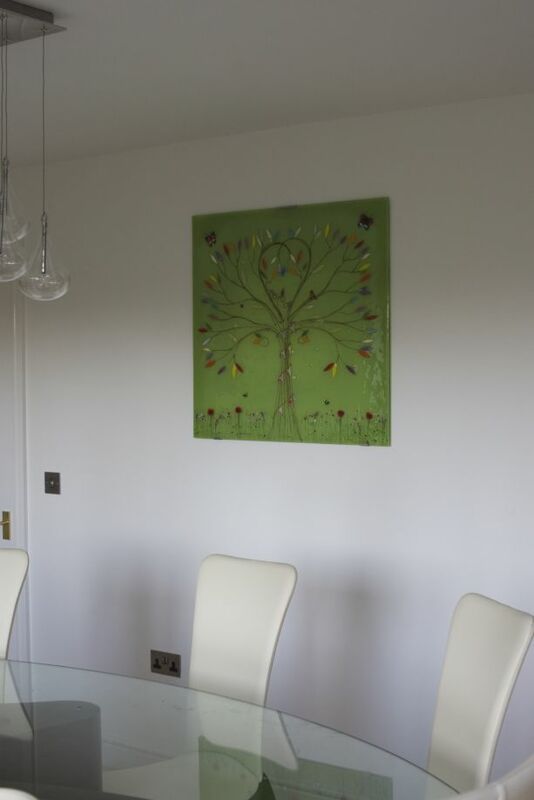 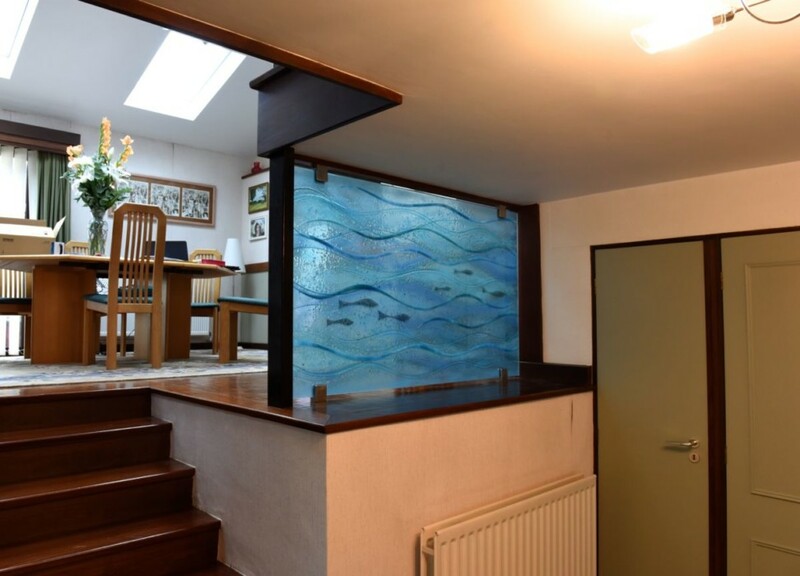 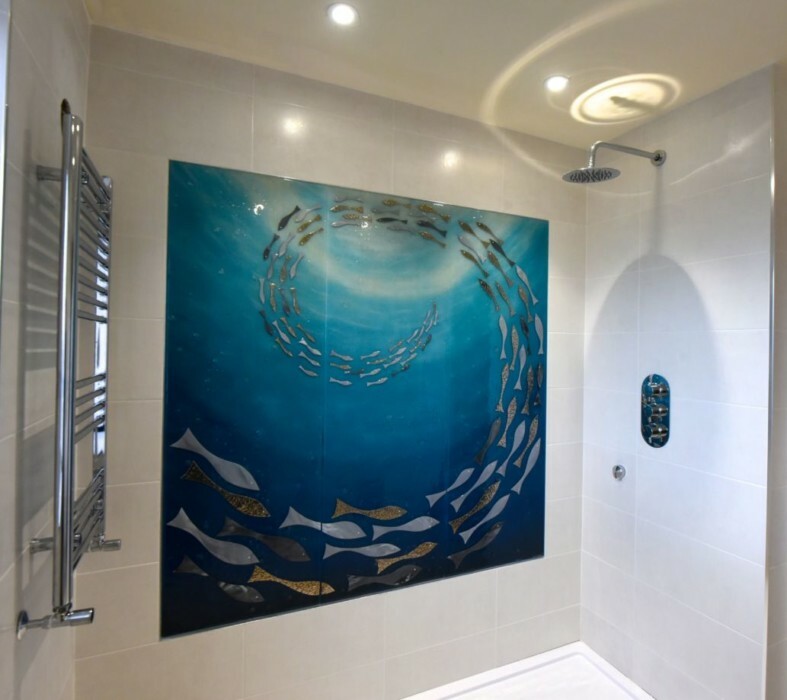 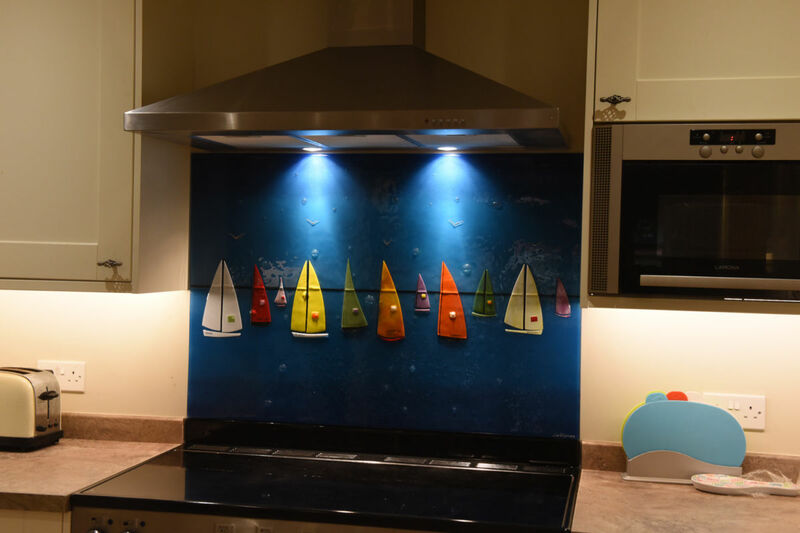 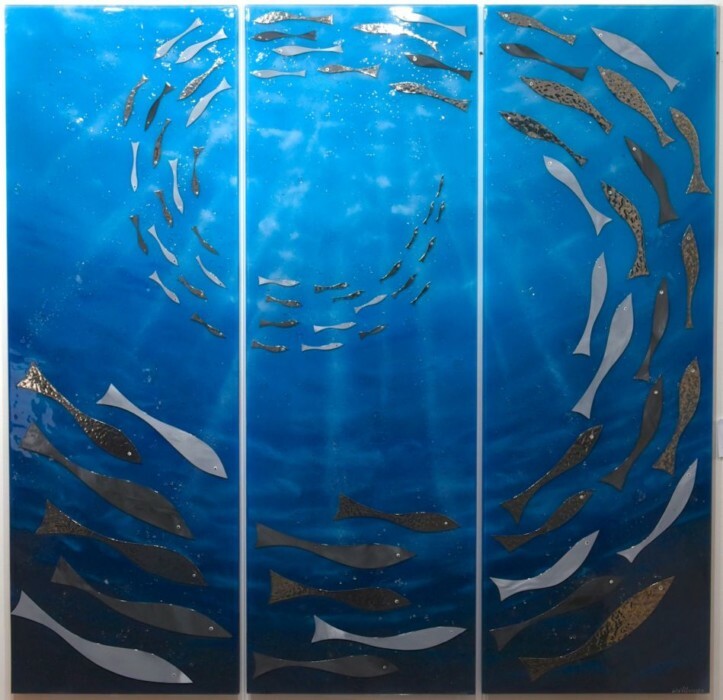 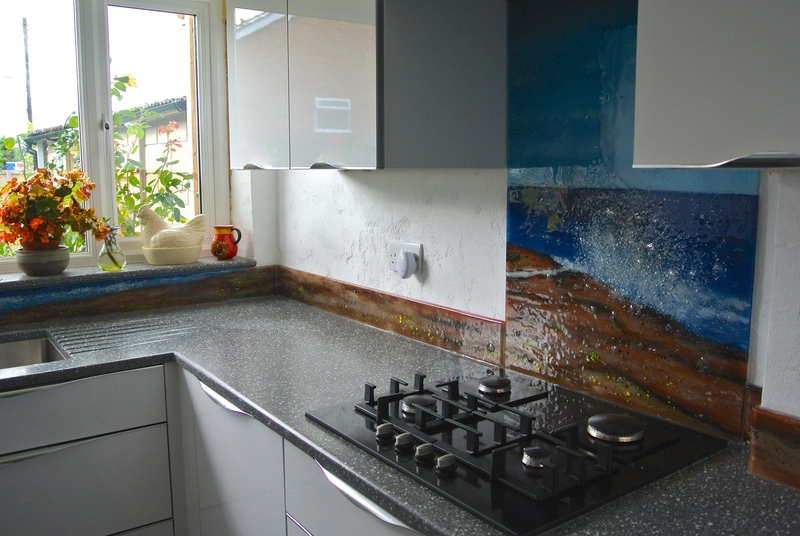 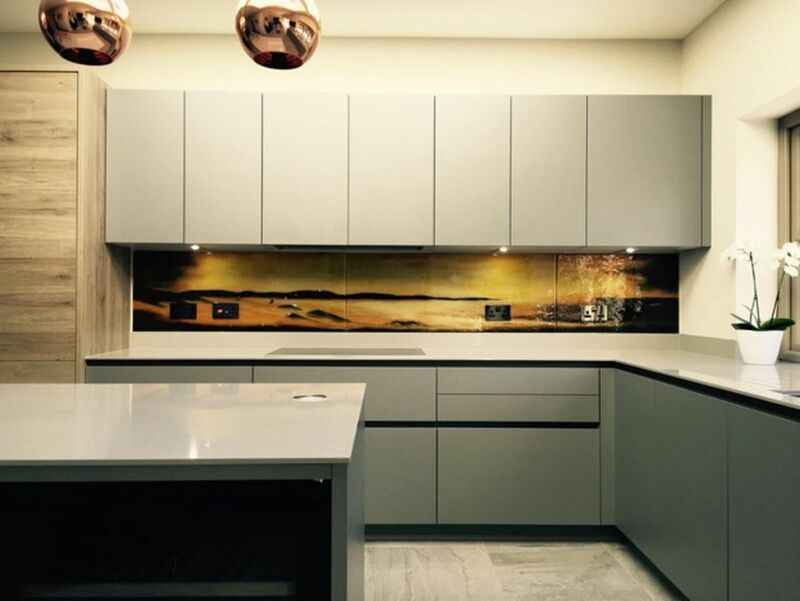 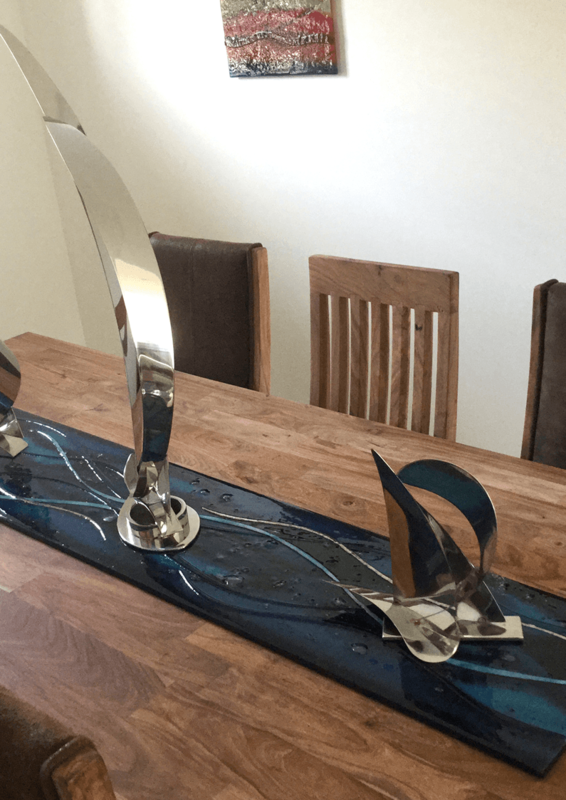 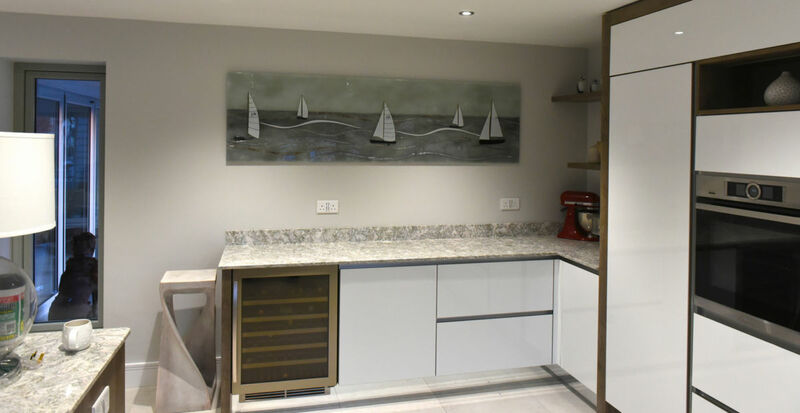 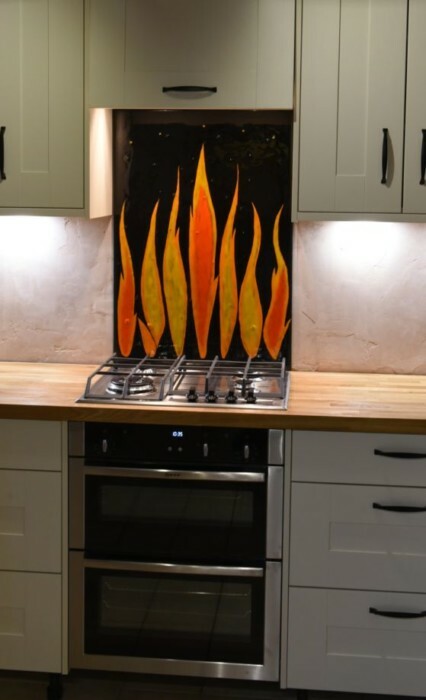 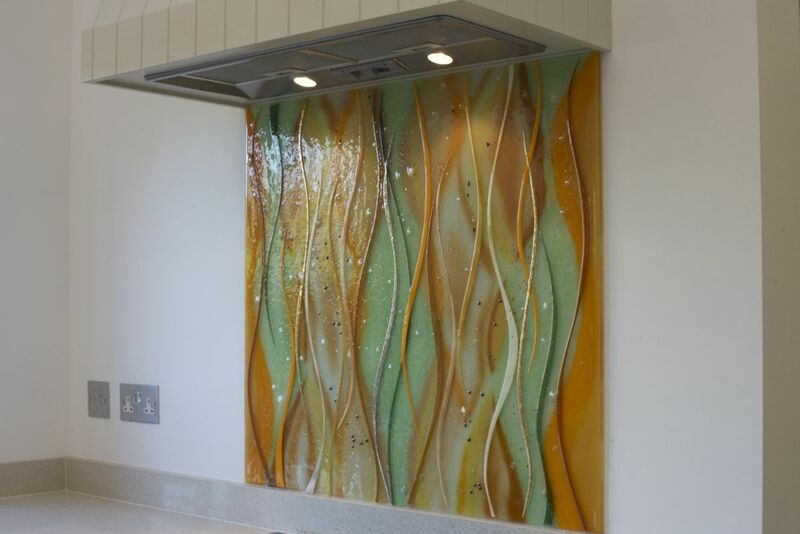 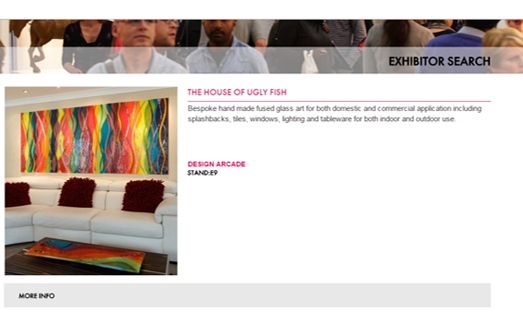 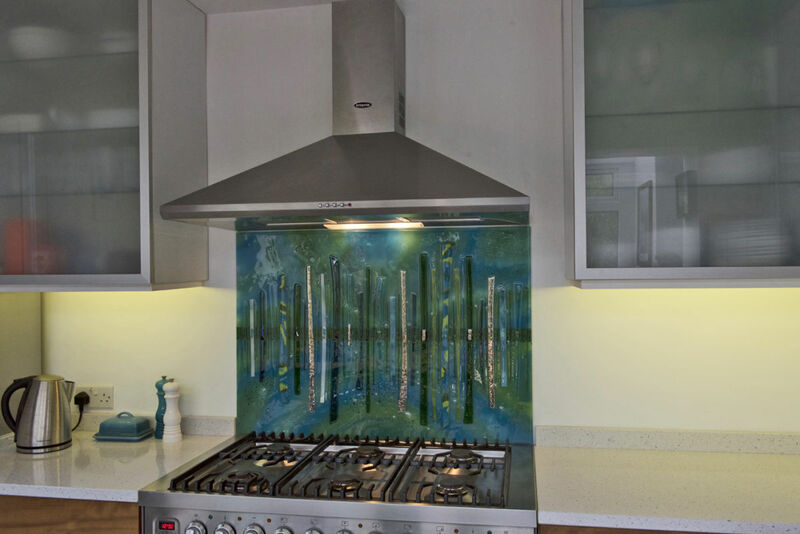 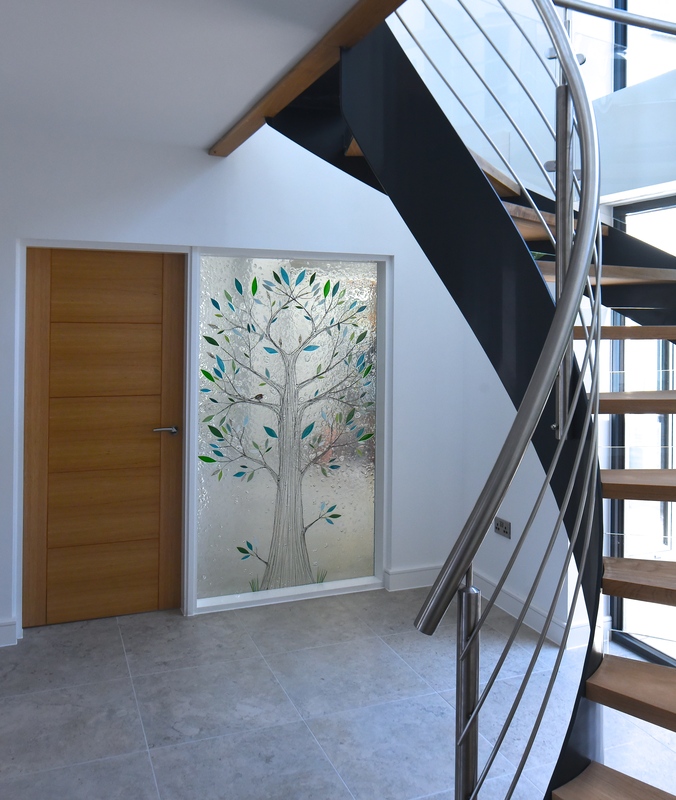 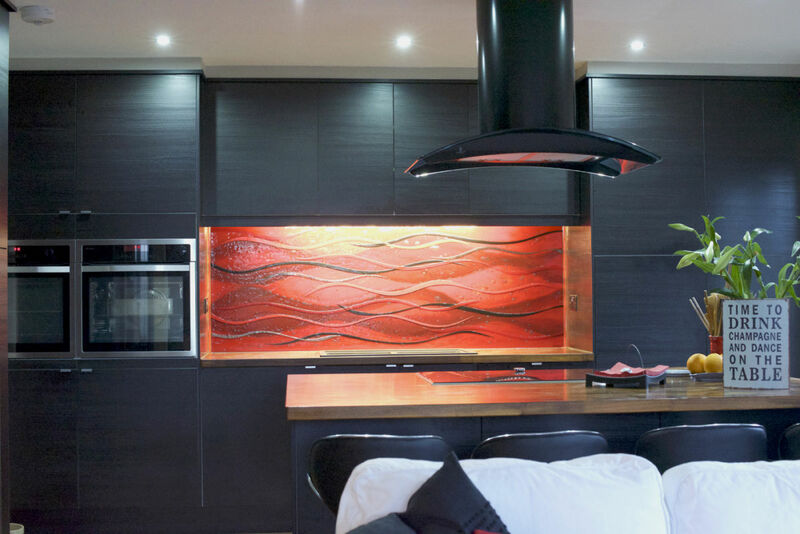 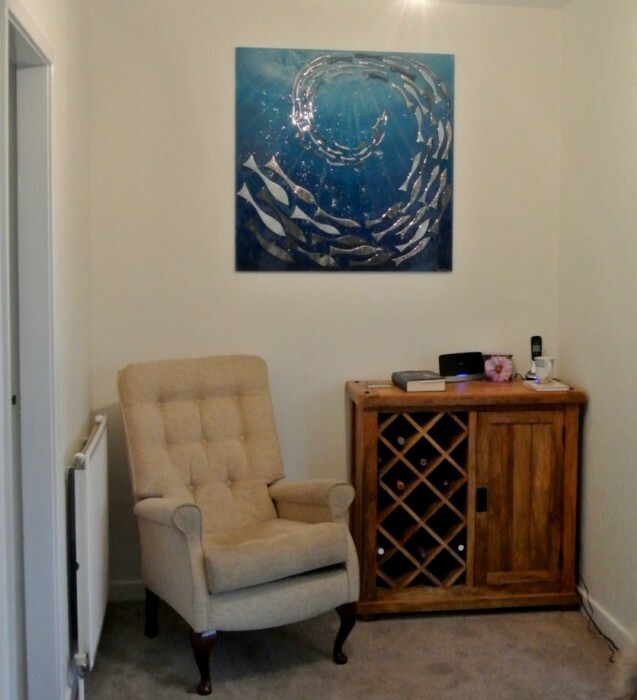 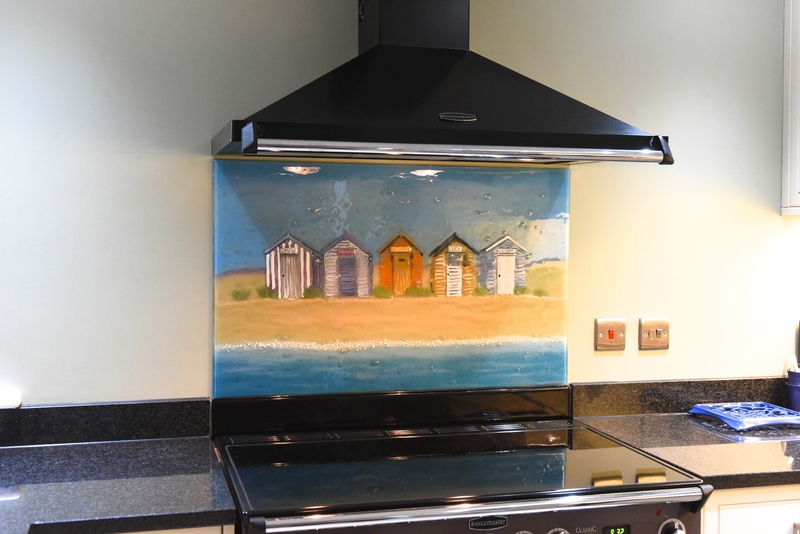 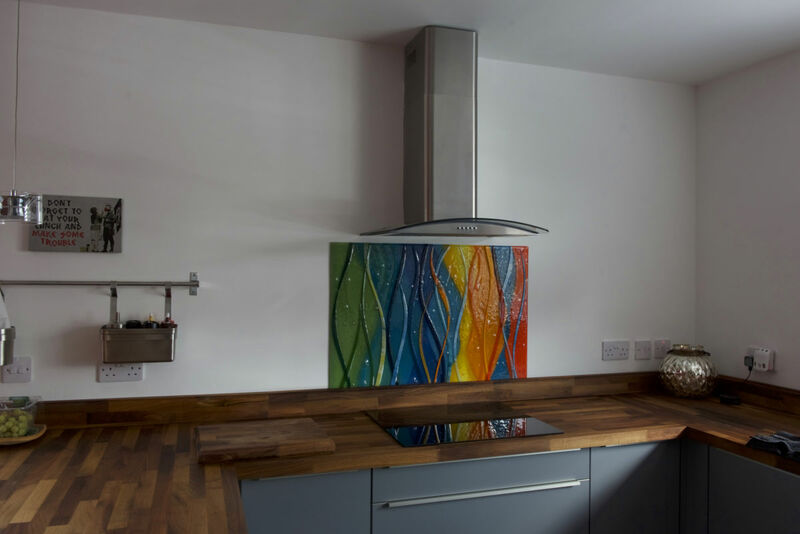 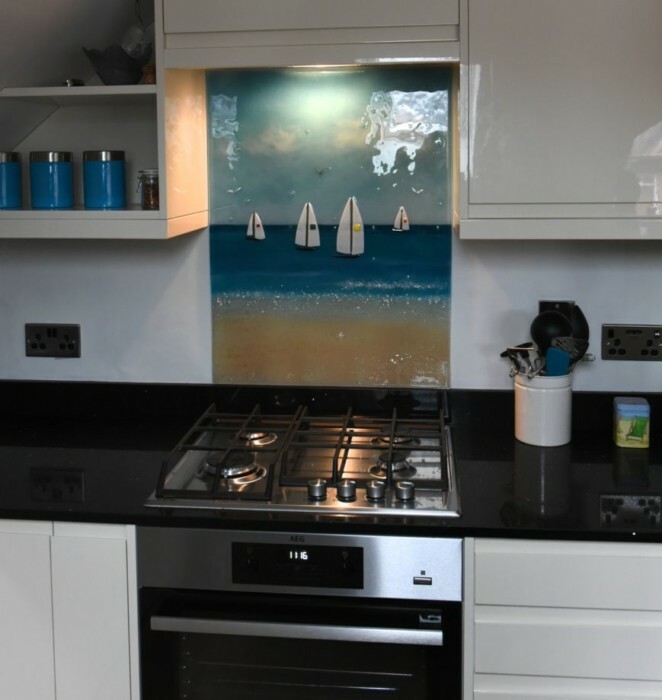 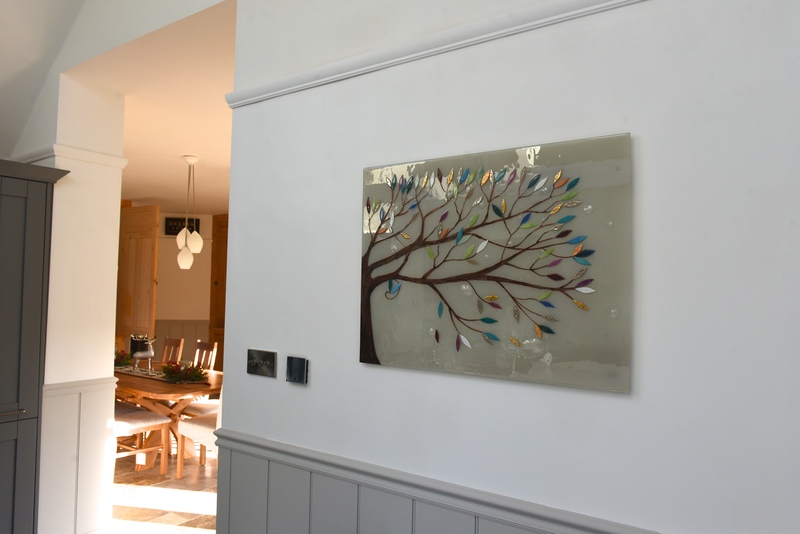 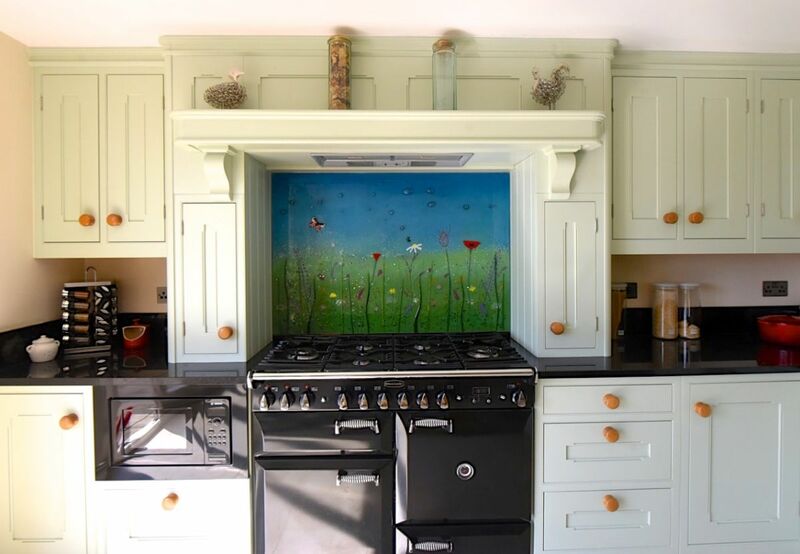 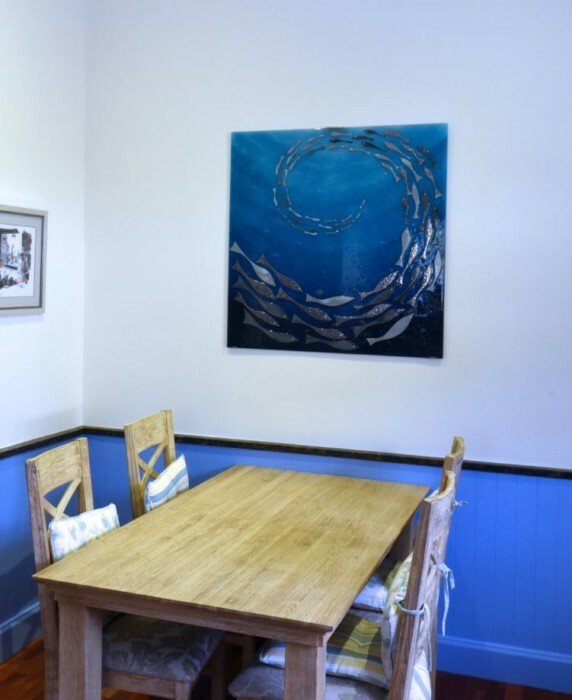 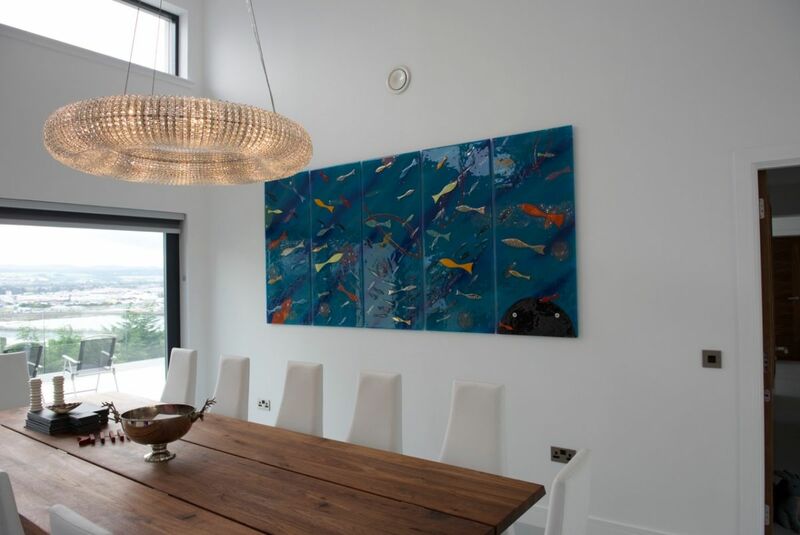 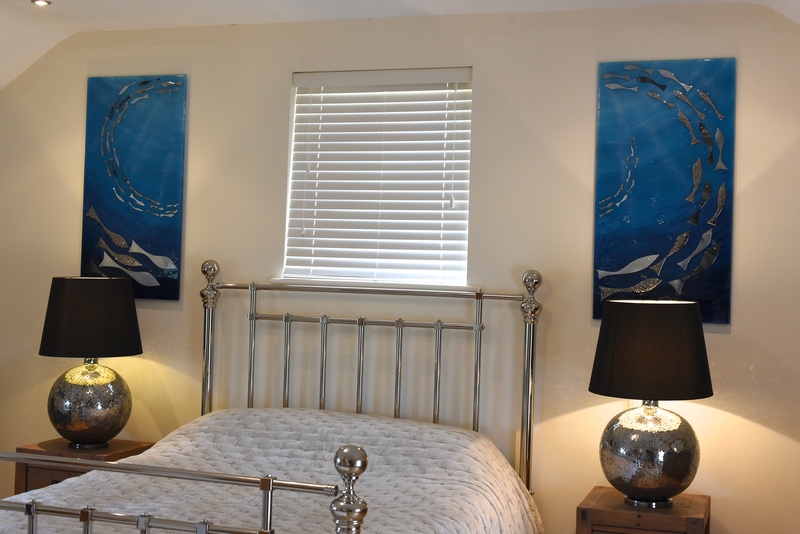 If you’re on the lookout for glass wall art that’s perfect for you, then why not let the team here at The House of Ugly Fish. 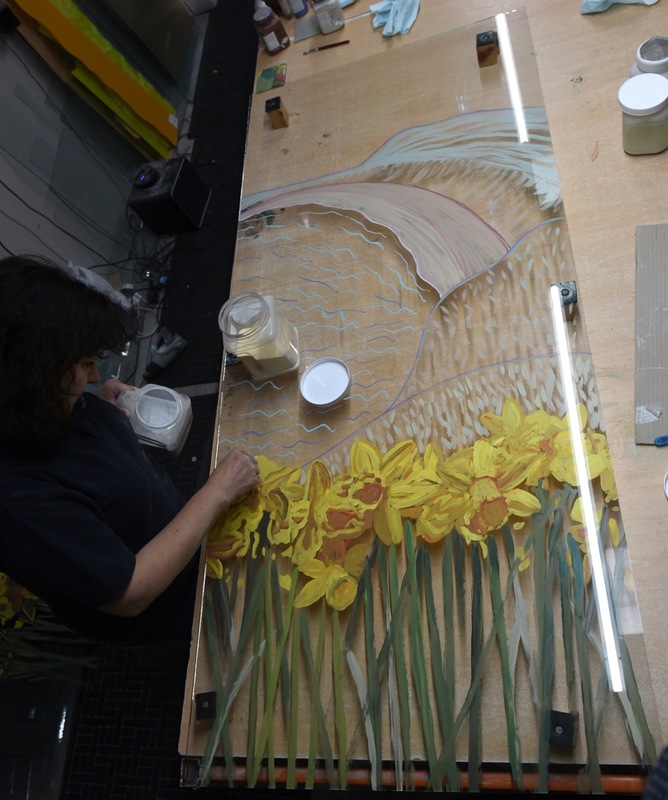 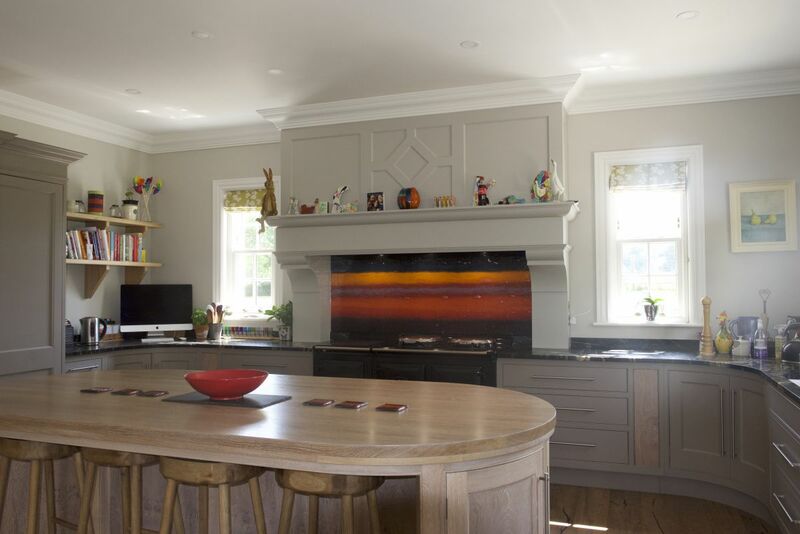 We always look forward to welcoming customers both new and old, as the creative process of bringing a piece to life is one that we’ll never get tired of. 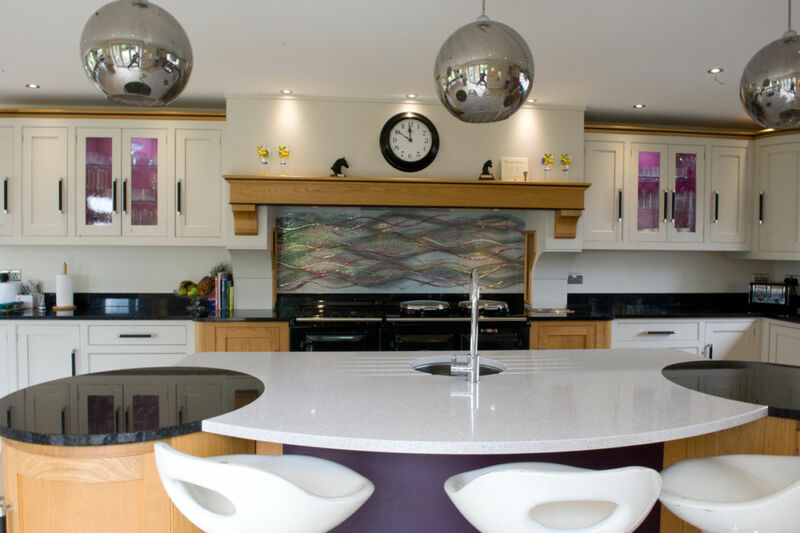 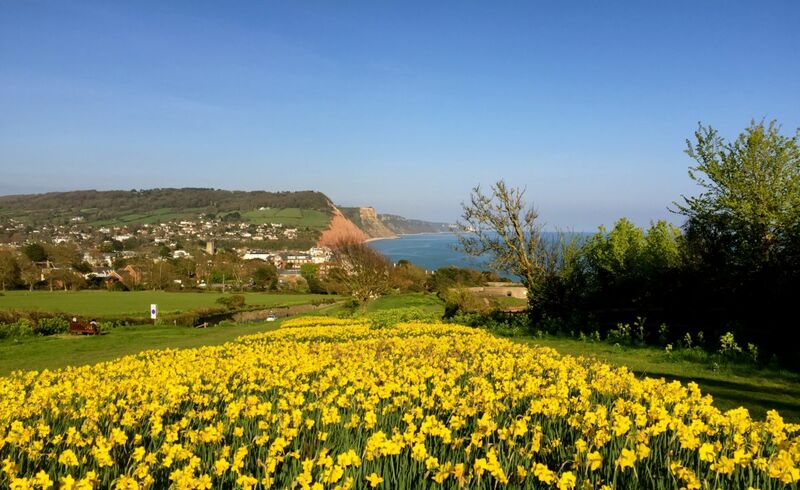 Make sure you don’t wait to pick up the phone or drop us an email as soon as you can. 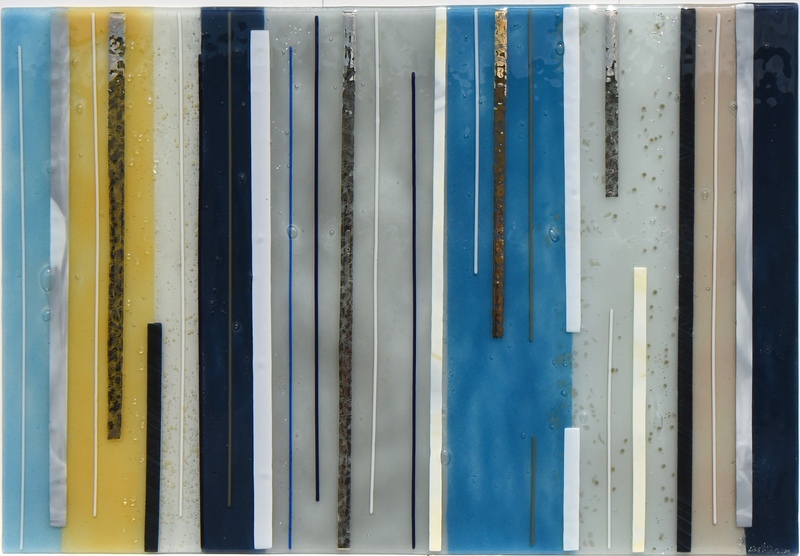 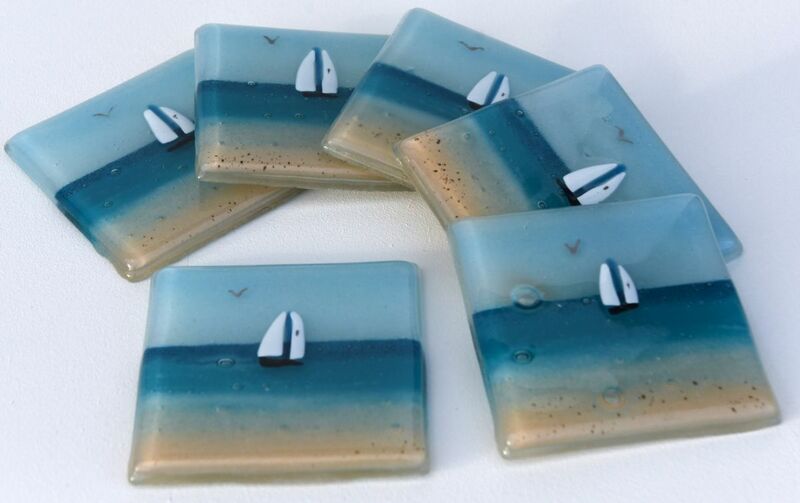 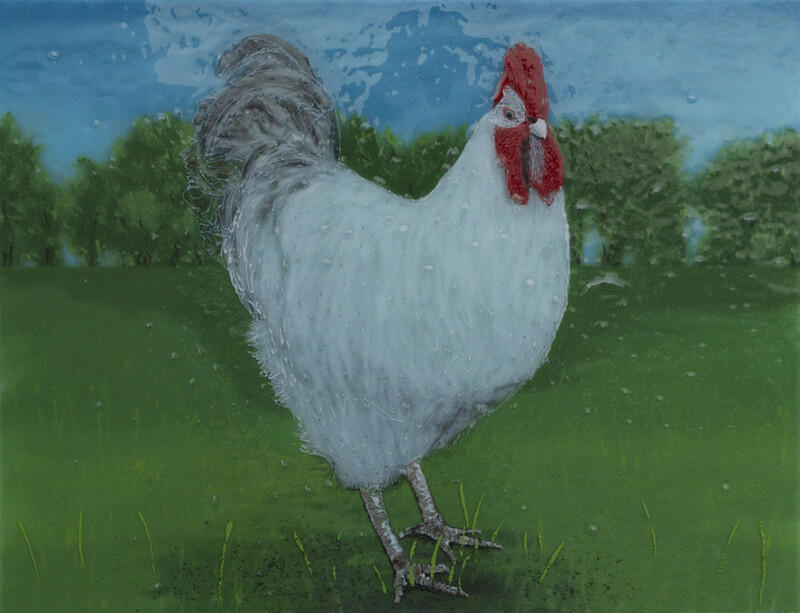 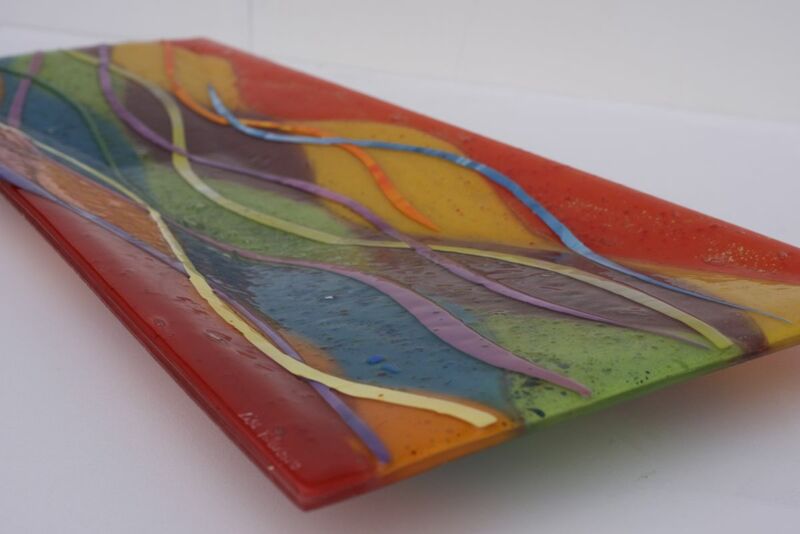 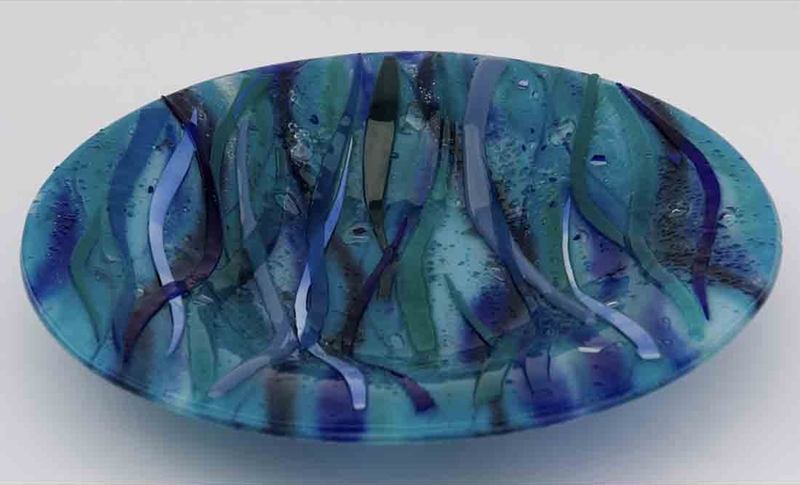 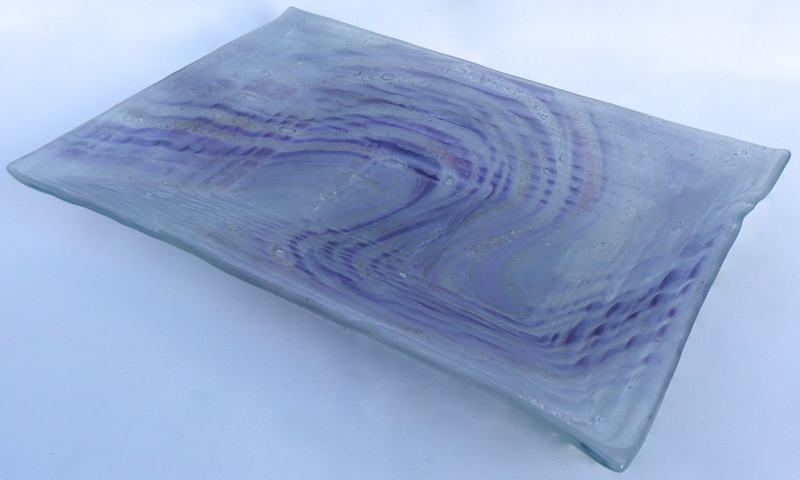 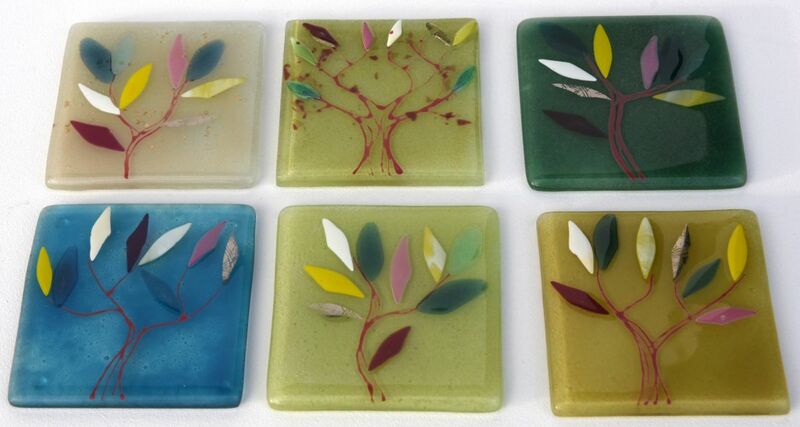 We can’t wait to get started on your perfect piece of fused glass art.